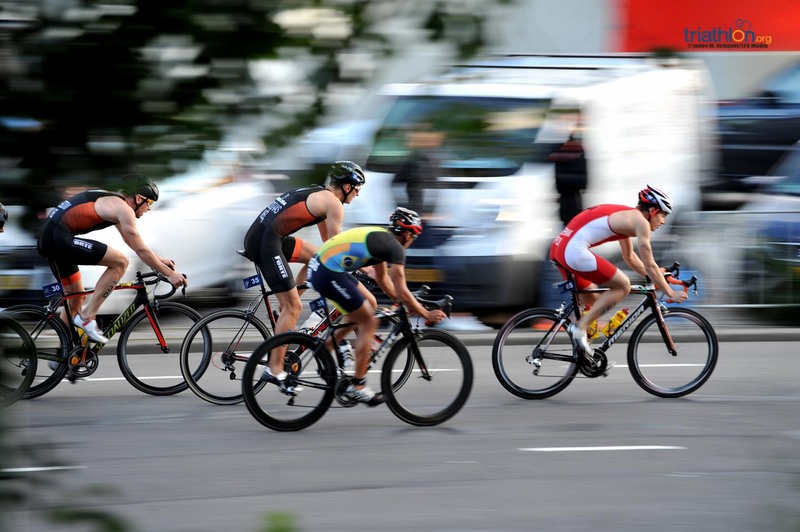 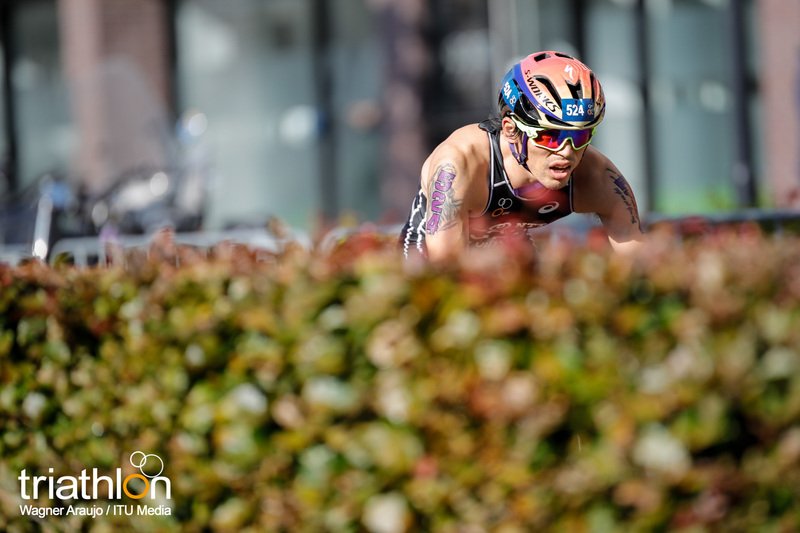 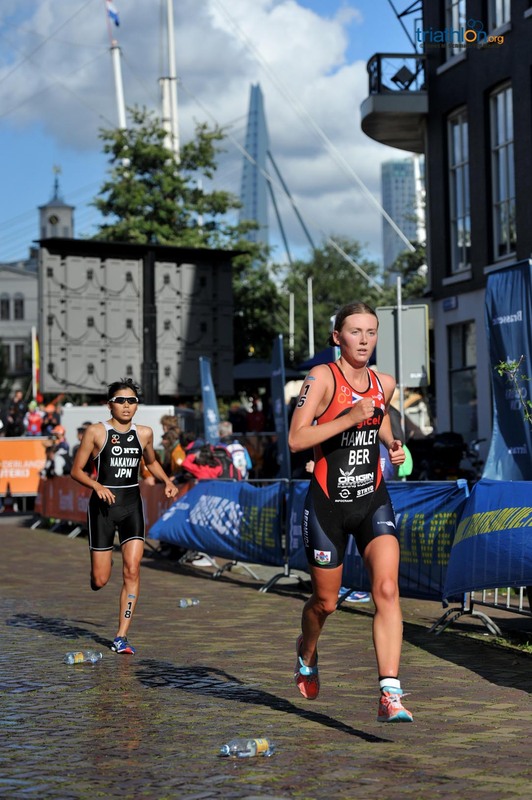 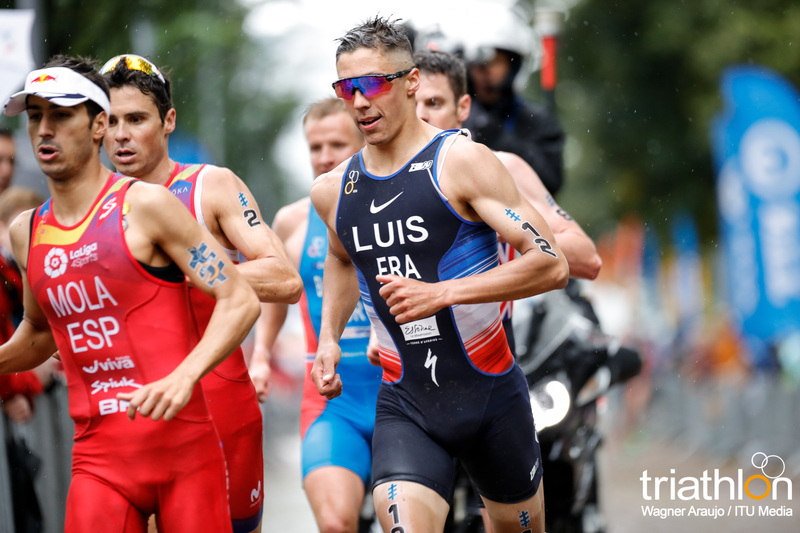 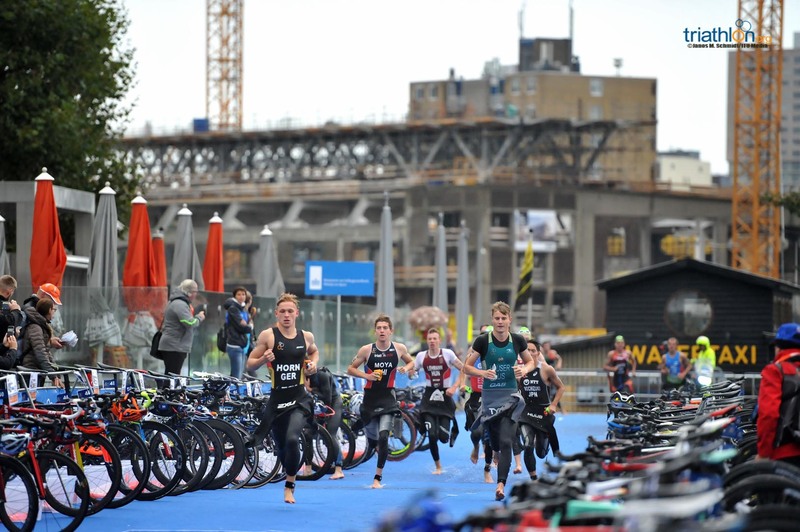 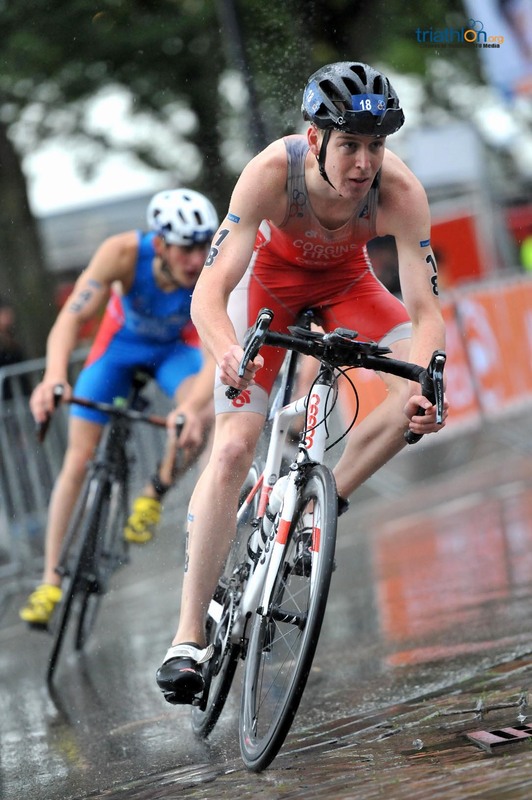 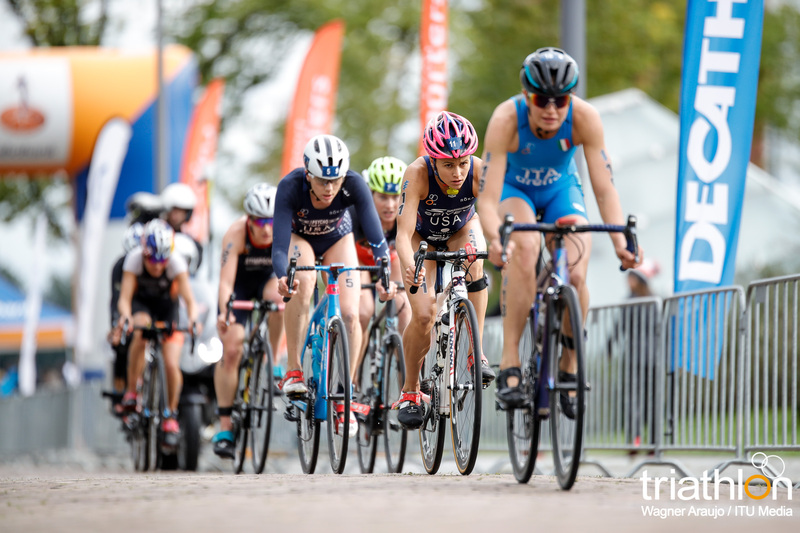 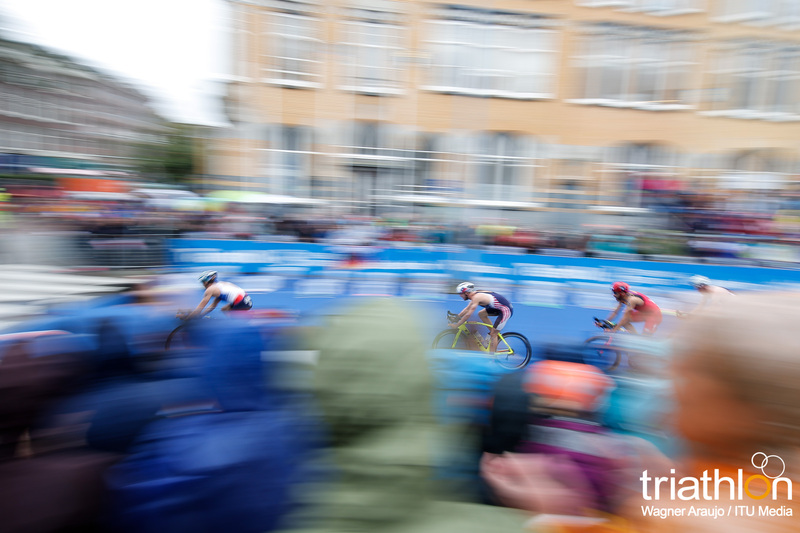 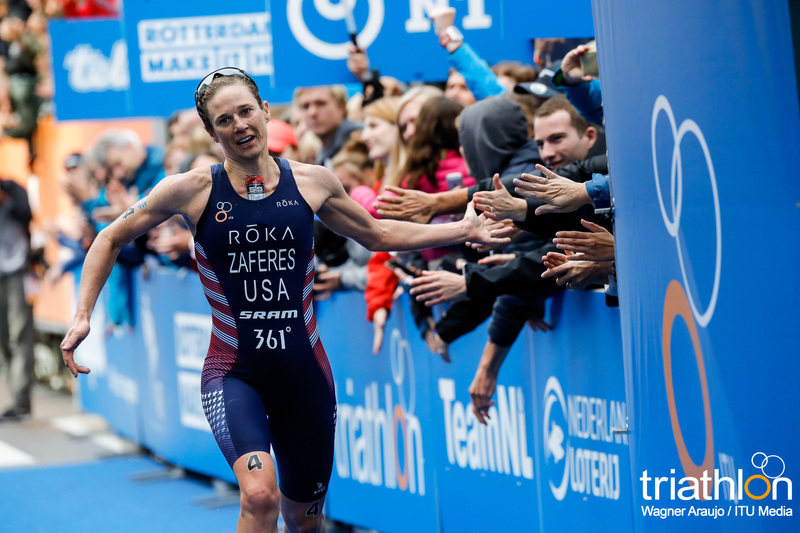 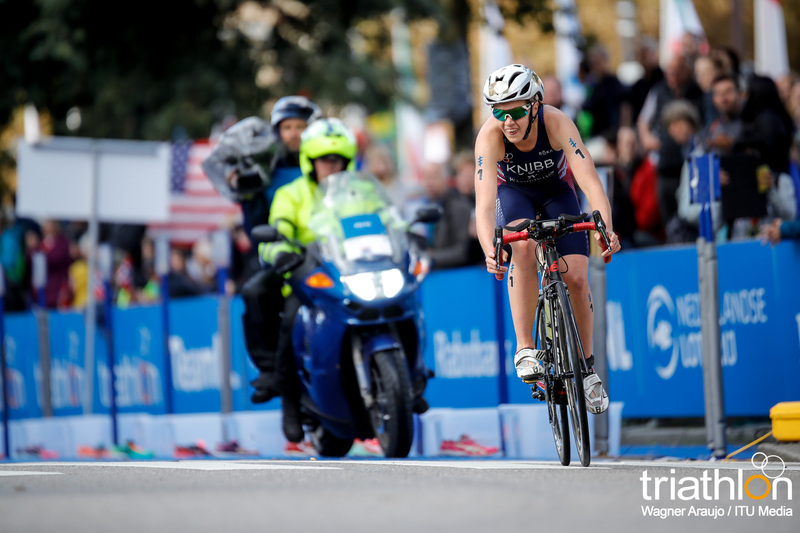 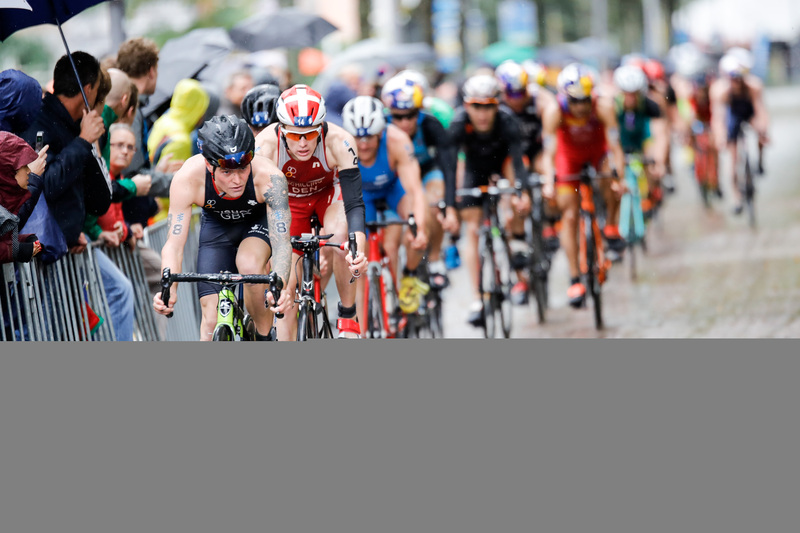 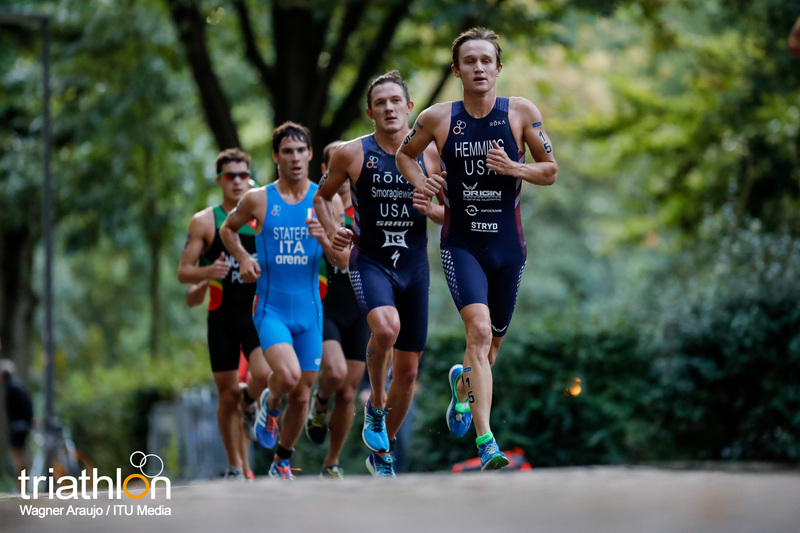 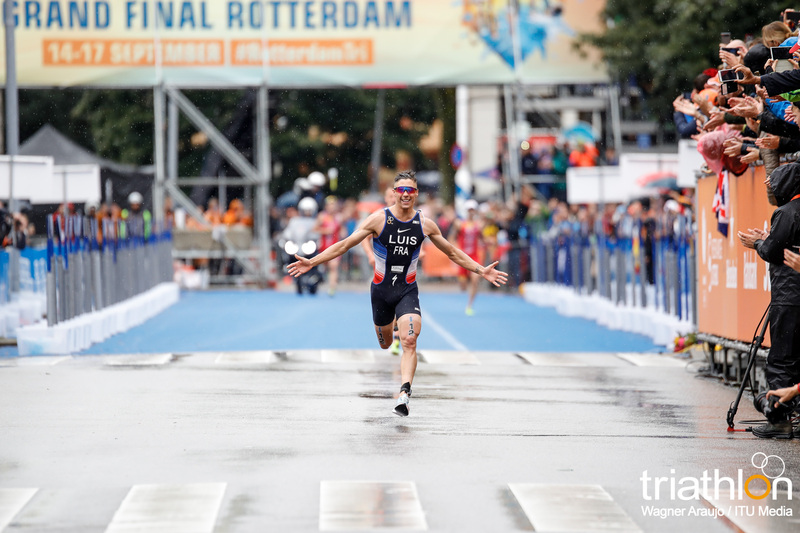 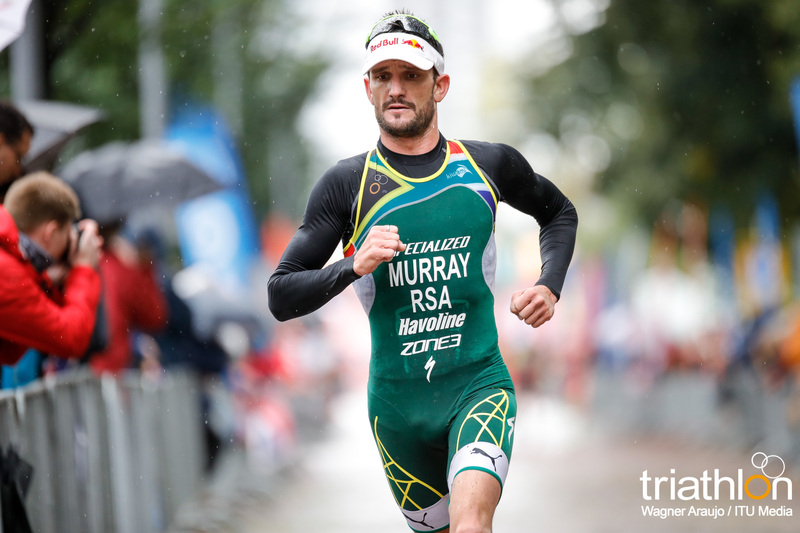 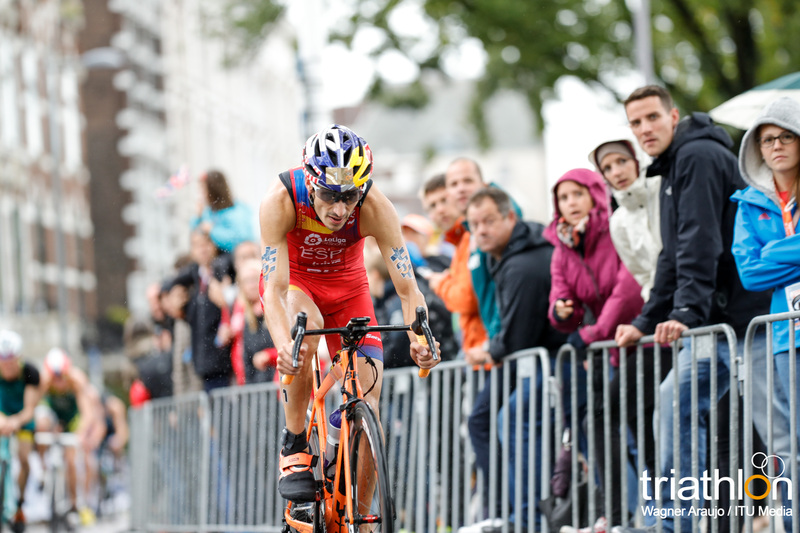 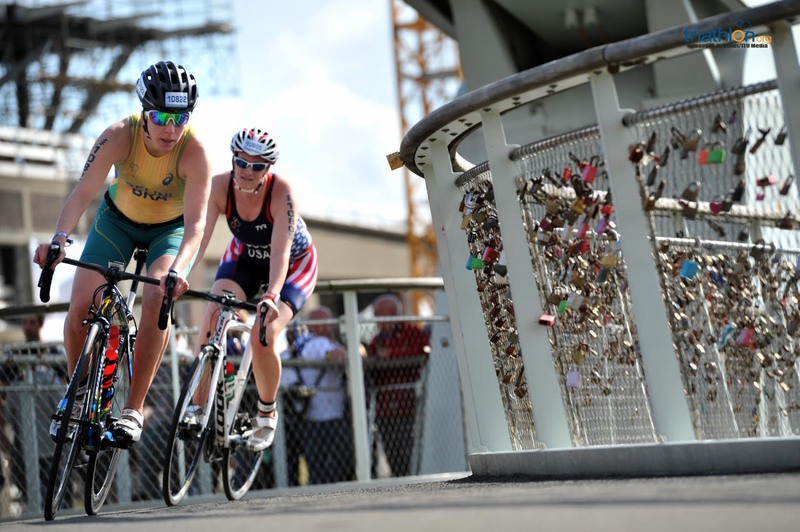 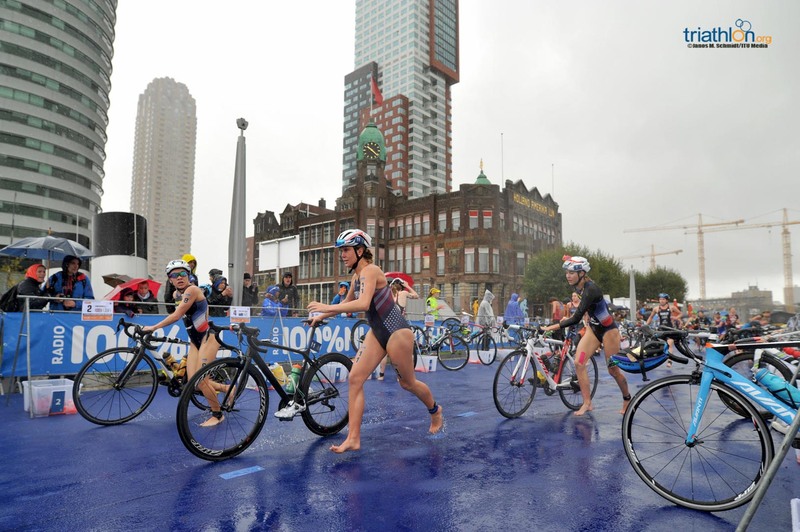 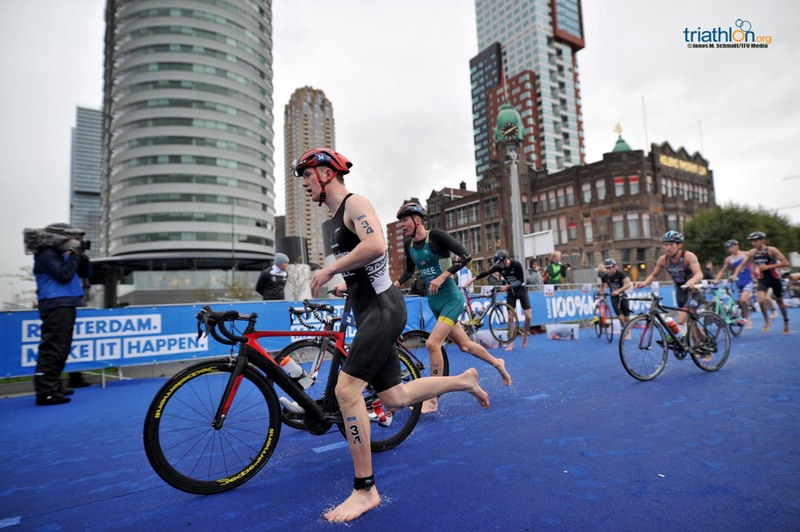 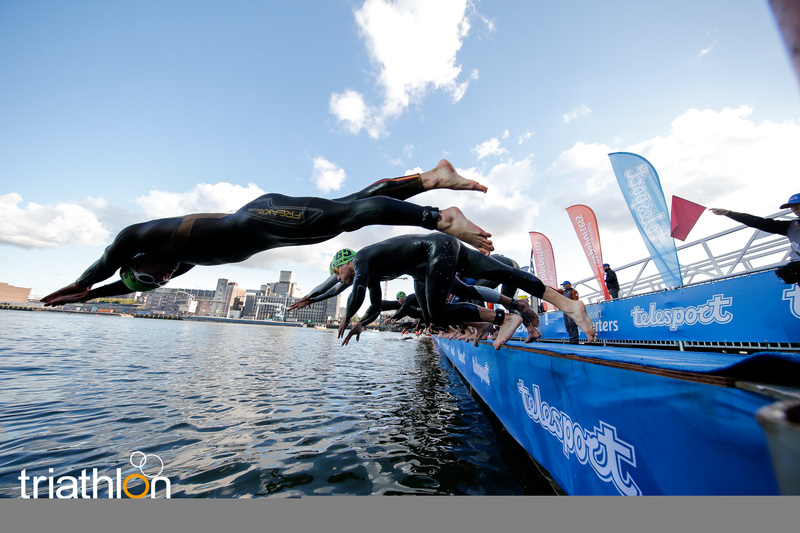 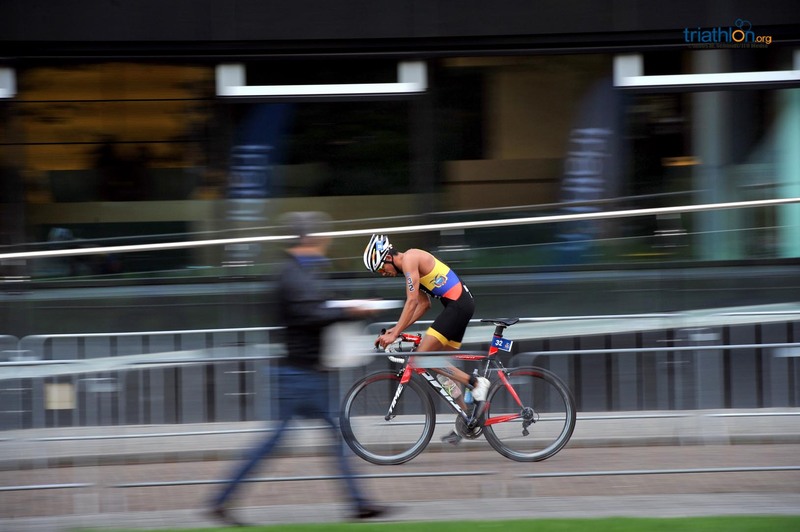 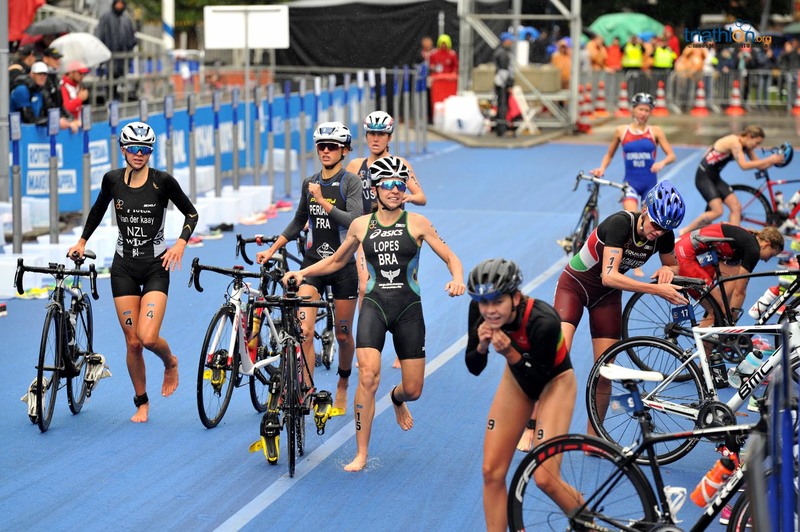 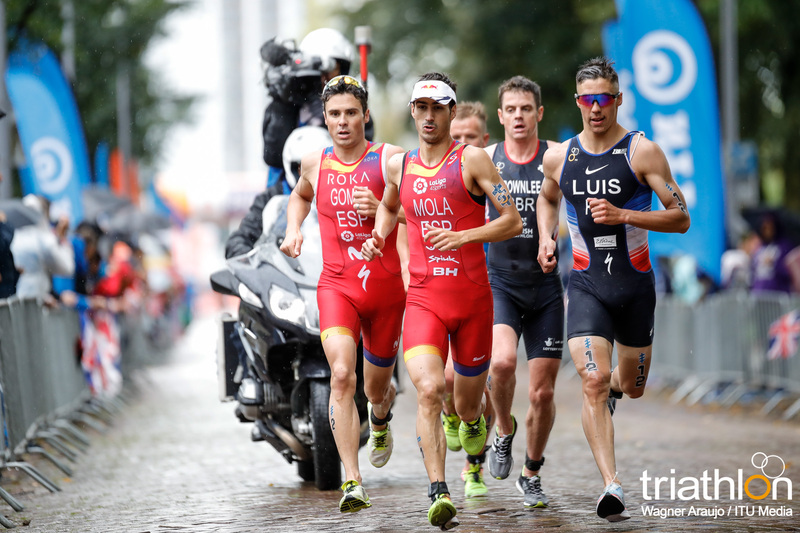 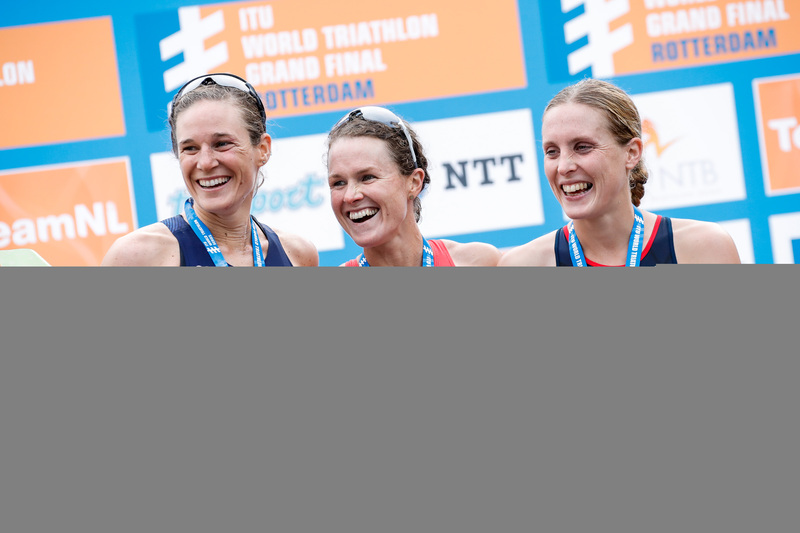 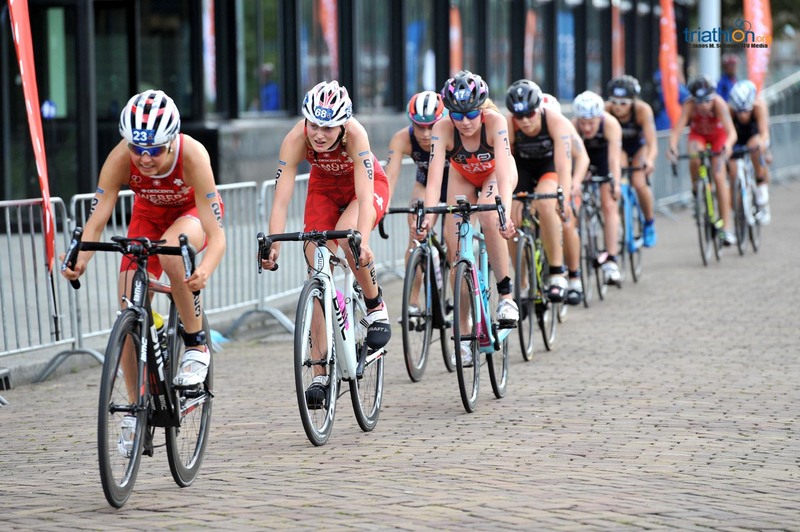 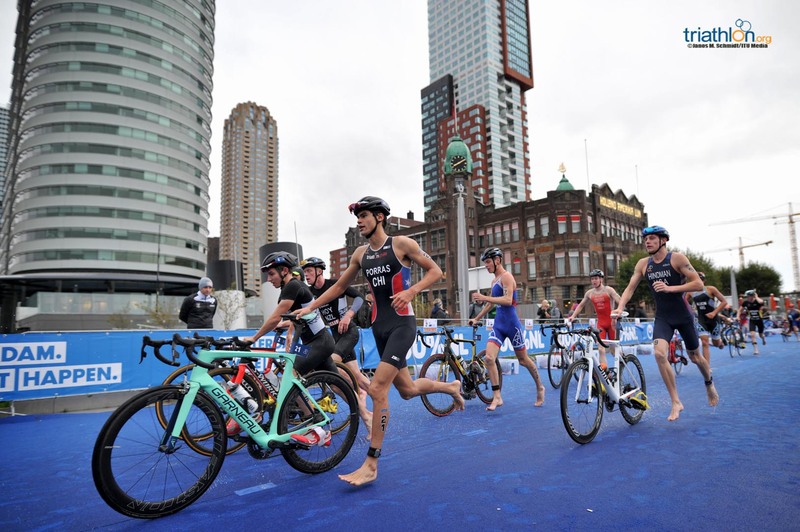 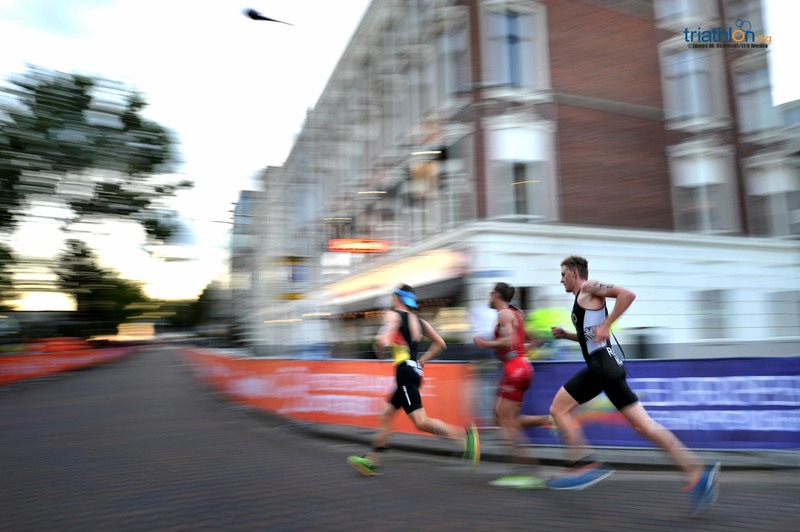 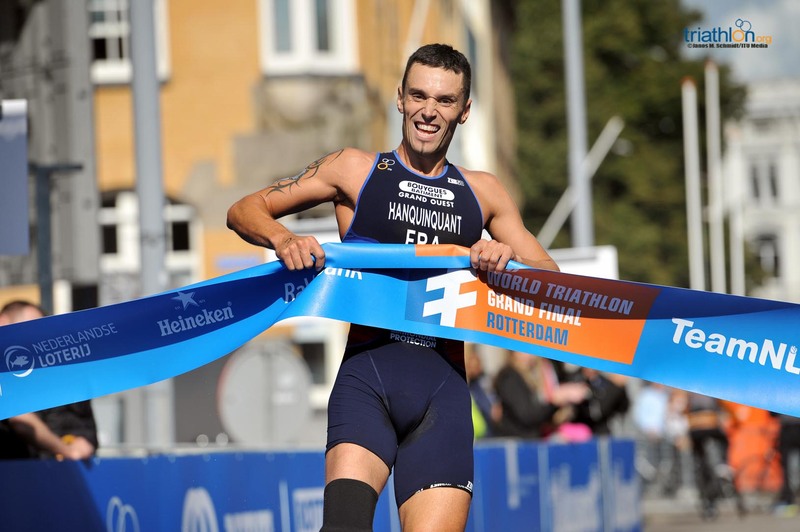 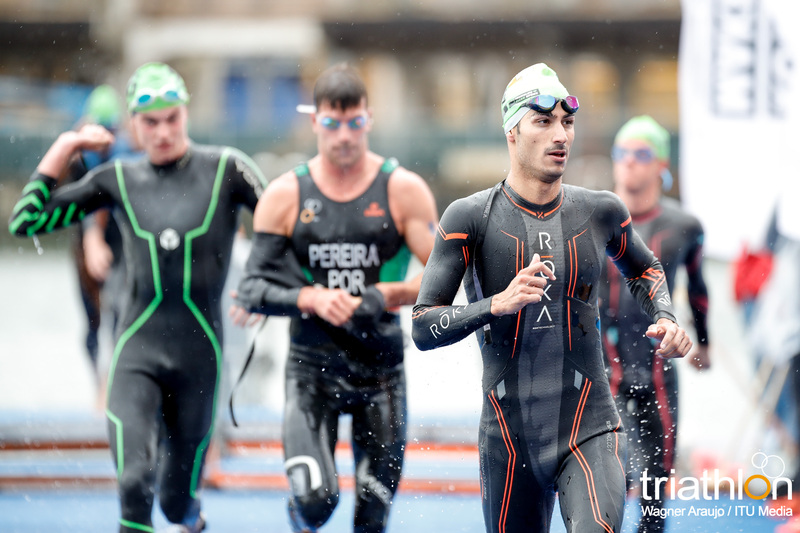 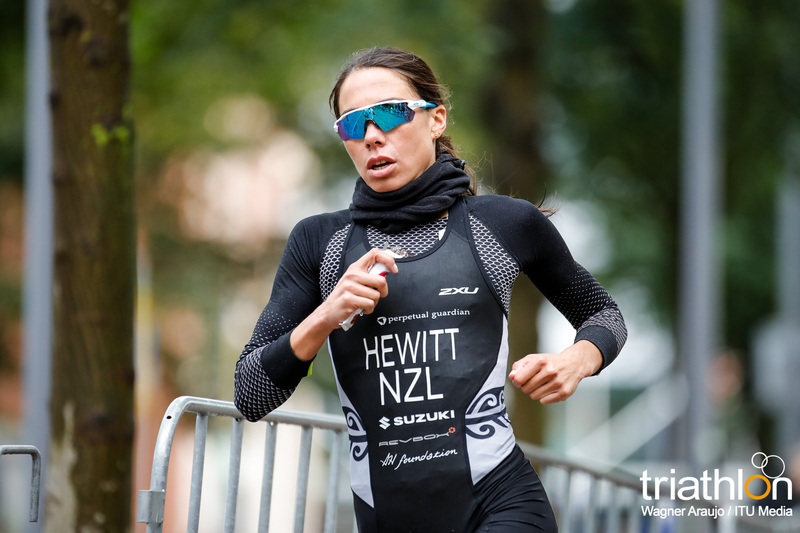 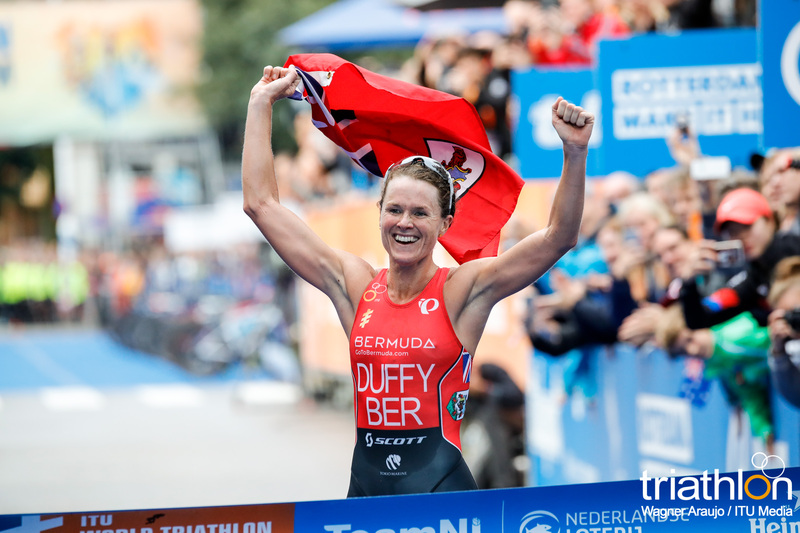 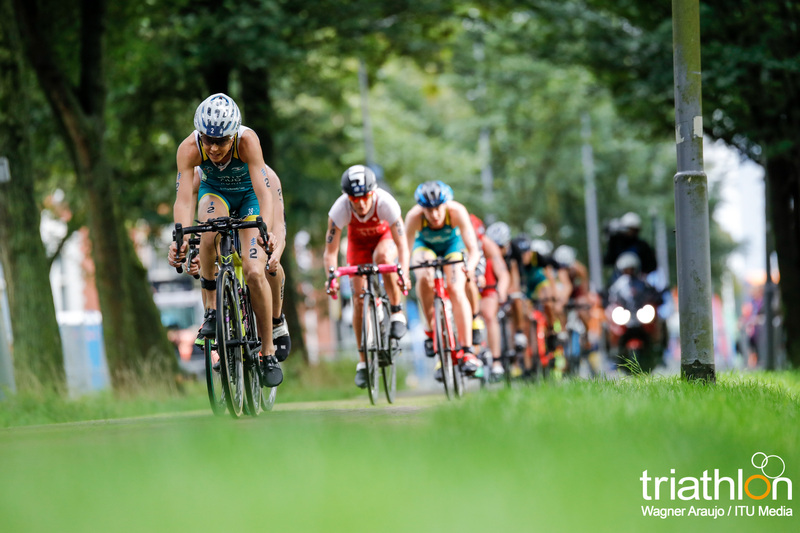 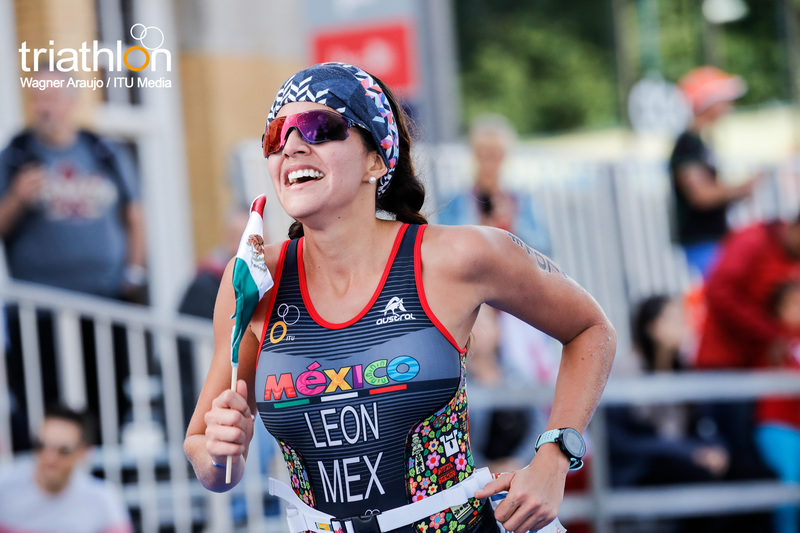 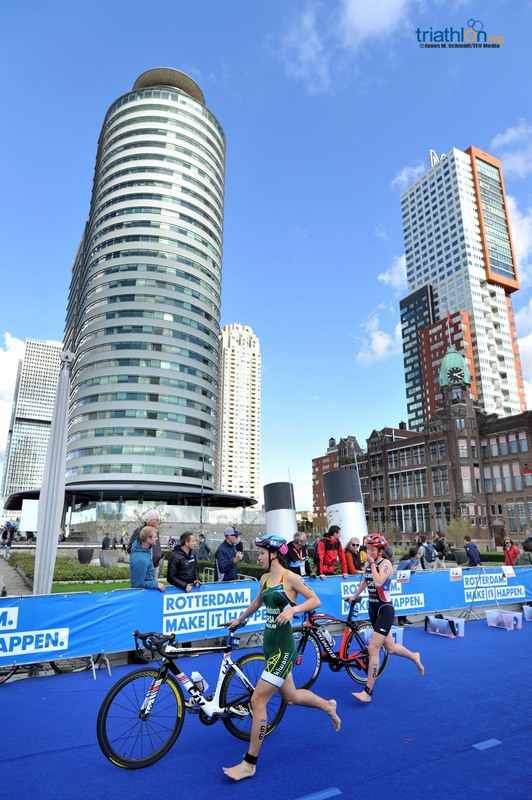 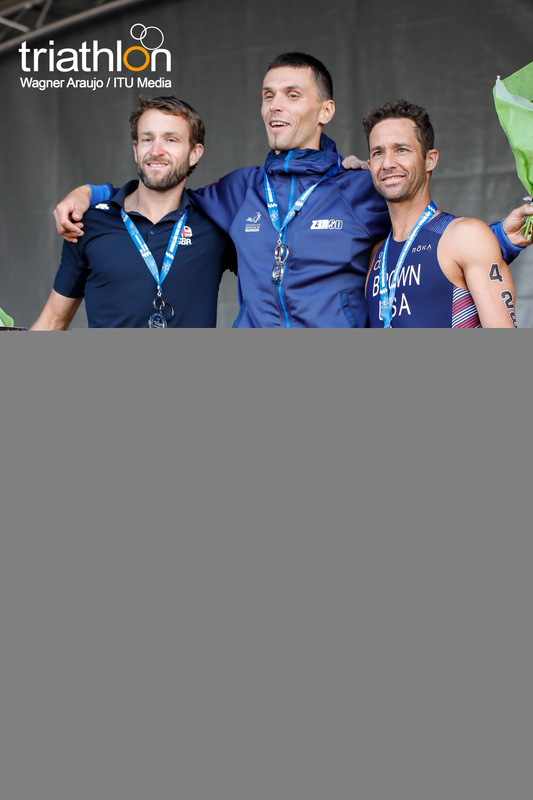 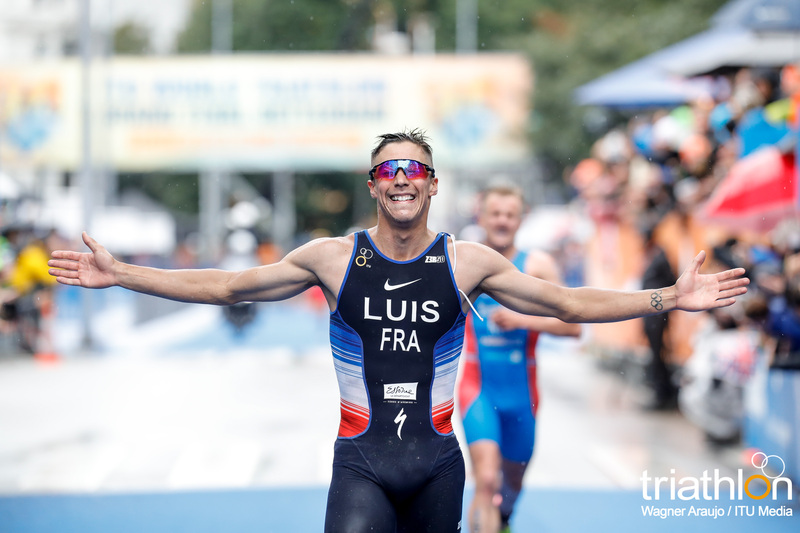 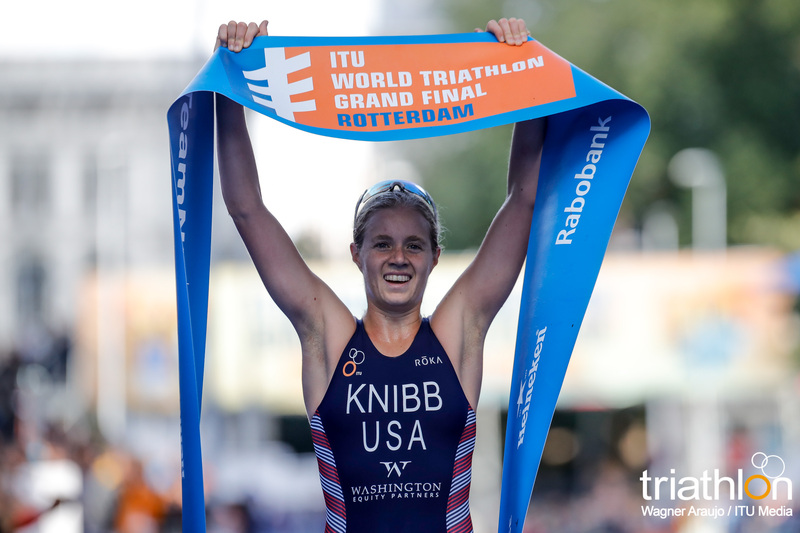 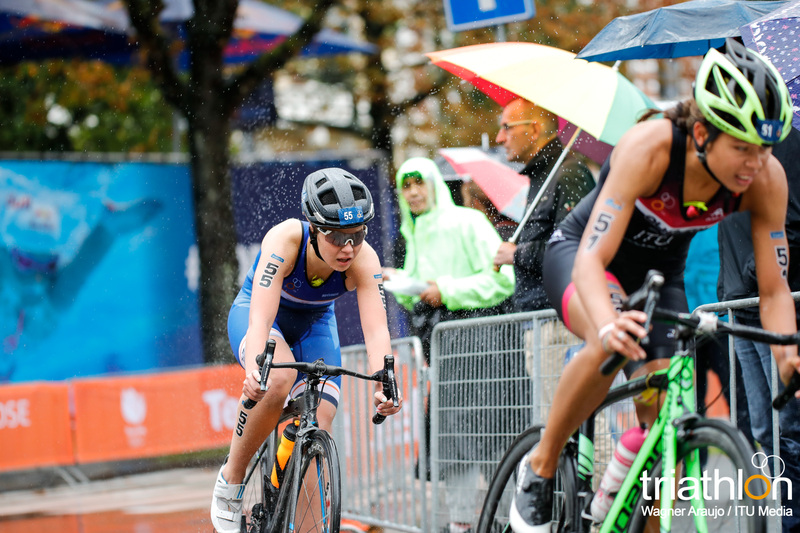 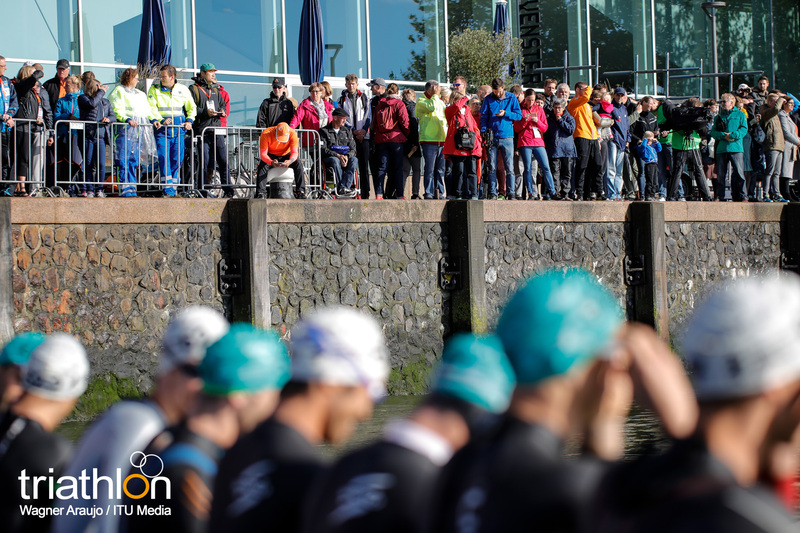 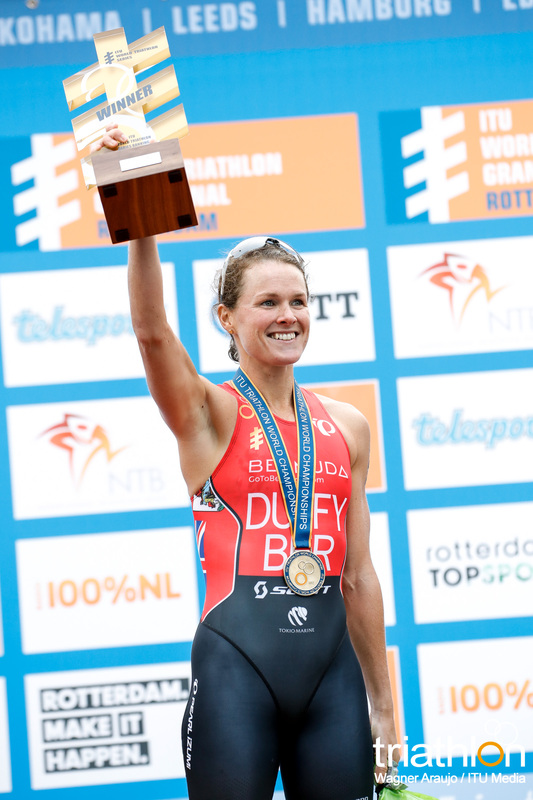 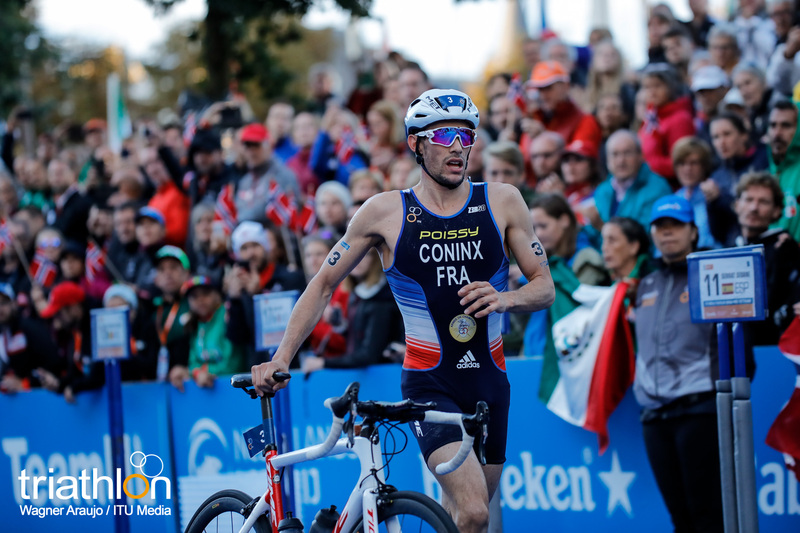 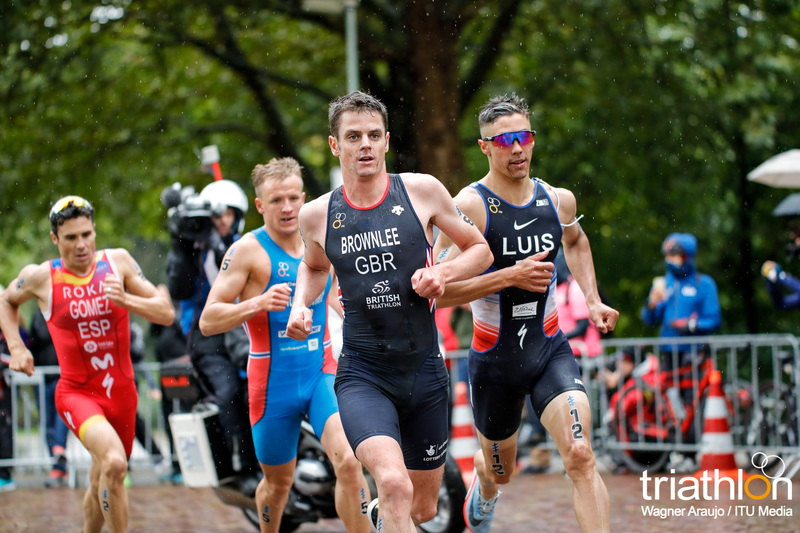 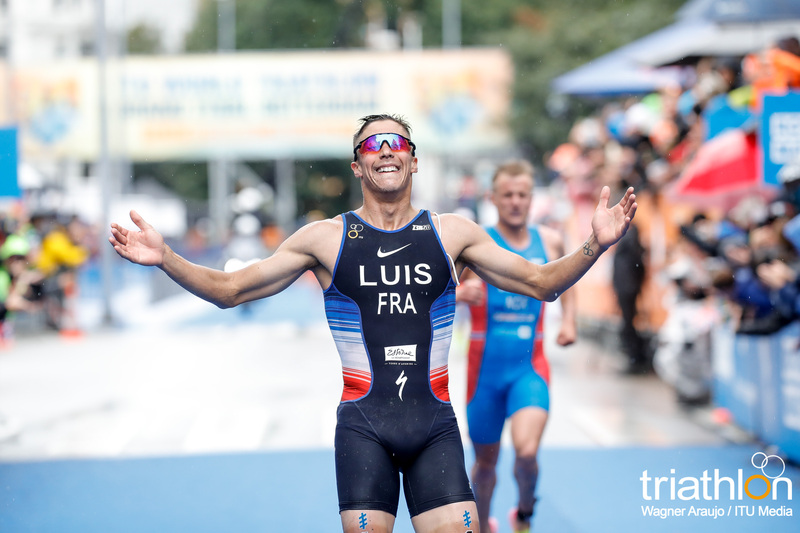 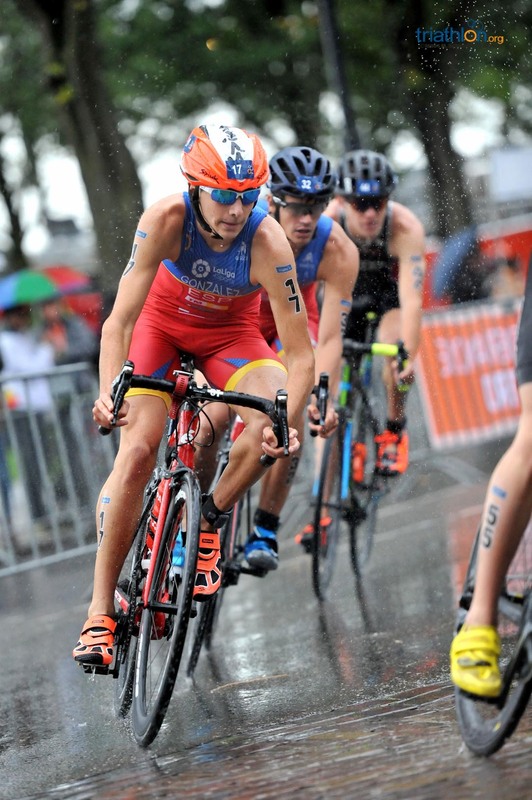 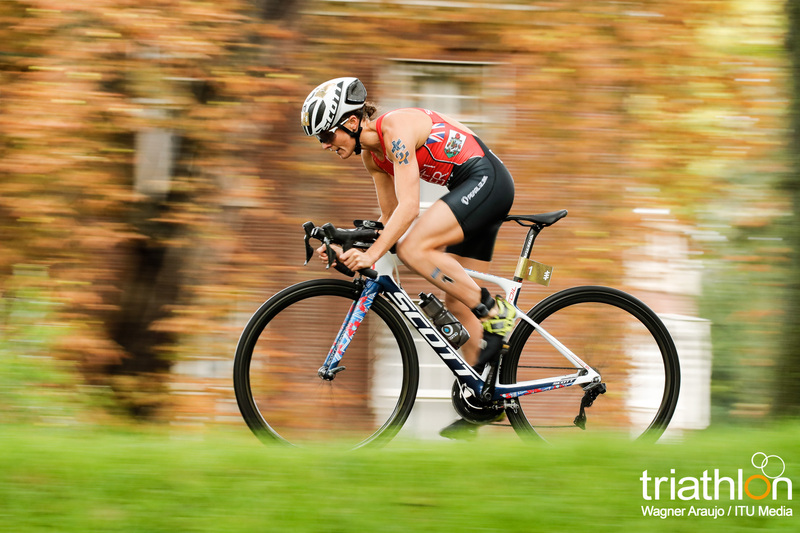 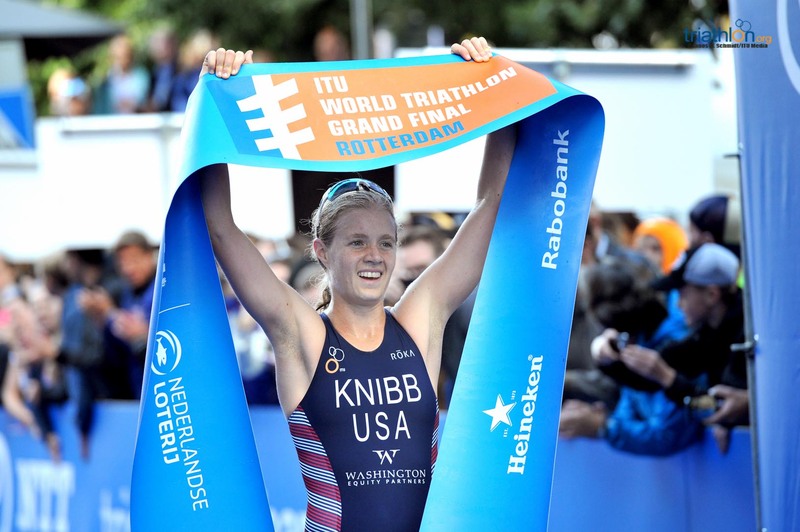 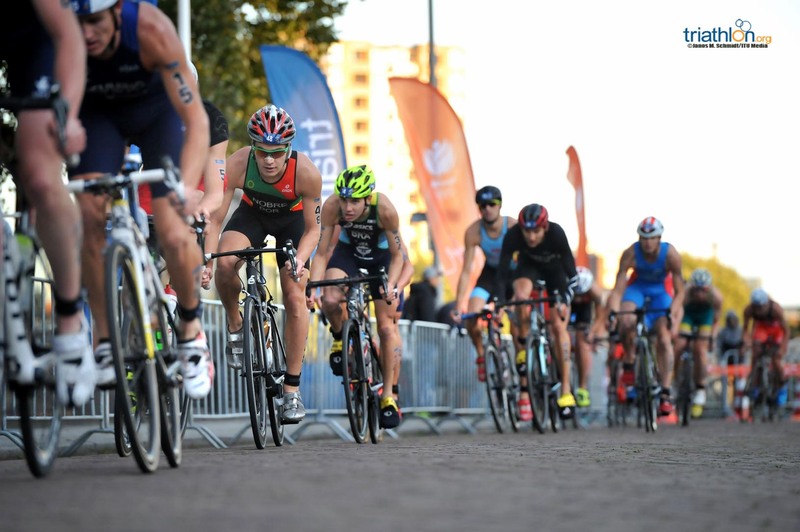 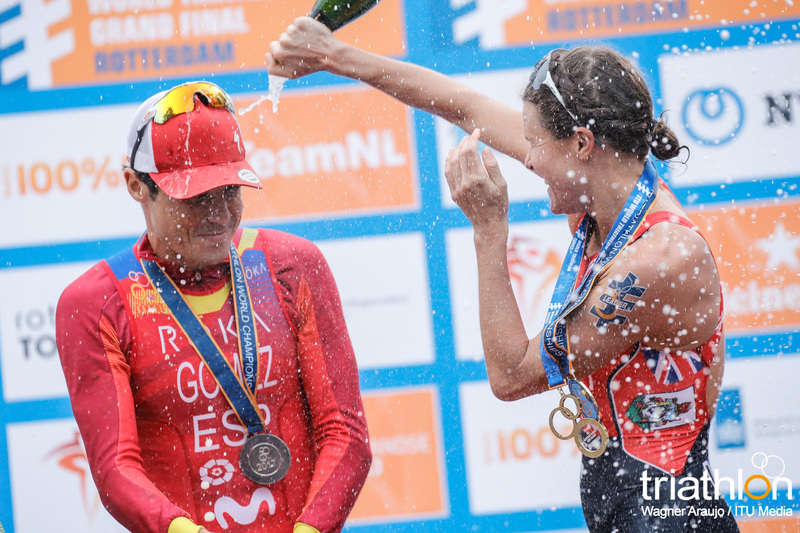 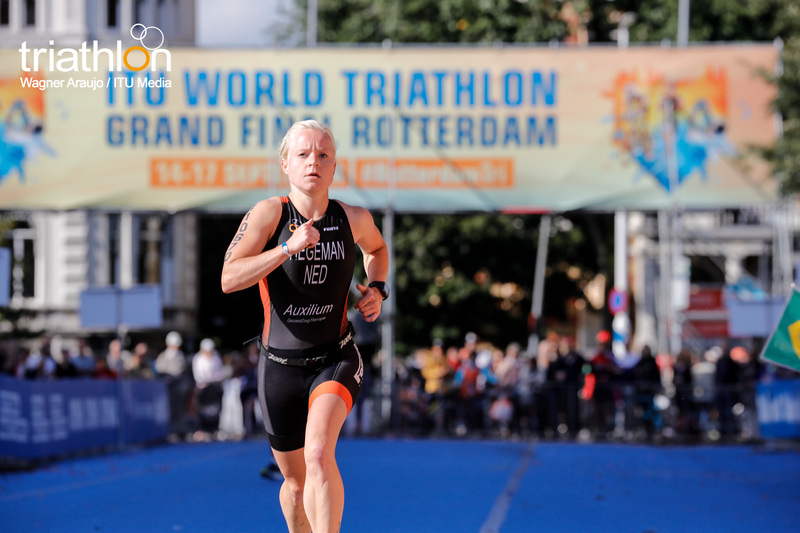 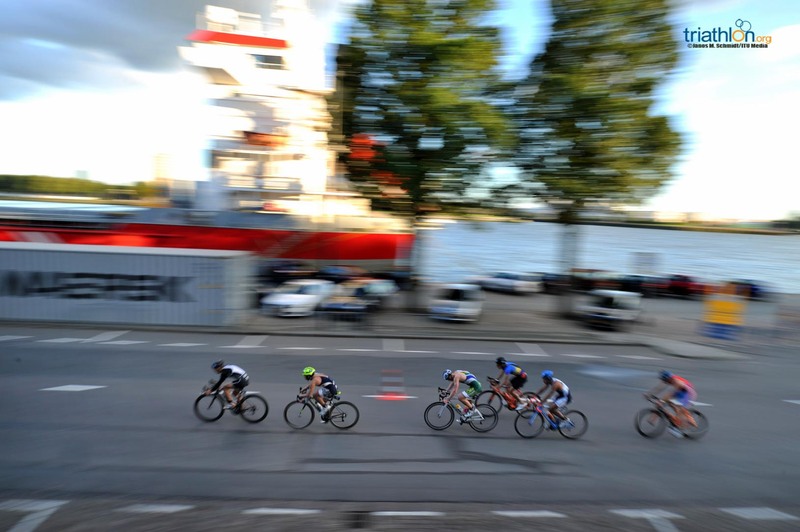 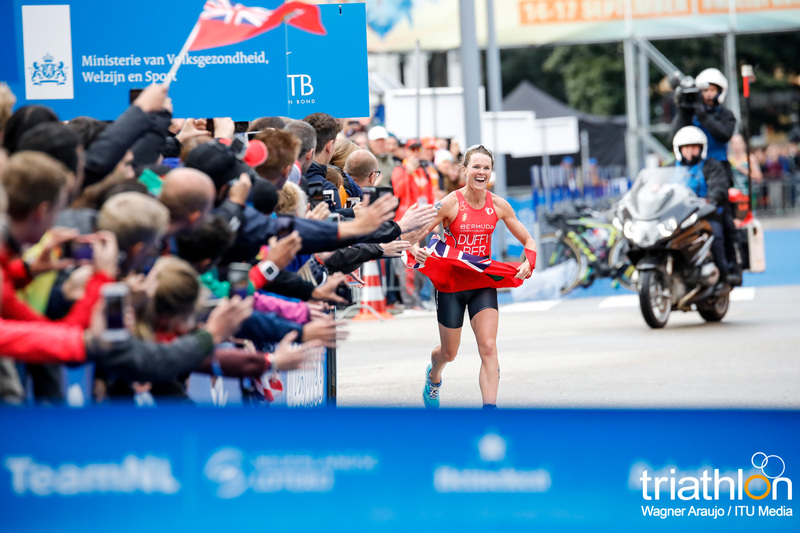 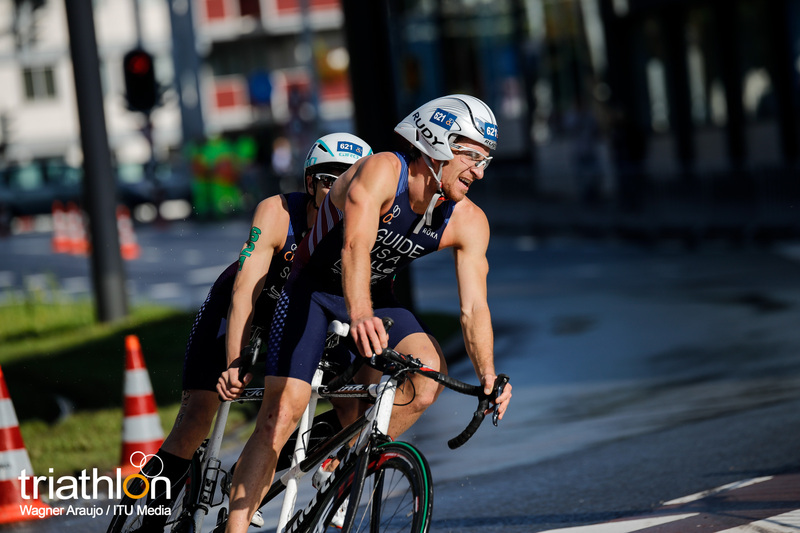 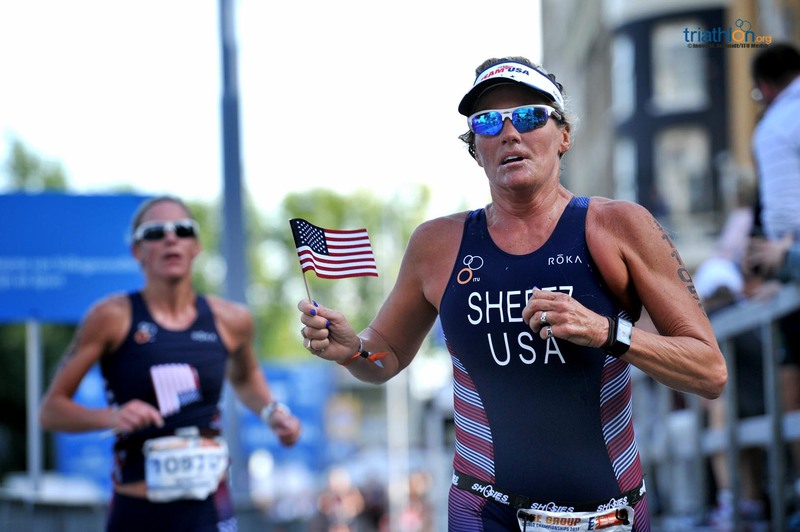 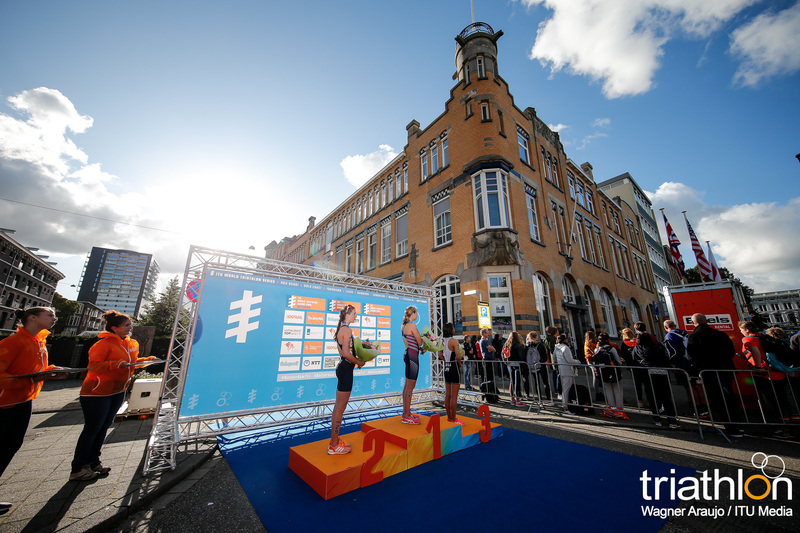 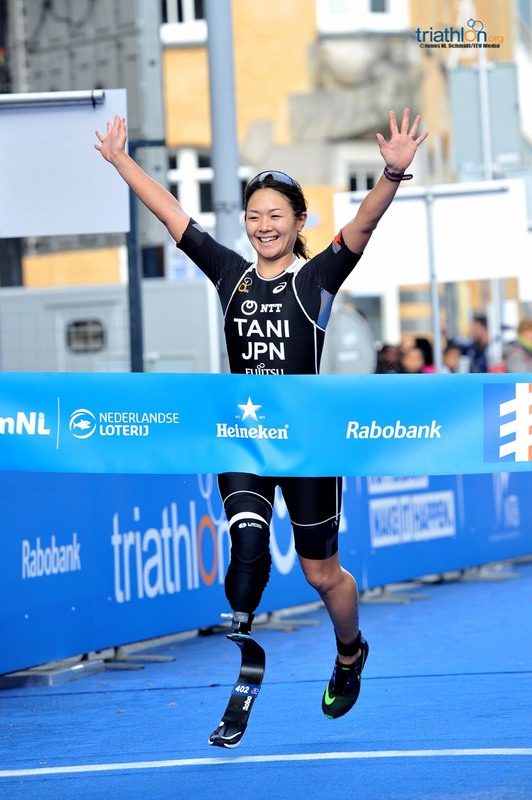 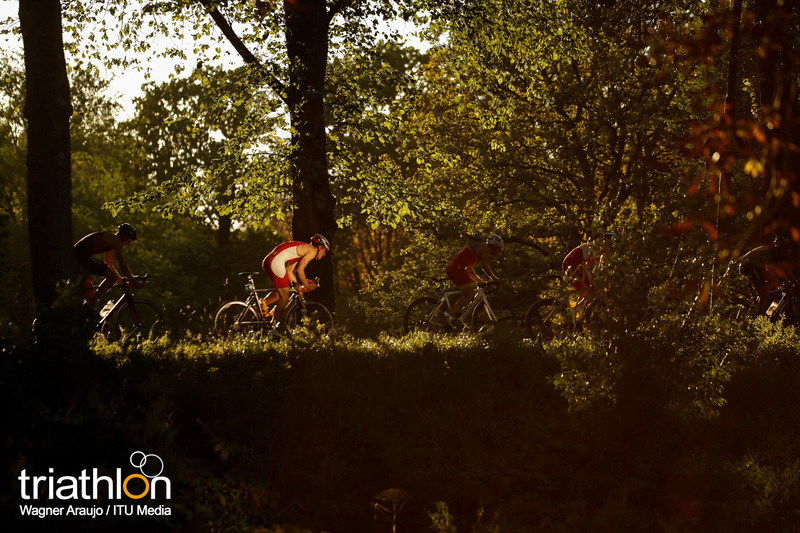 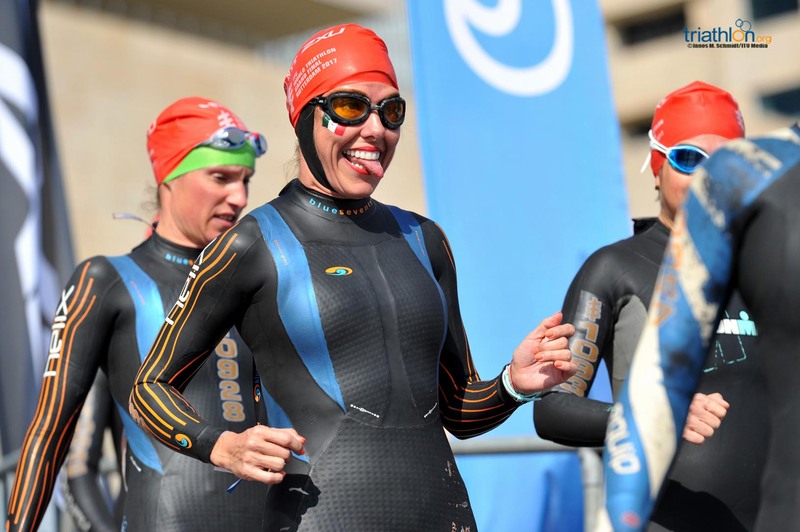 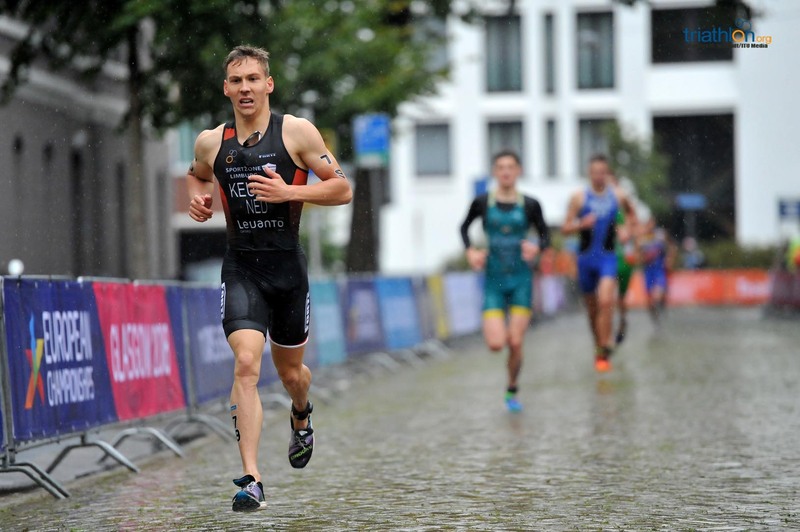 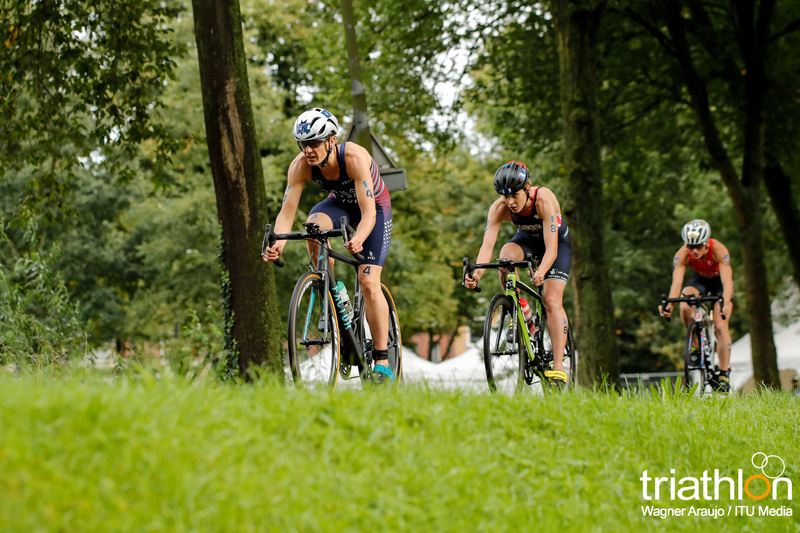 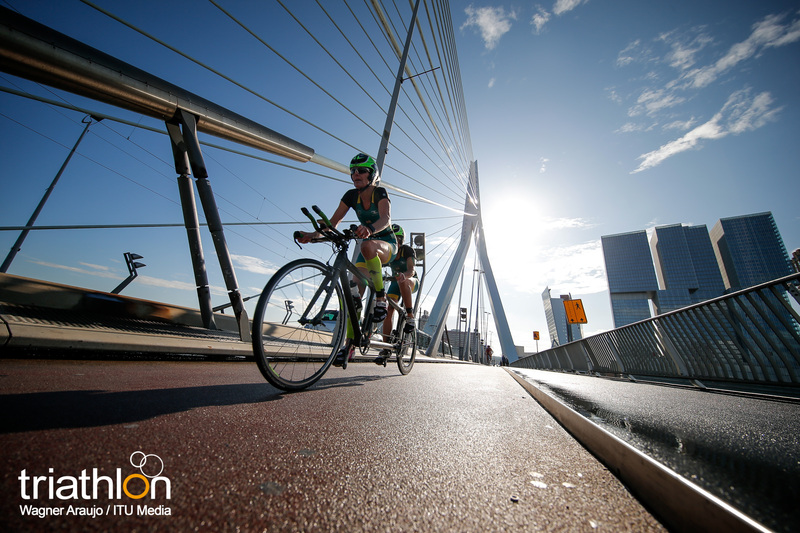 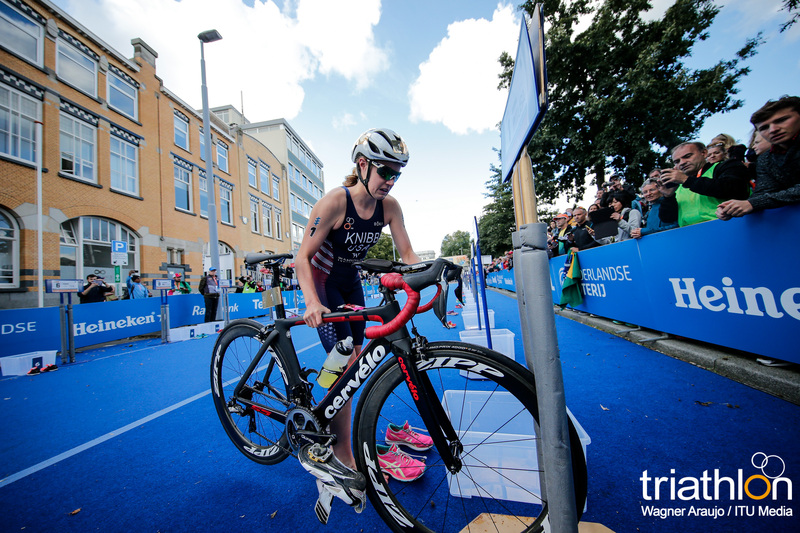 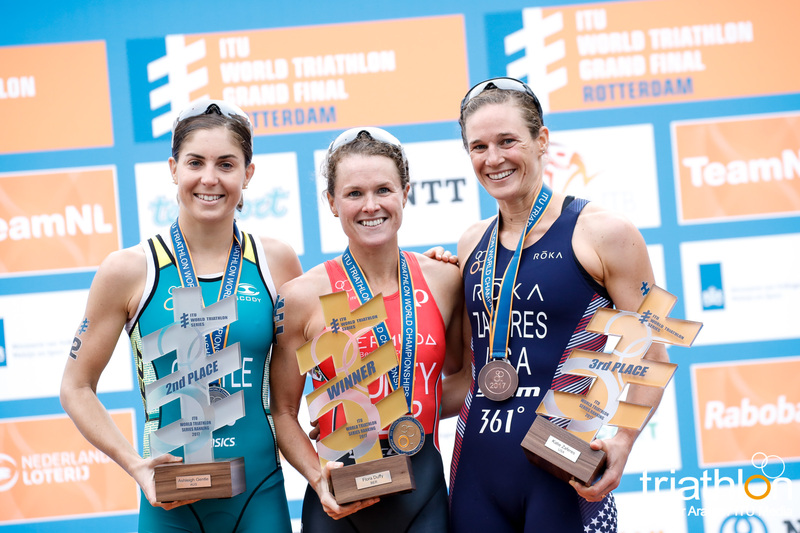 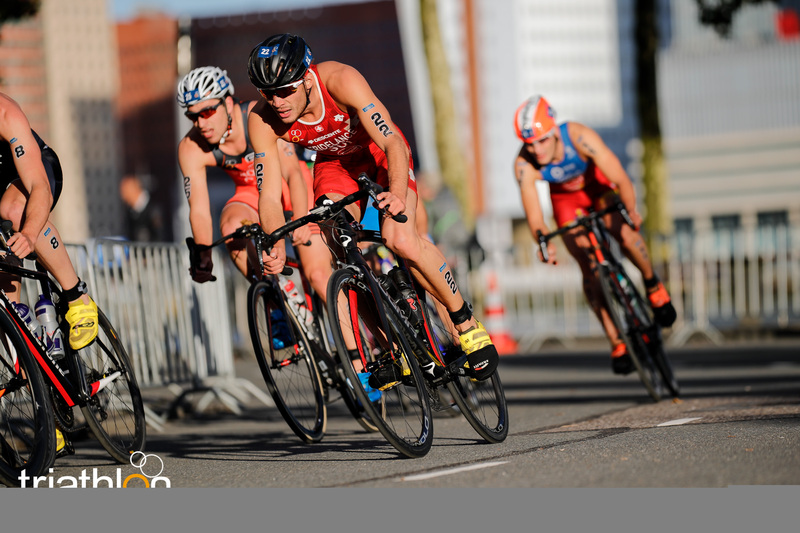 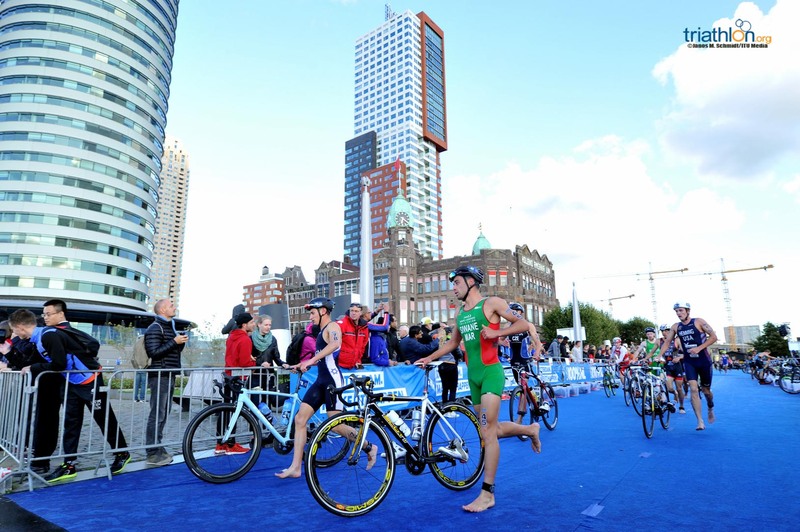 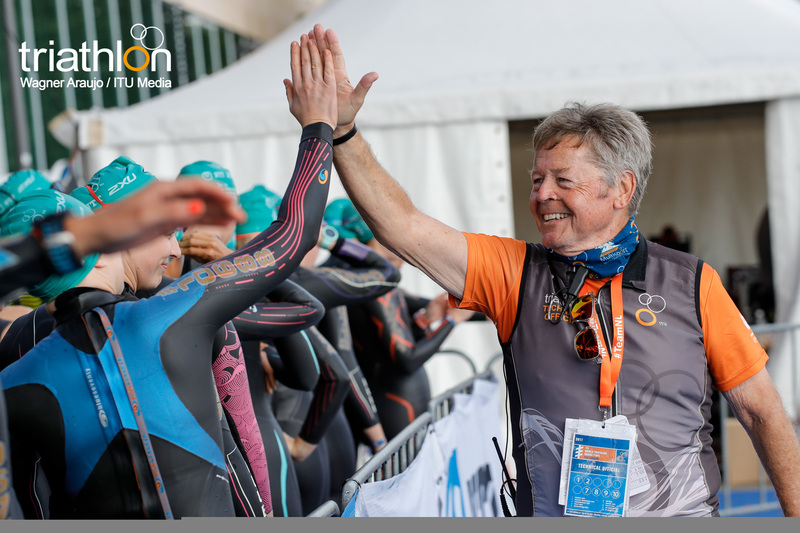 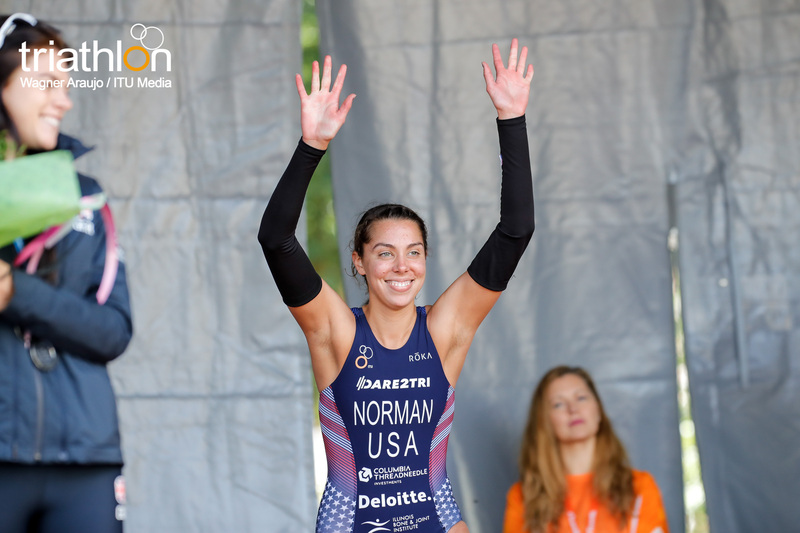 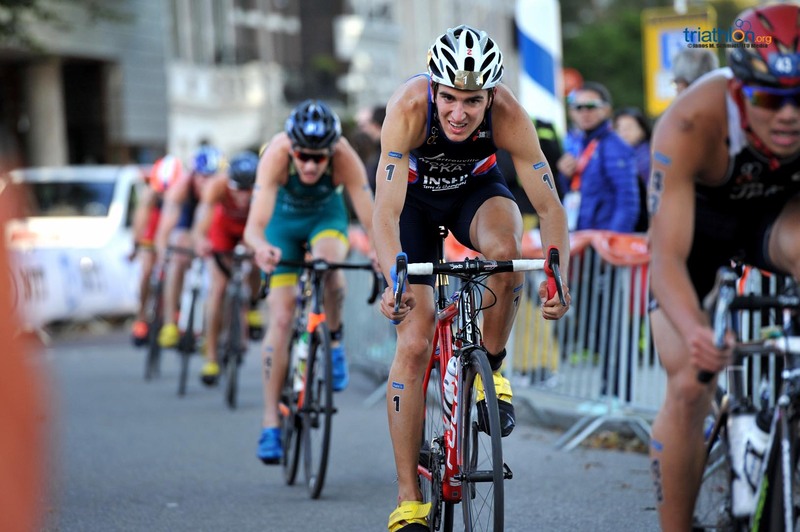 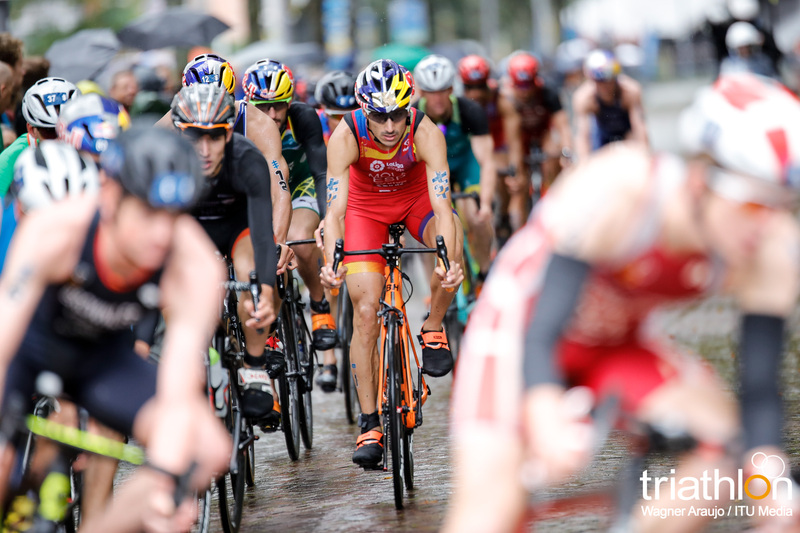 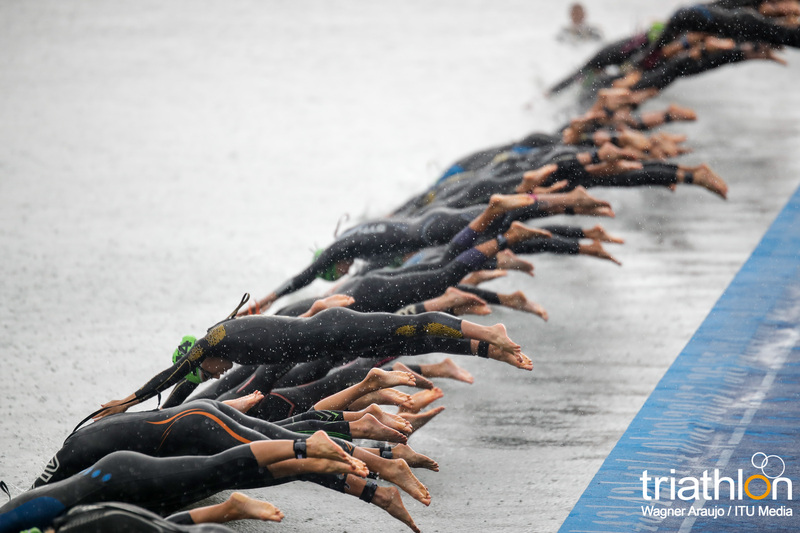 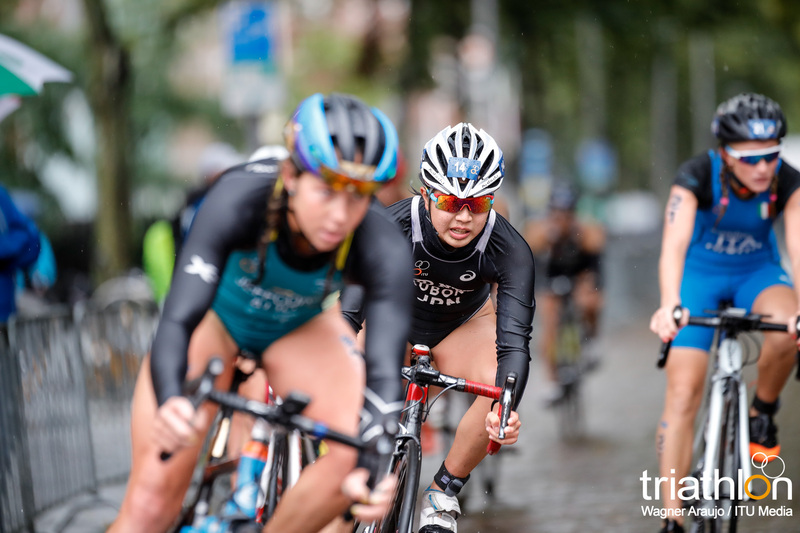 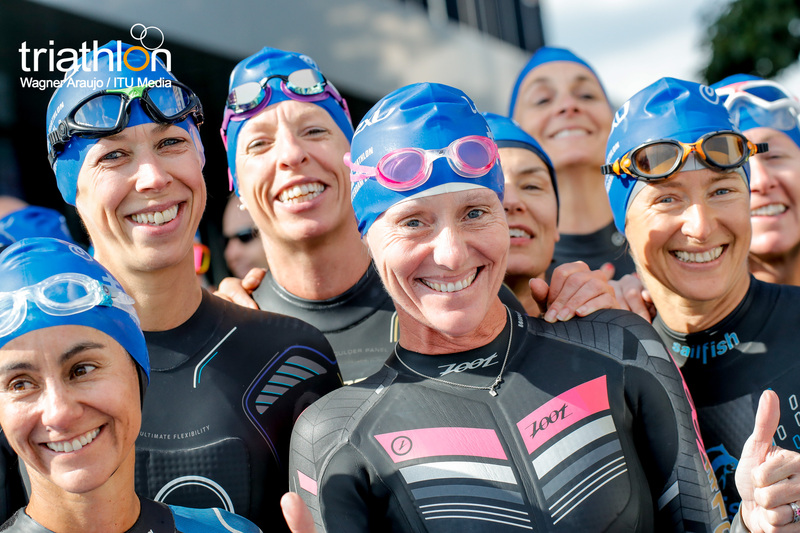 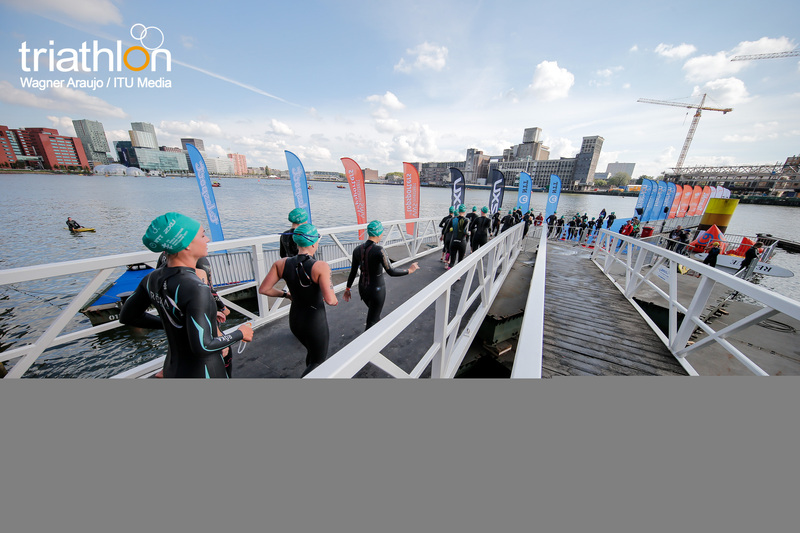 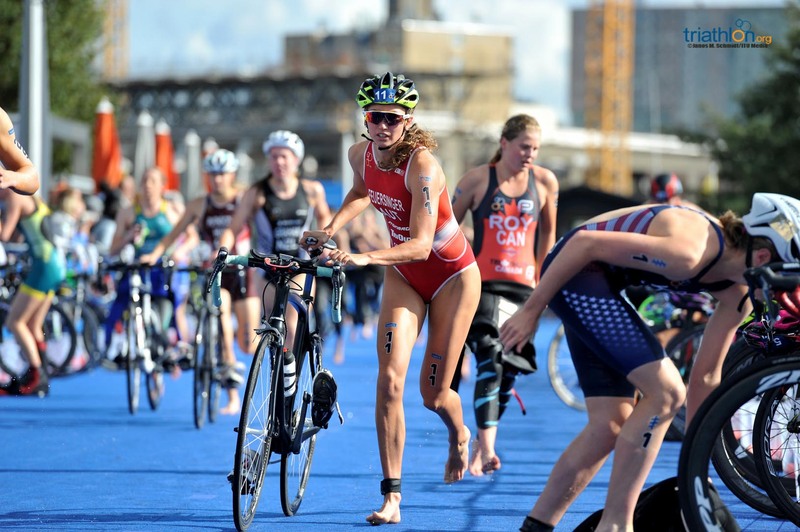 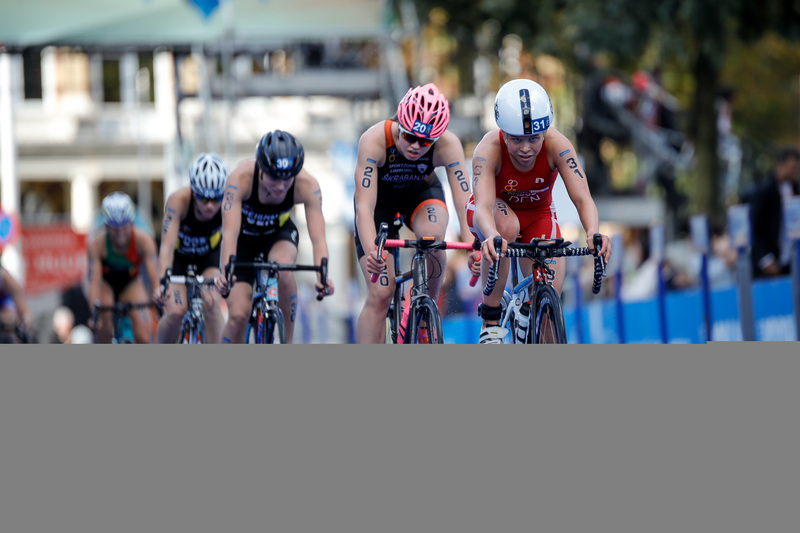 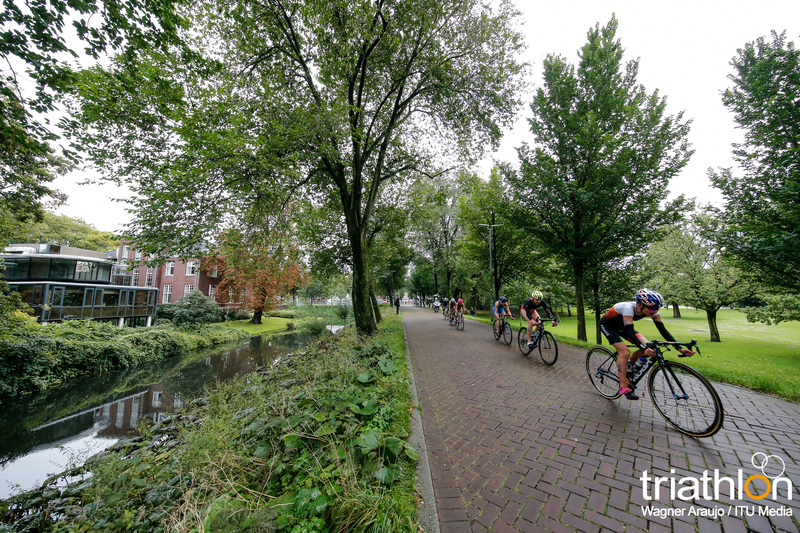 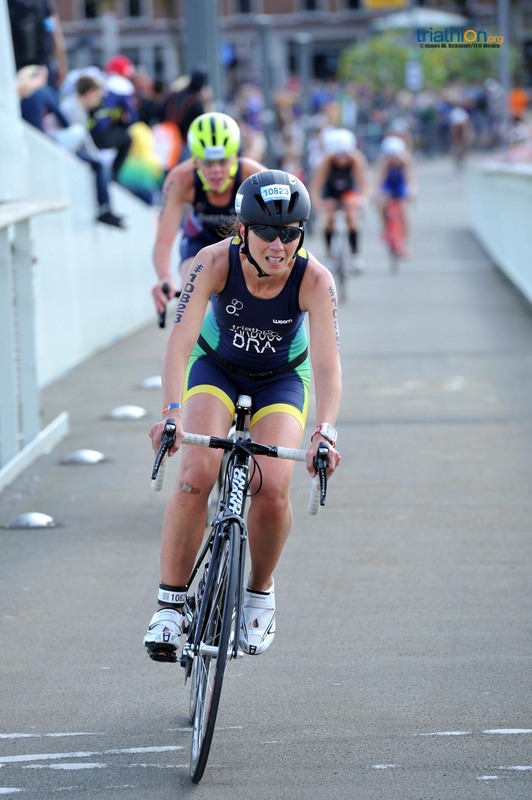 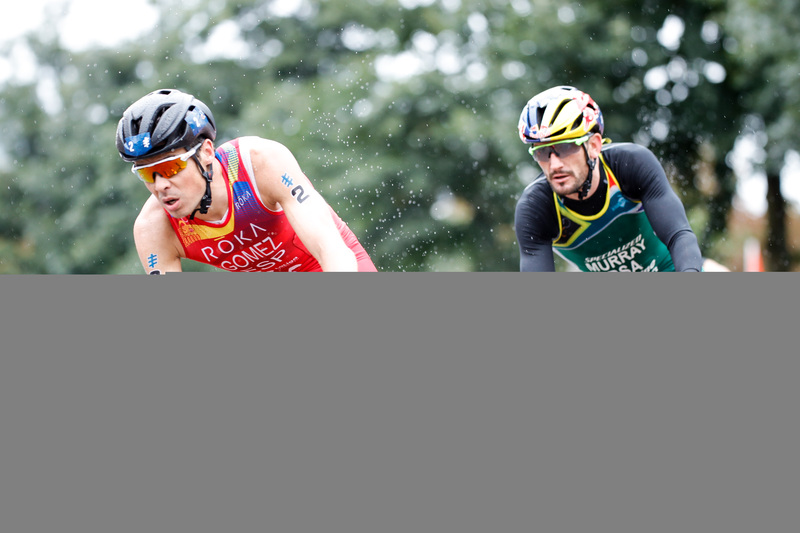 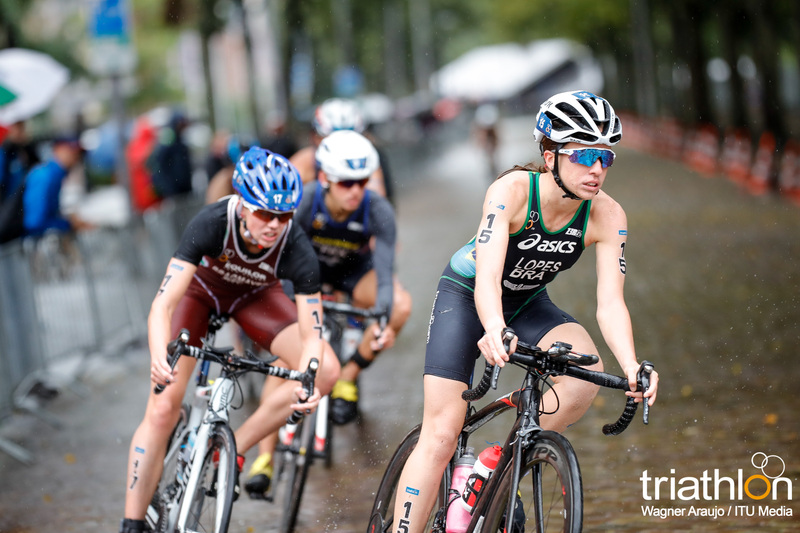 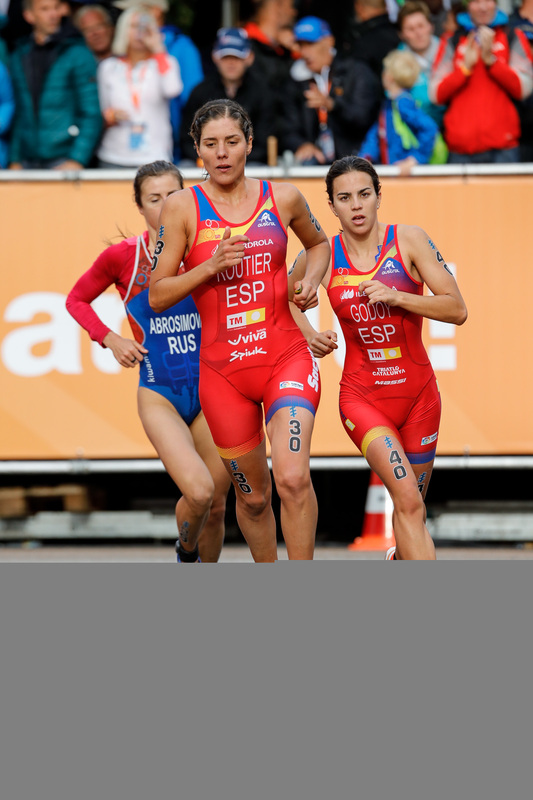 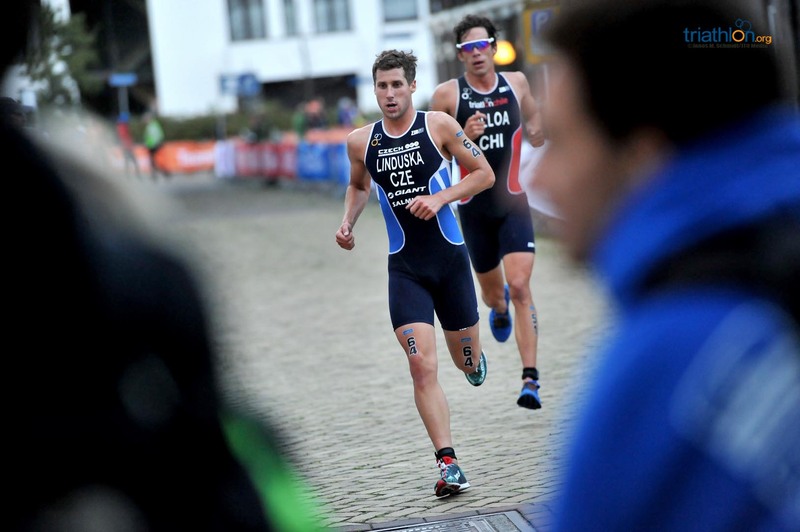 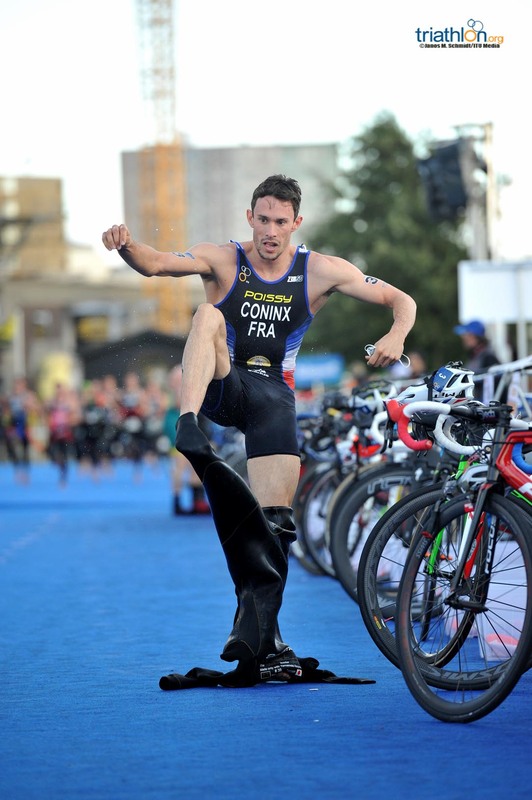 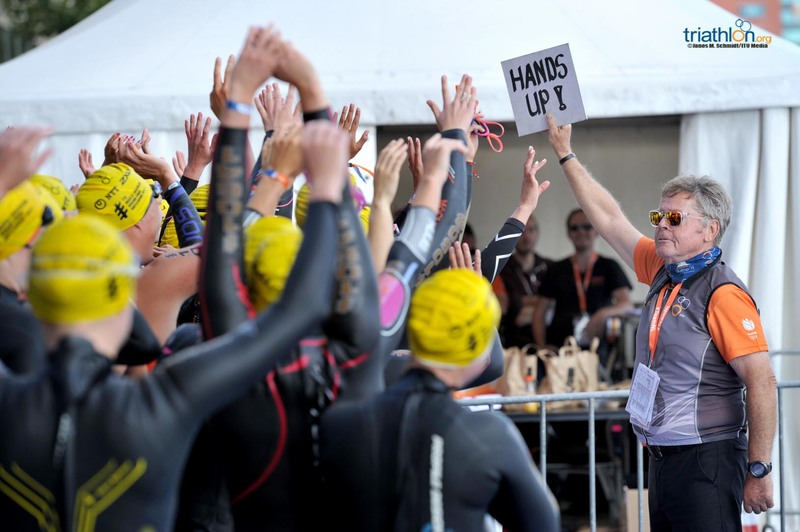 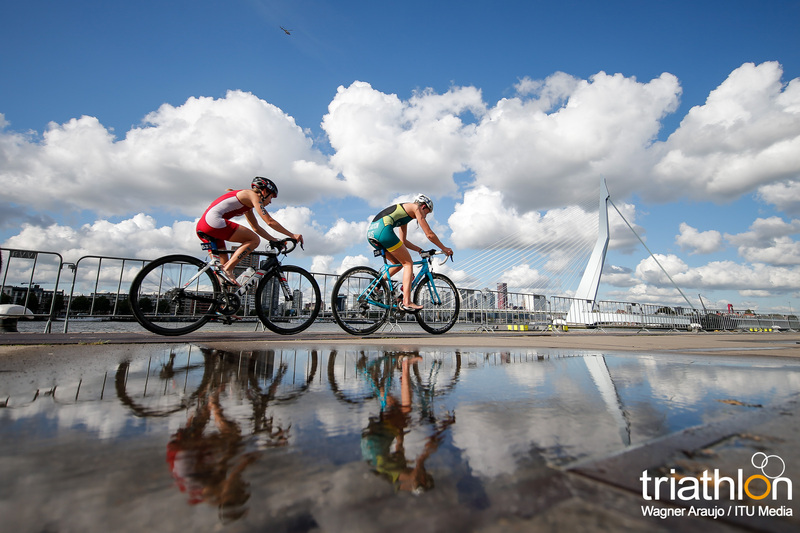 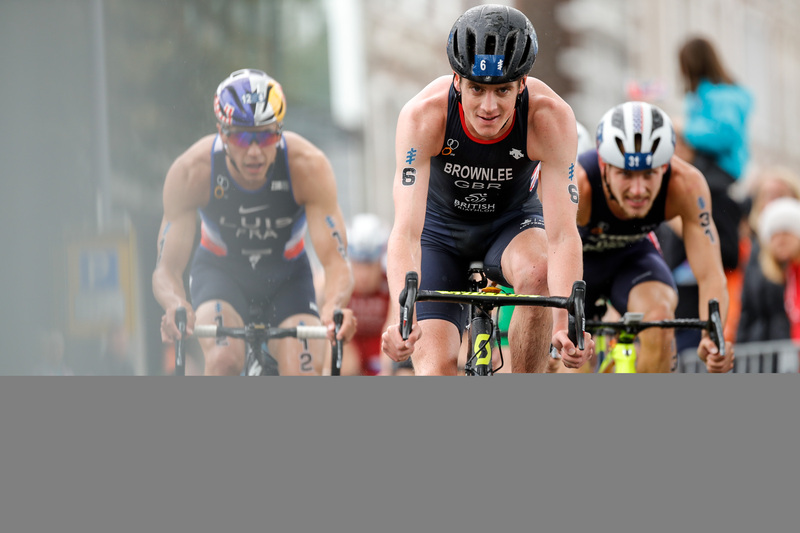 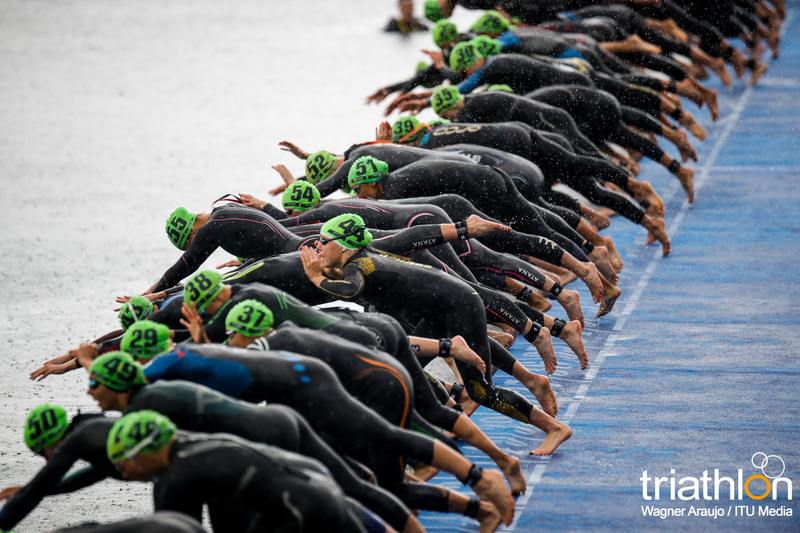 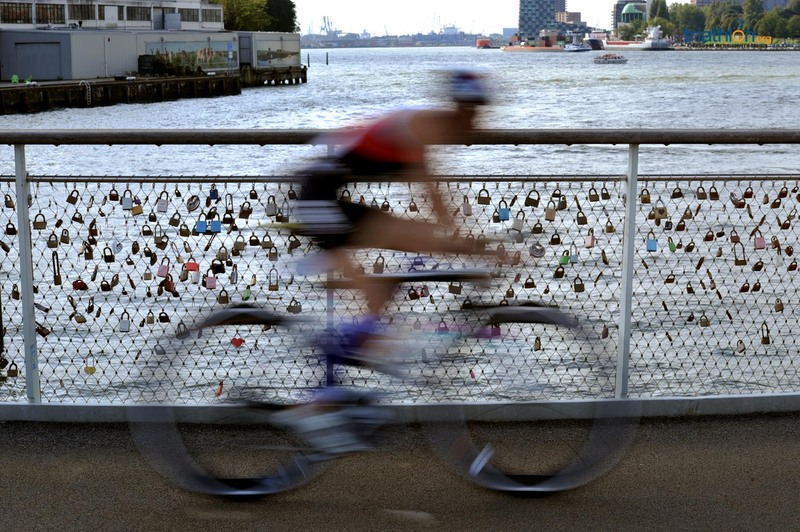 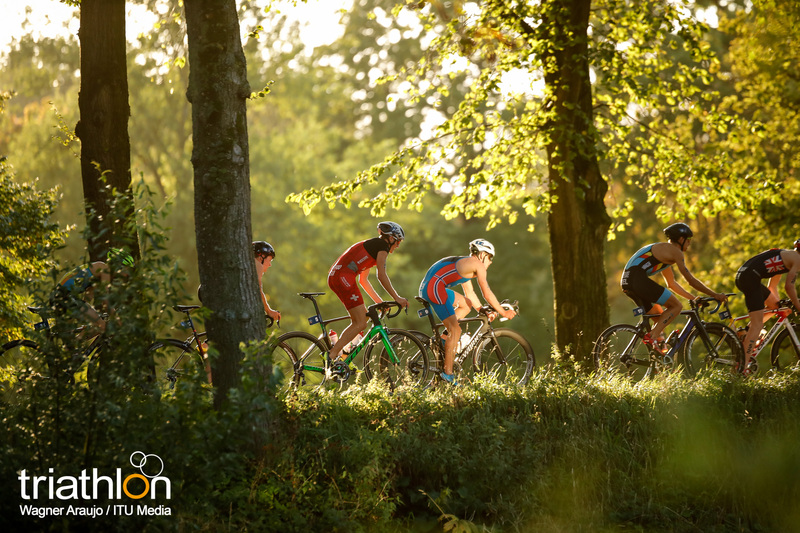 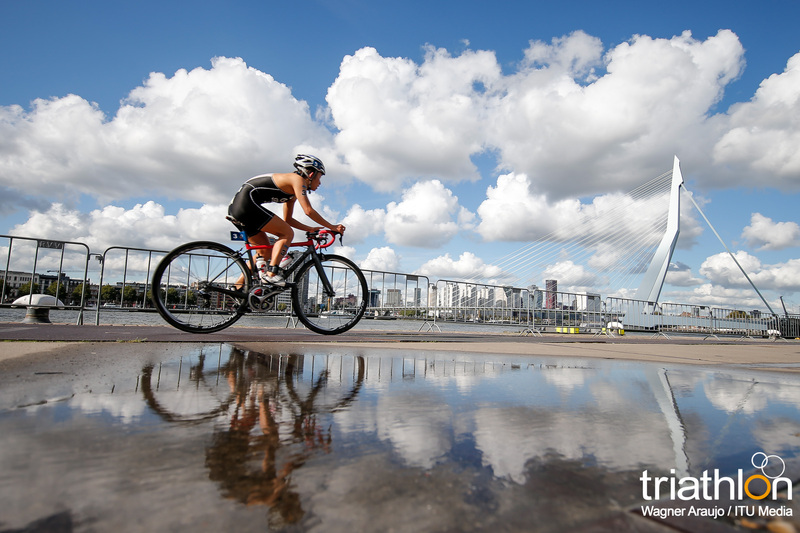 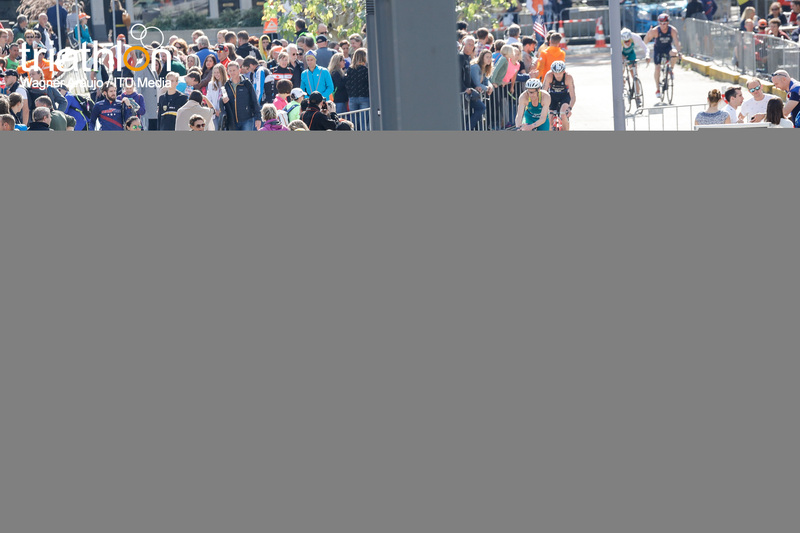 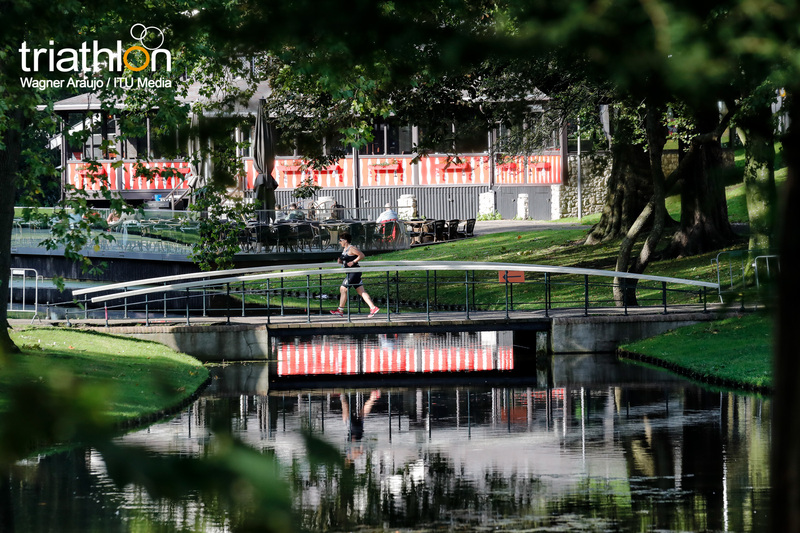 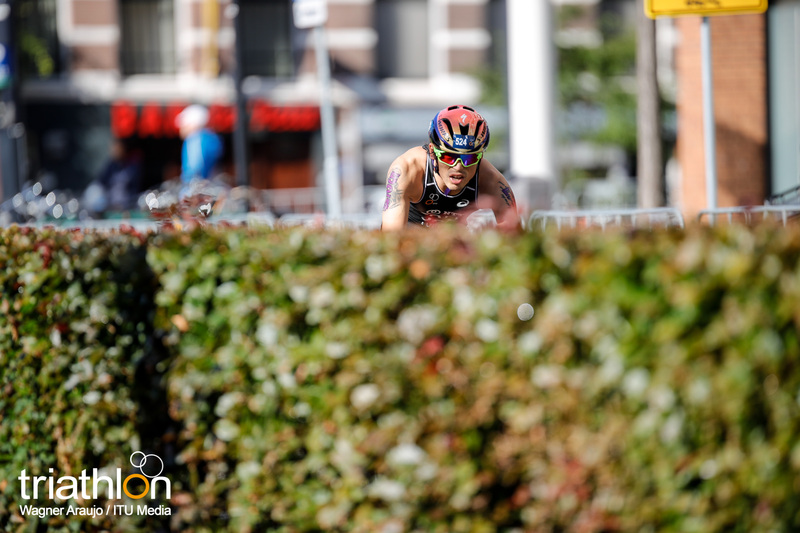 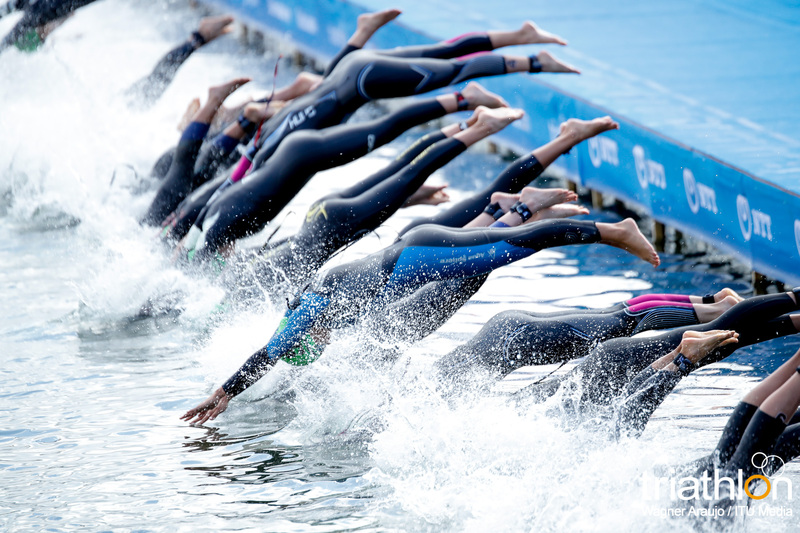 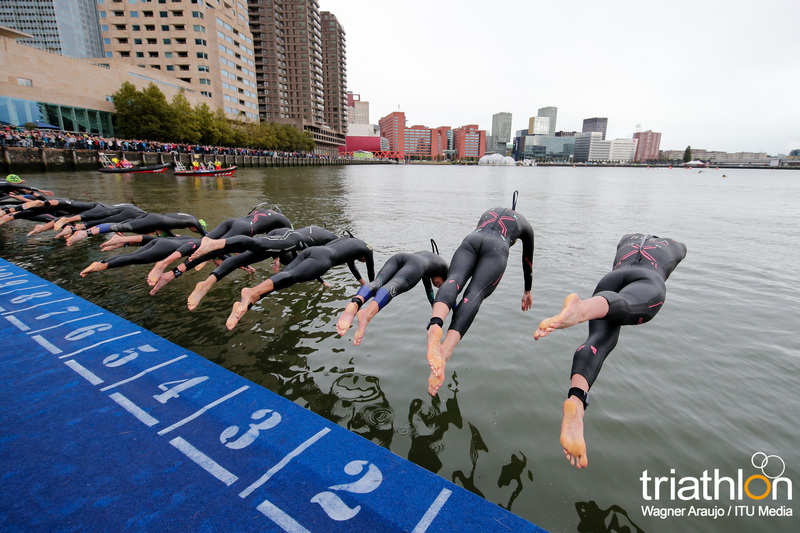 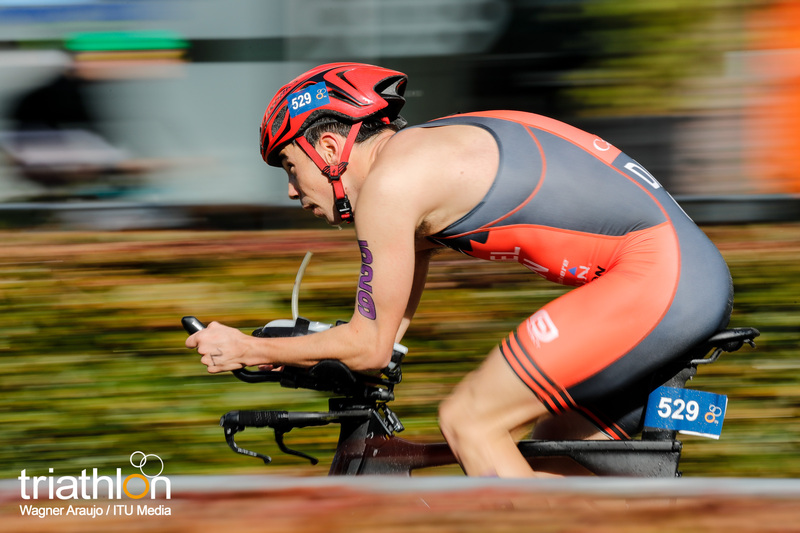 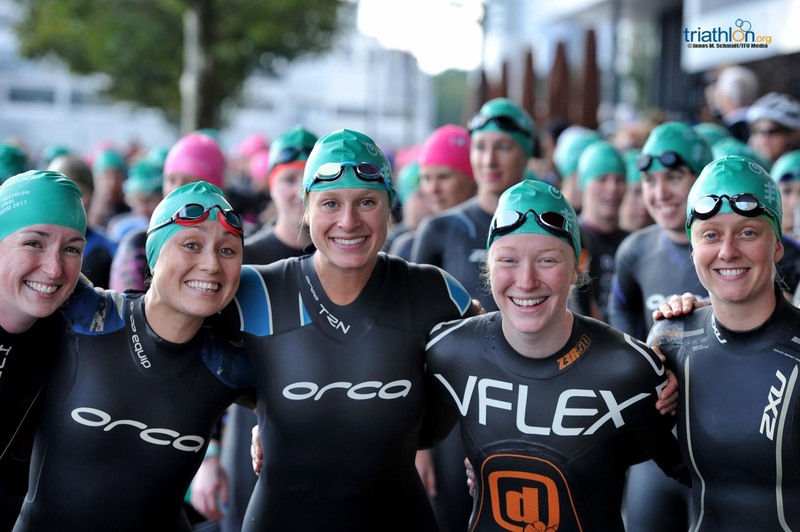 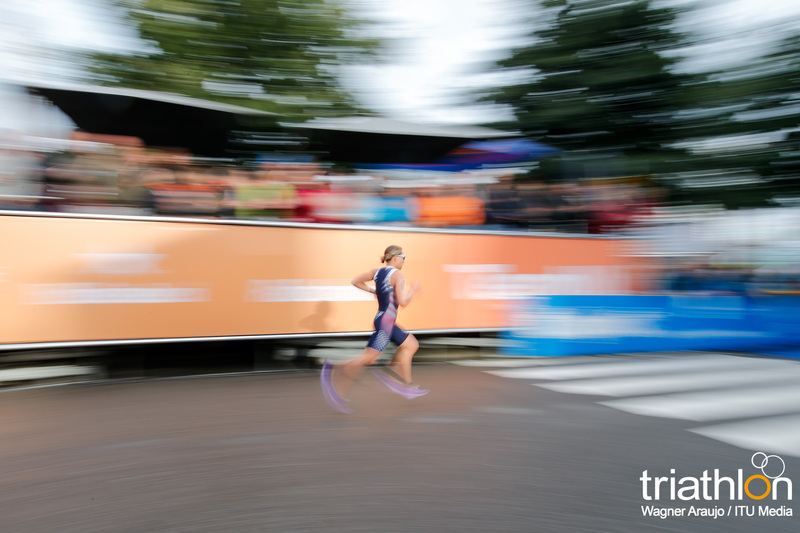 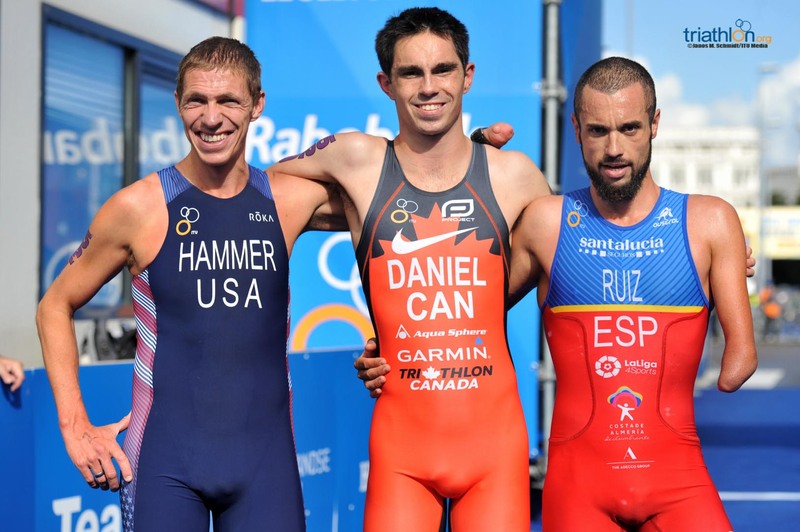 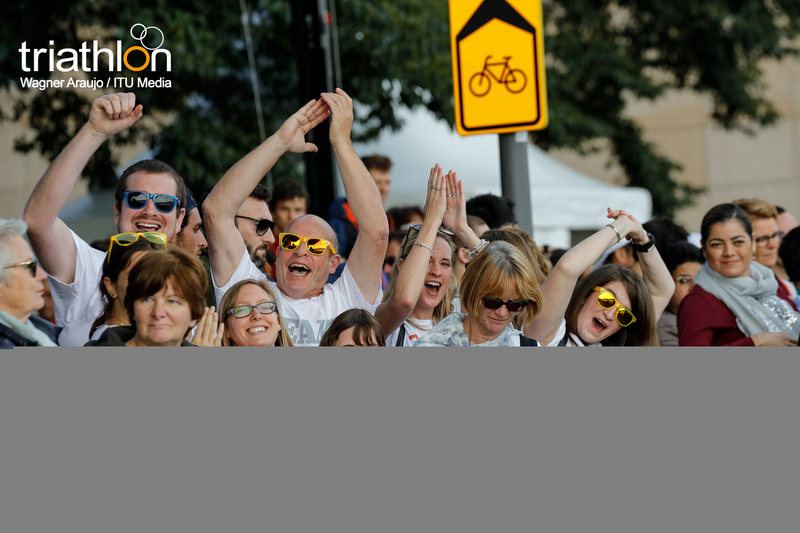 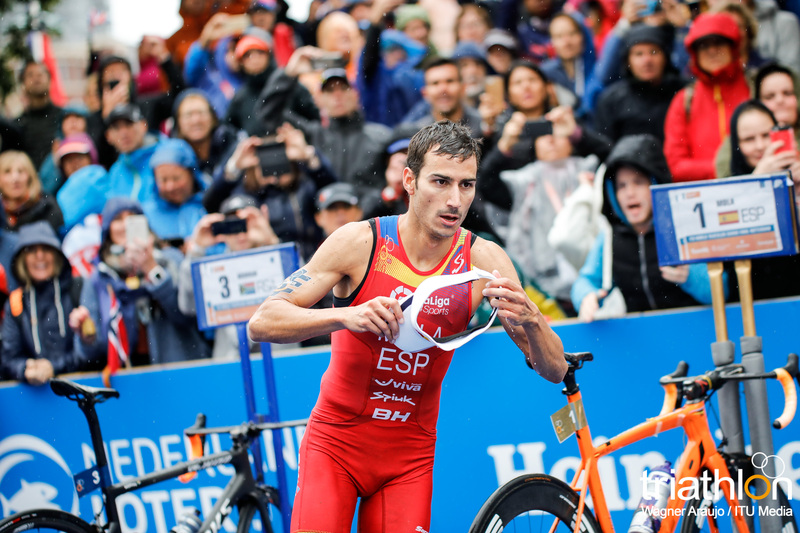 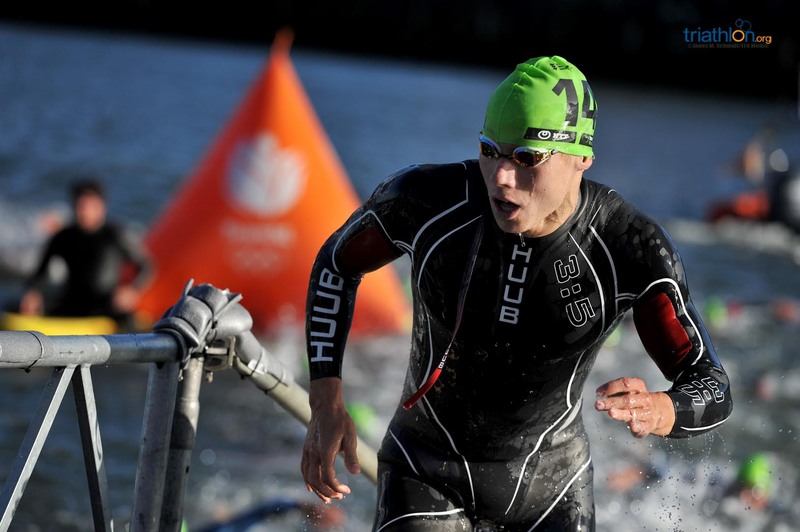 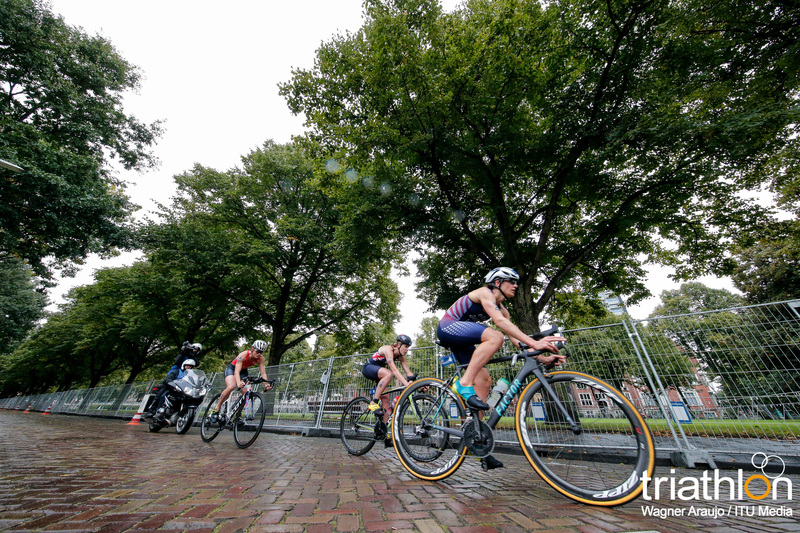 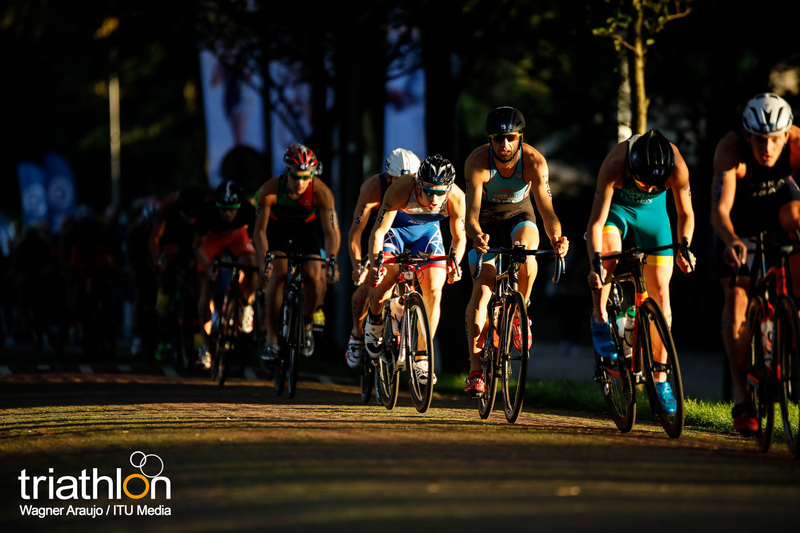 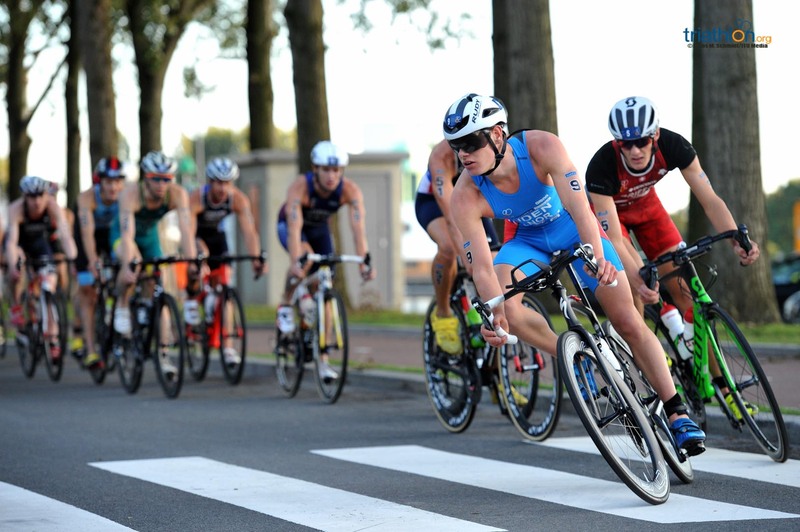 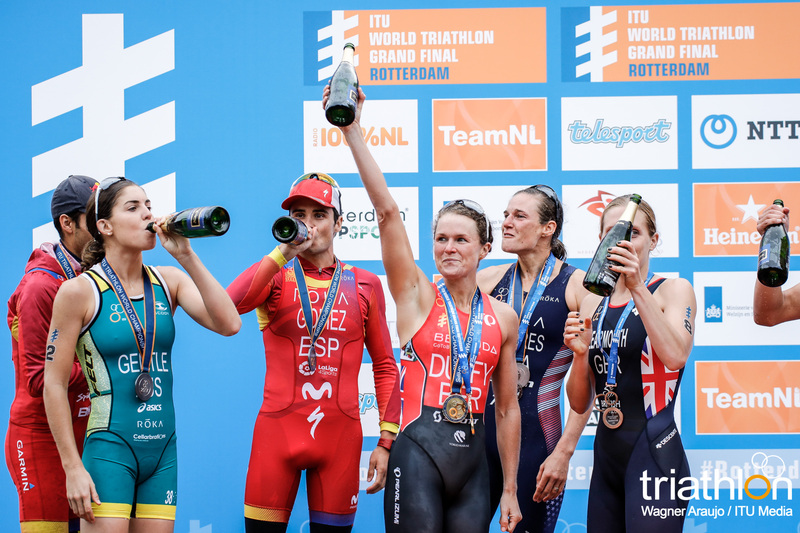 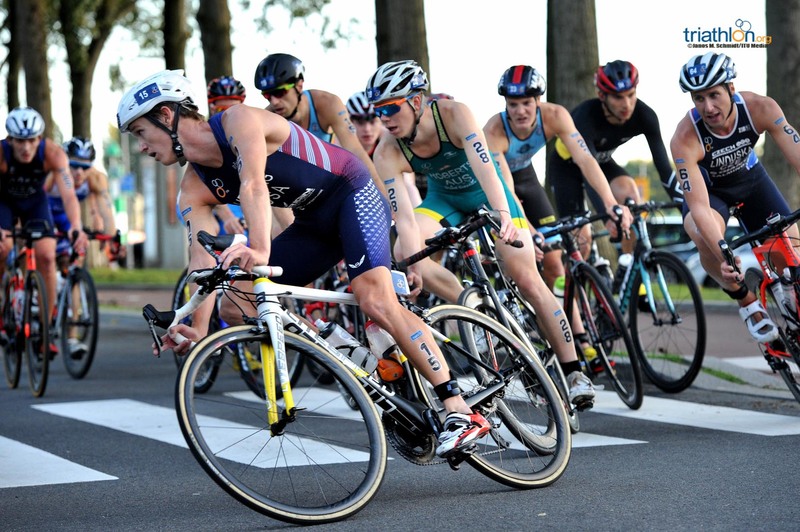 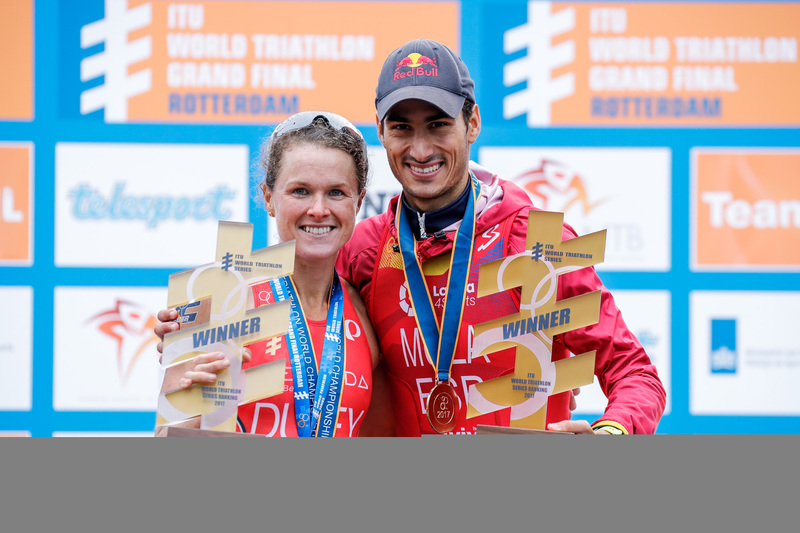 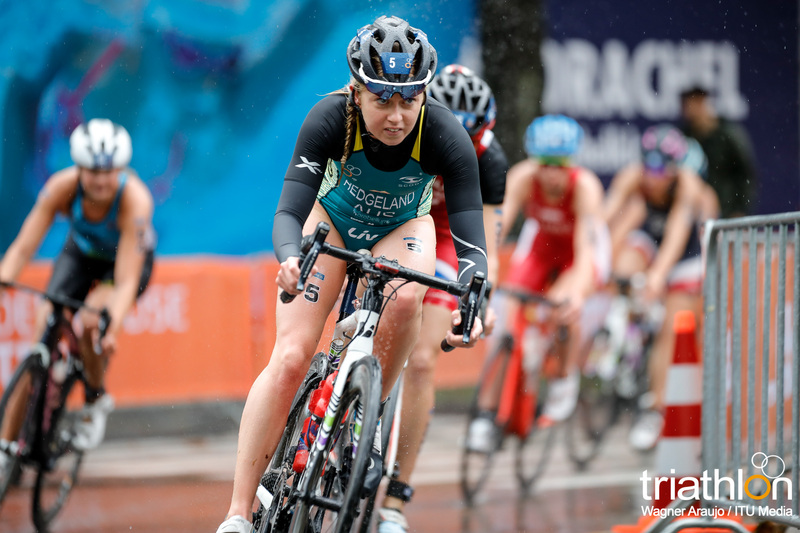 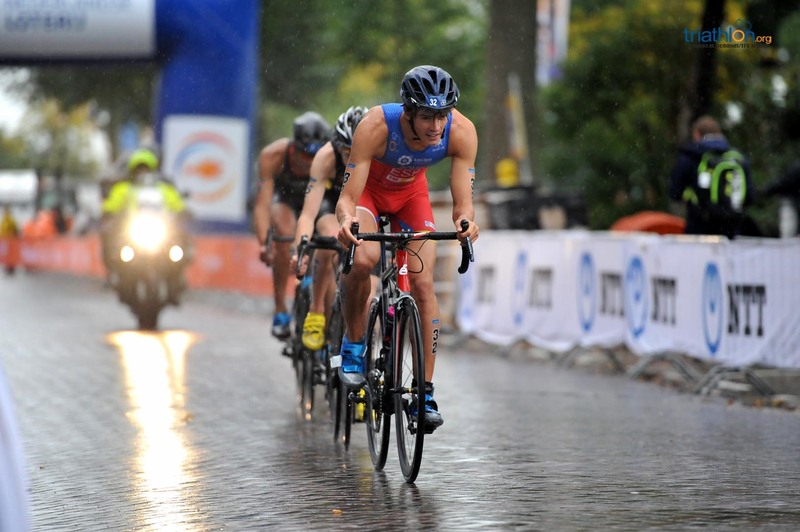 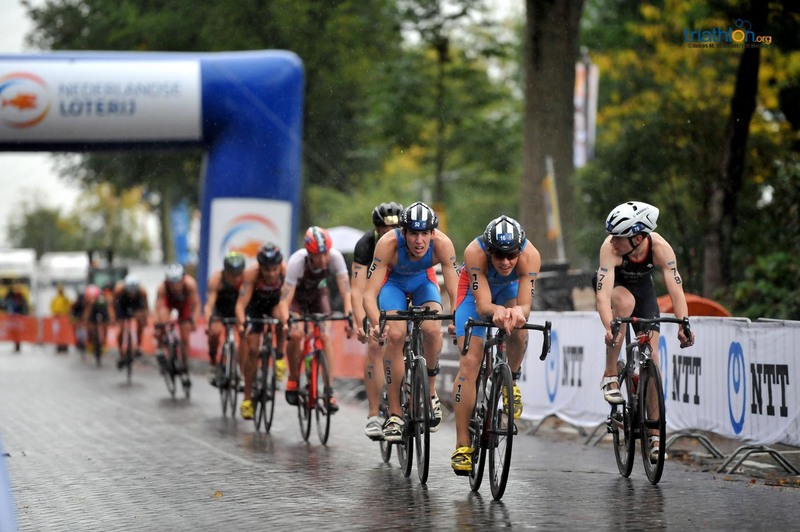 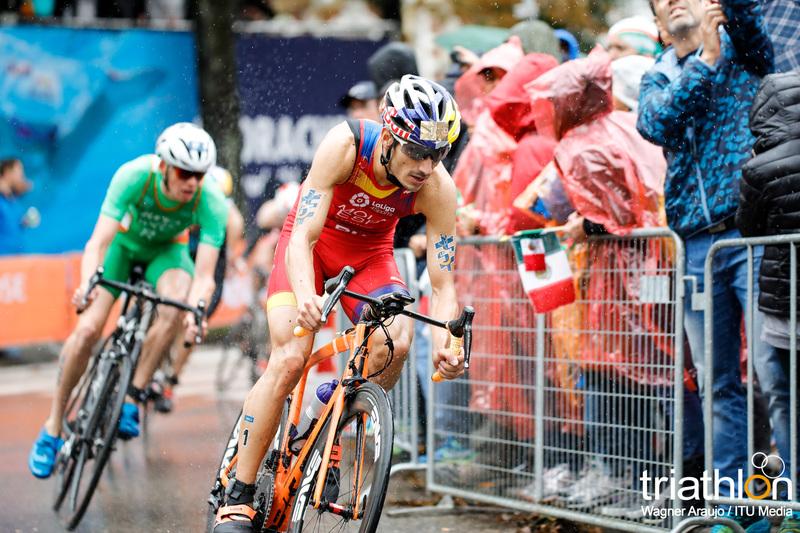 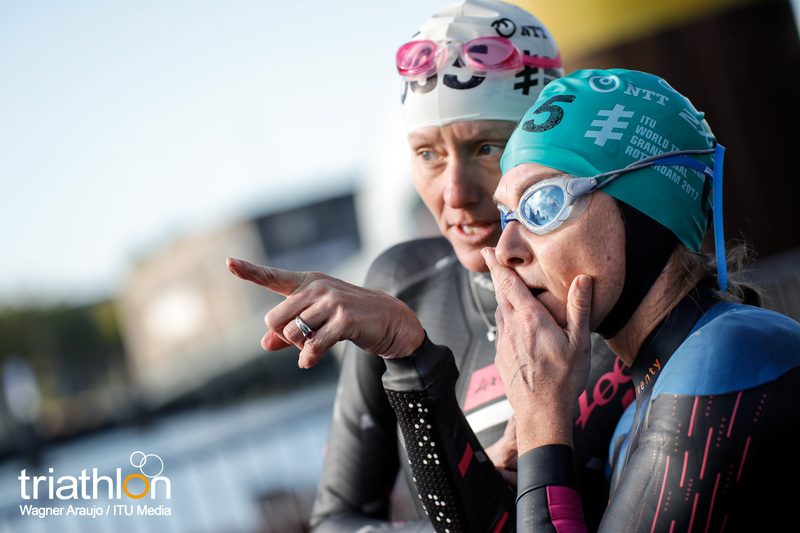 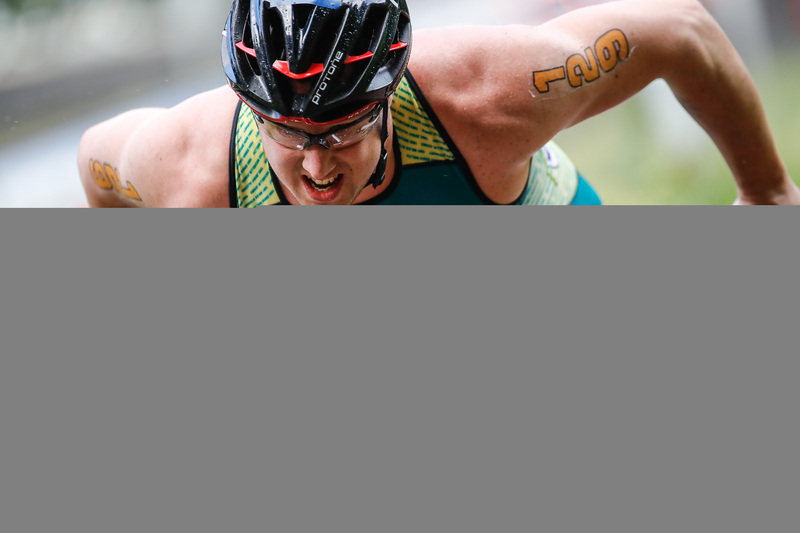 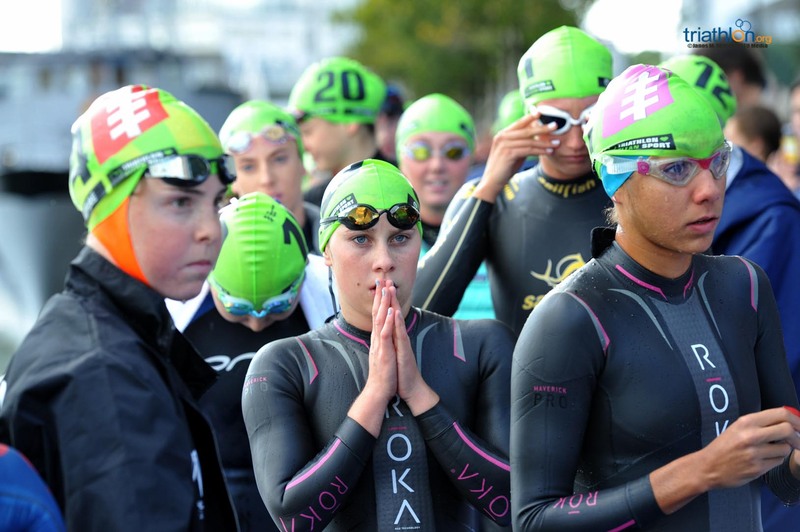 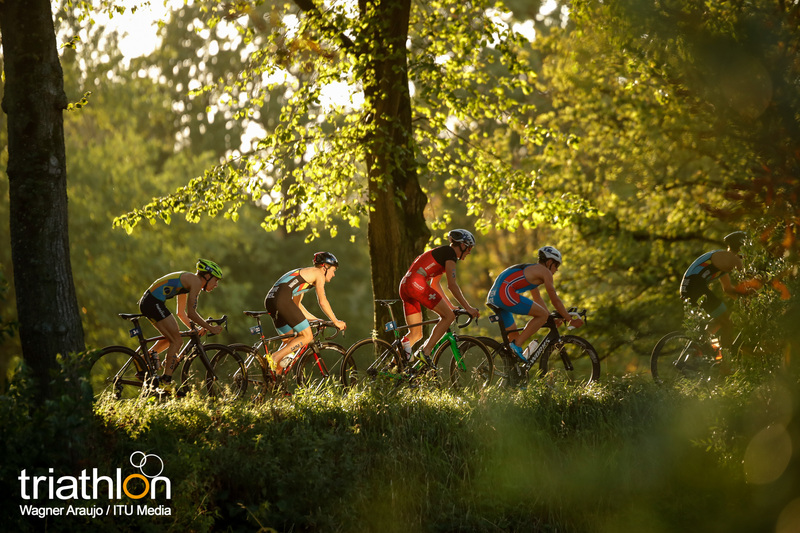 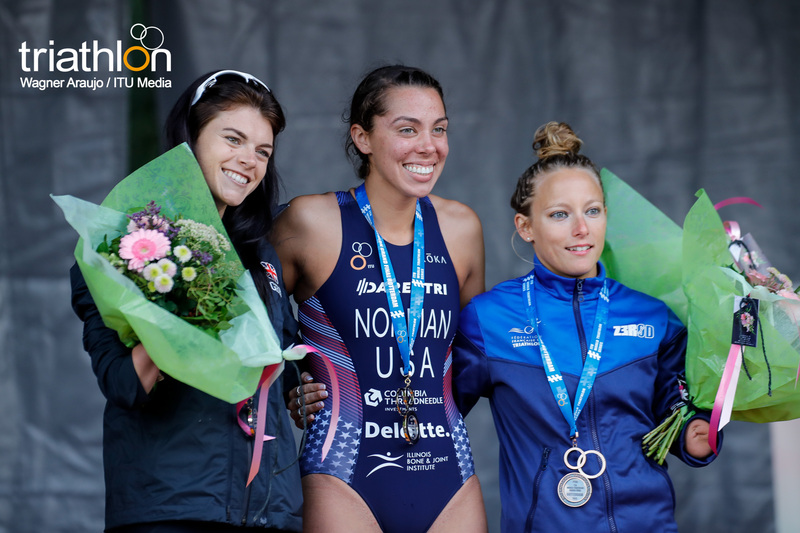 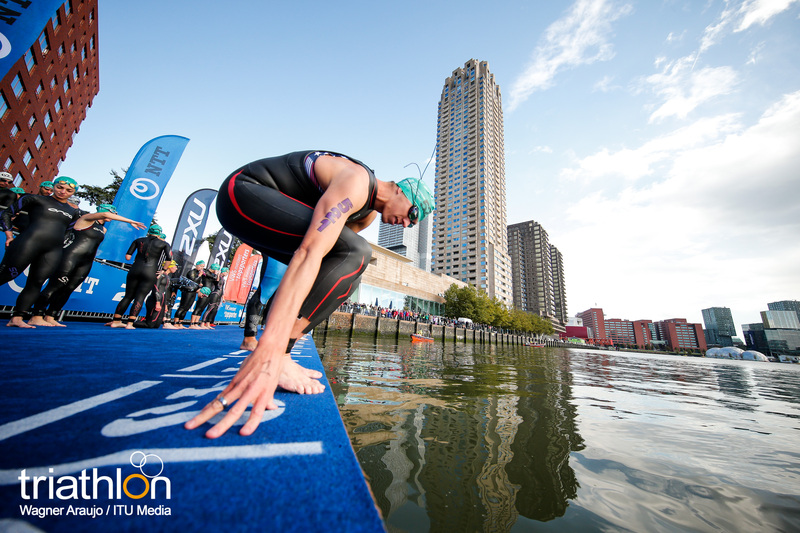 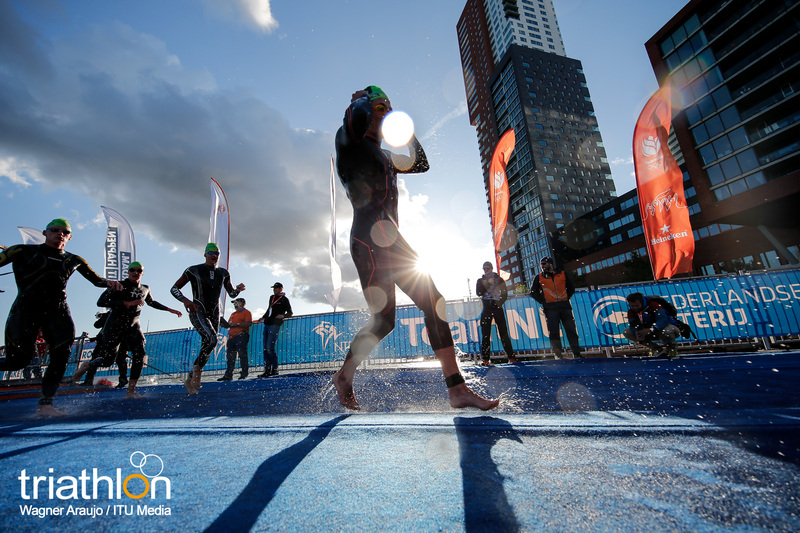 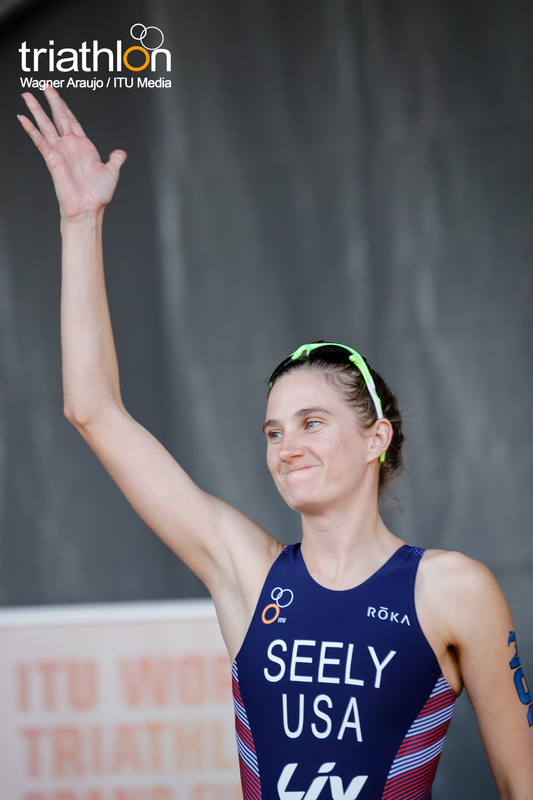 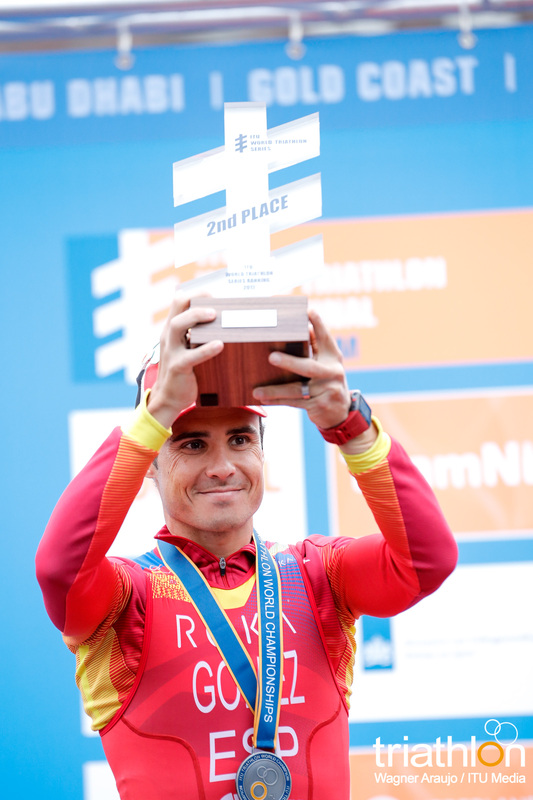 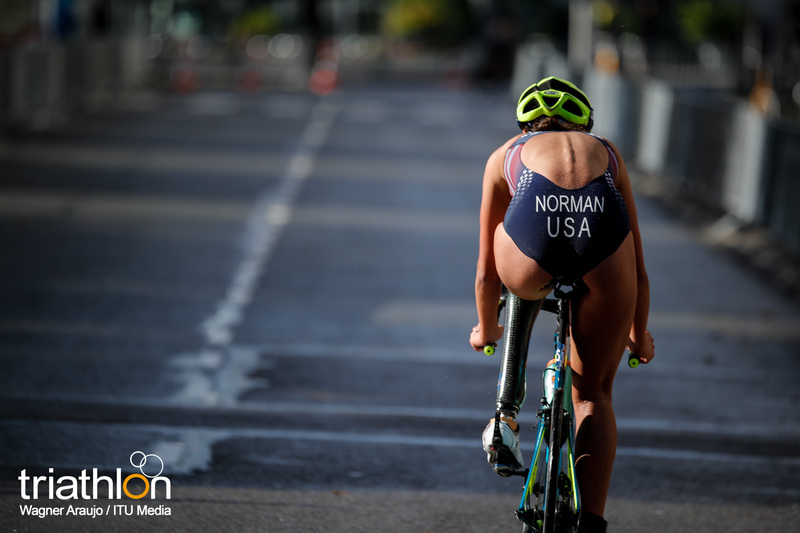 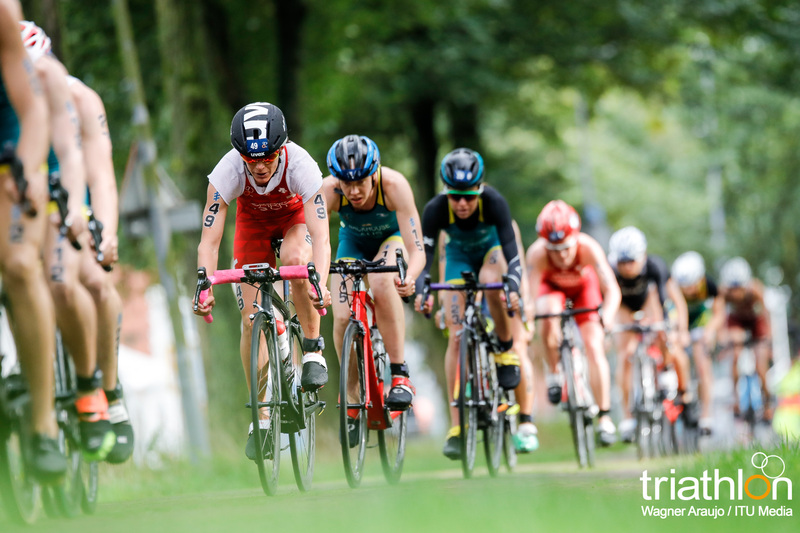 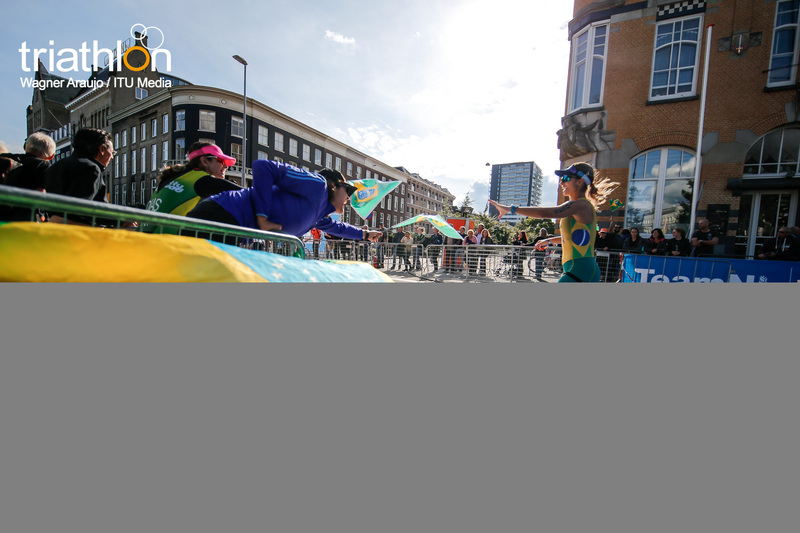 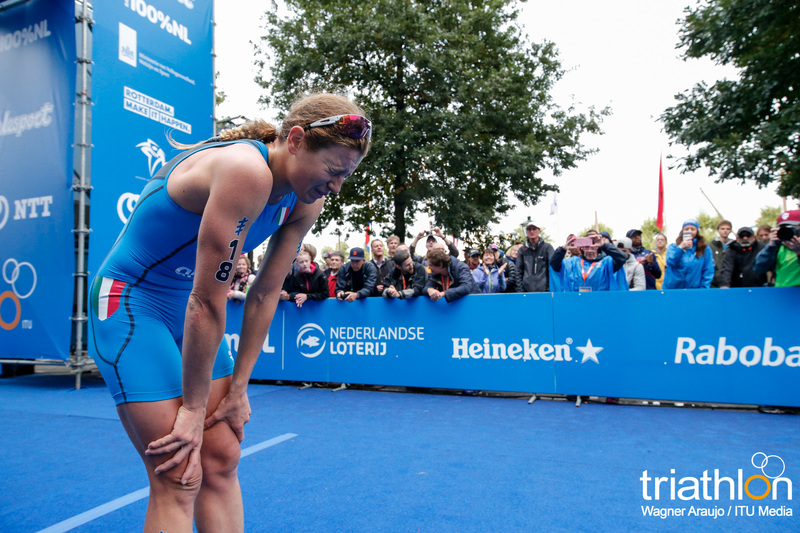 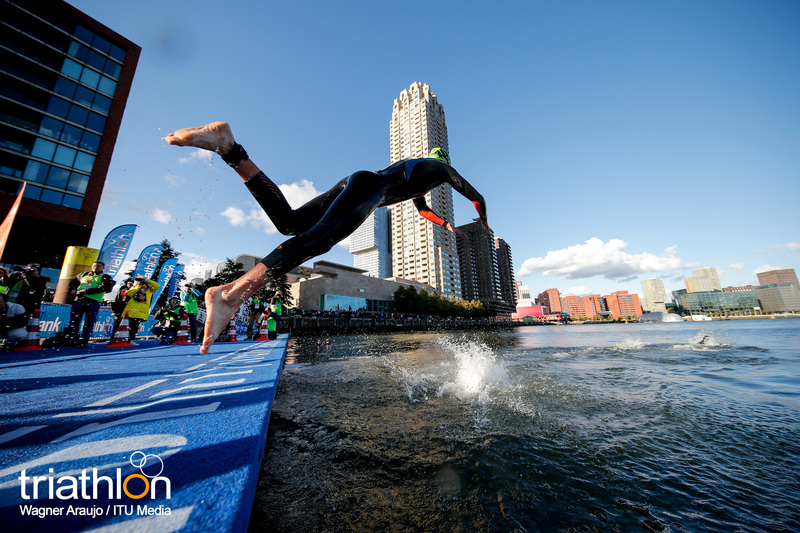 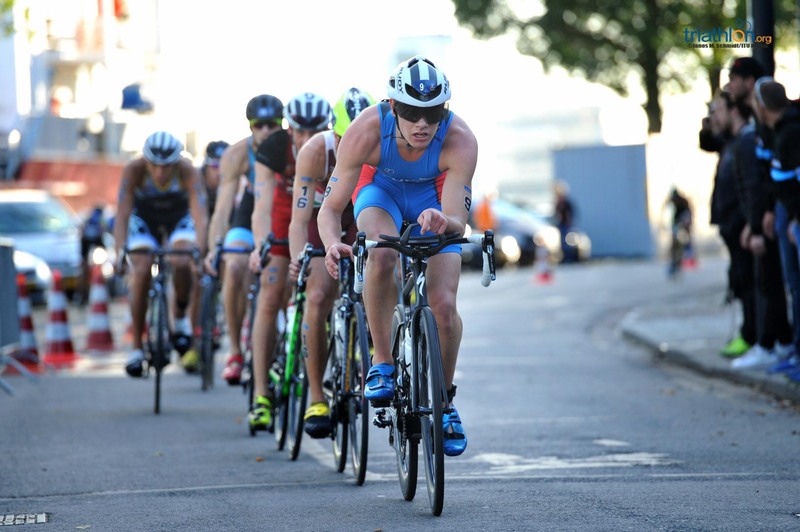 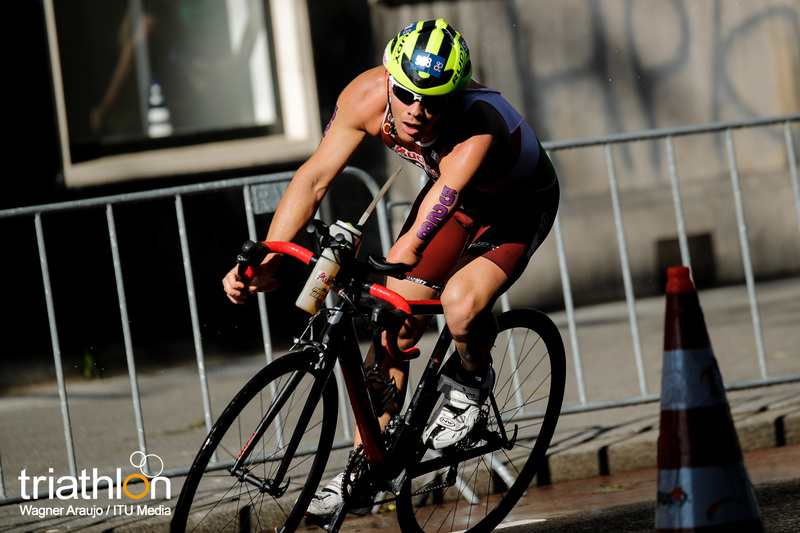 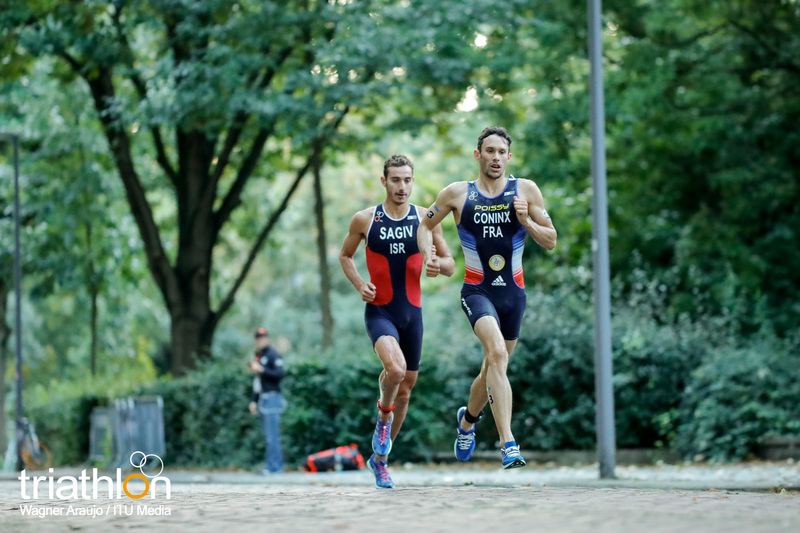 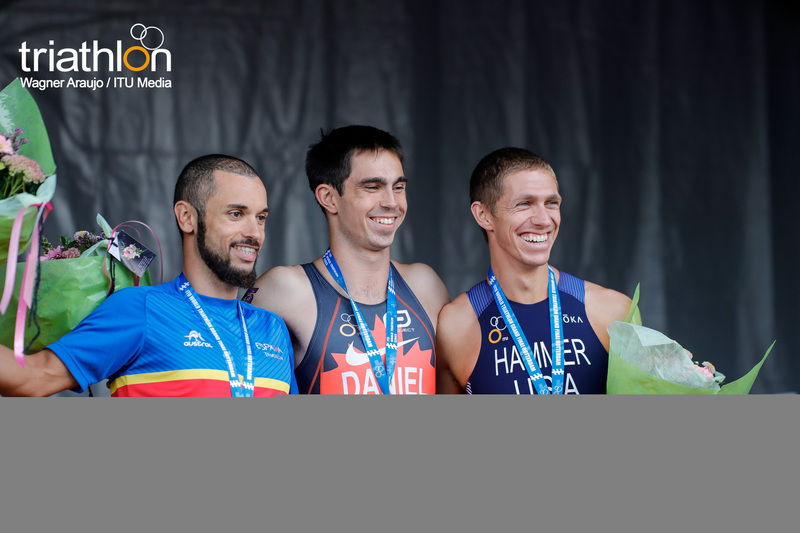 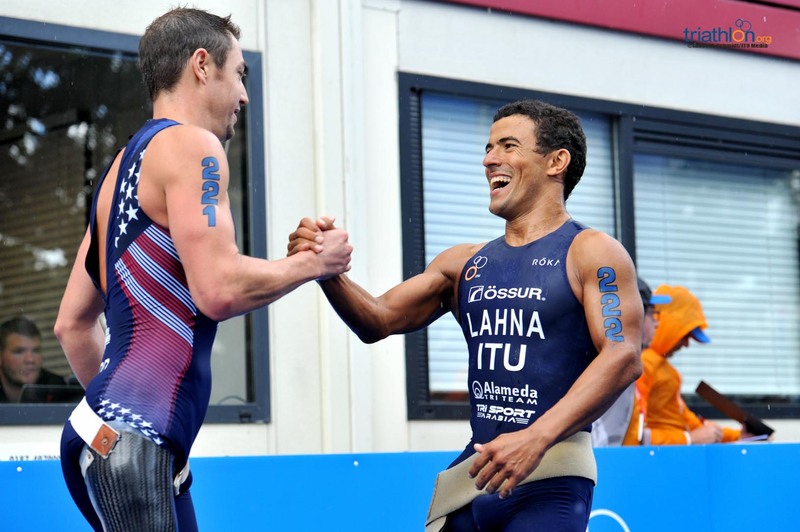 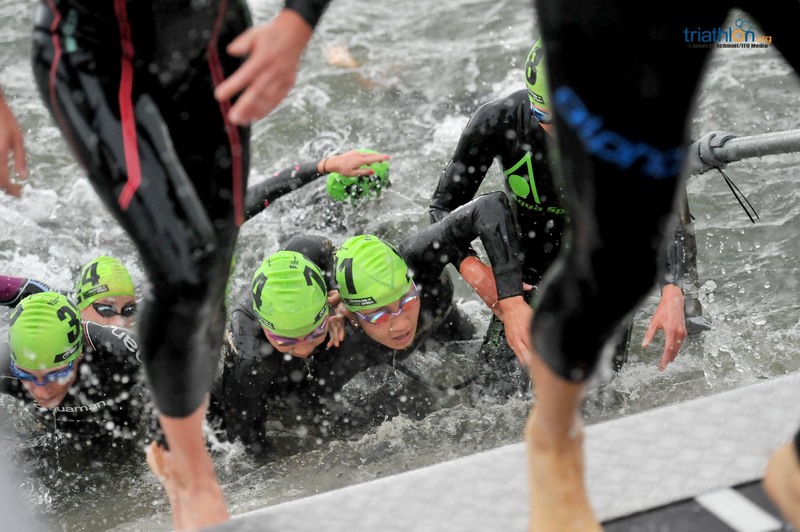 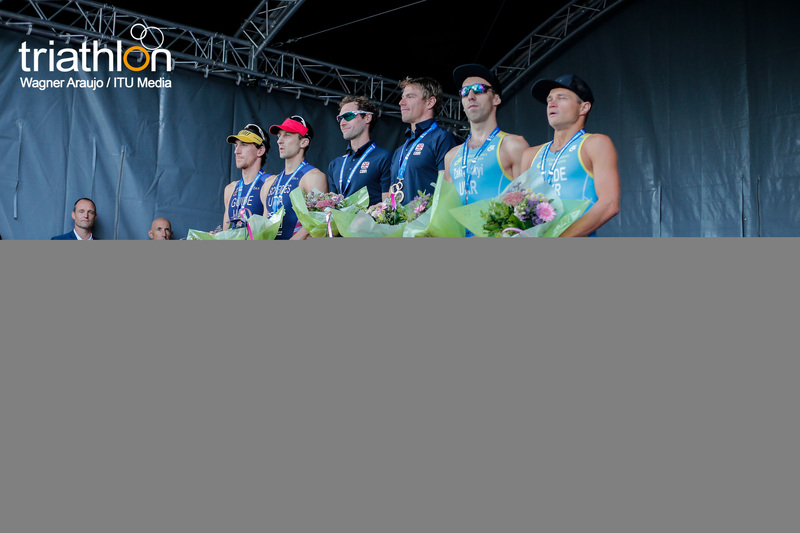 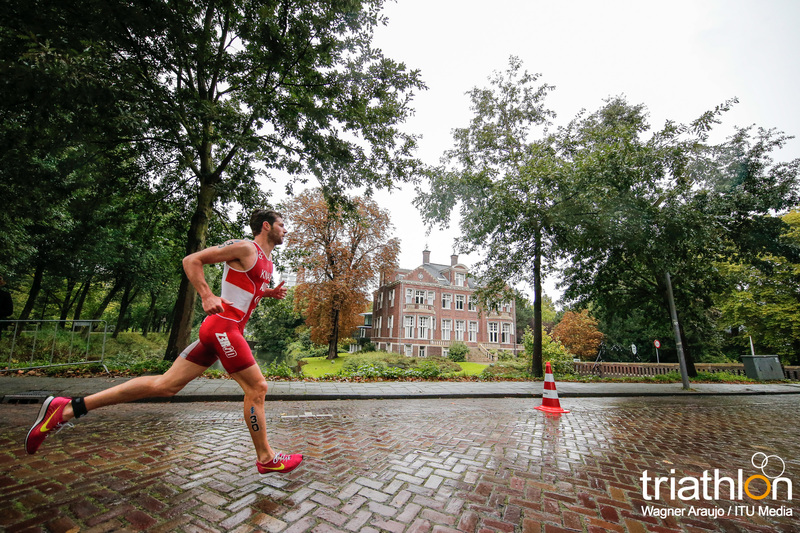 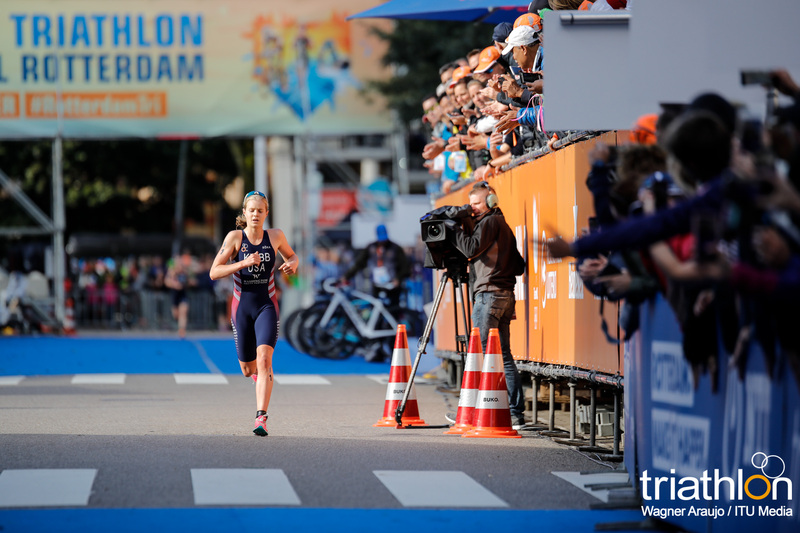 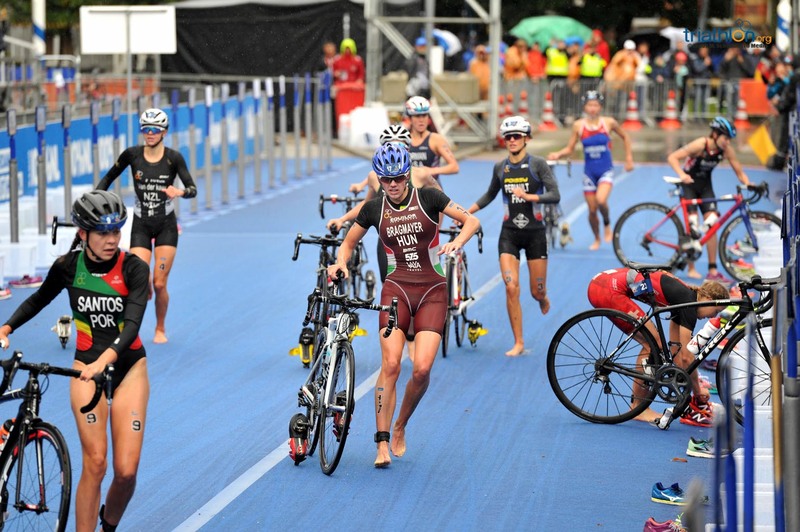 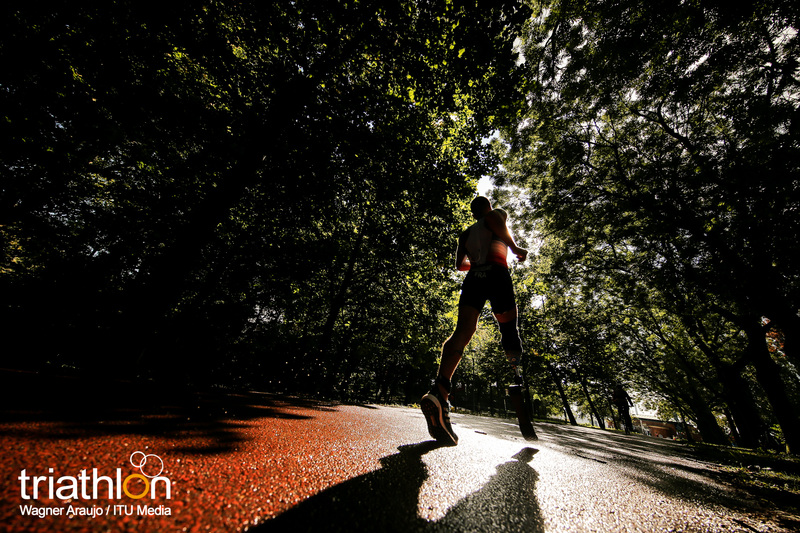 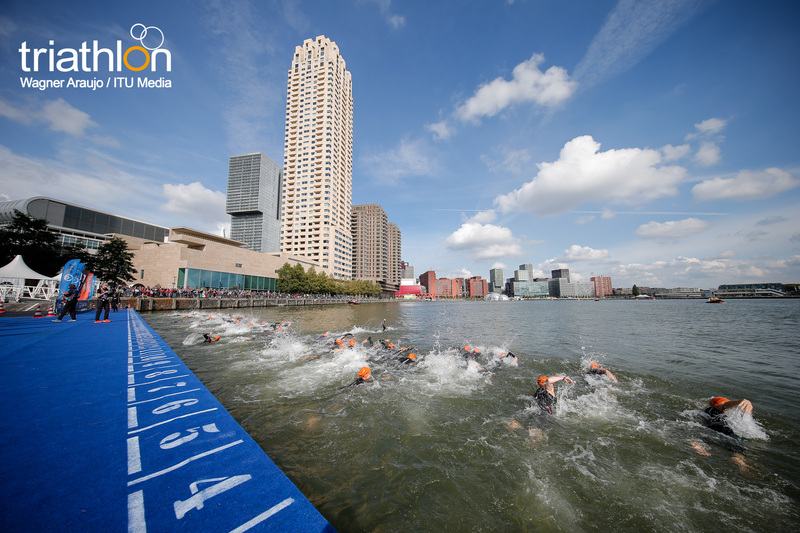 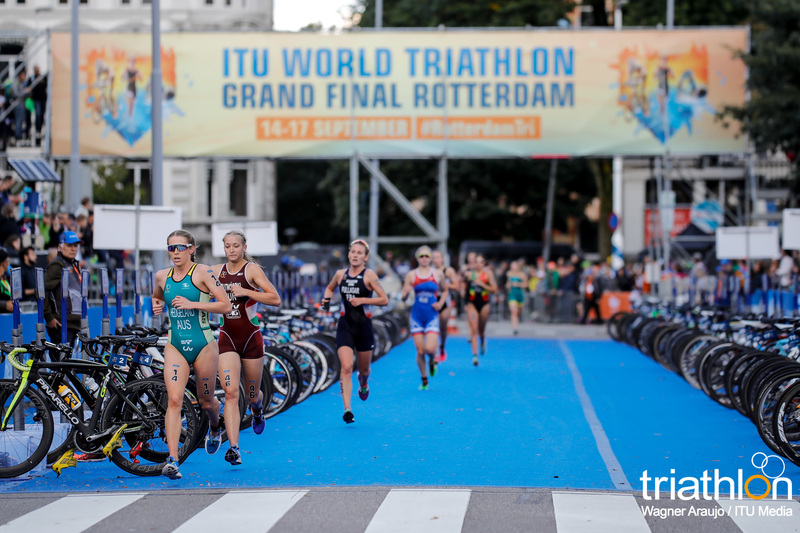 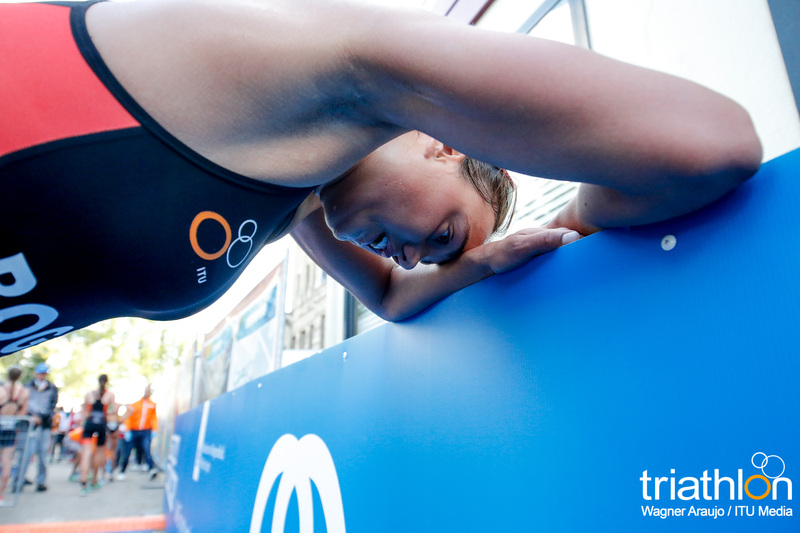 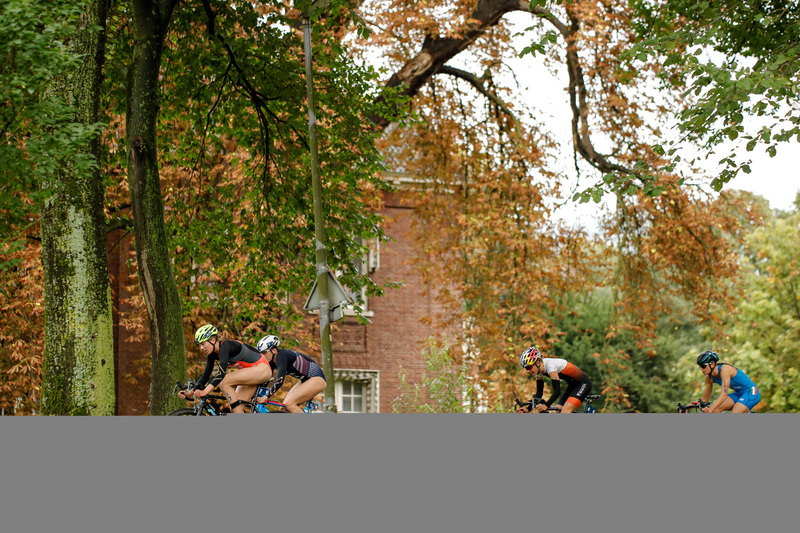 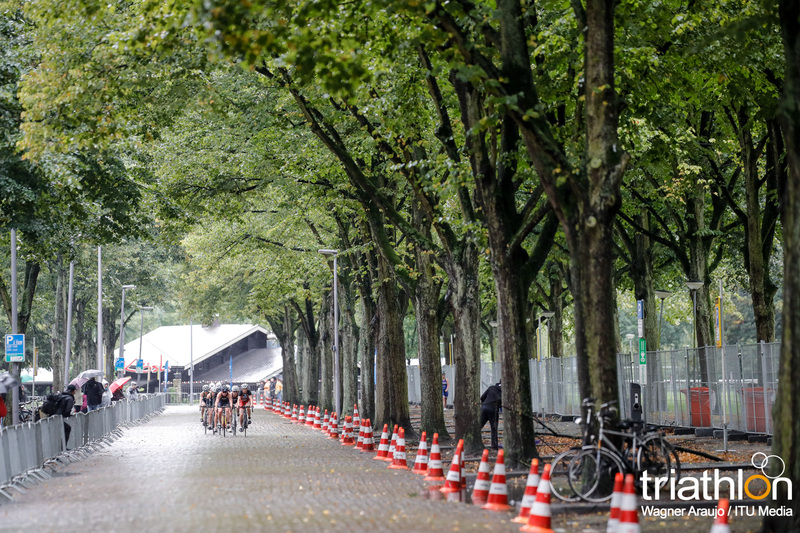 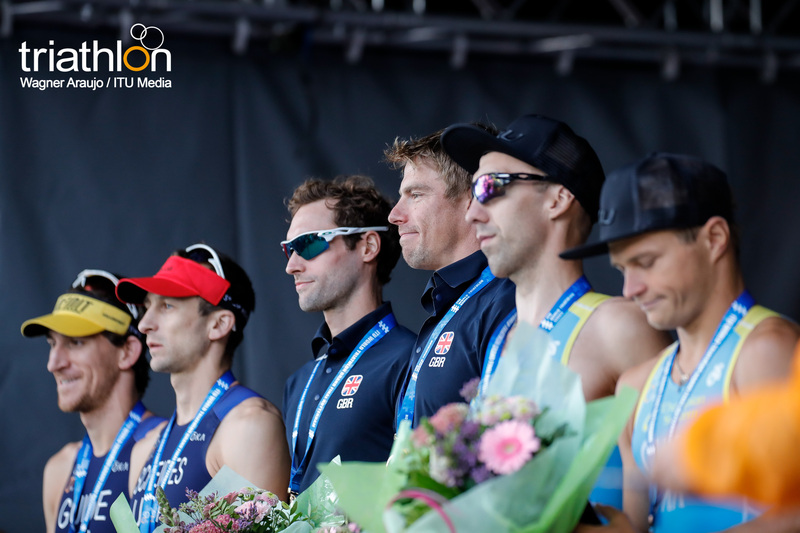 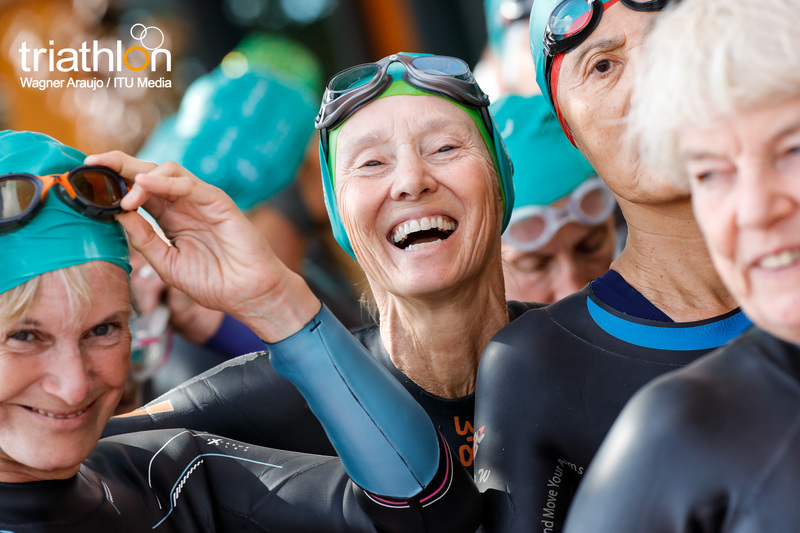 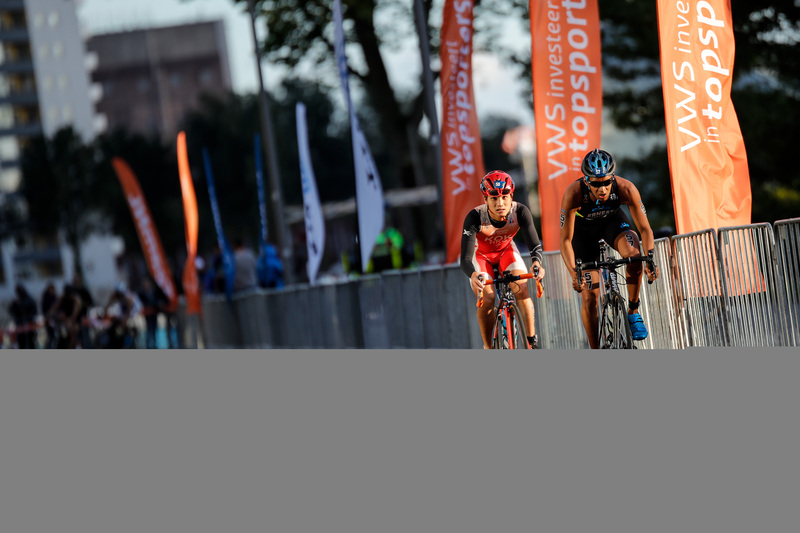 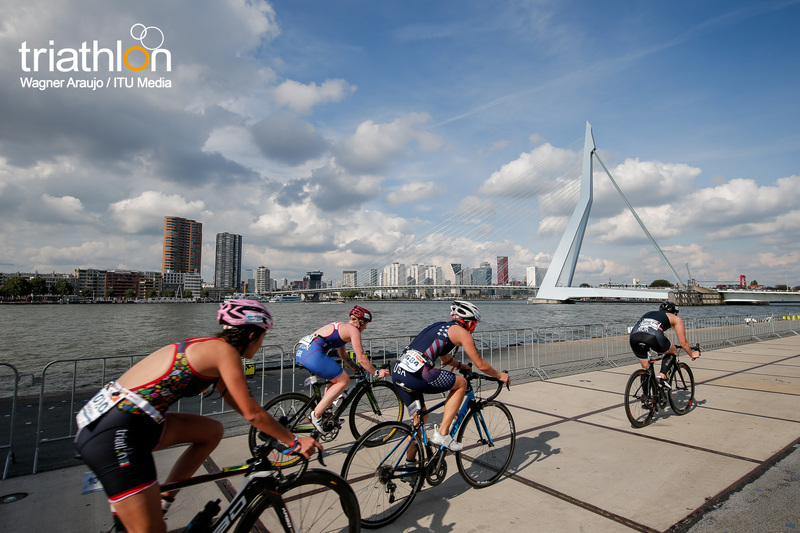 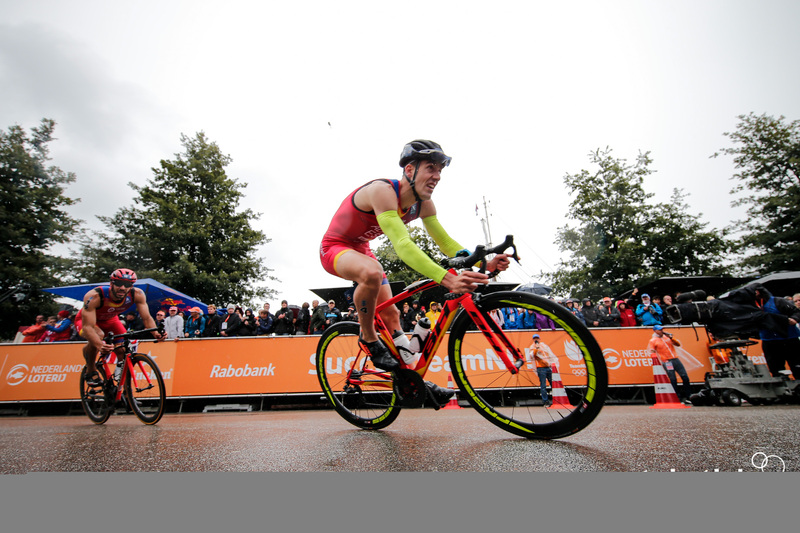 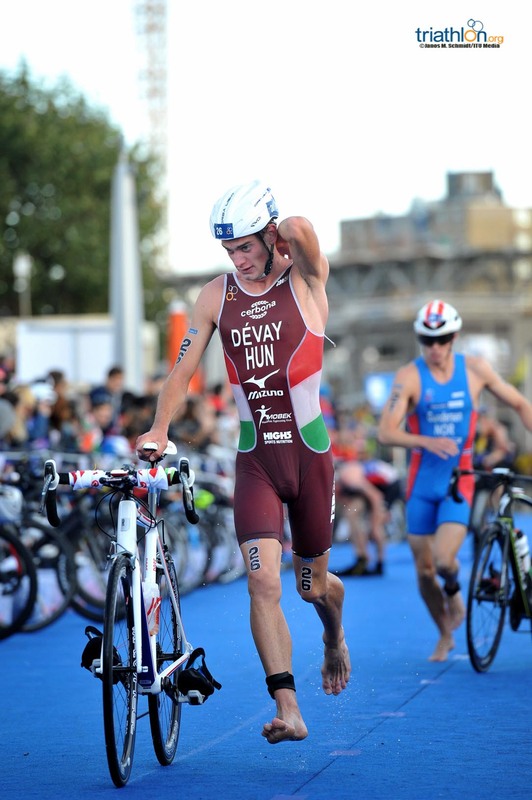 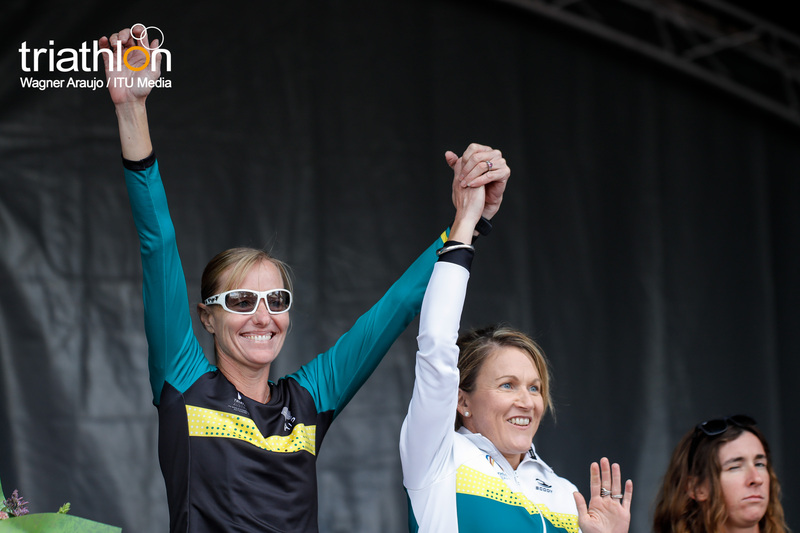 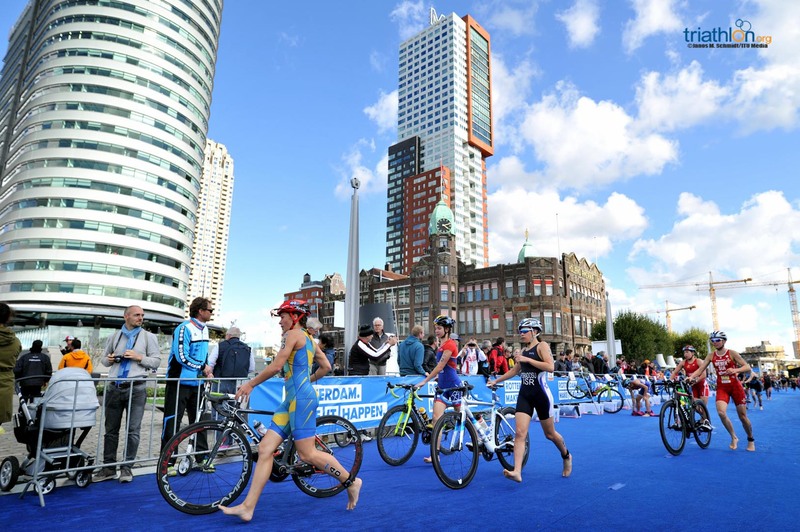 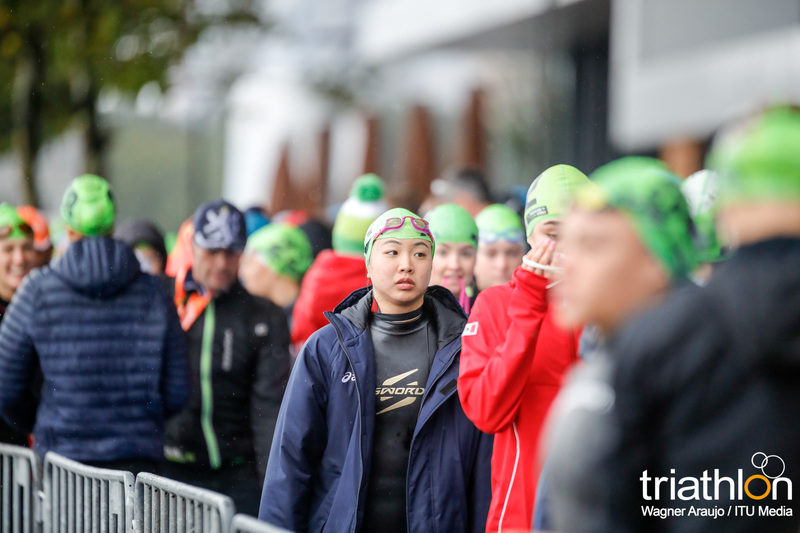 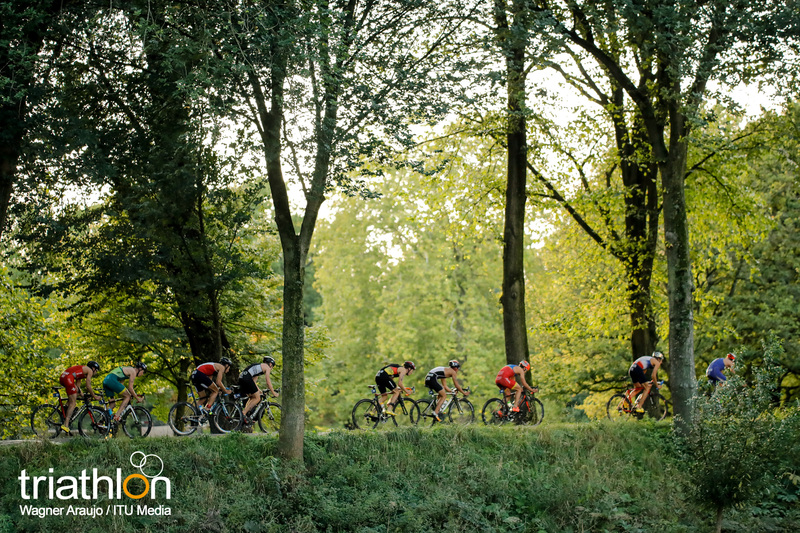 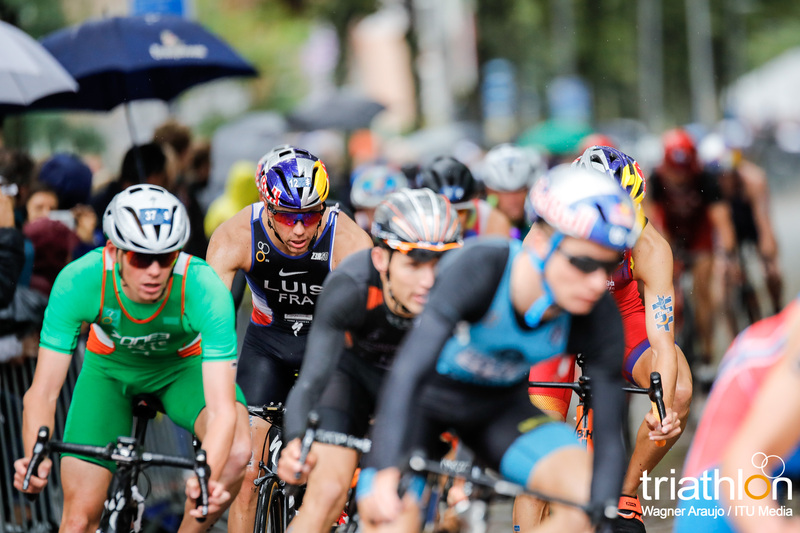 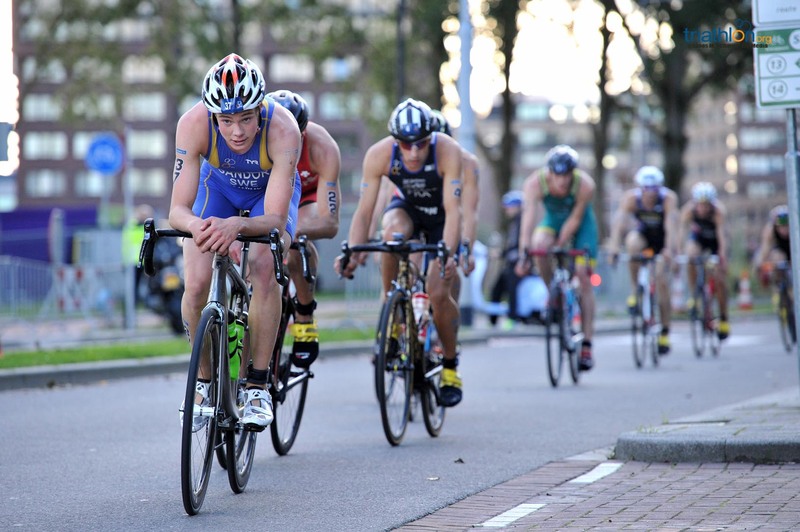 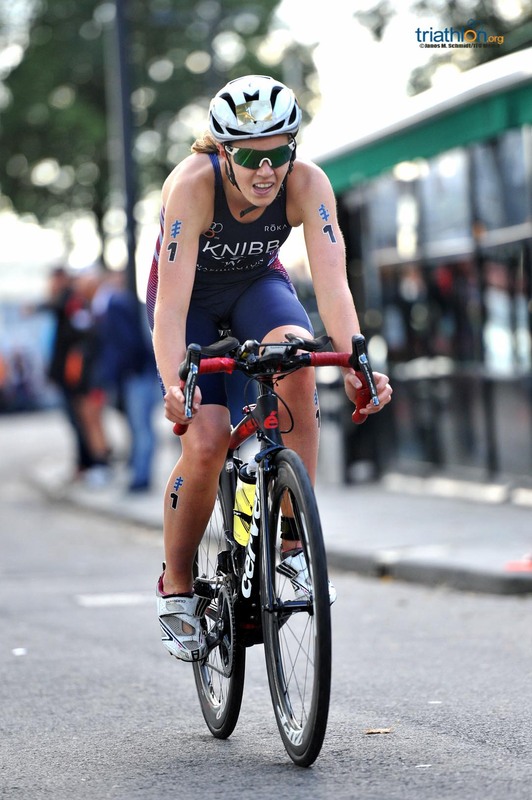 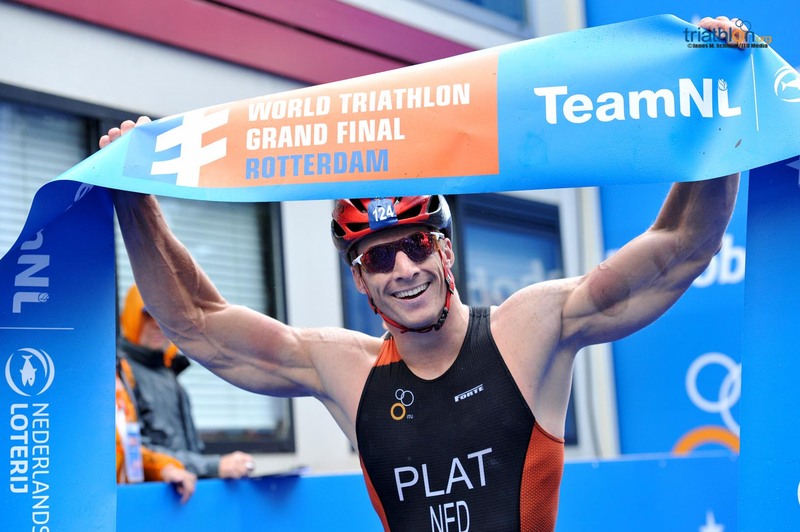 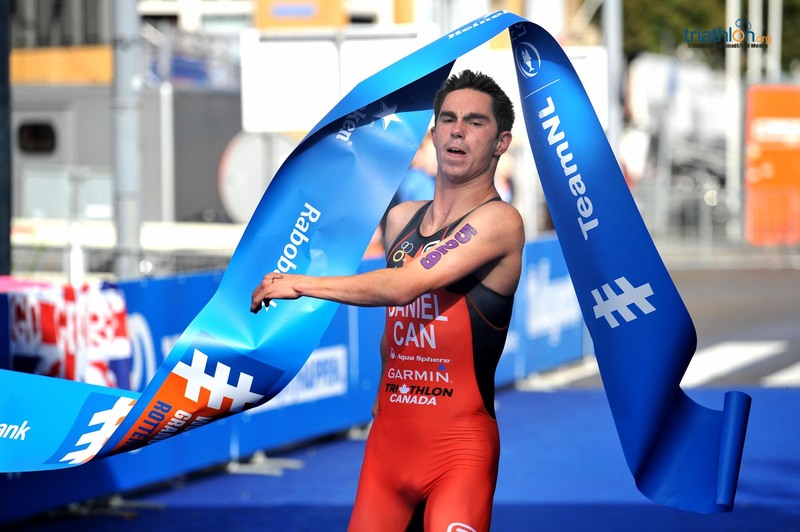 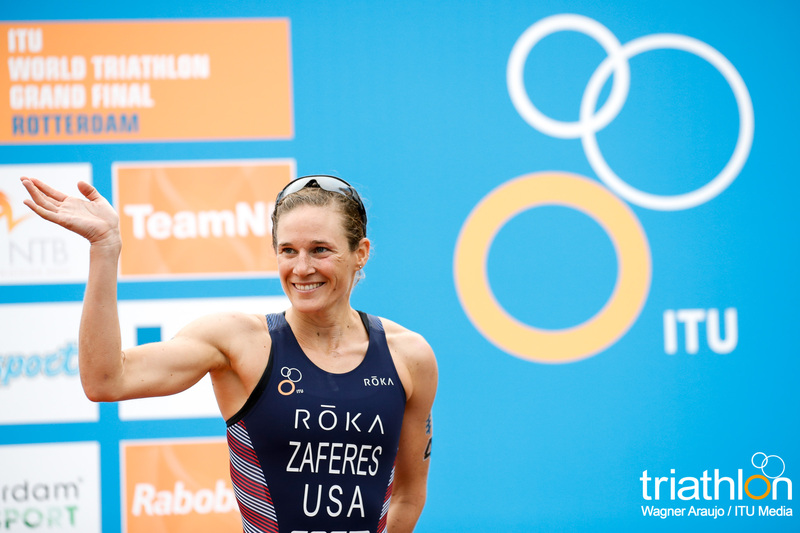 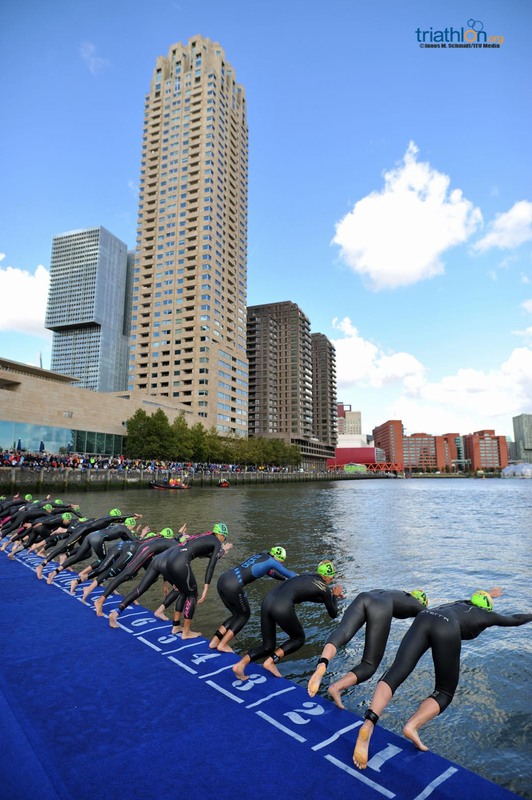 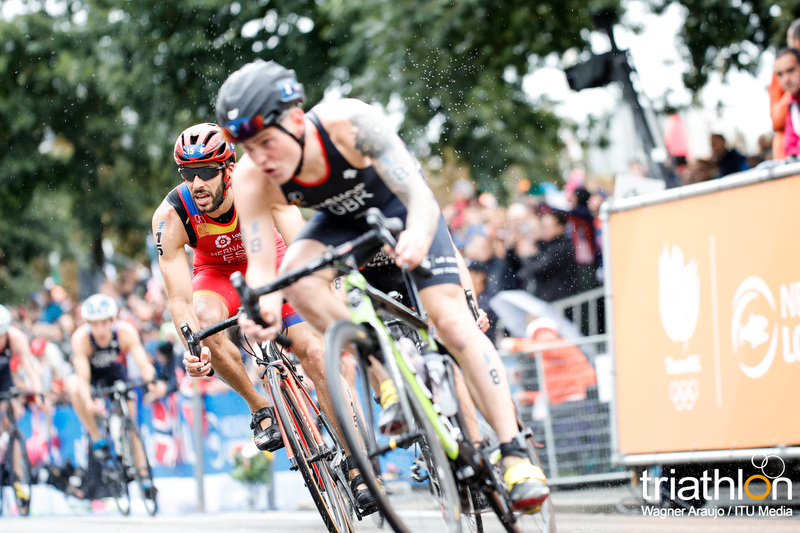 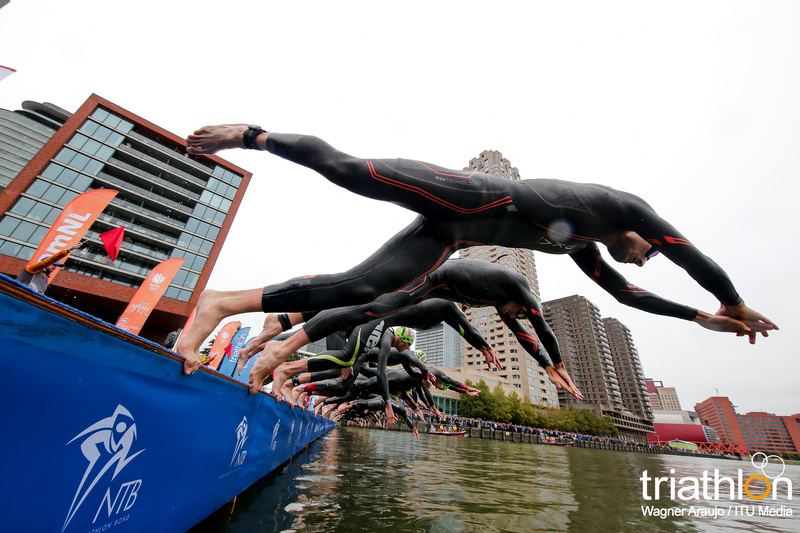 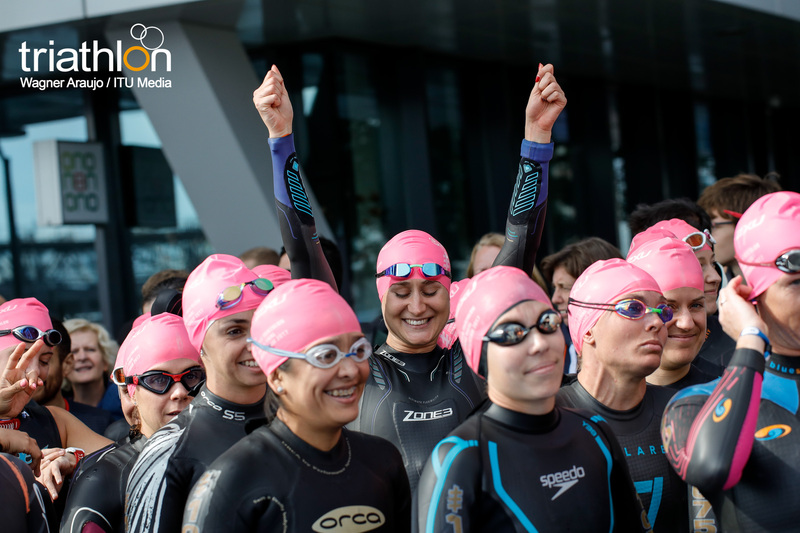 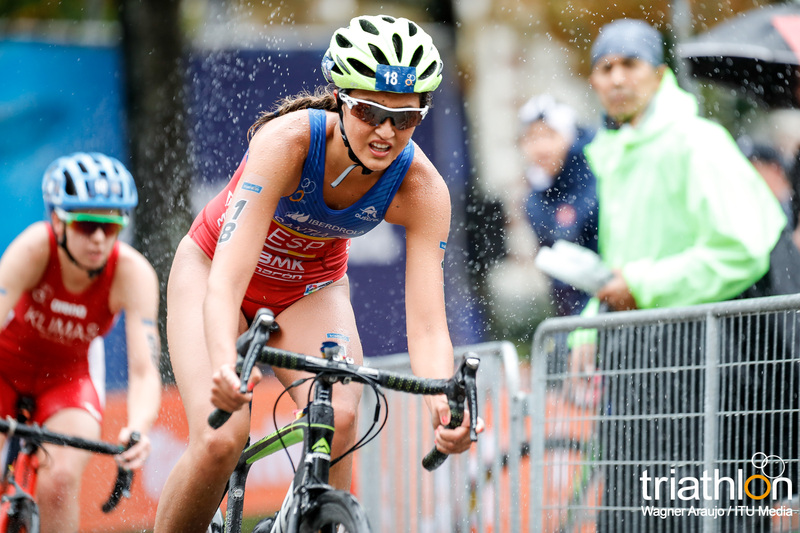 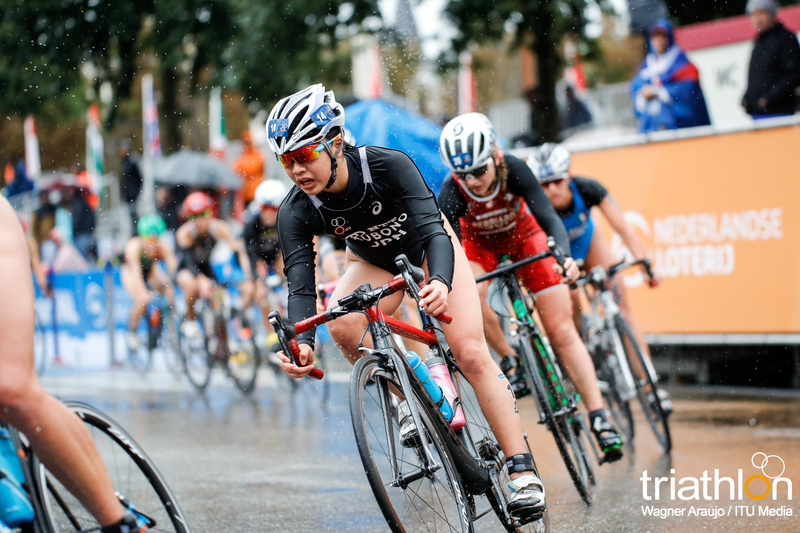 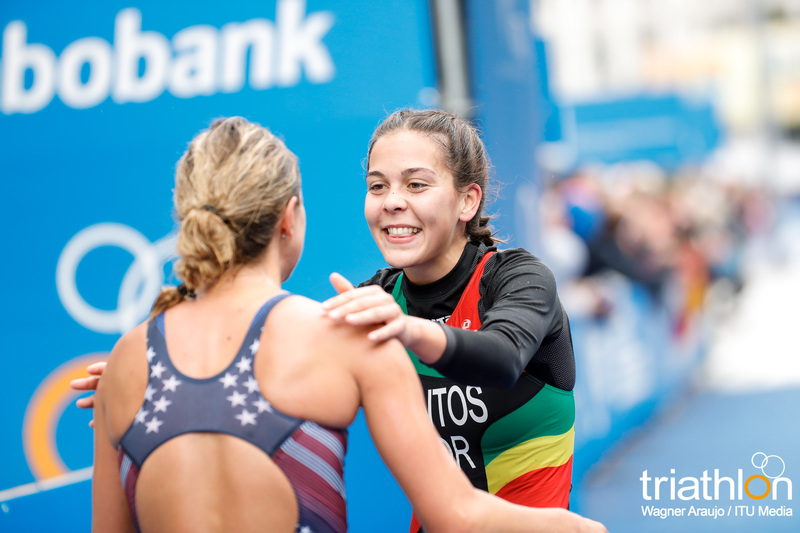 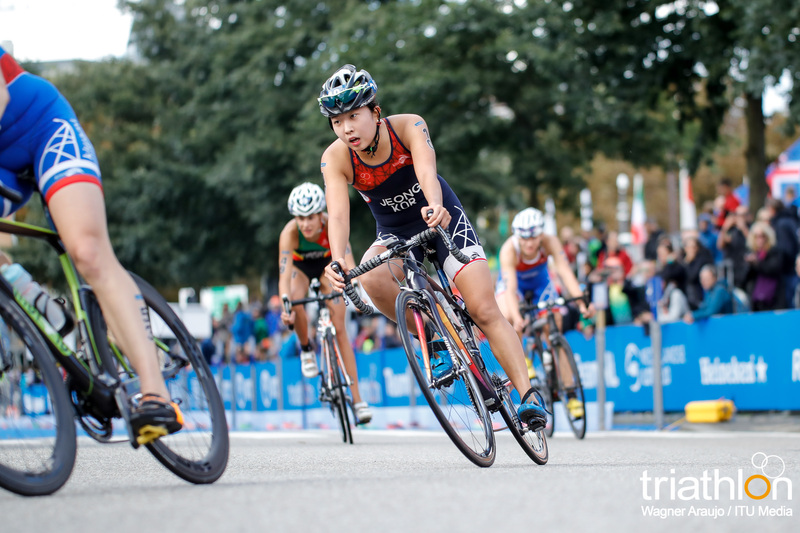 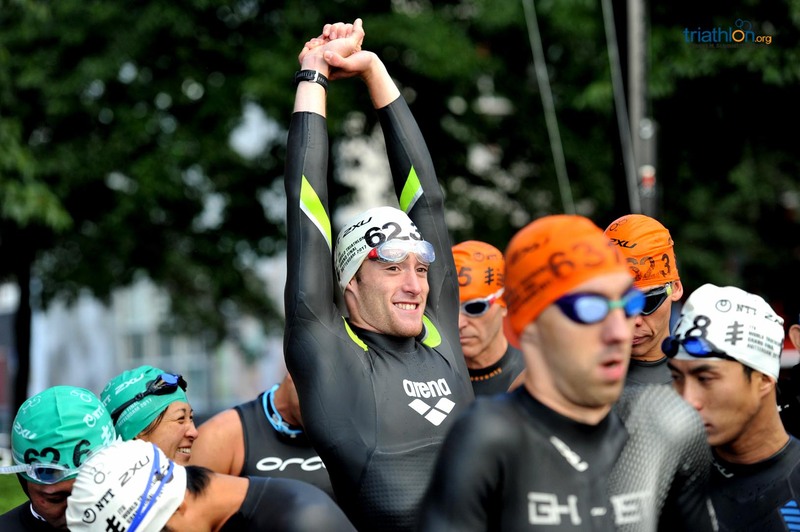 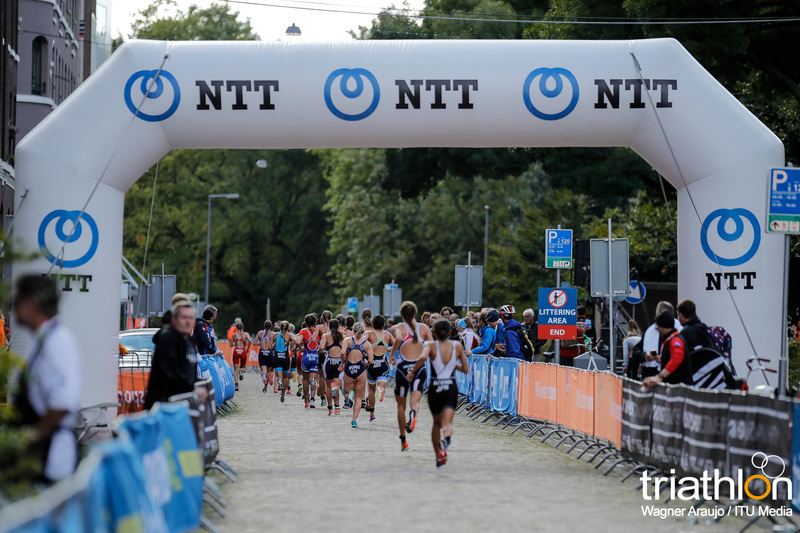 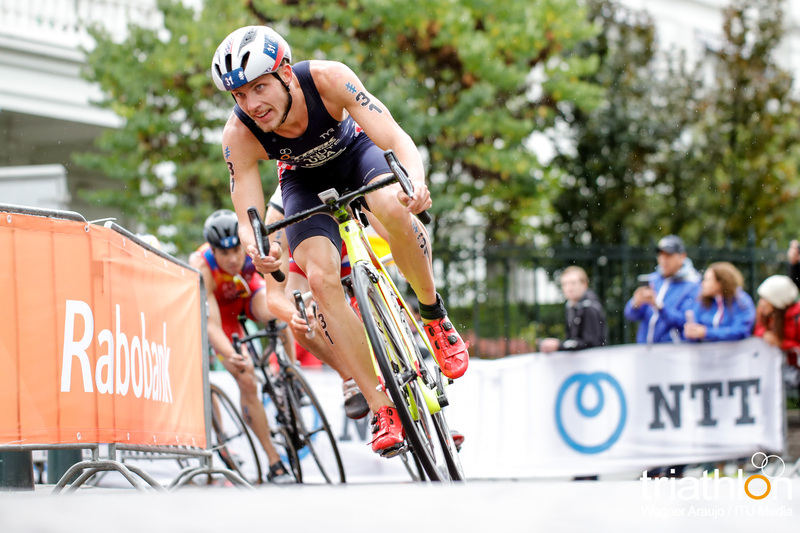 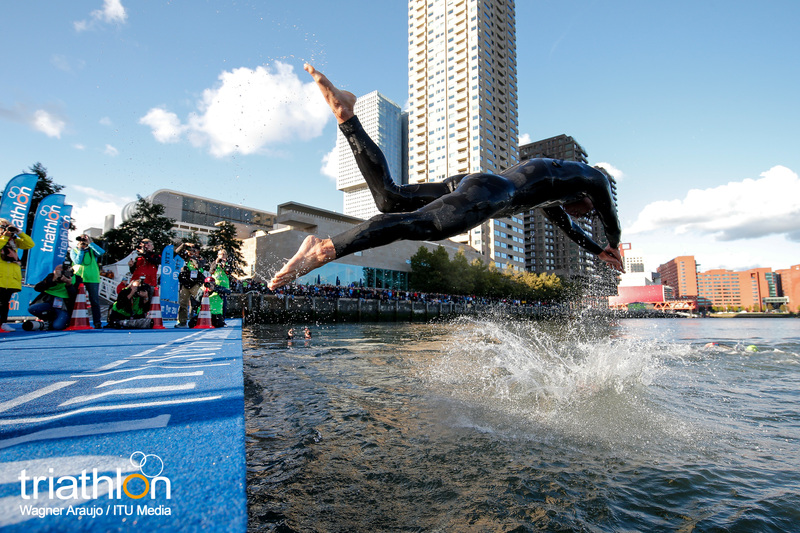 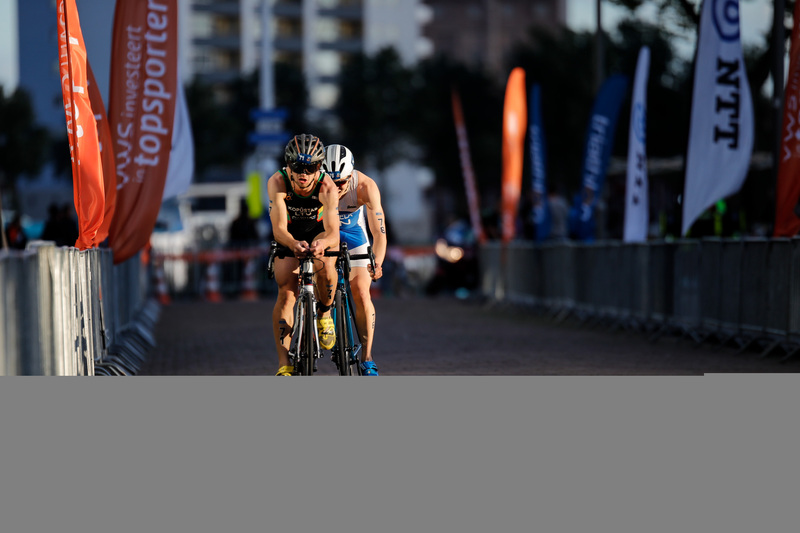 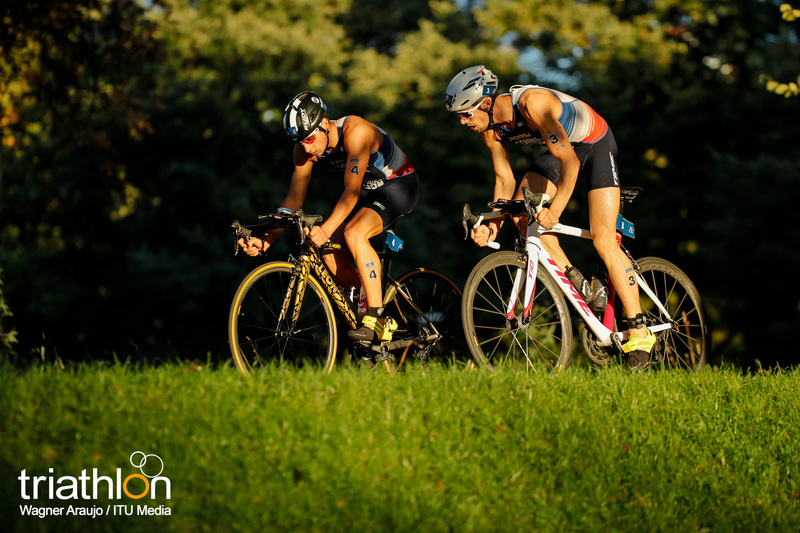 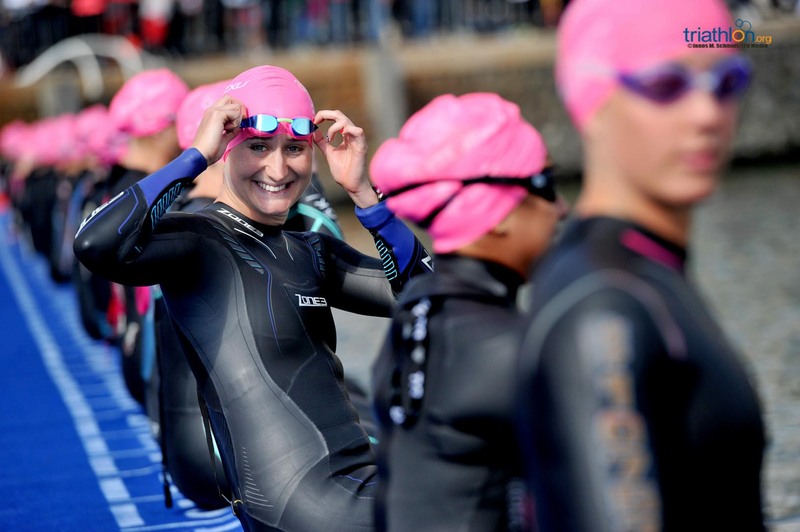 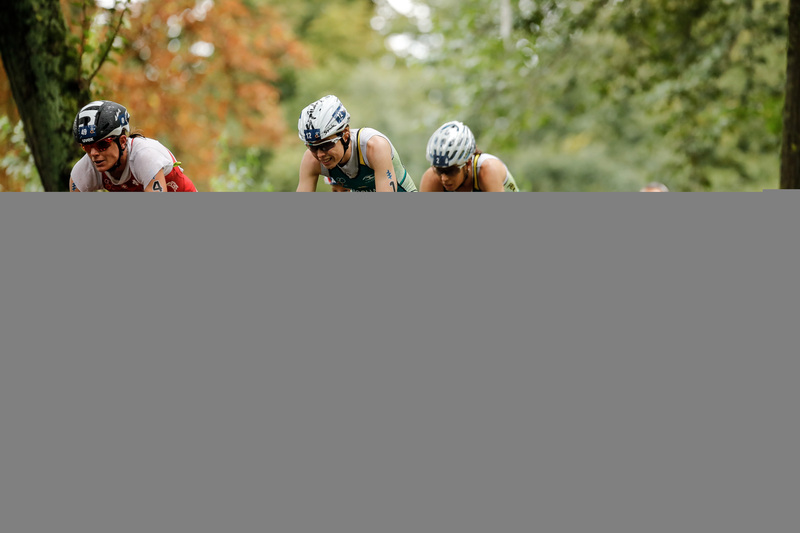 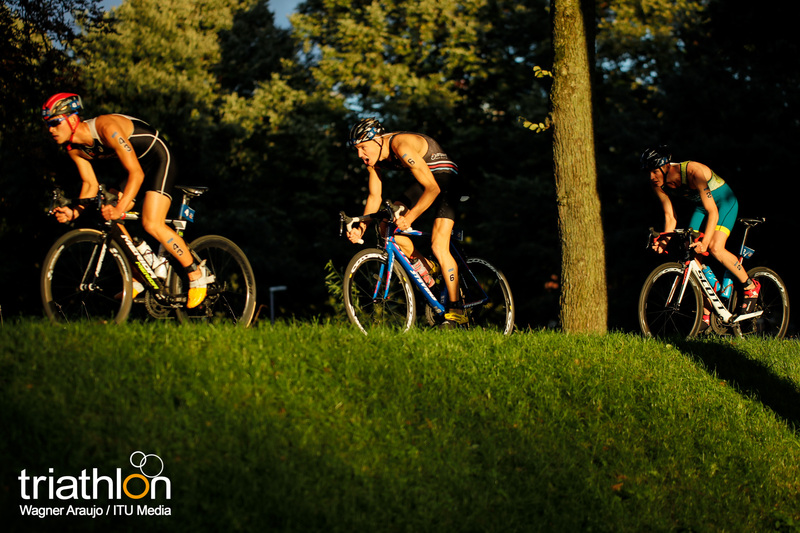 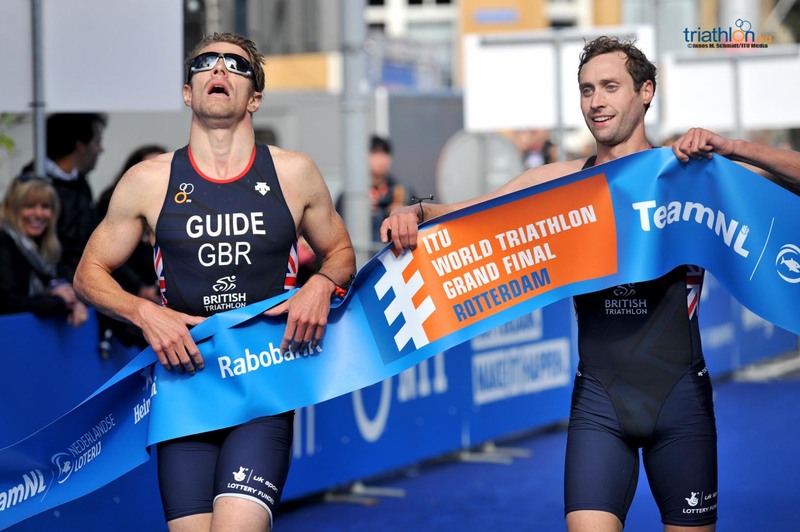 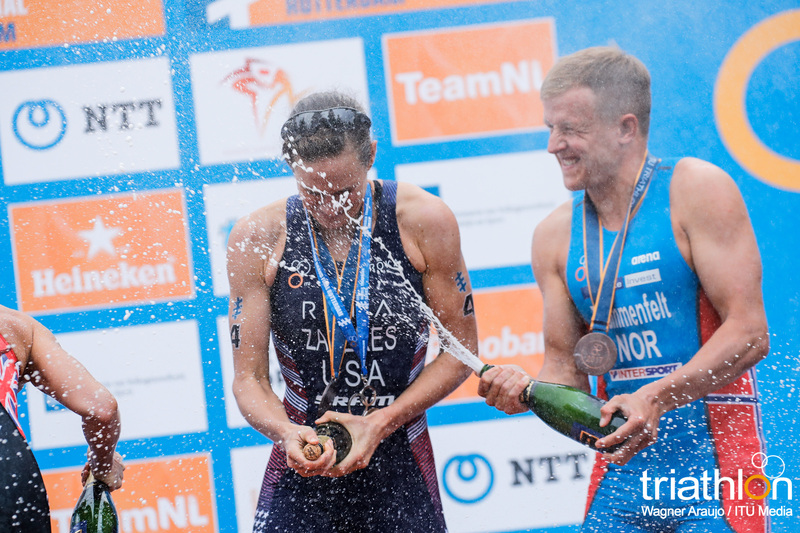 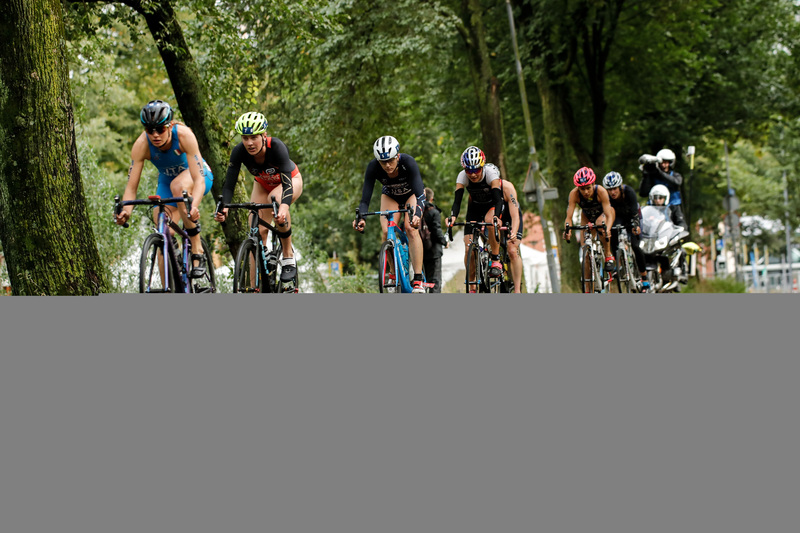 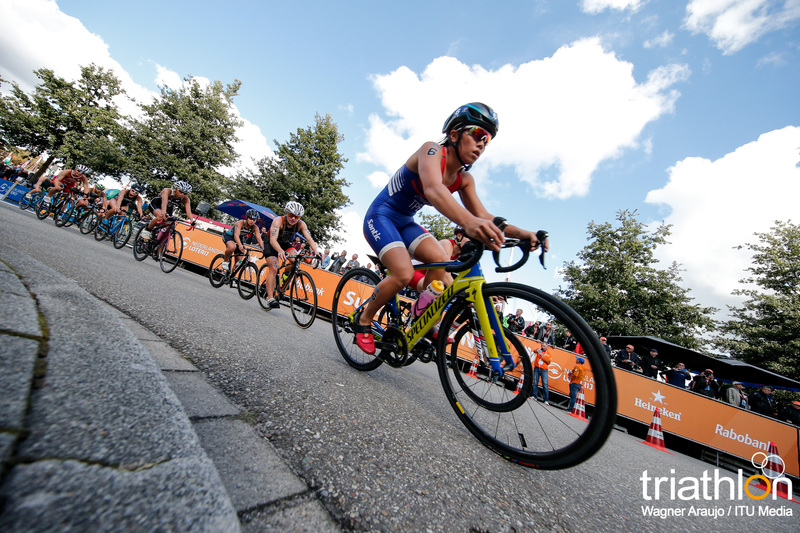 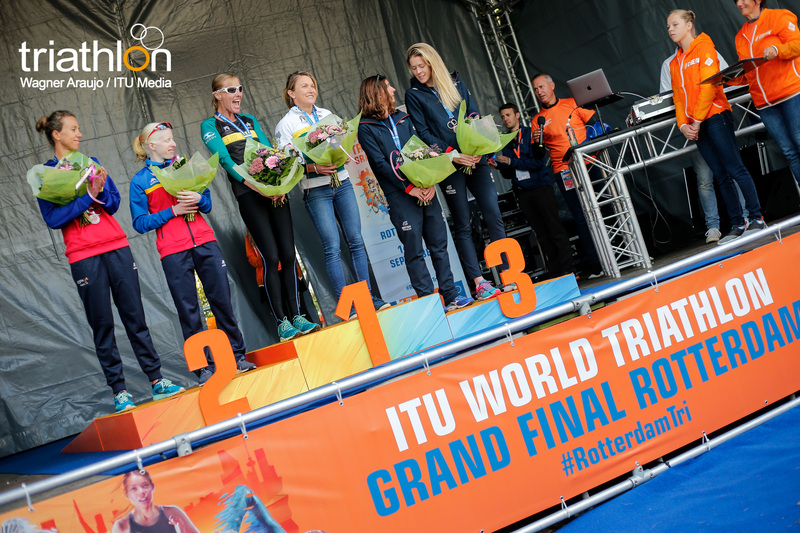 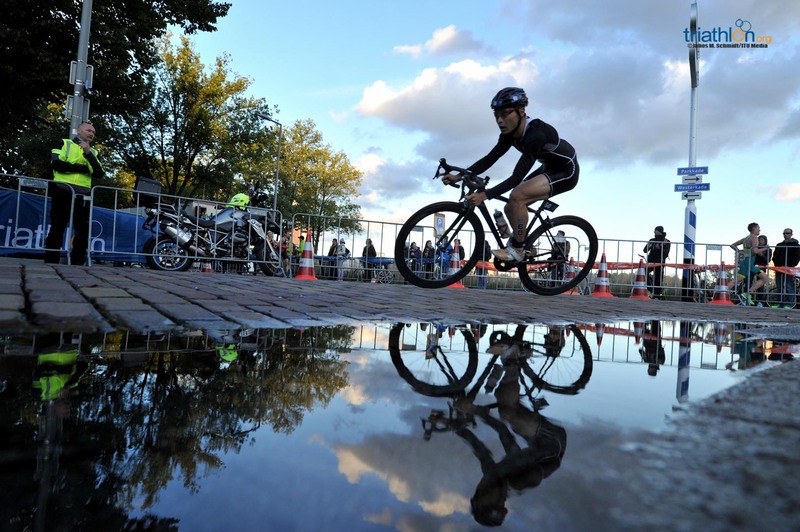 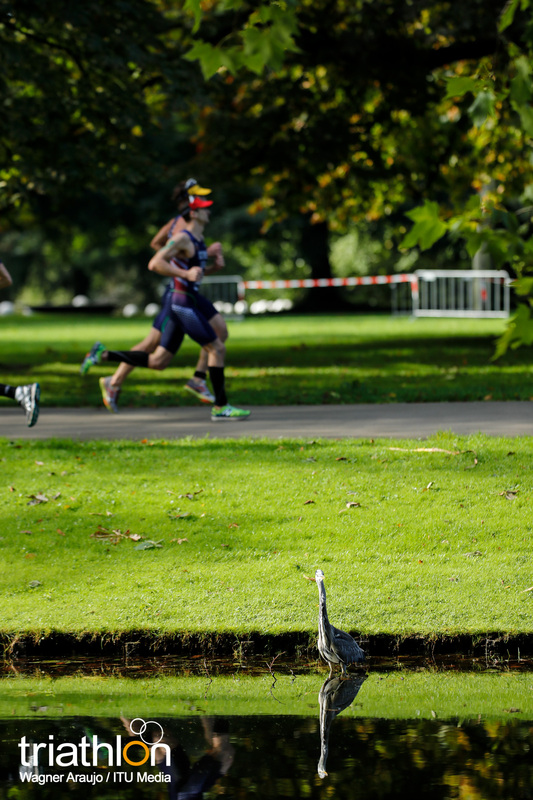 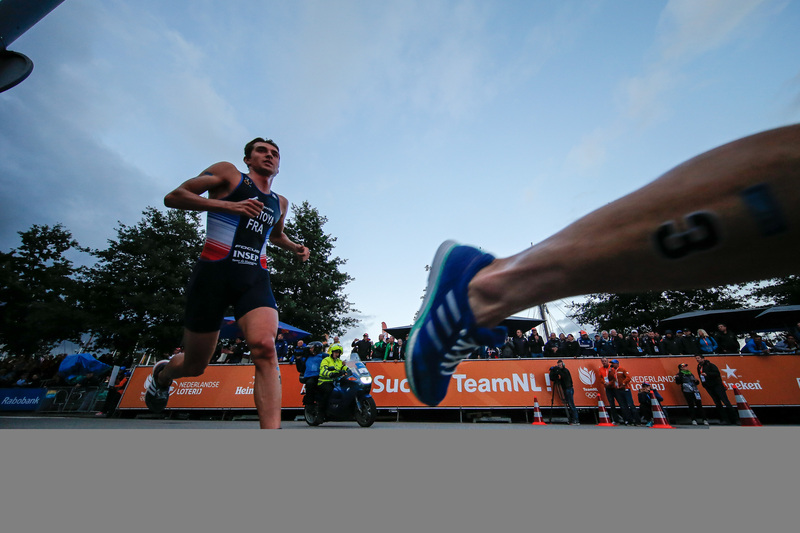 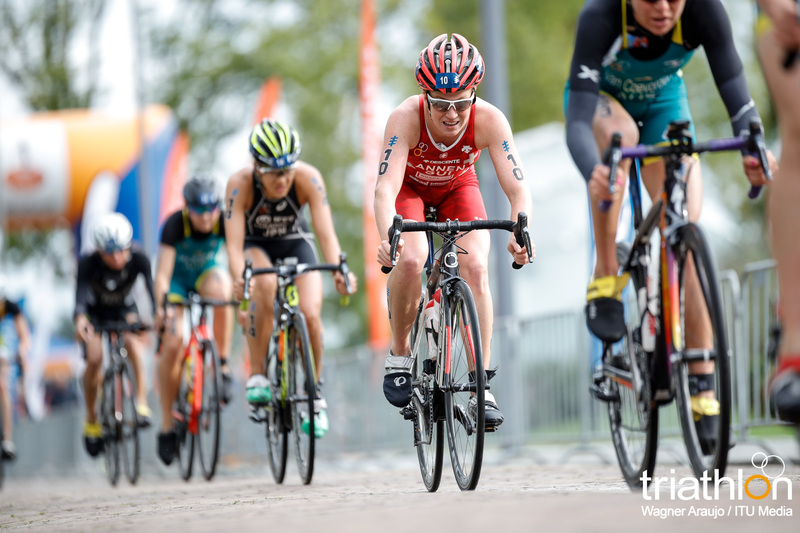 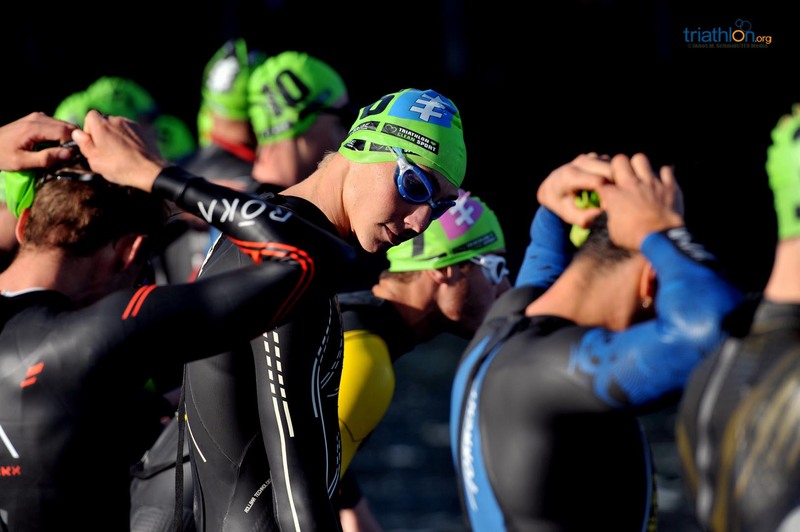 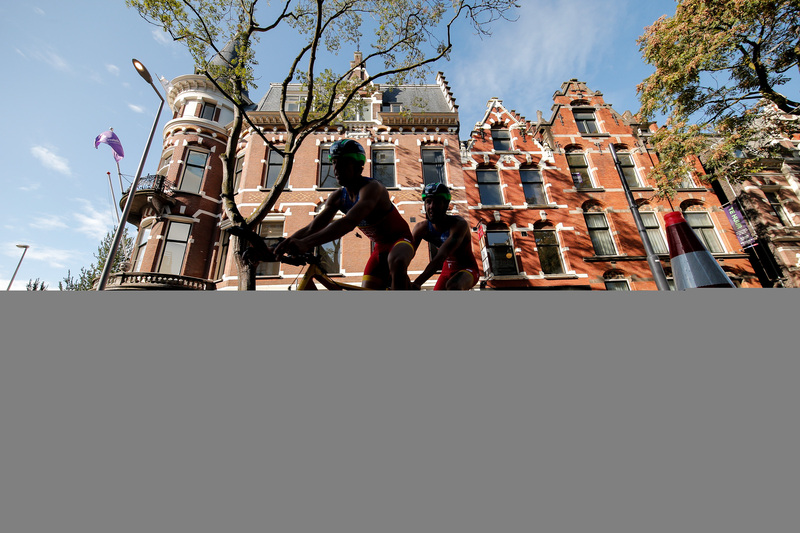 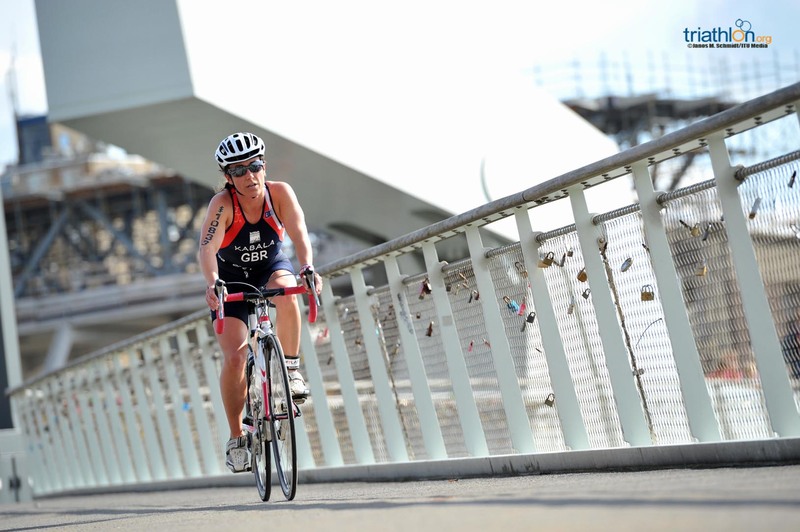 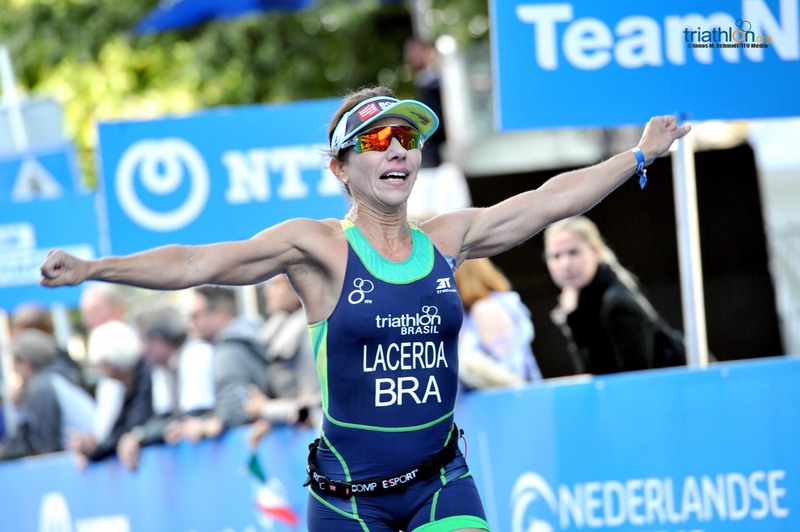 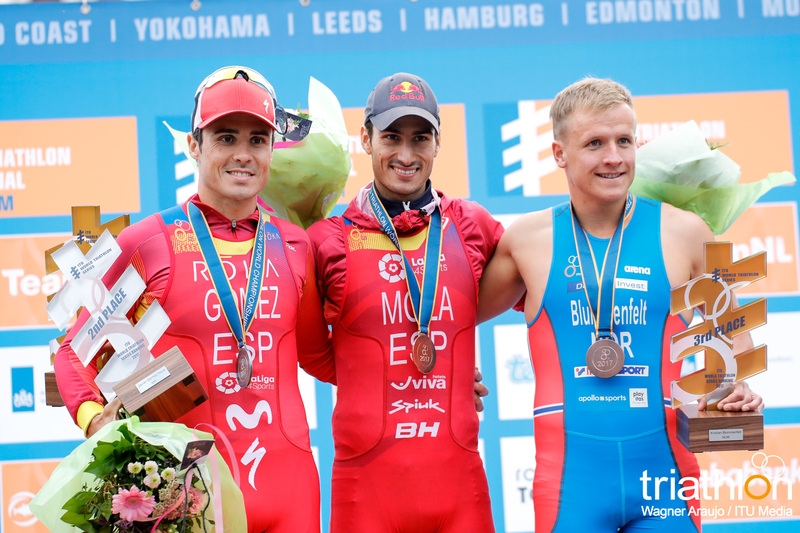 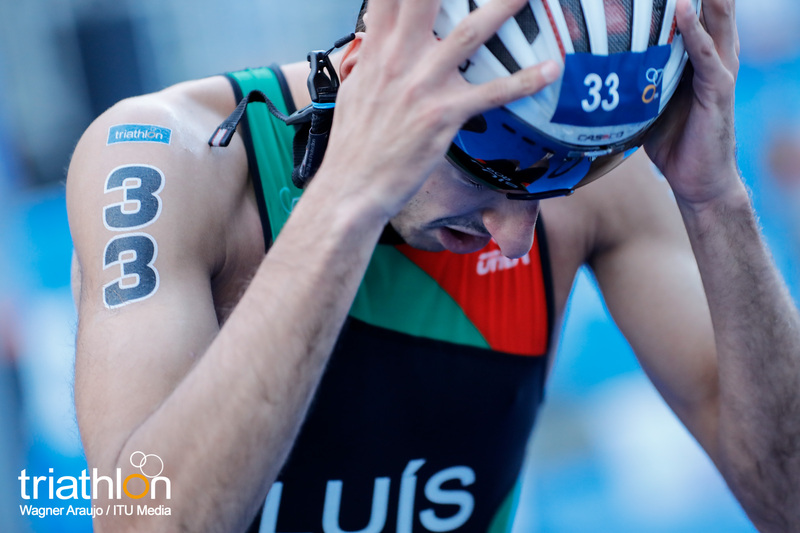 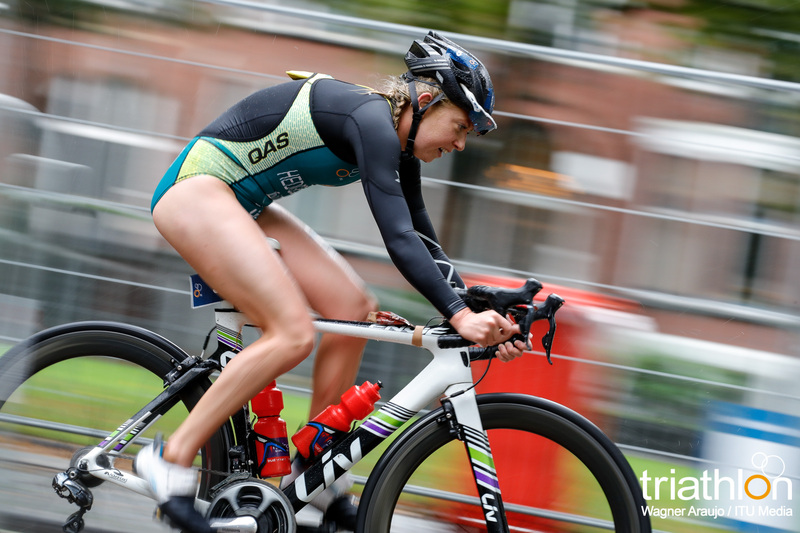 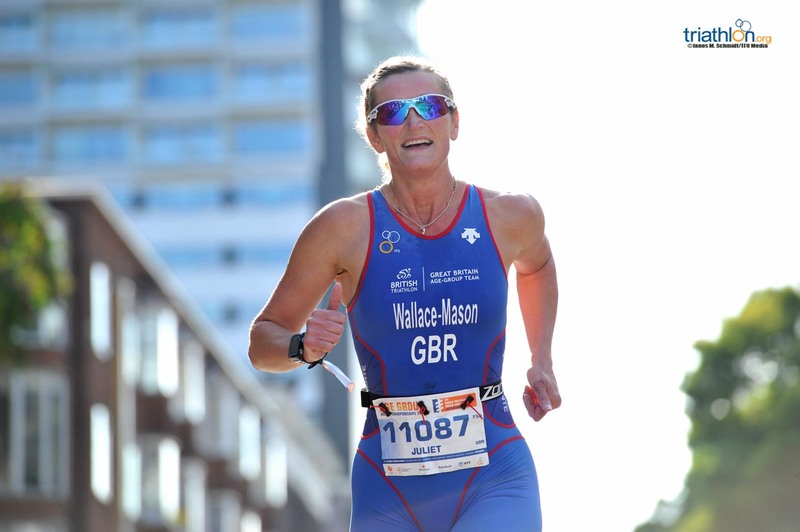 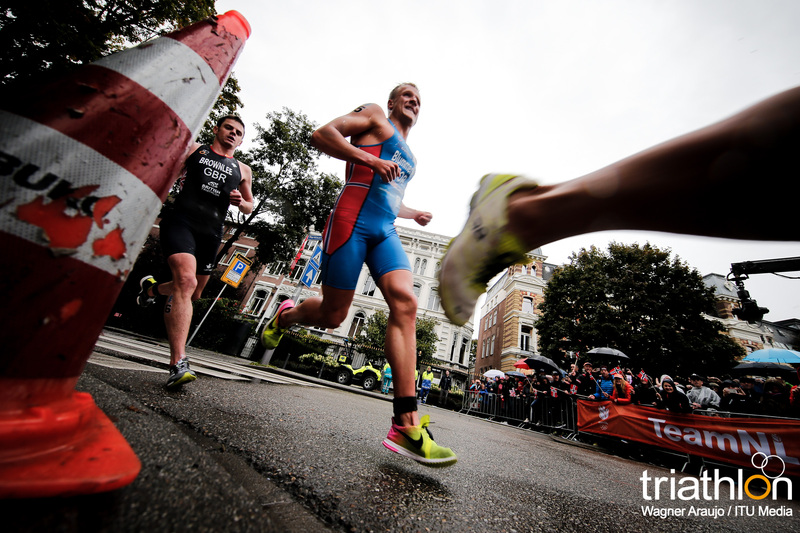 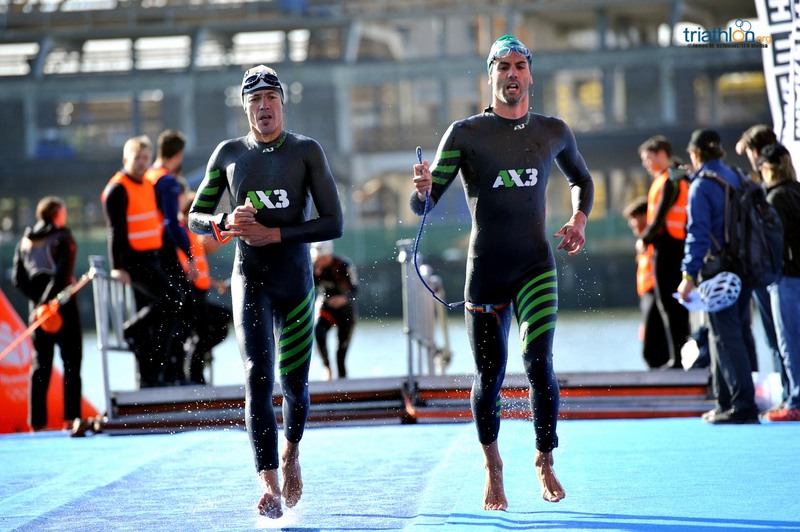 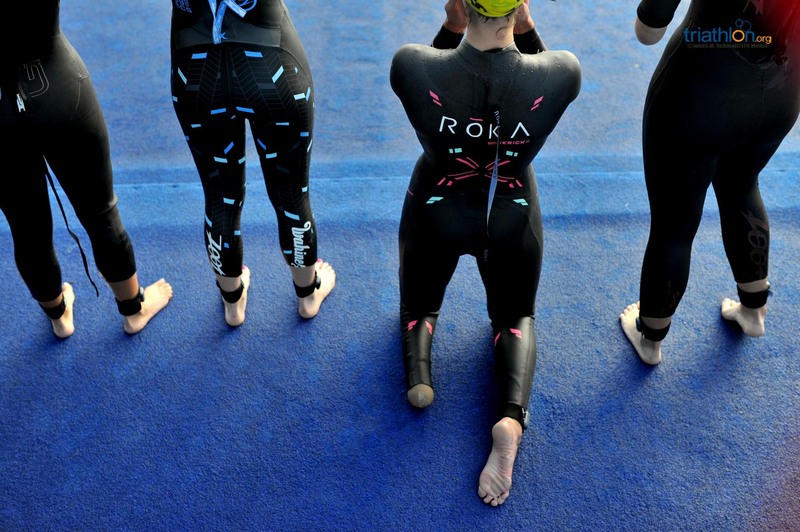 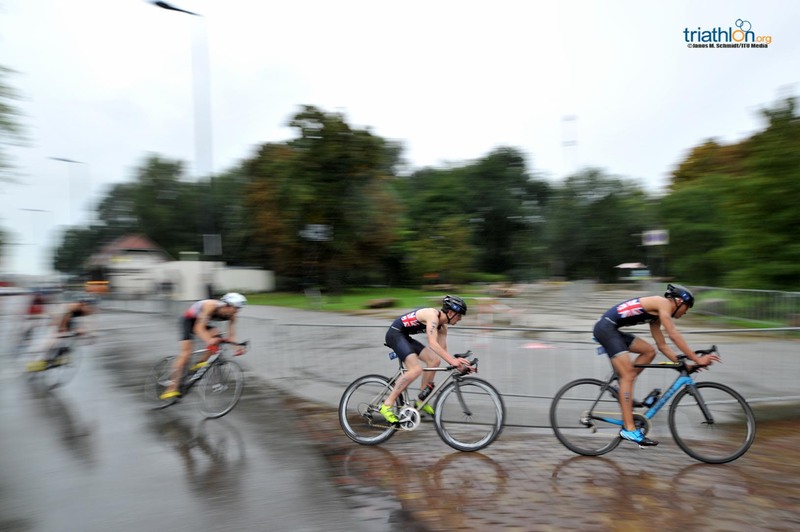 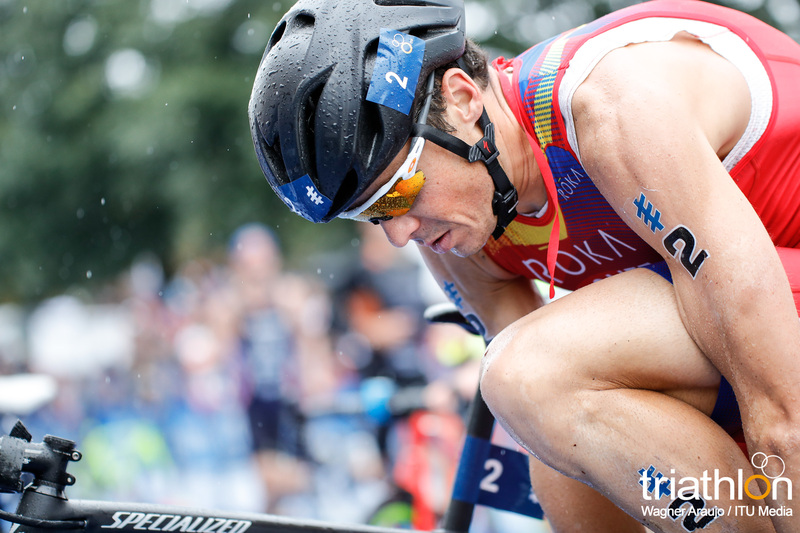 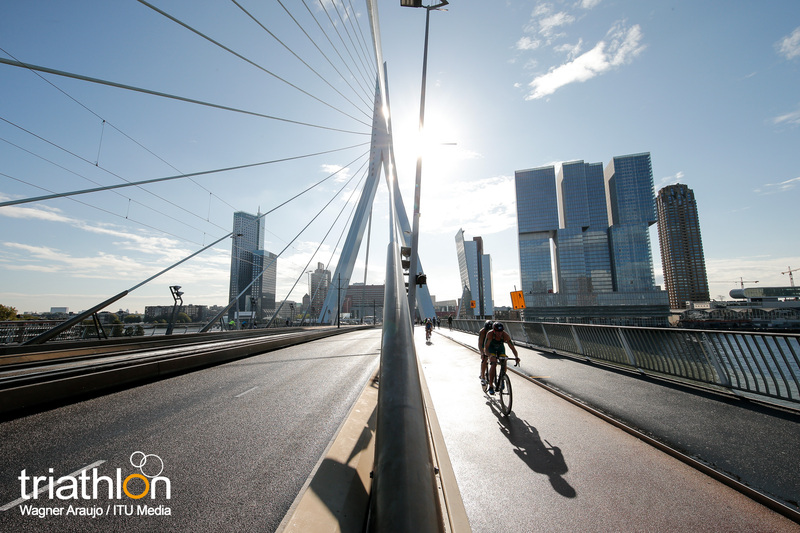 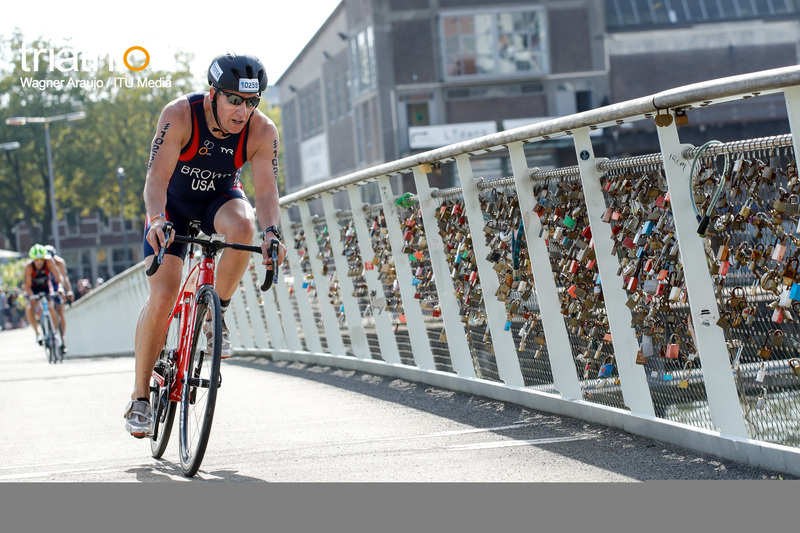 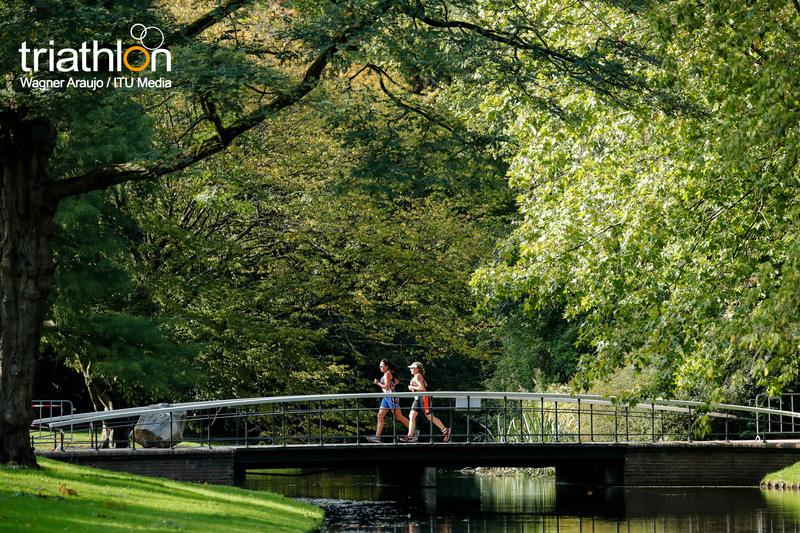 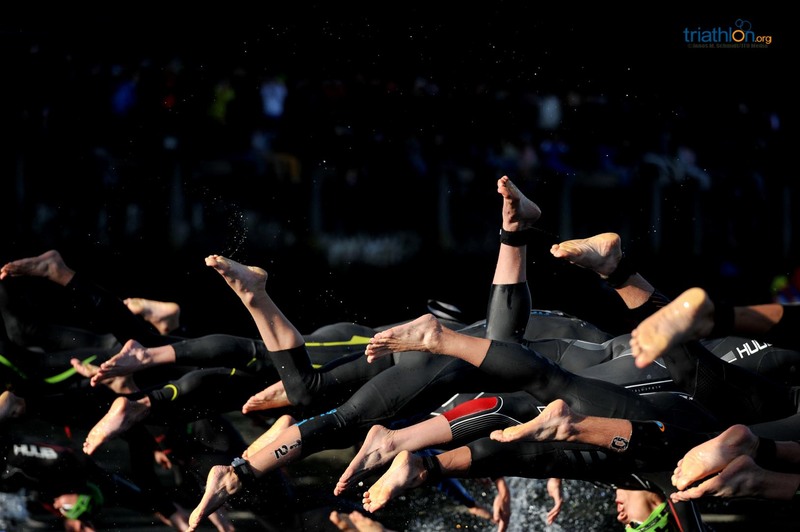 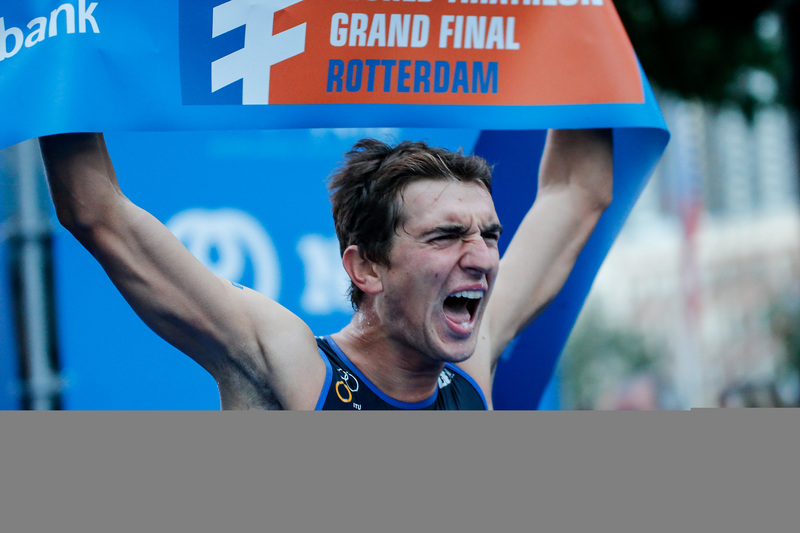 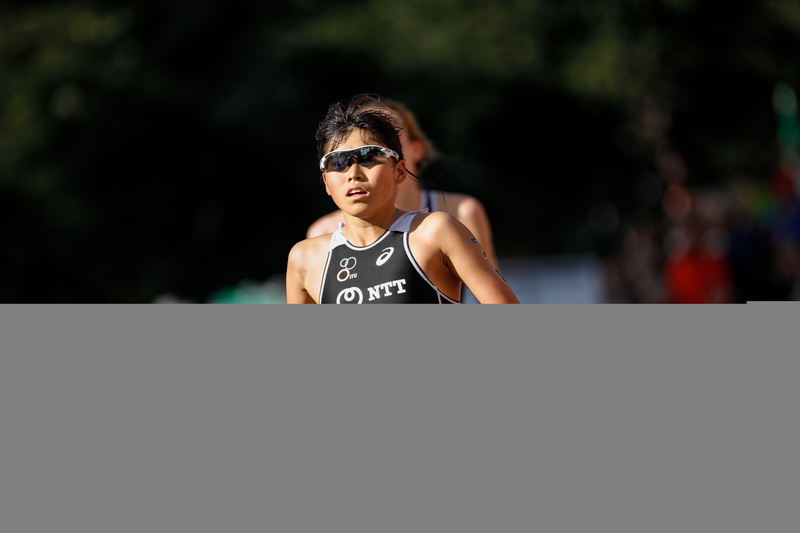 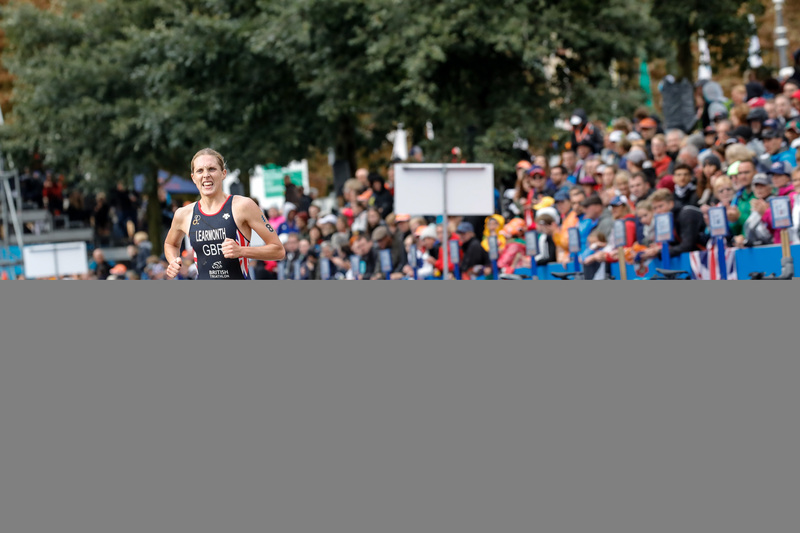 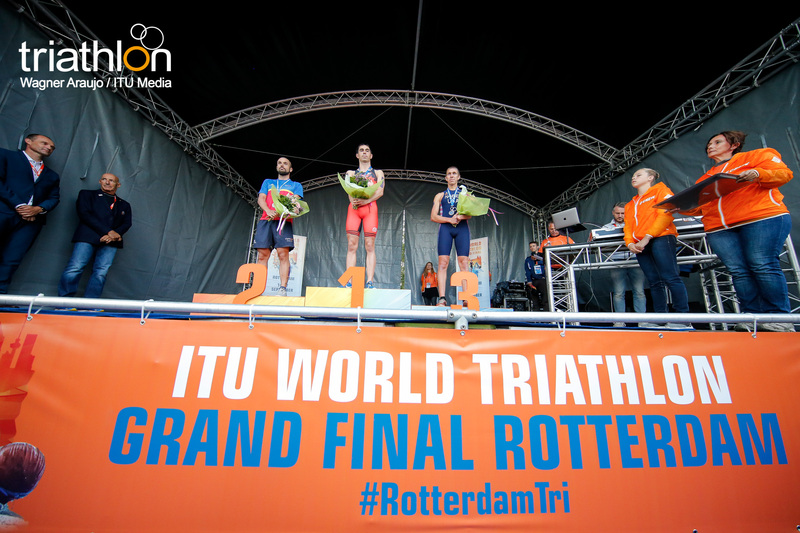 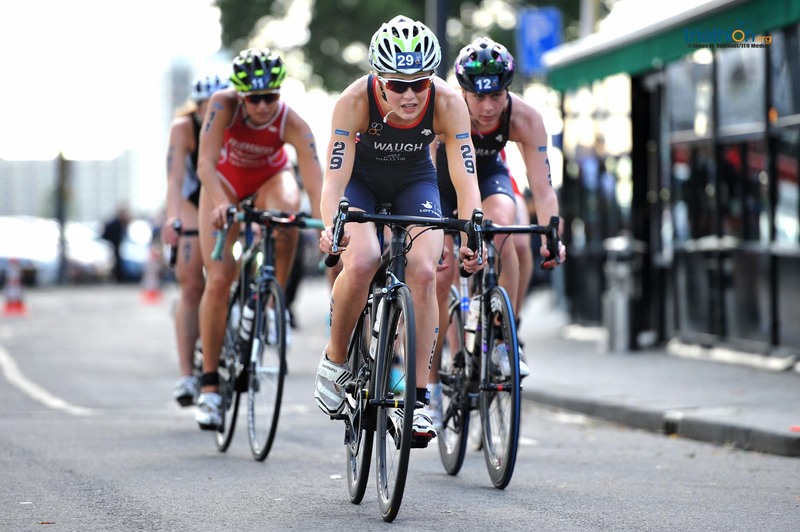 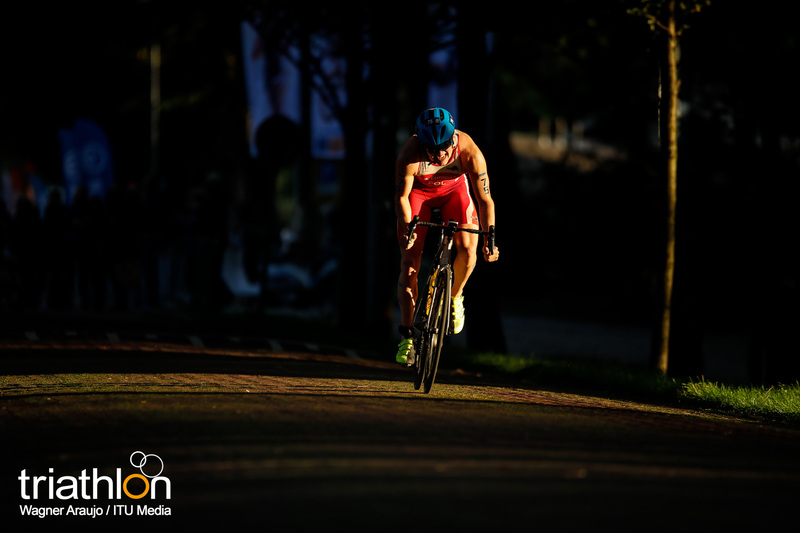 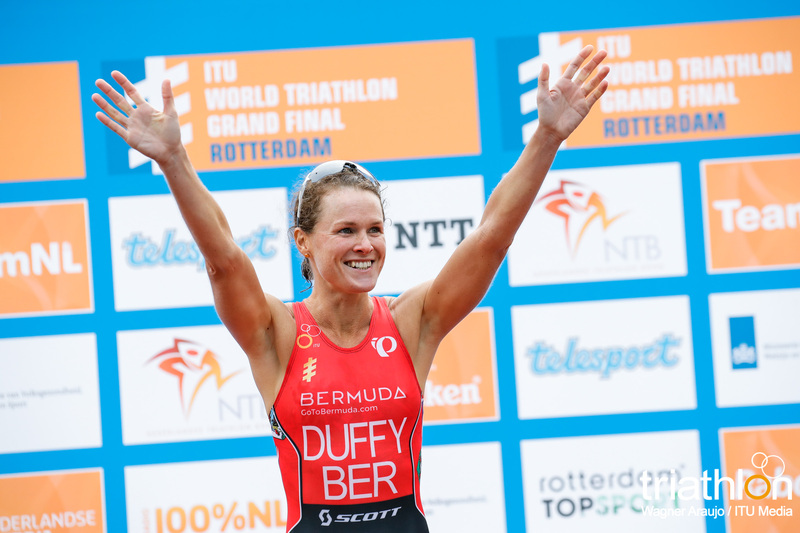 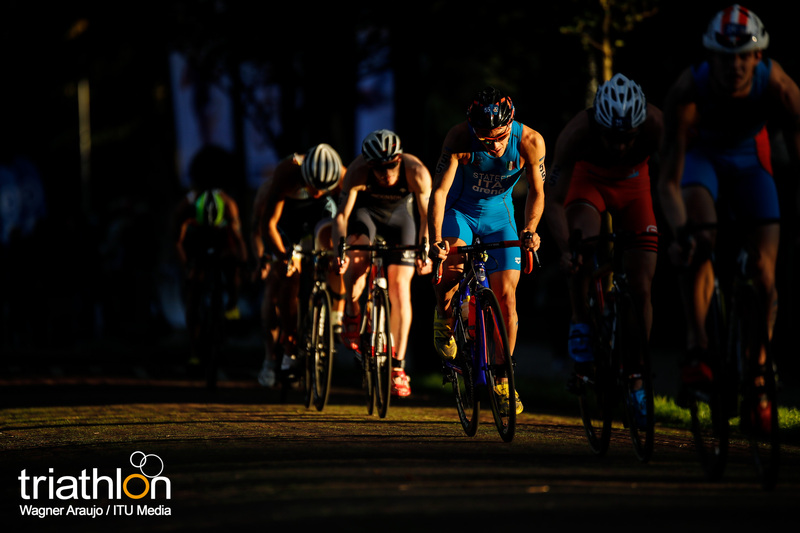 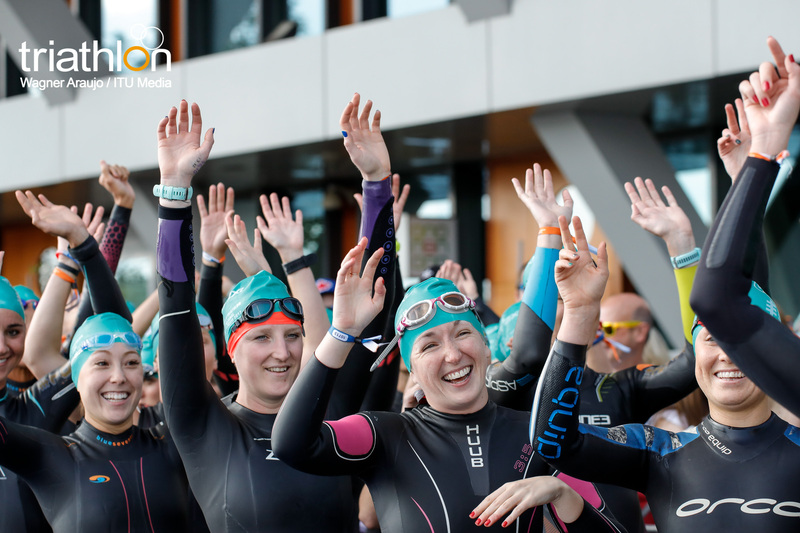 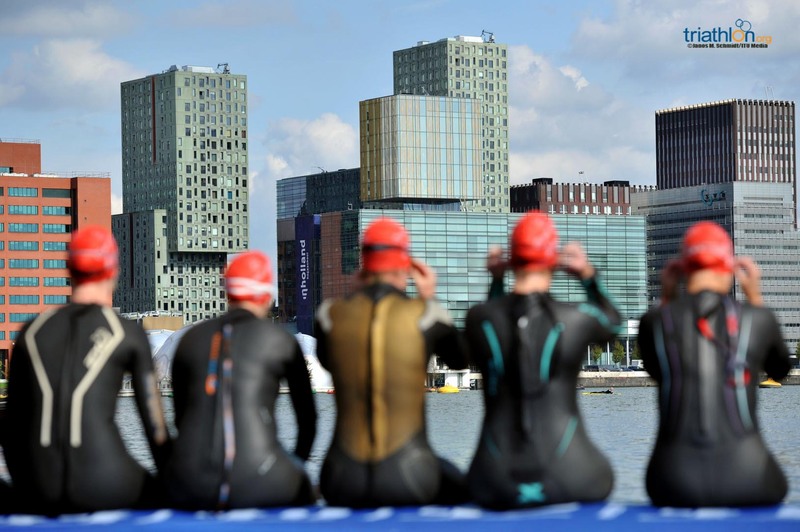 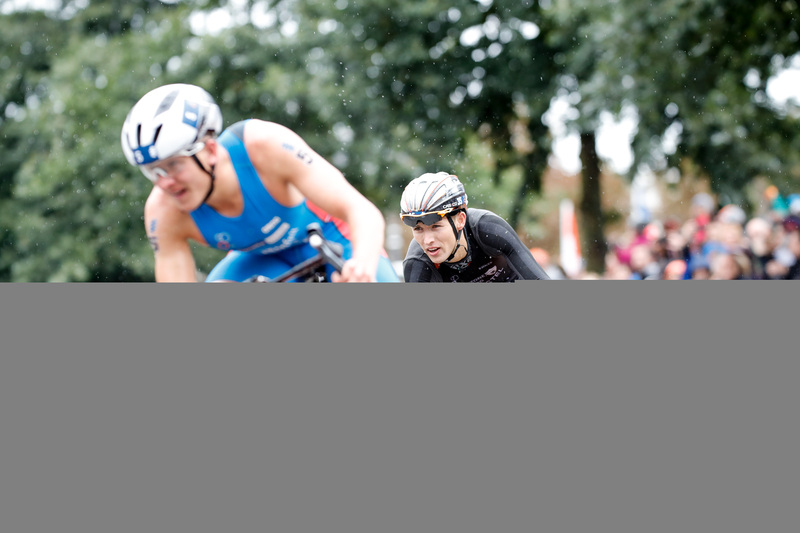 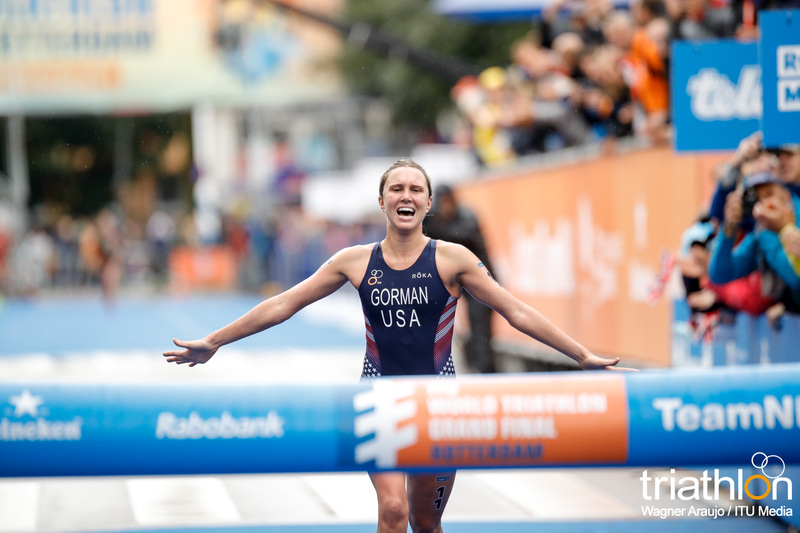 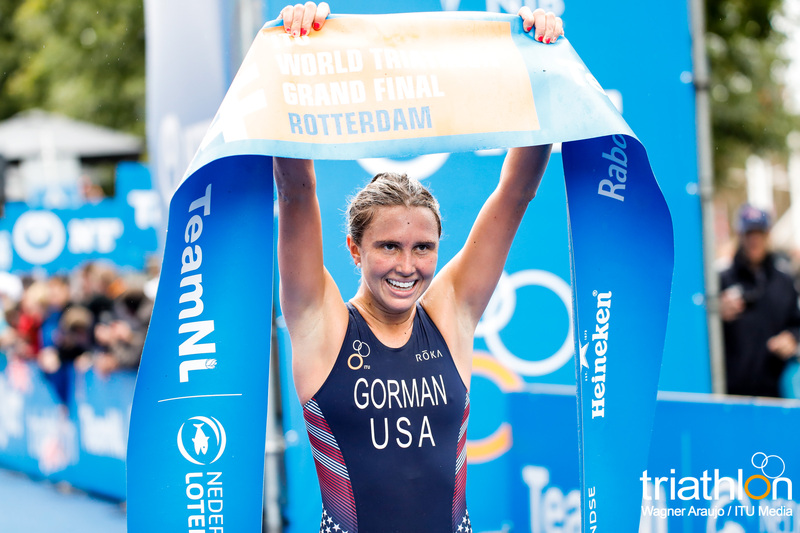 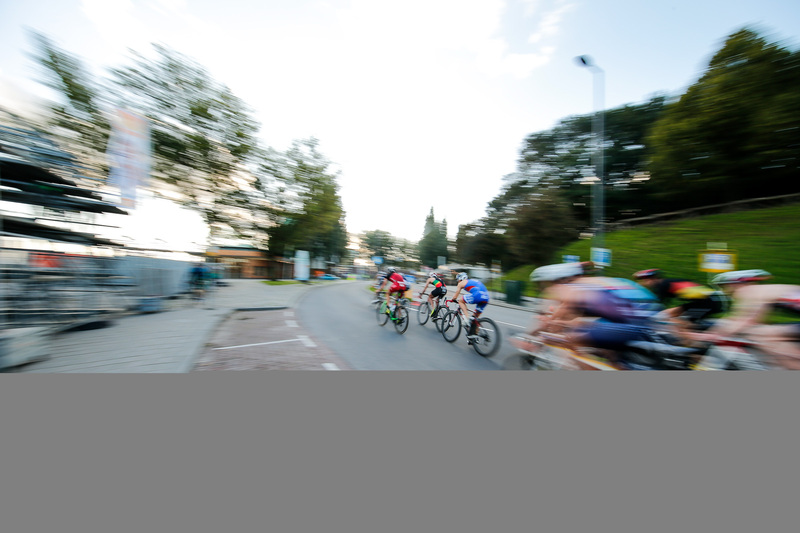 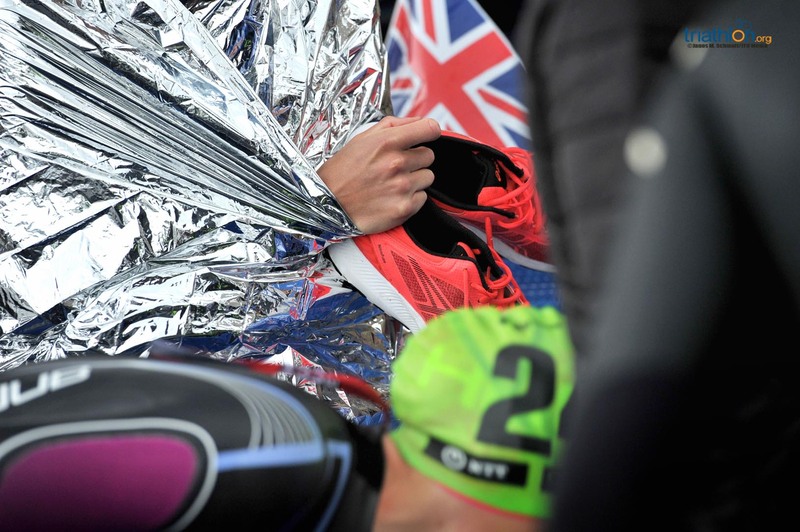 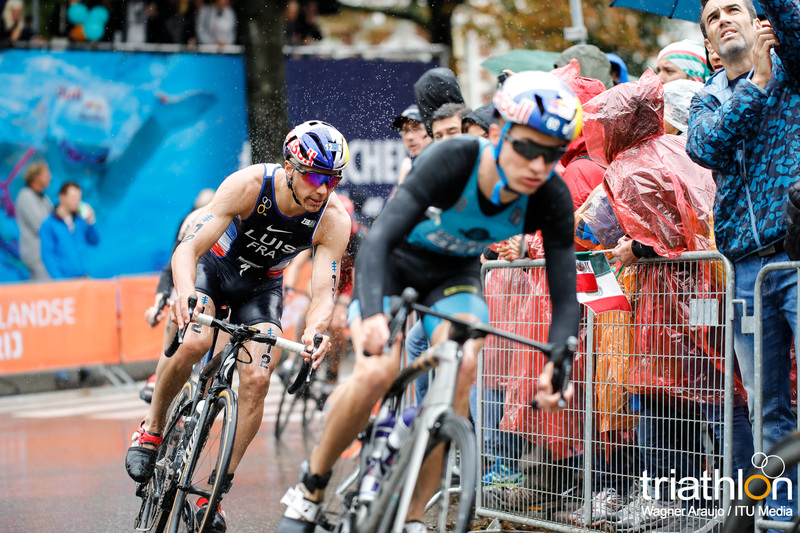 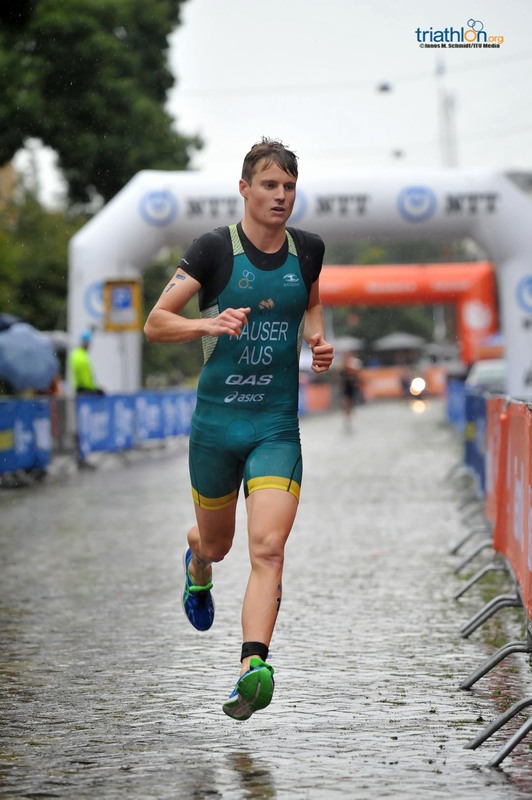 Starting on Friday, September 15 the top athletes in triathlon reaching from every corner of the globe will begin lining up to stake claims on ITU World Championship Crowns. 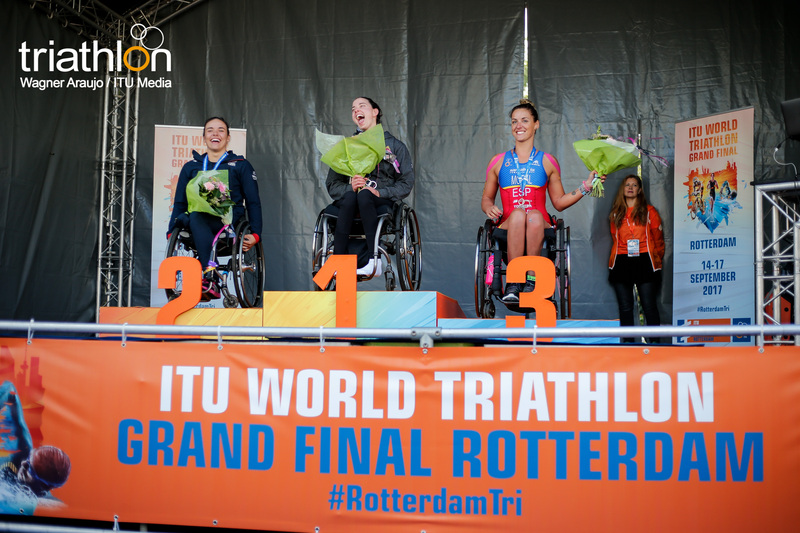 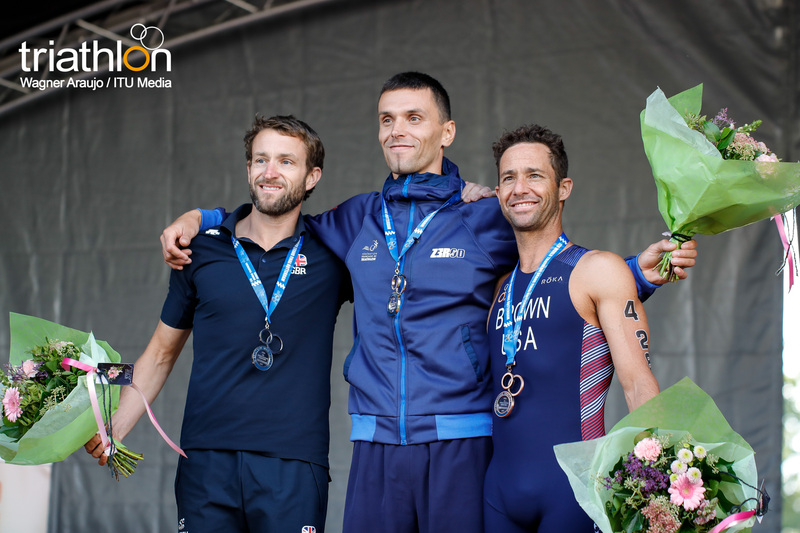 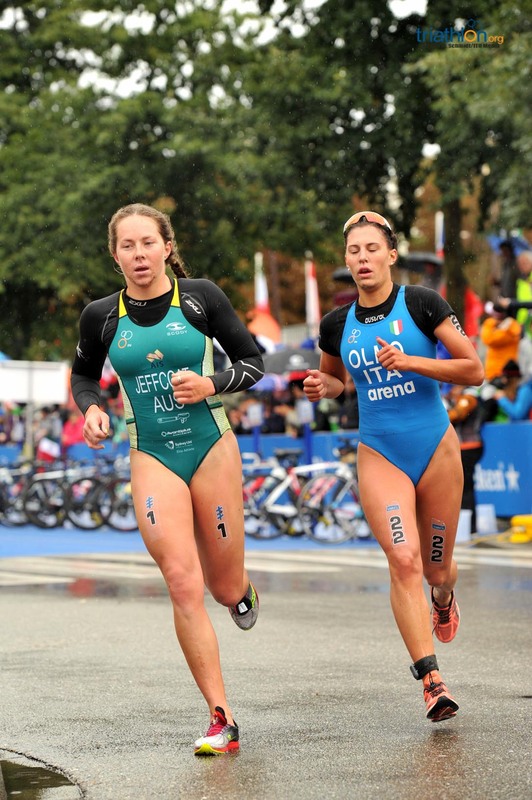 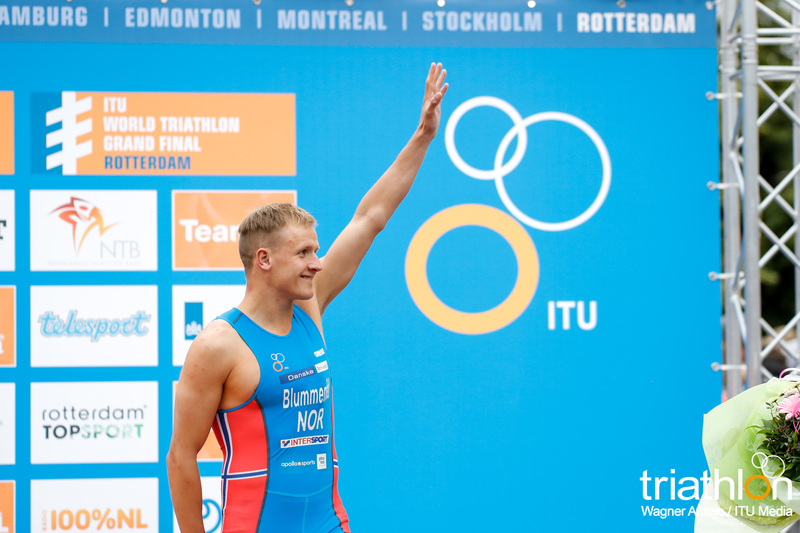 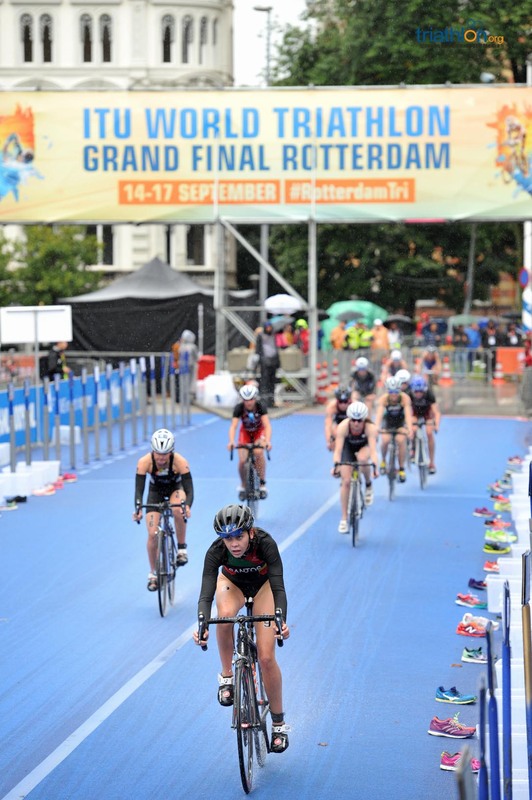 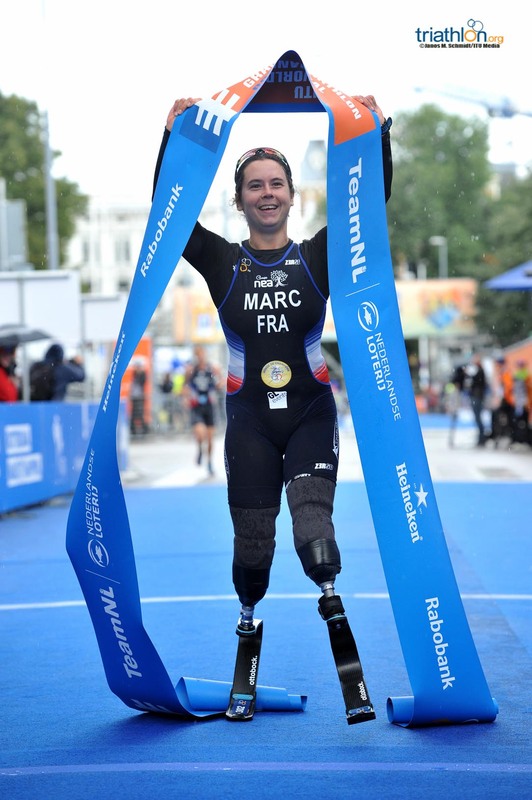 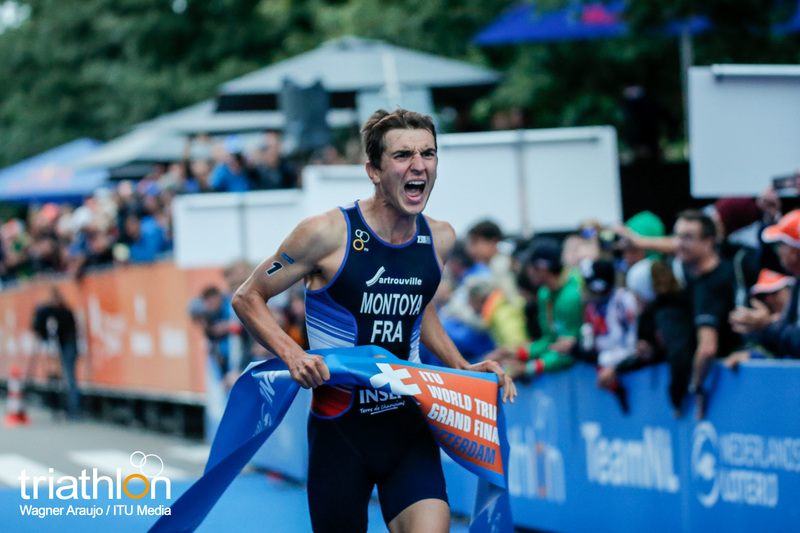 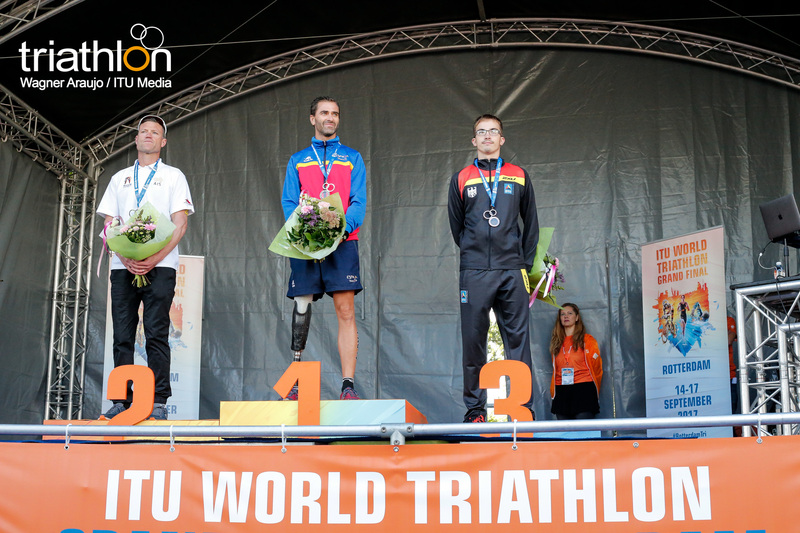 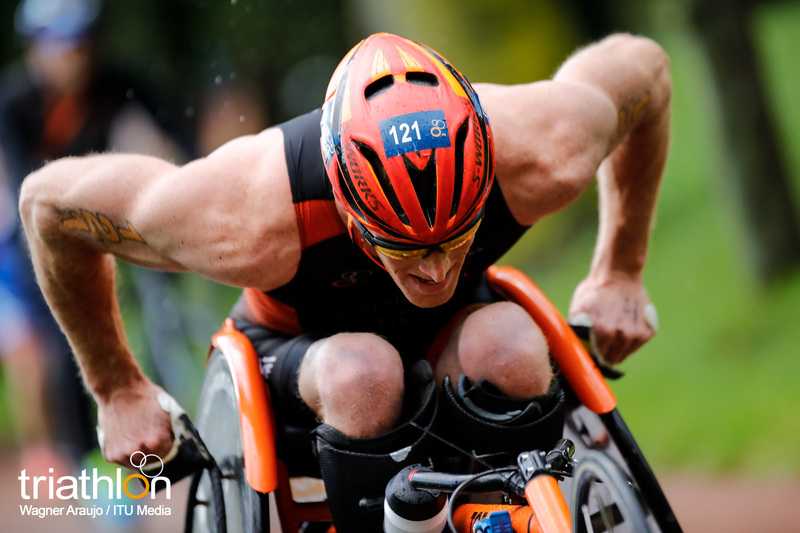 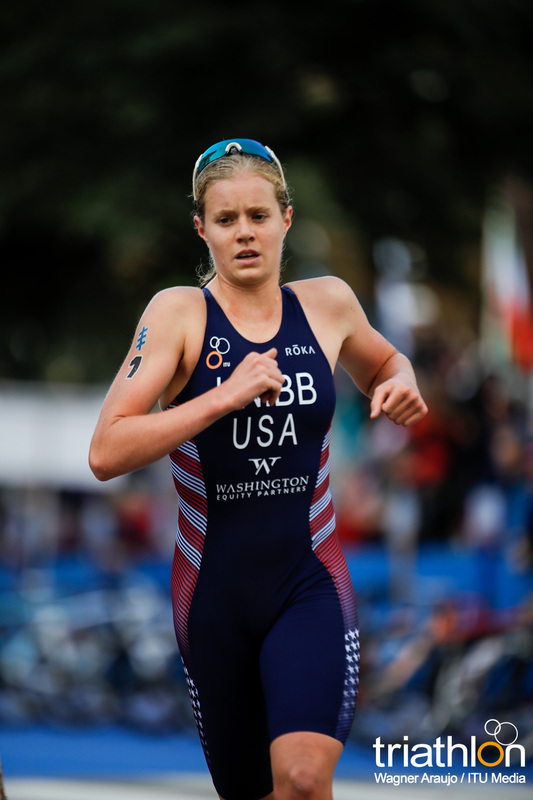 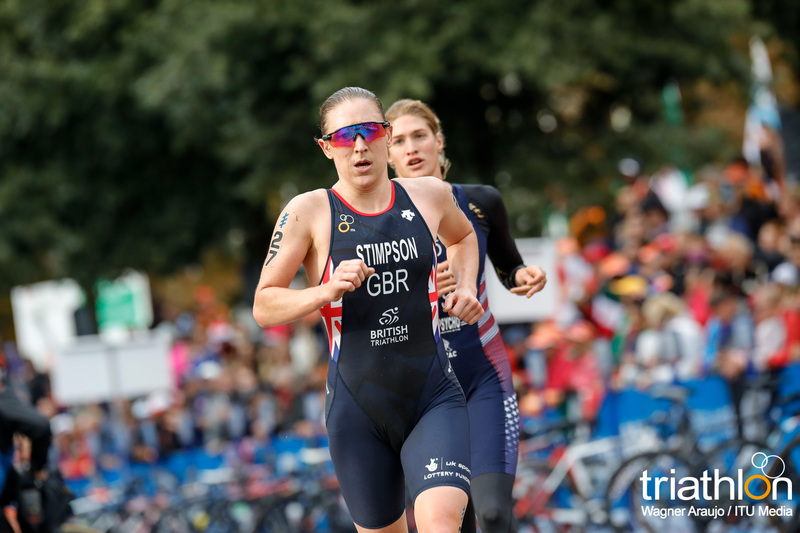 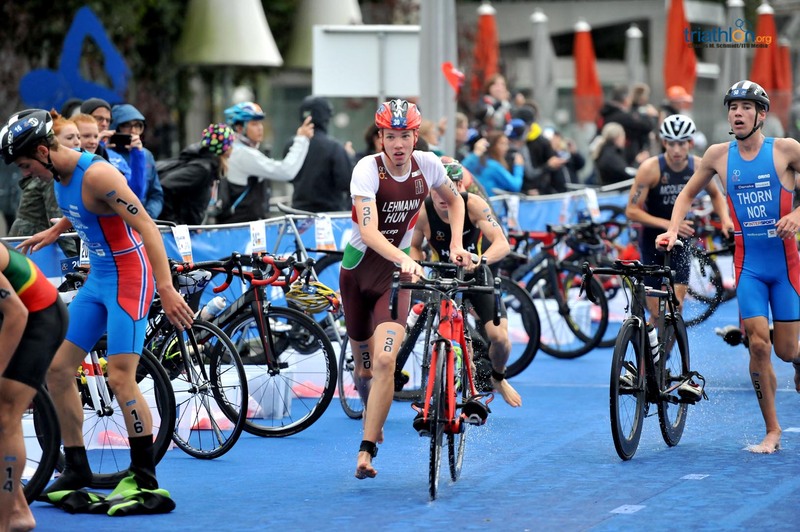 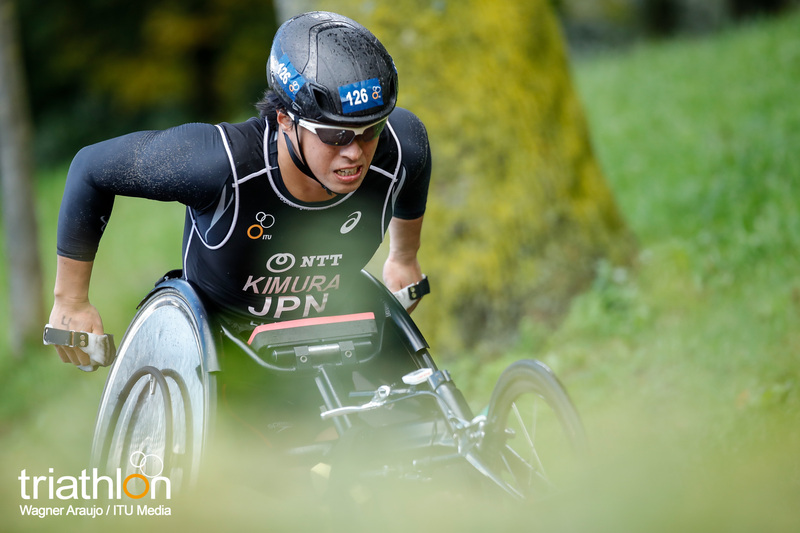 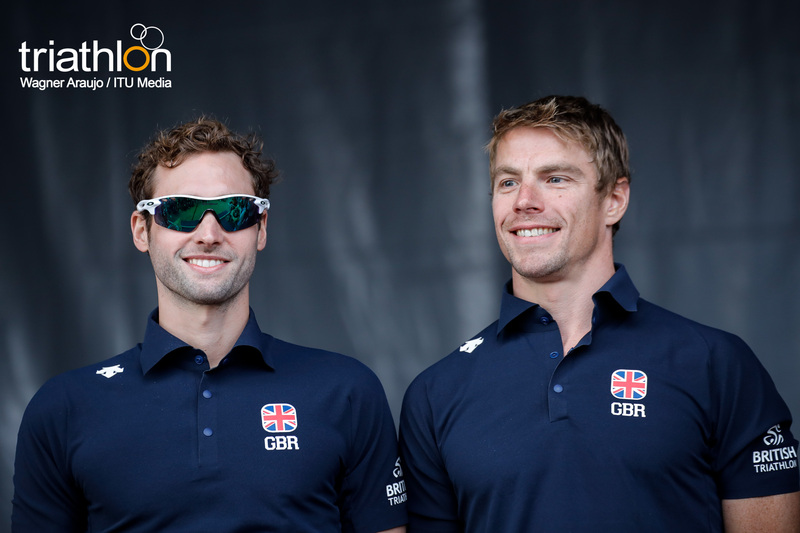 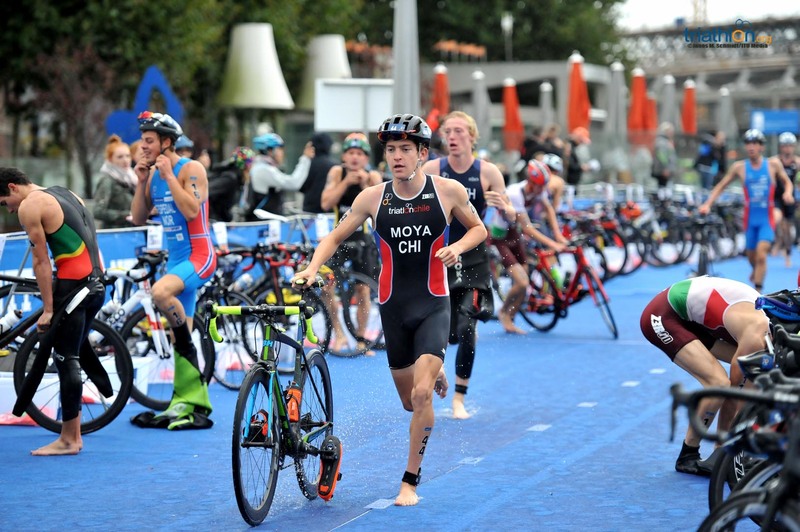 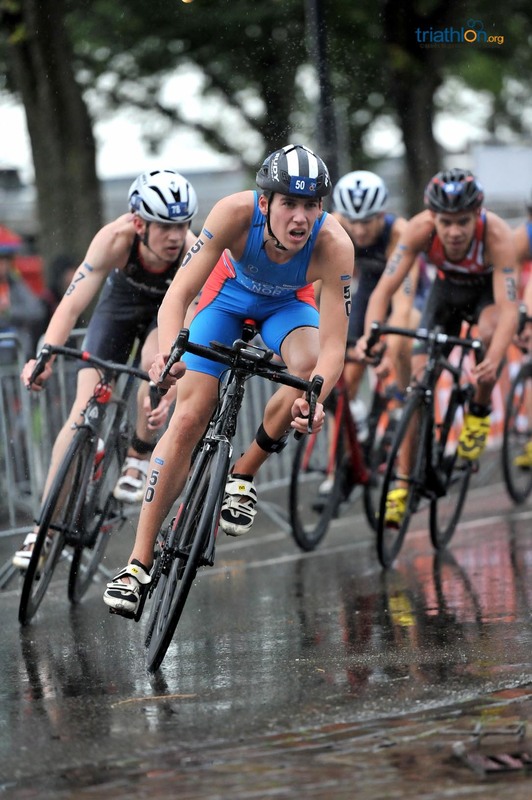 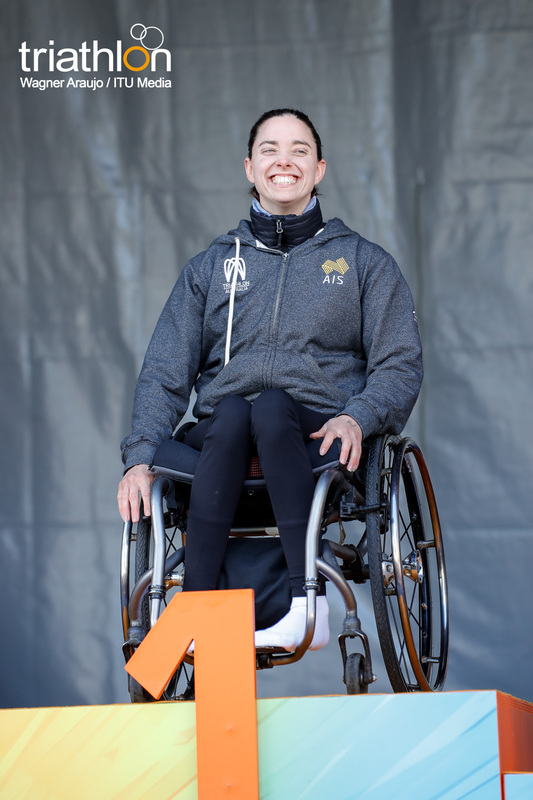 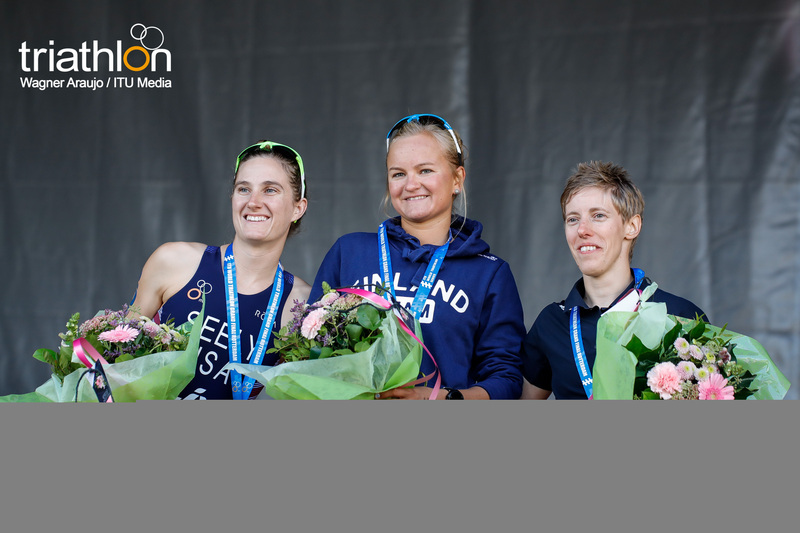 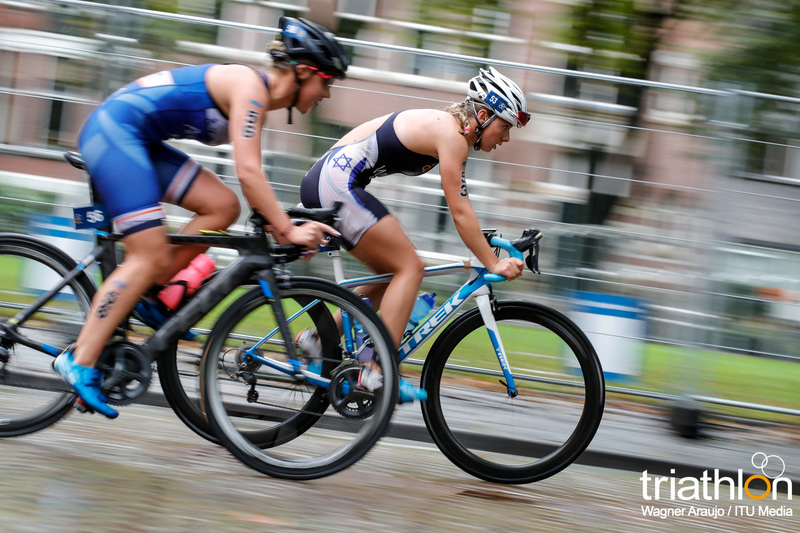 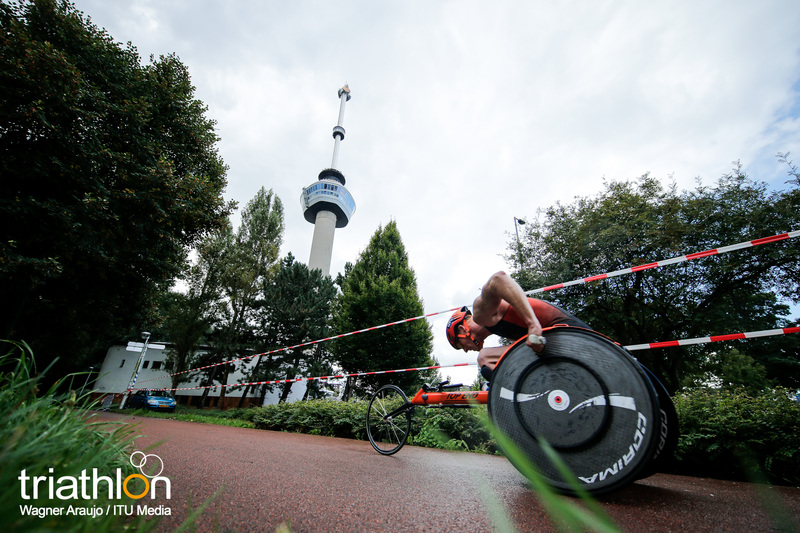 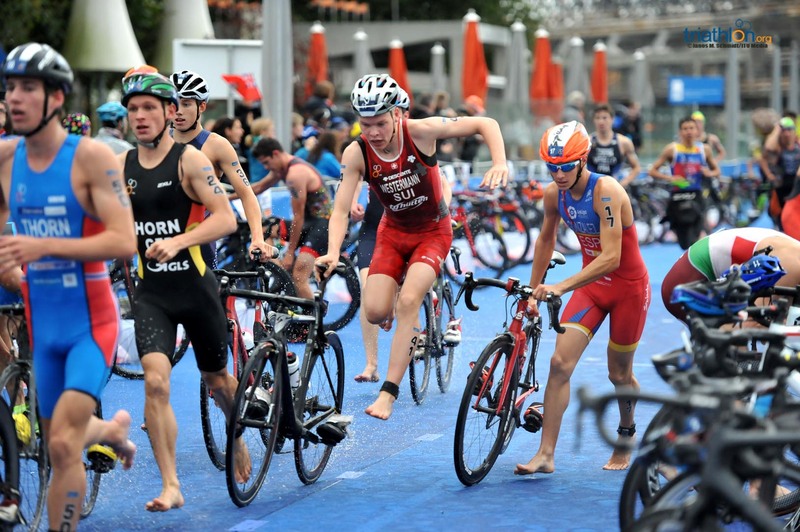 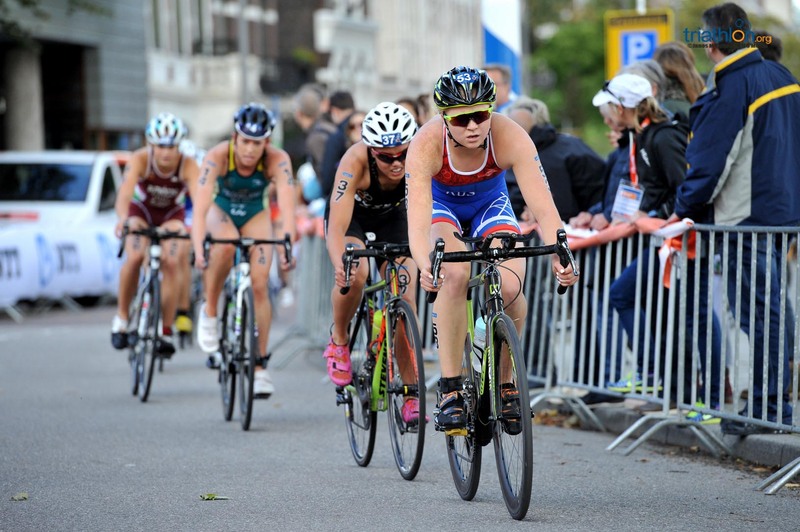 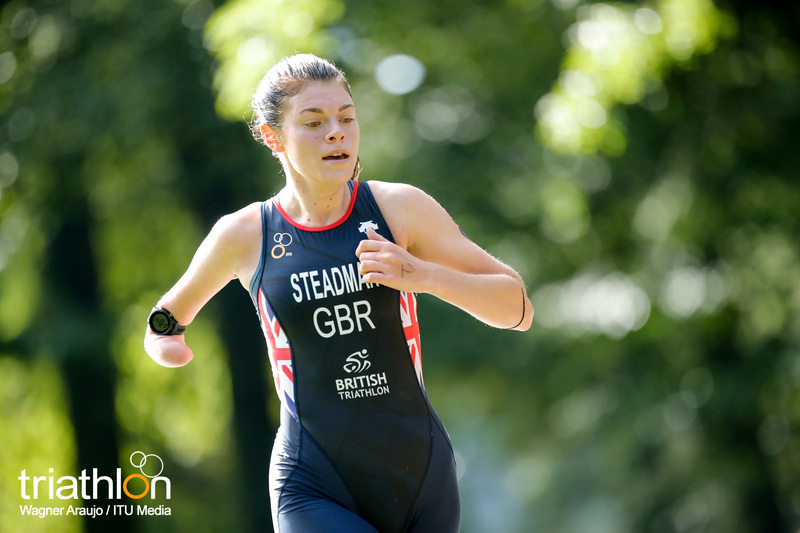 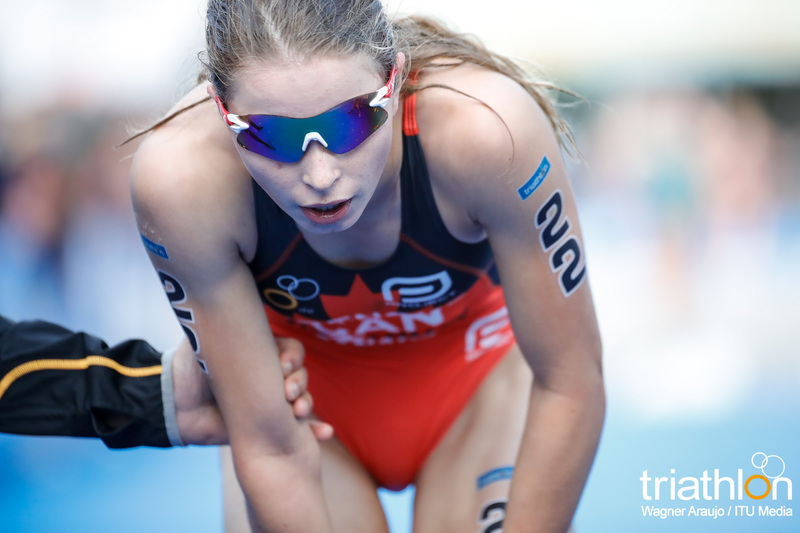 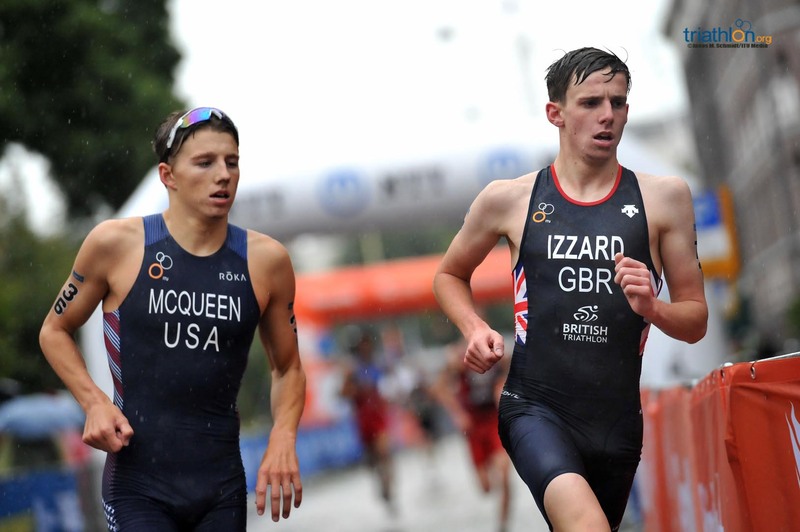 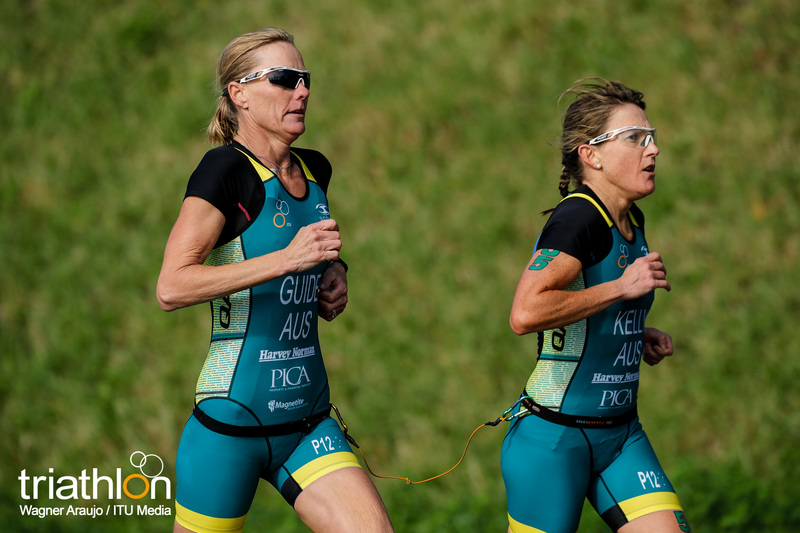 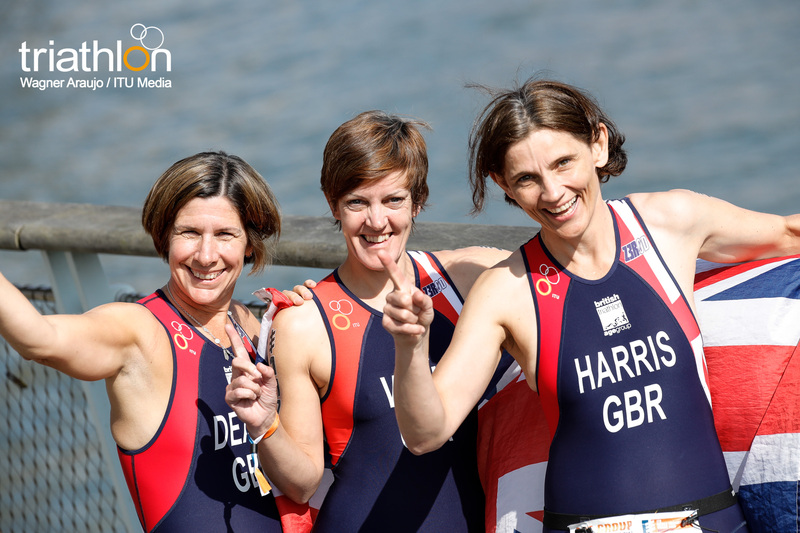 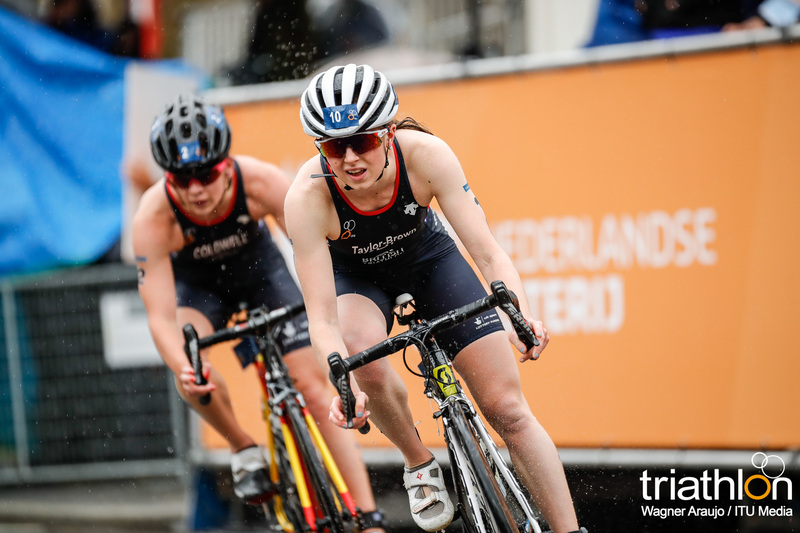 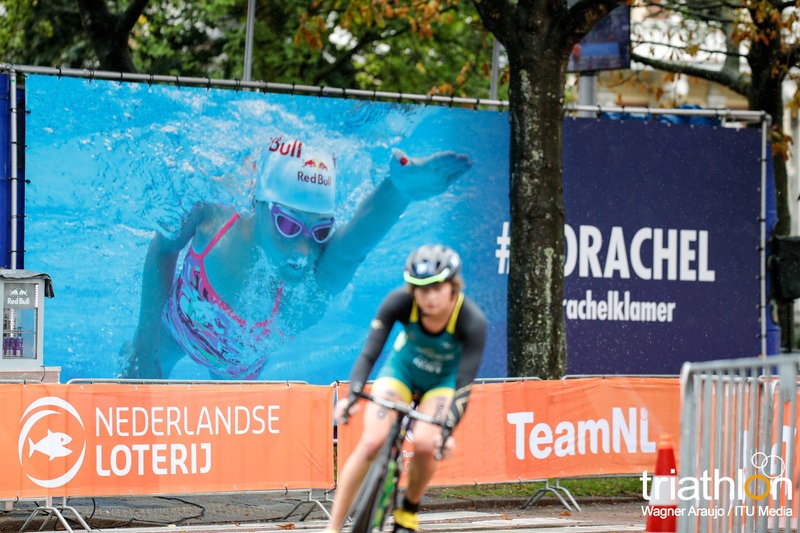 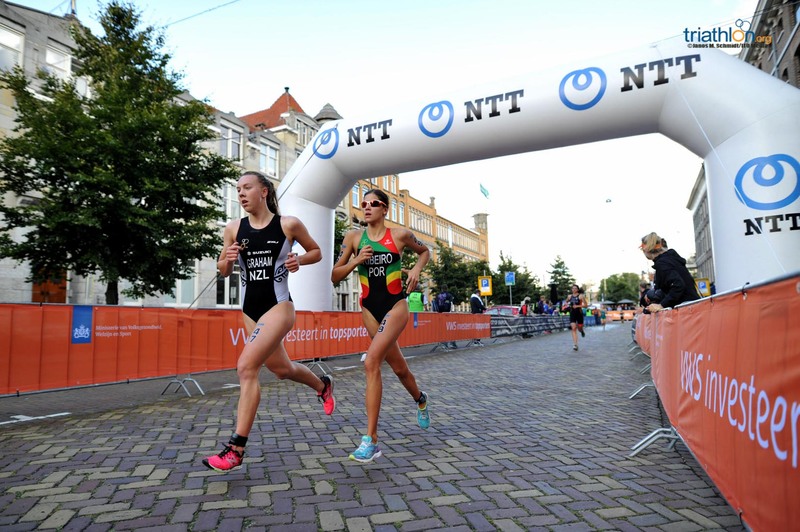 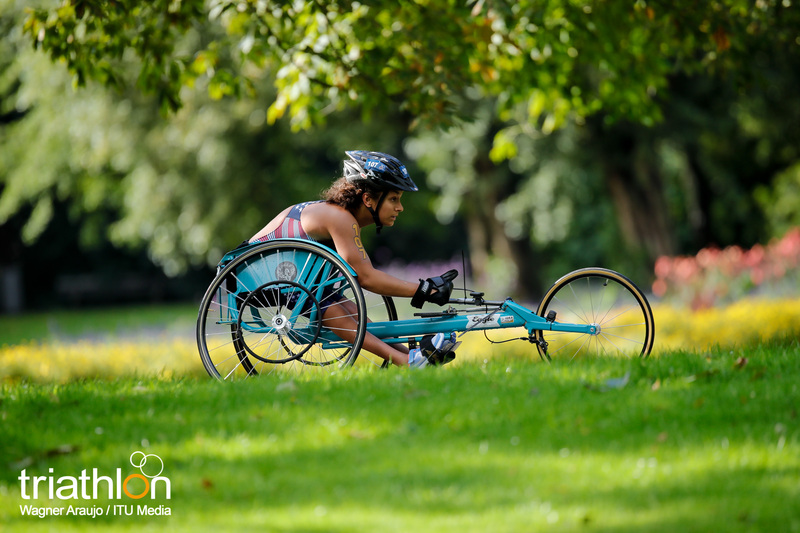 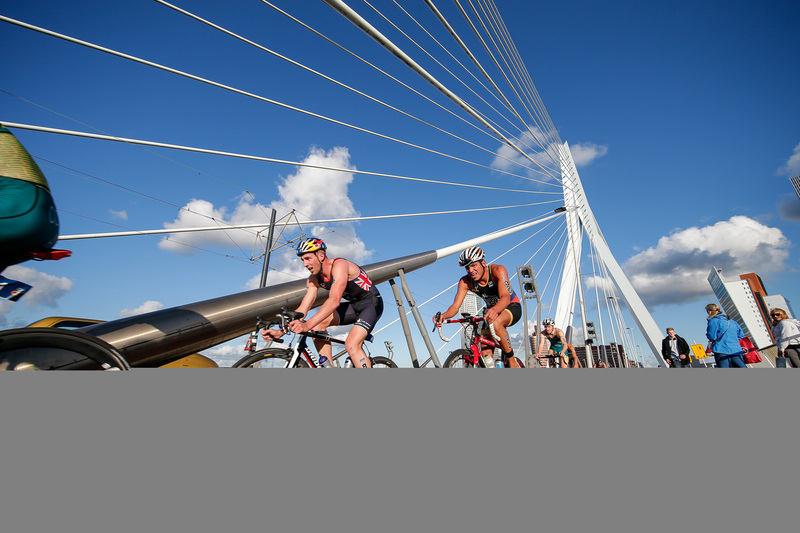 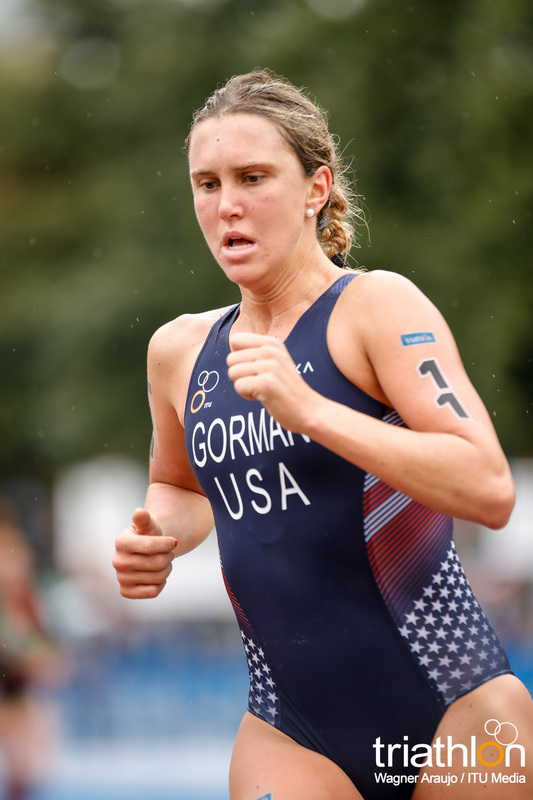 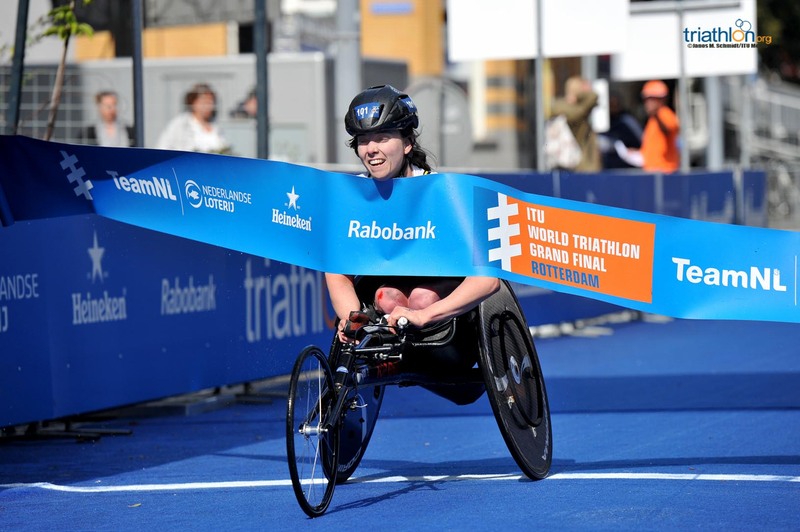 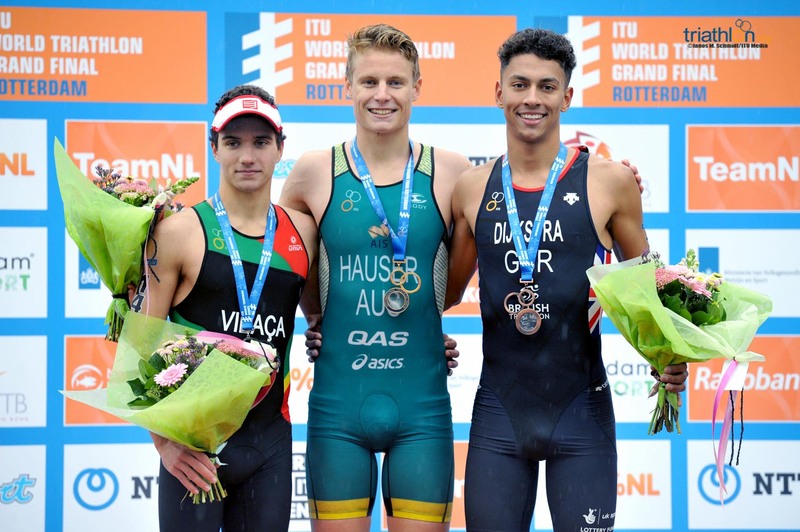 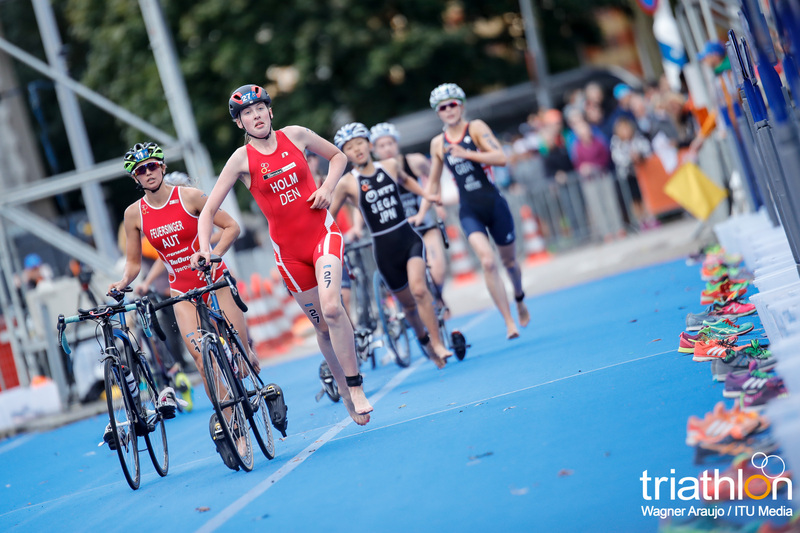 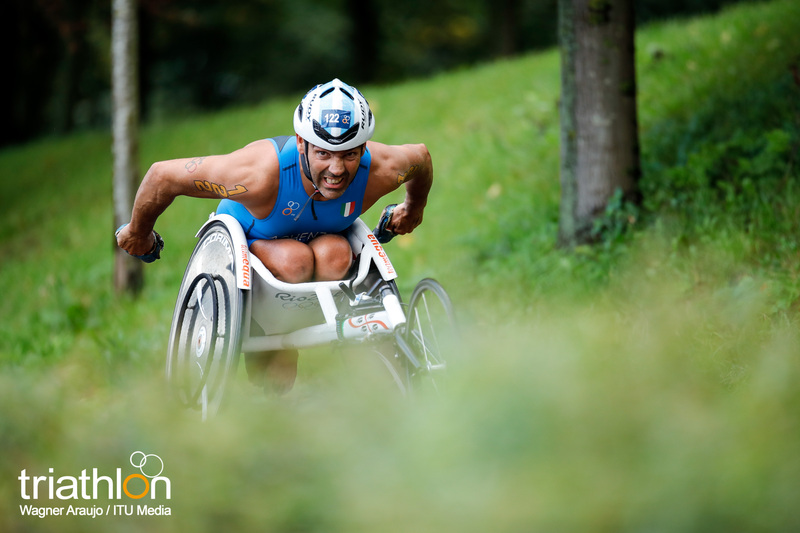 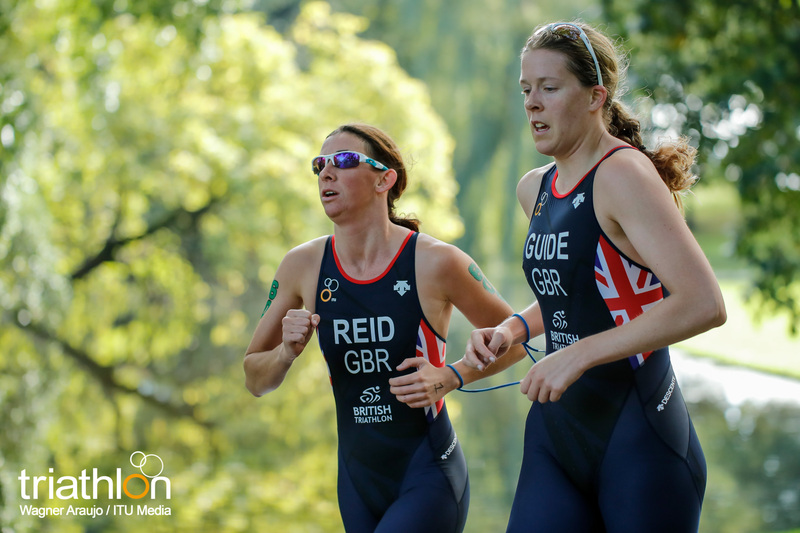 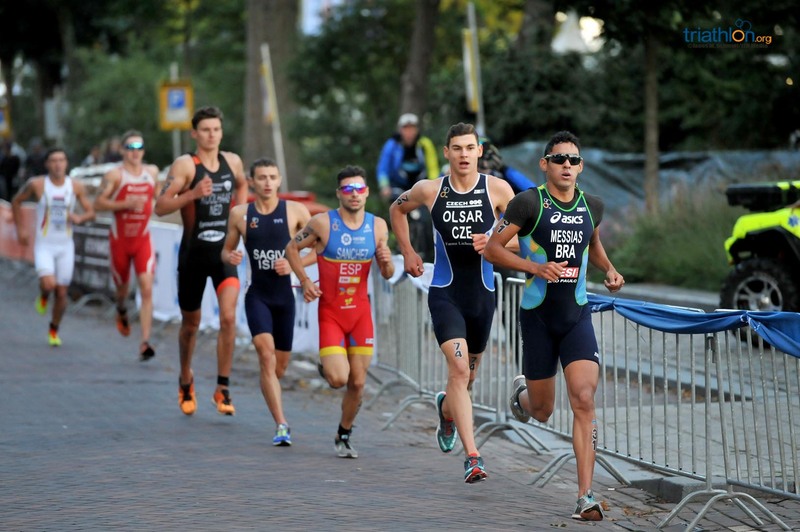 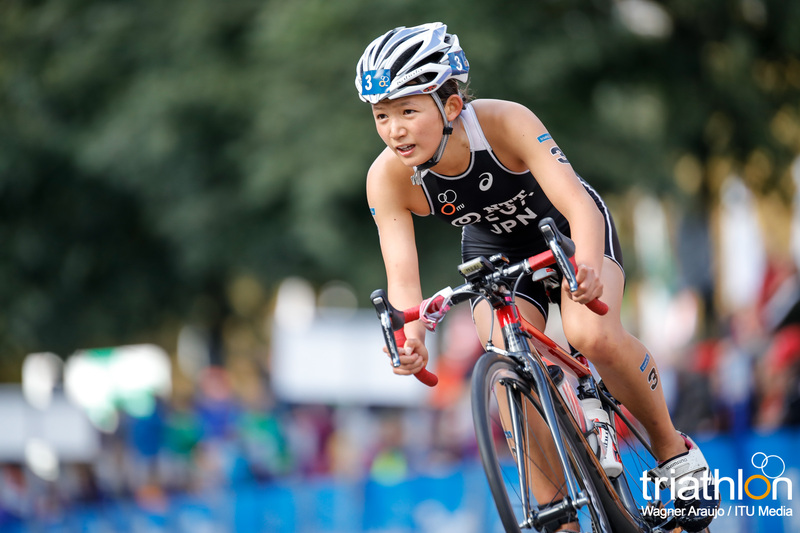 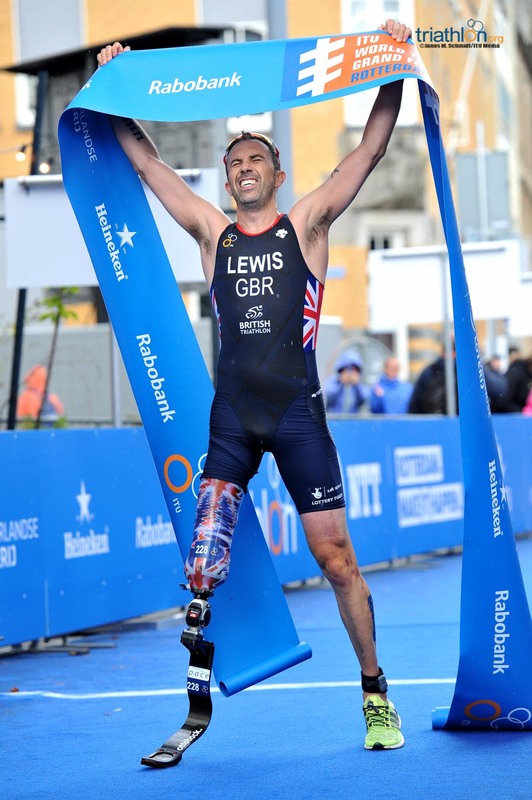 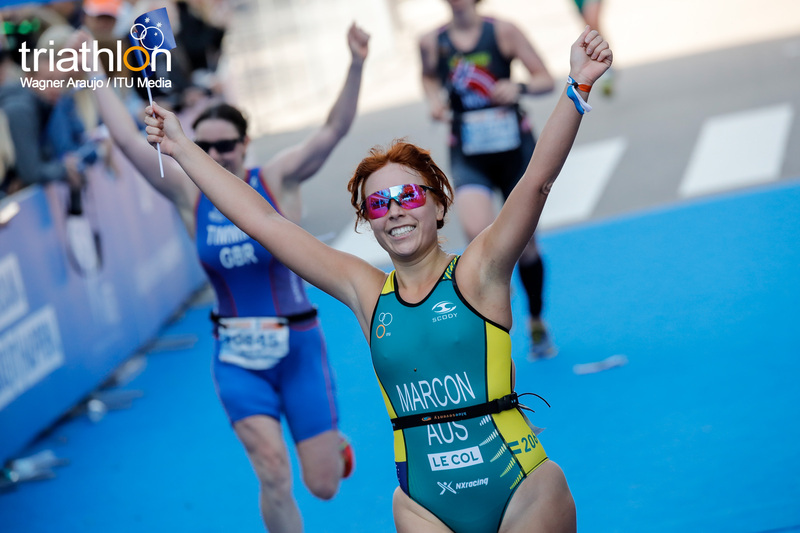 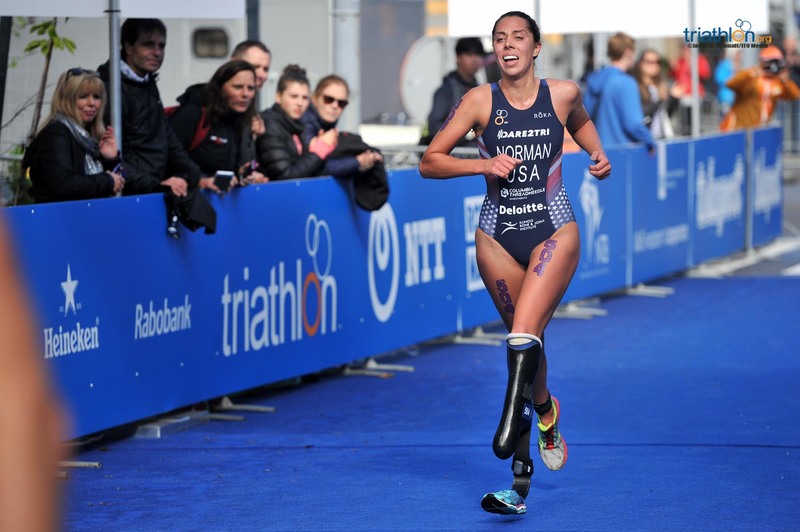 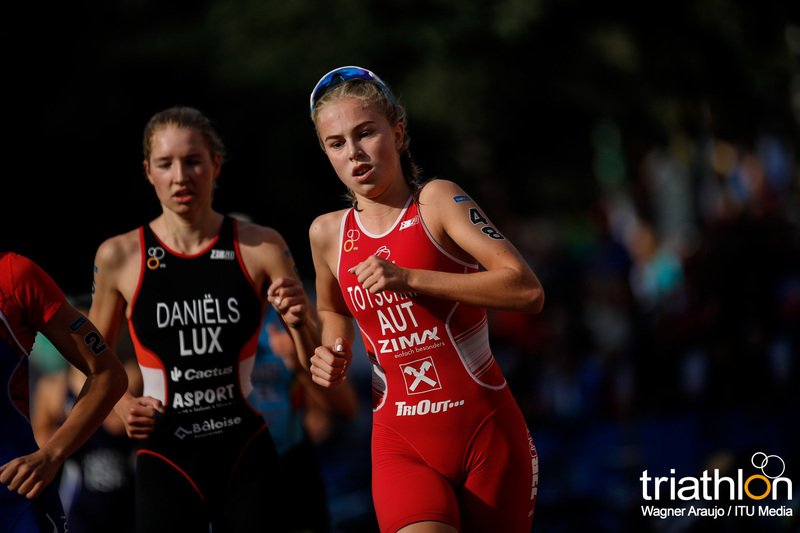 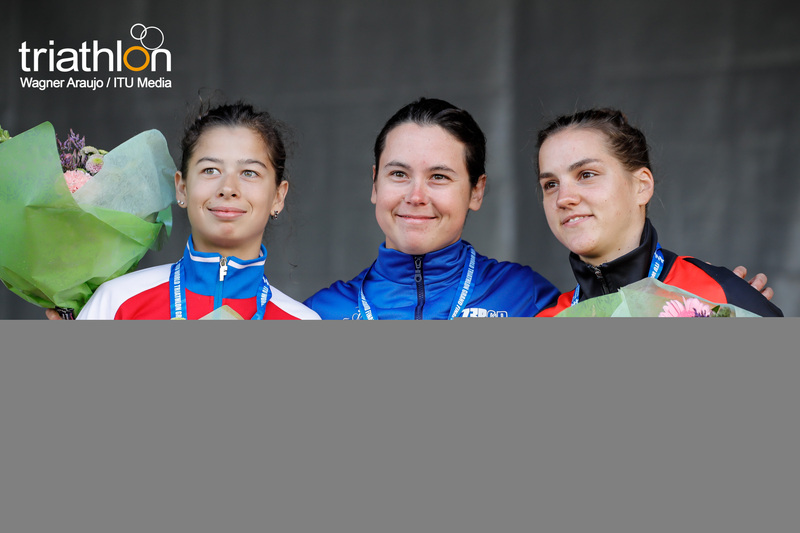 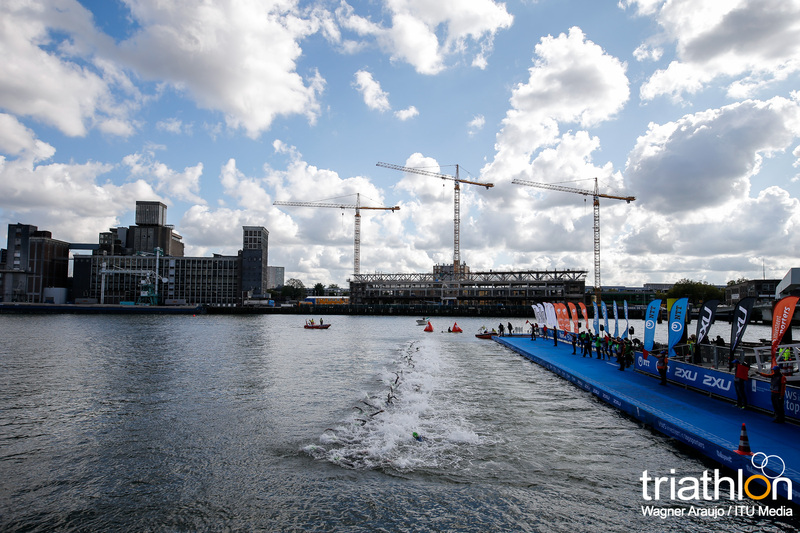 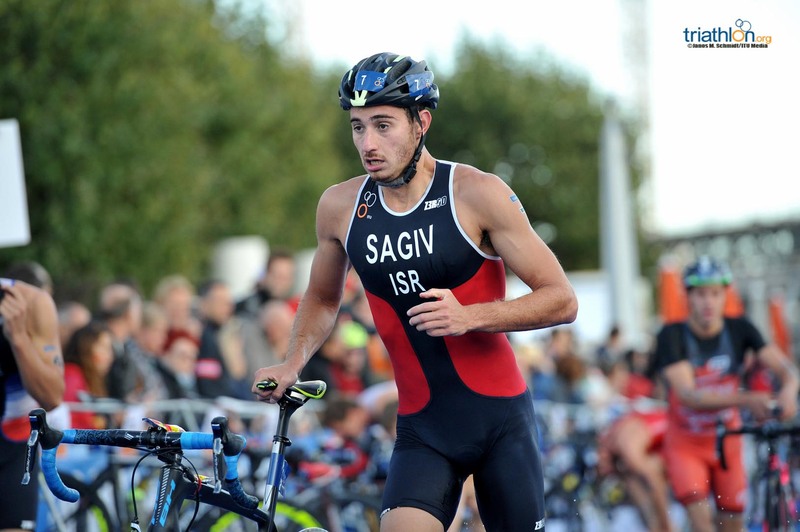 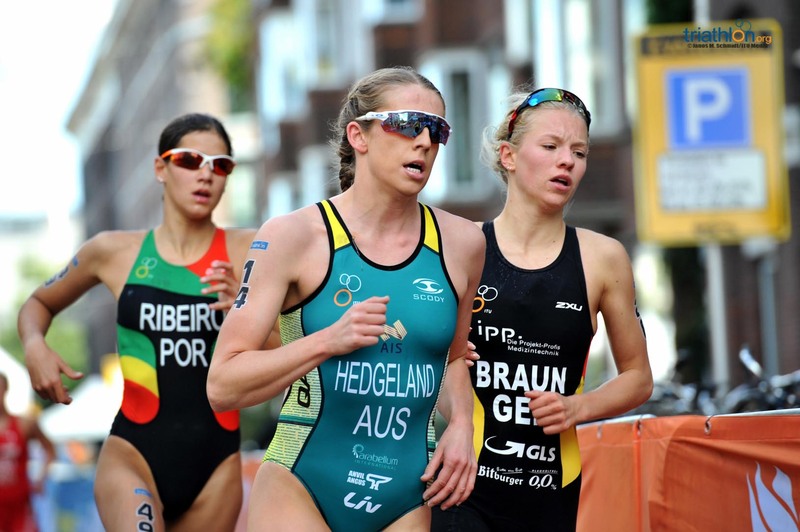 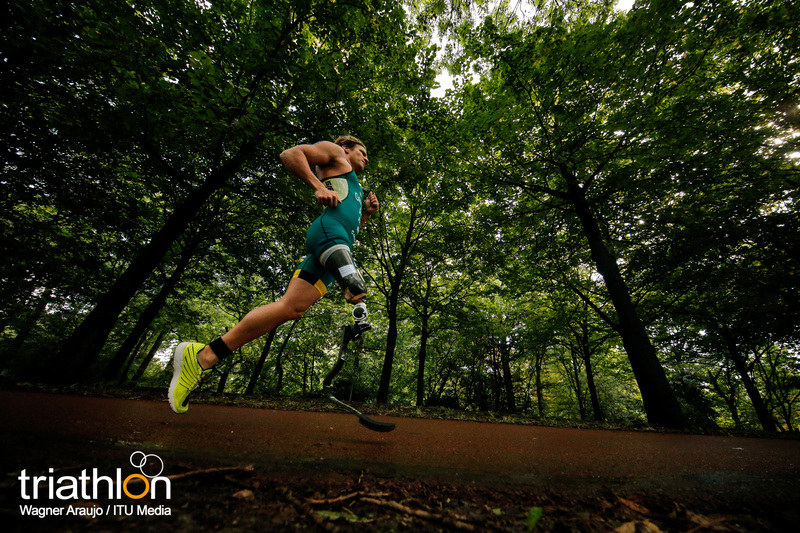 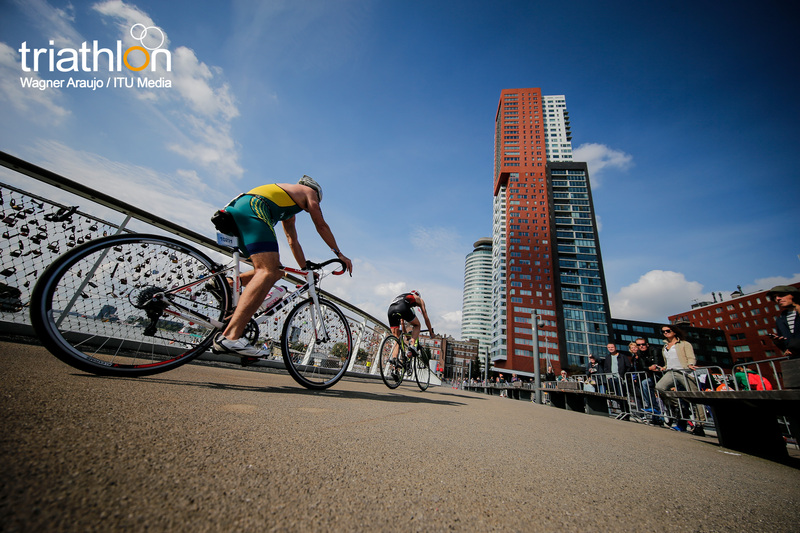 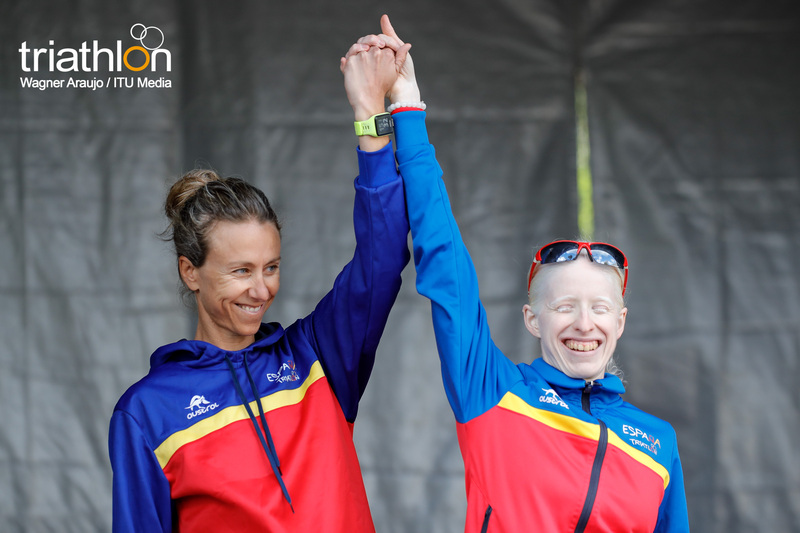 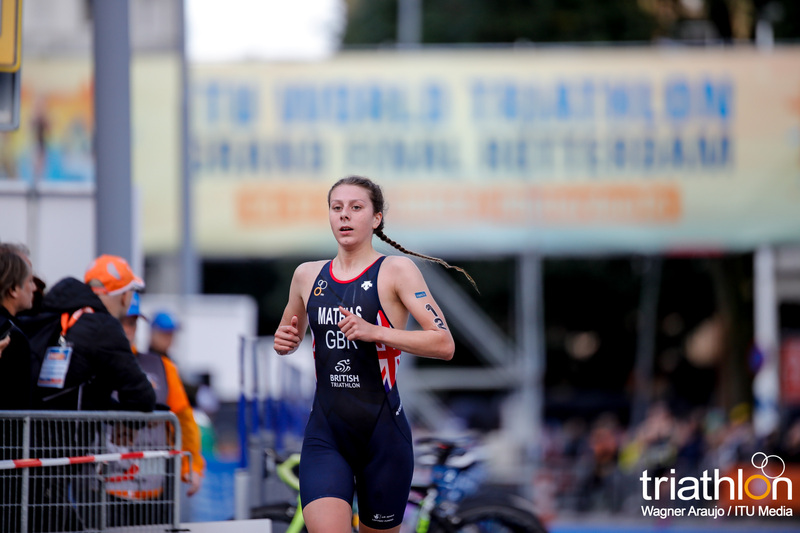 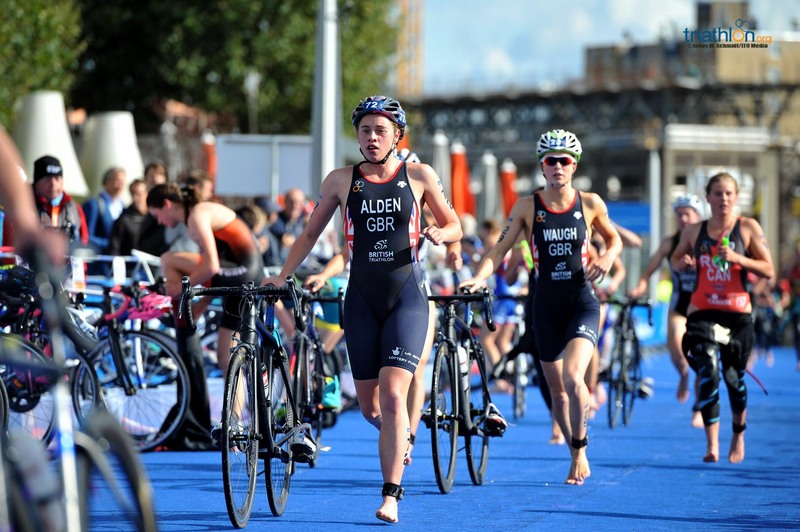 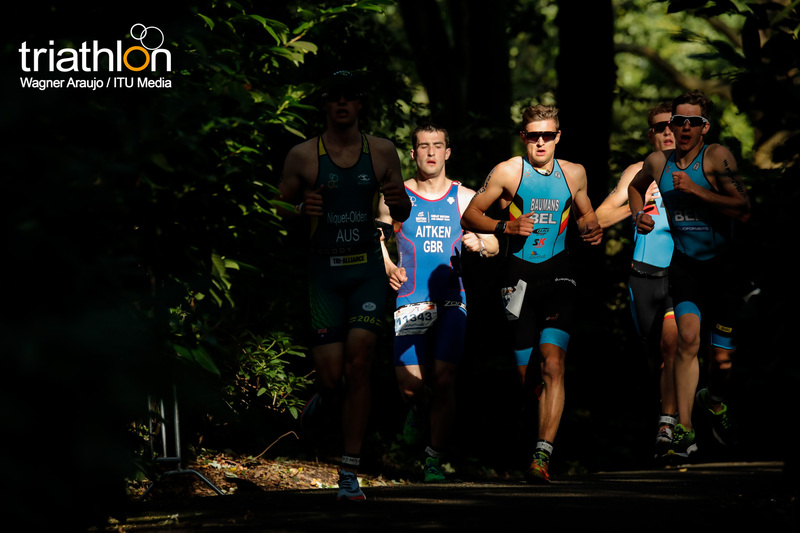 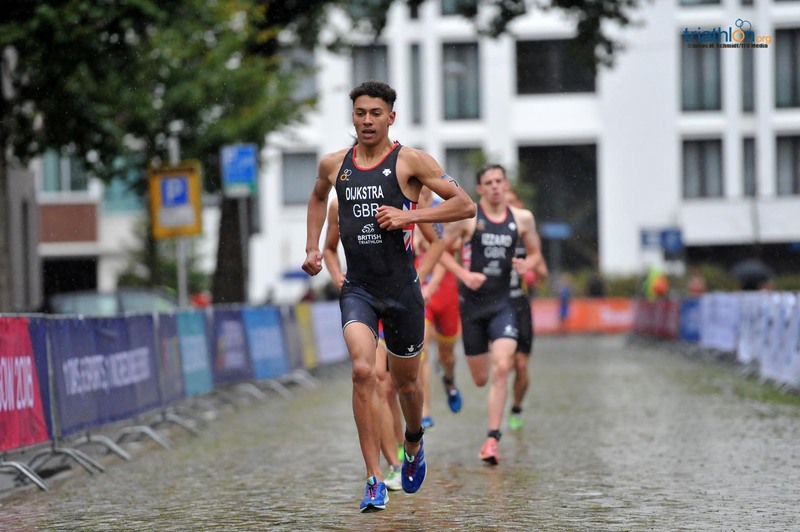 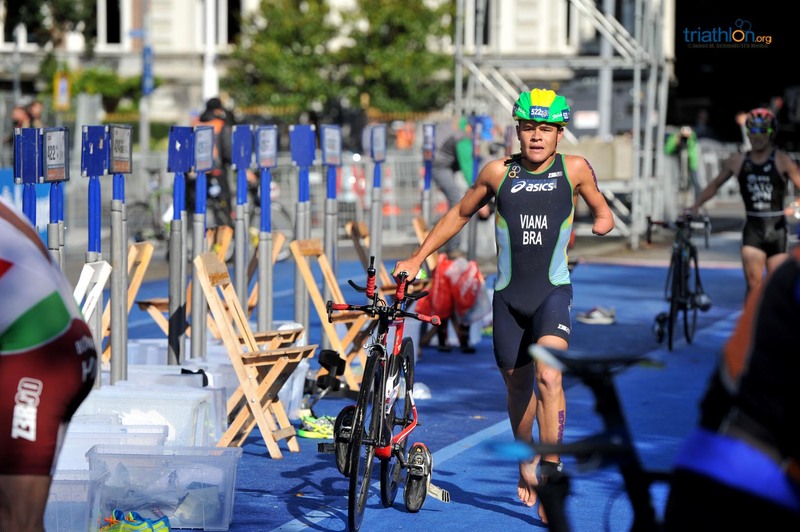 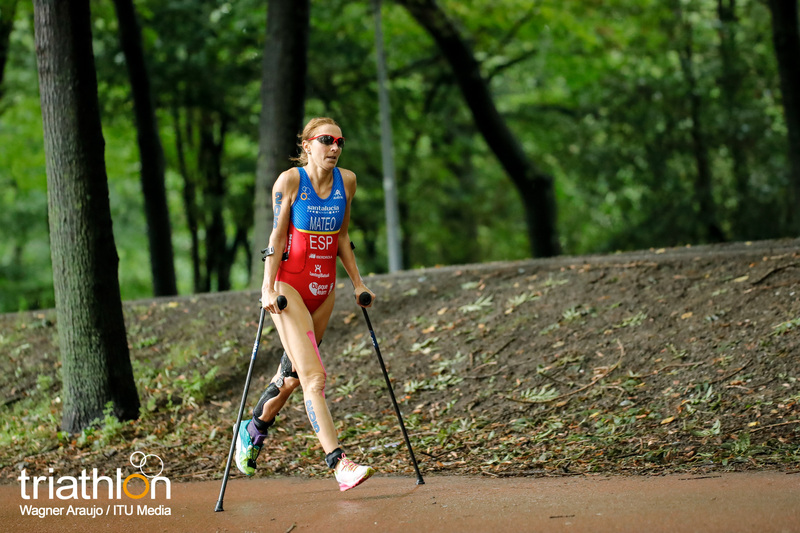 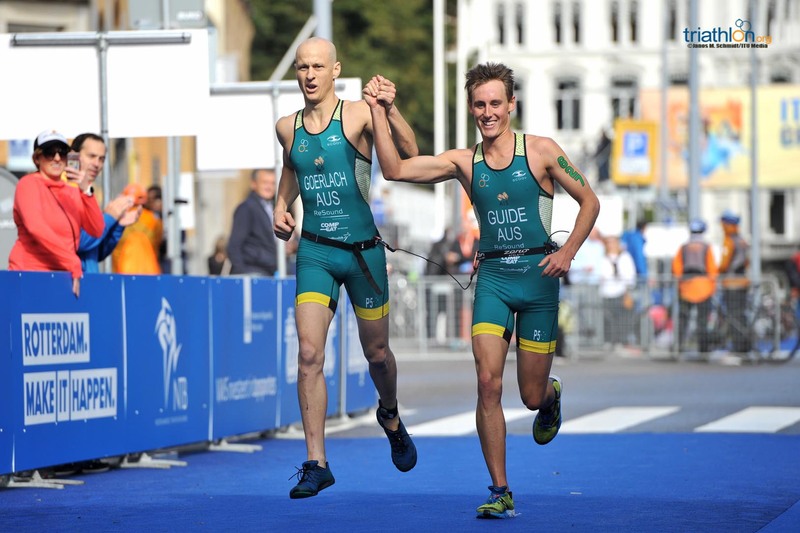 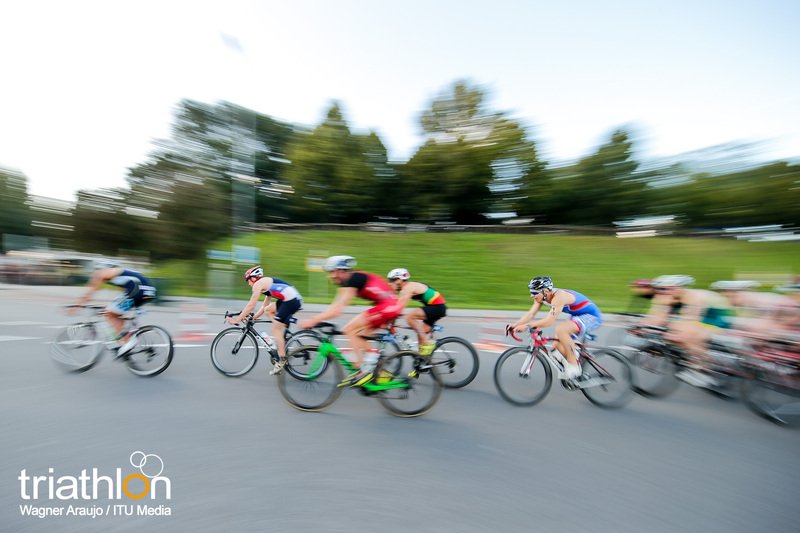 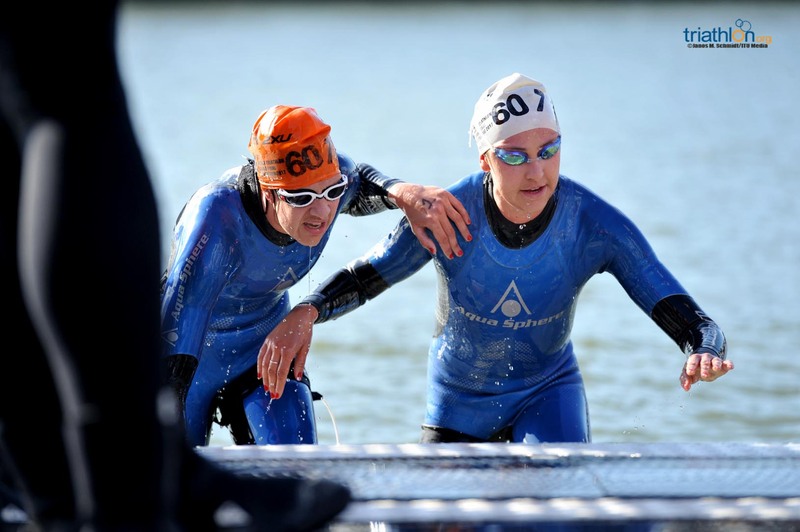 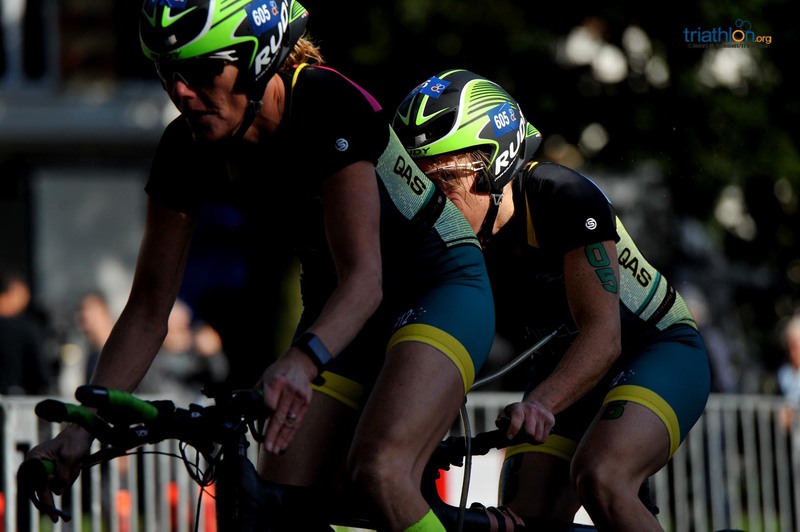 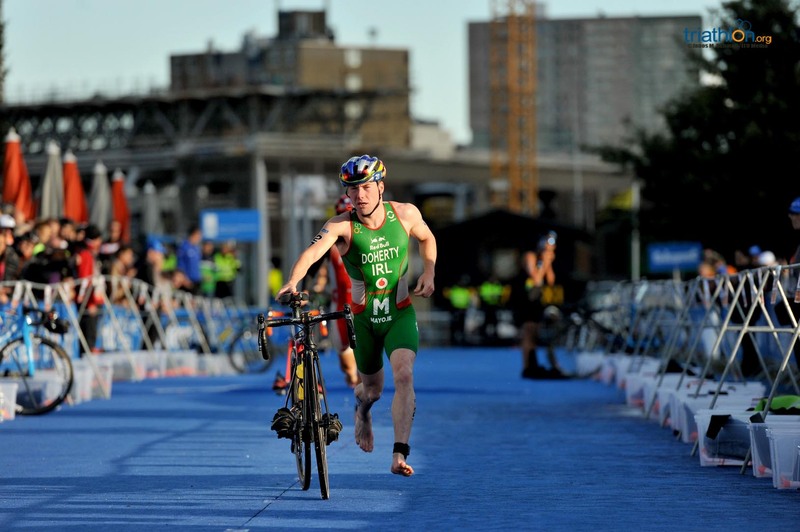 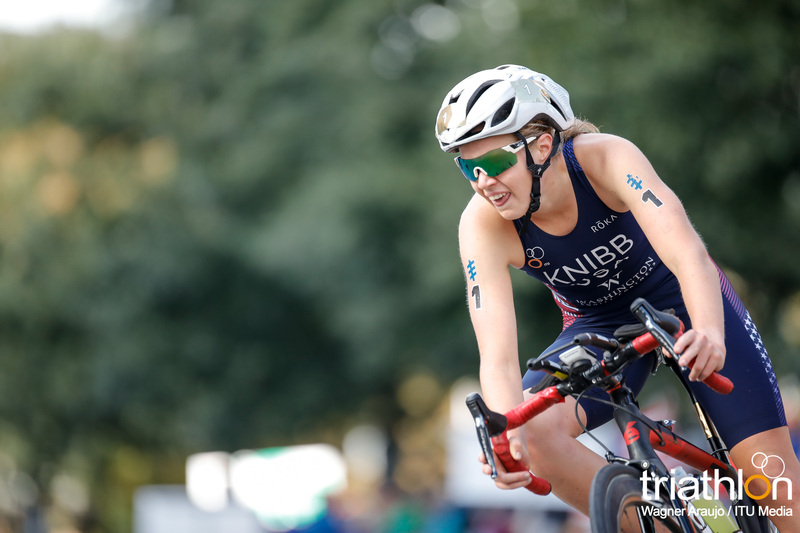 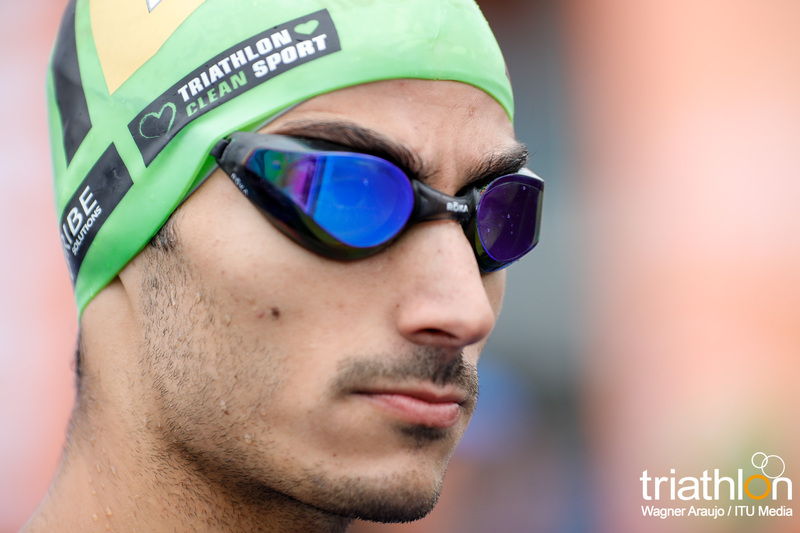 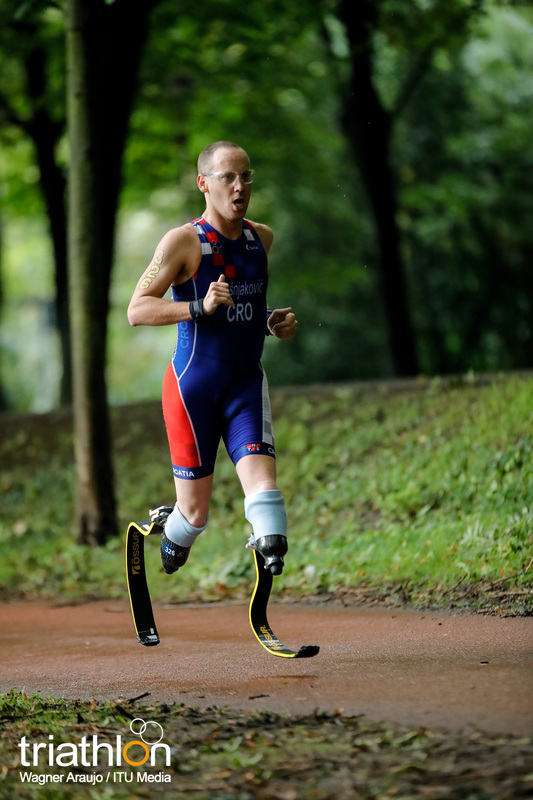 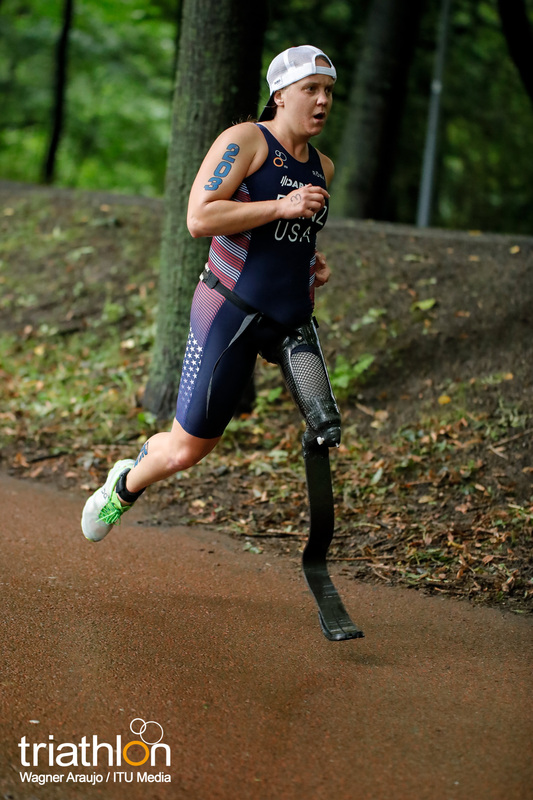 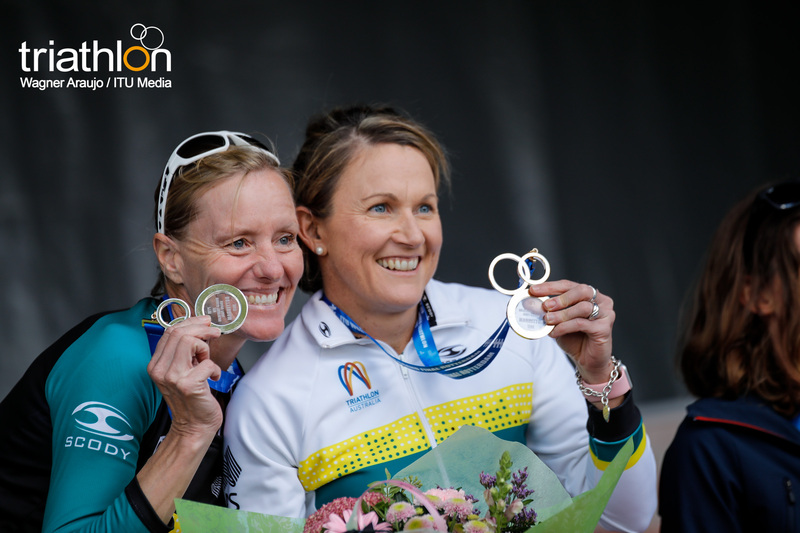 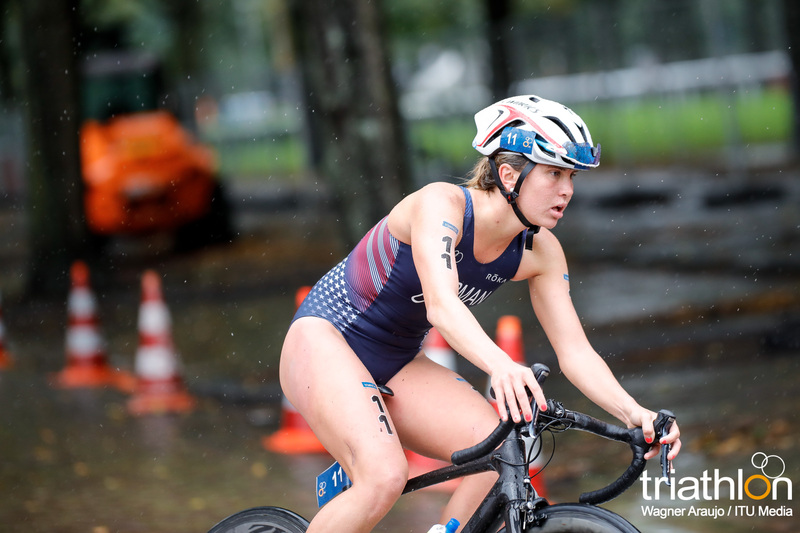 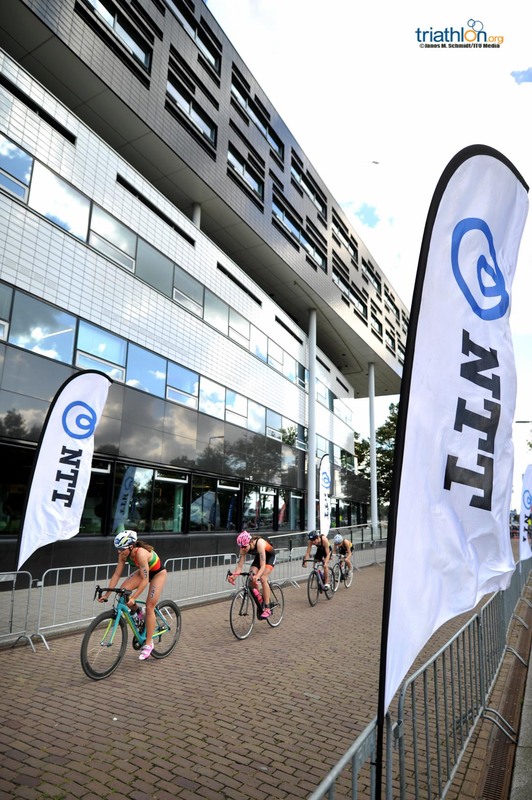 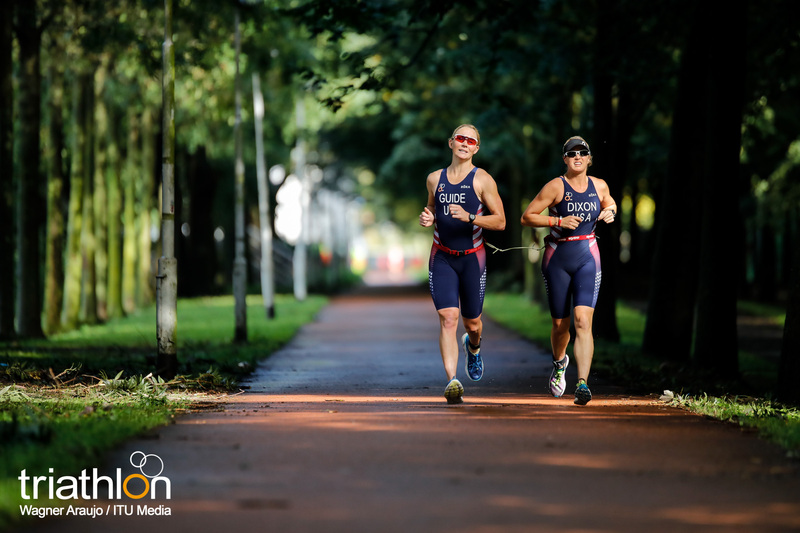 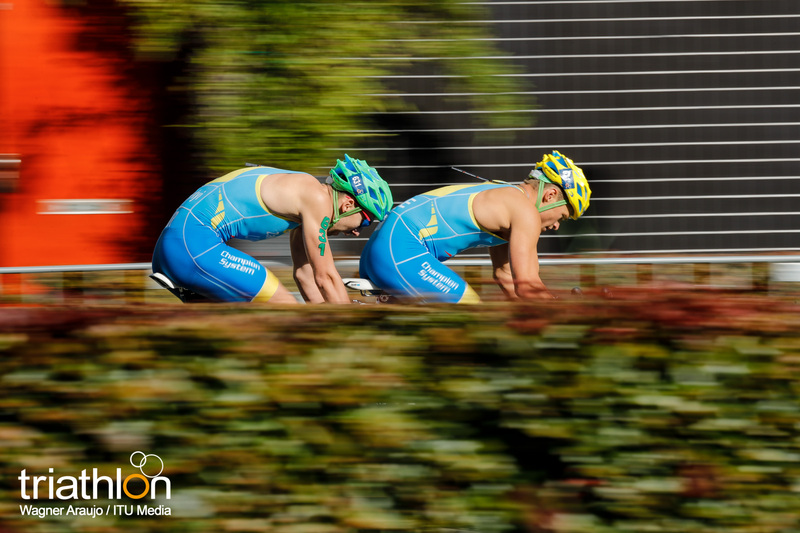 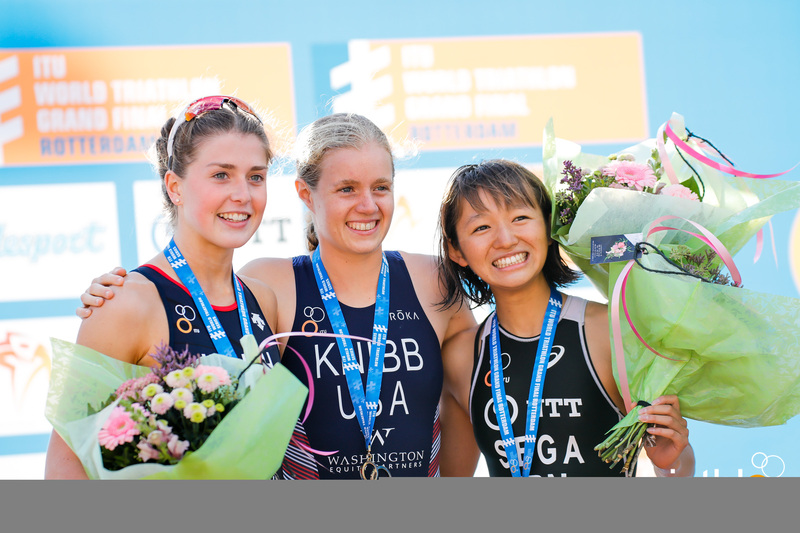 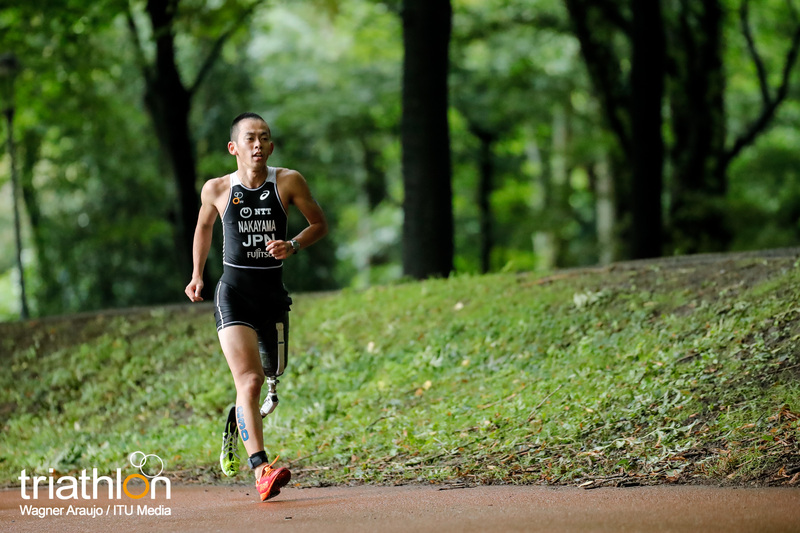 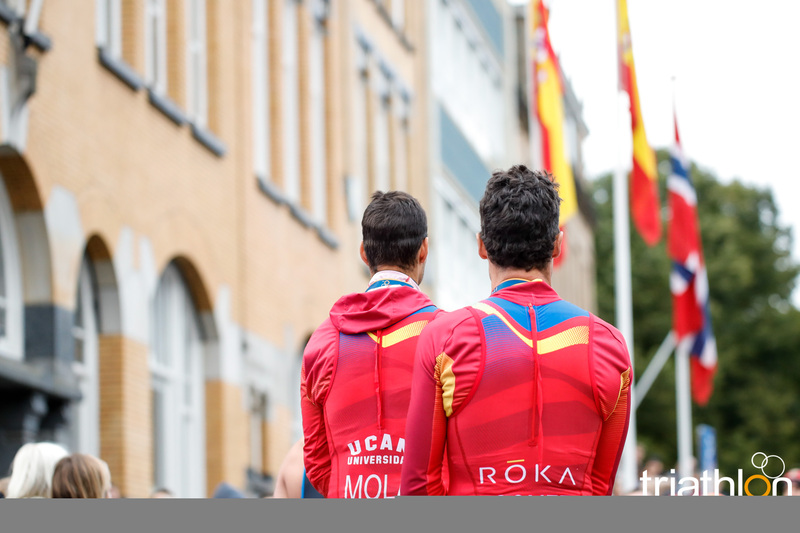 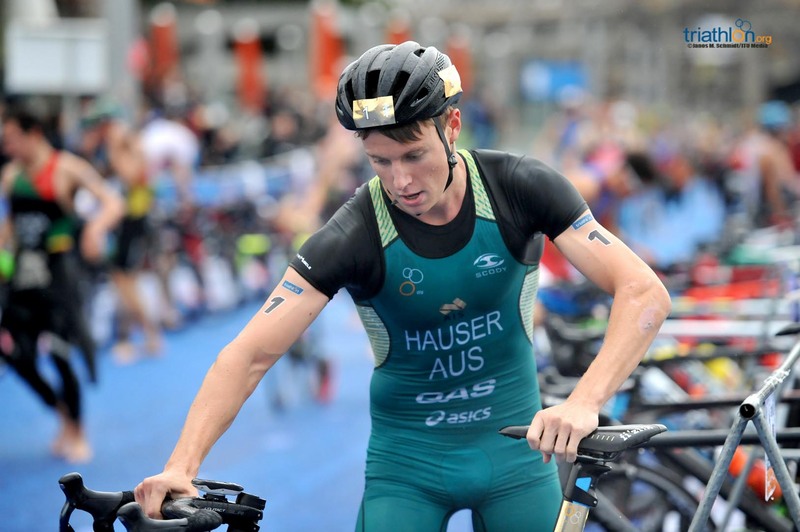 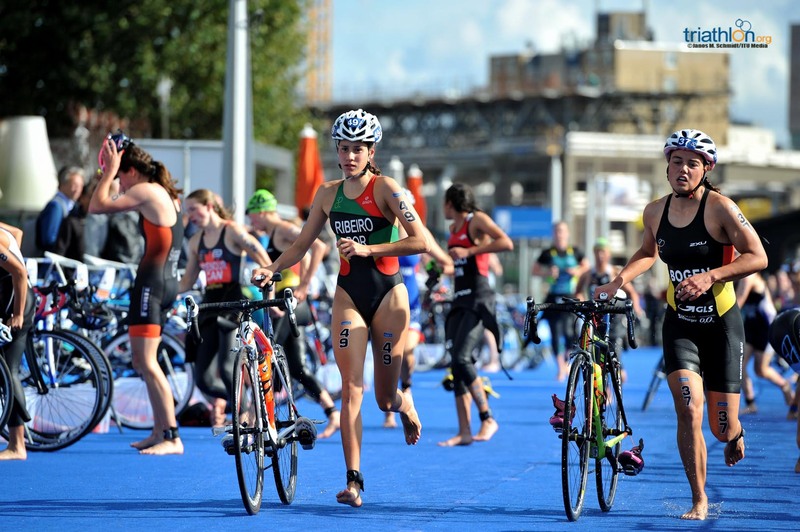 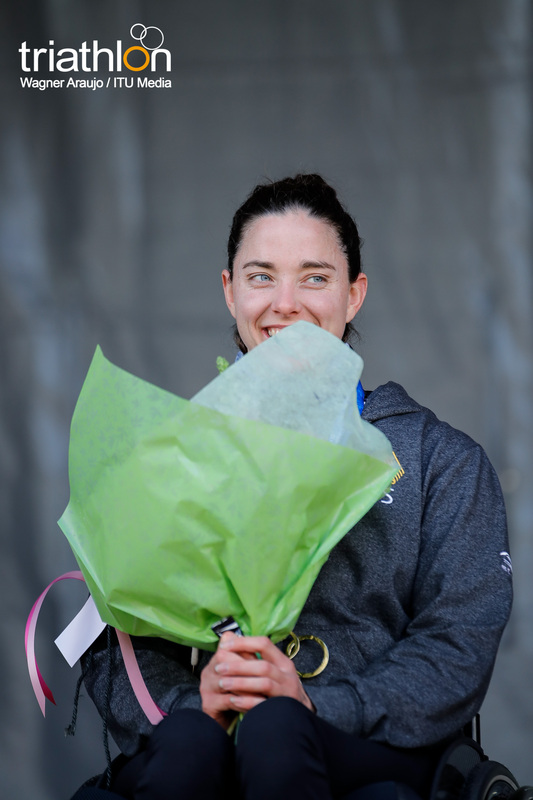 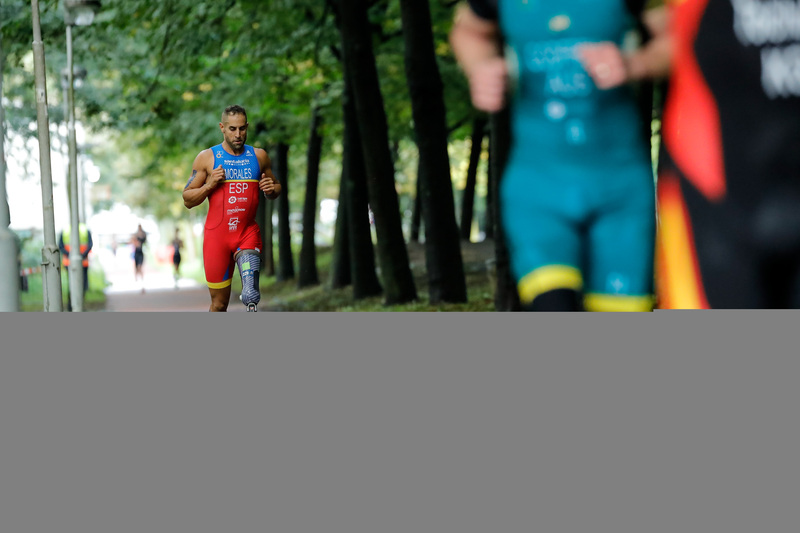 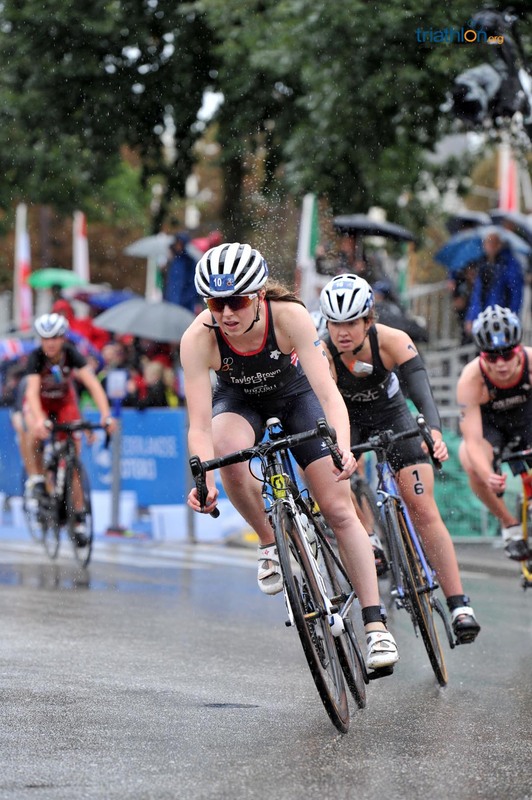 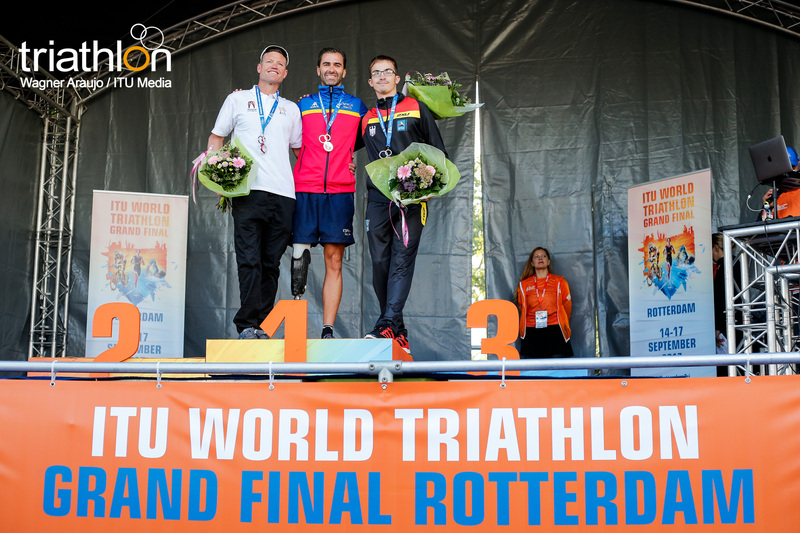 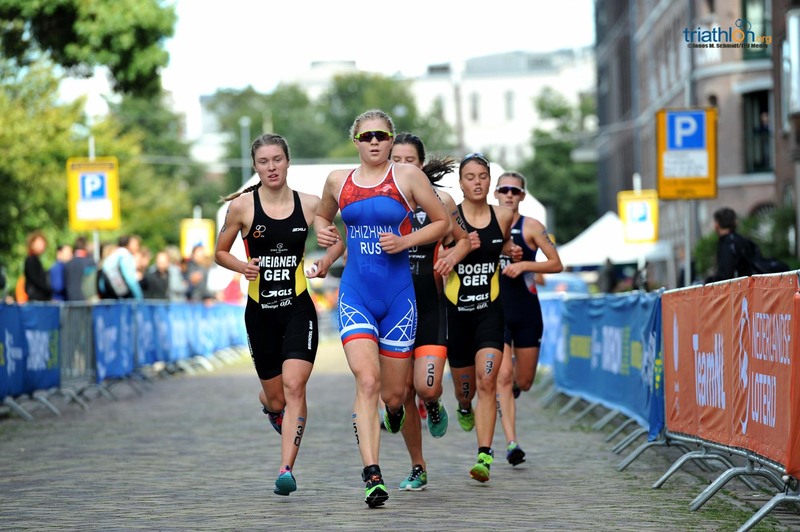 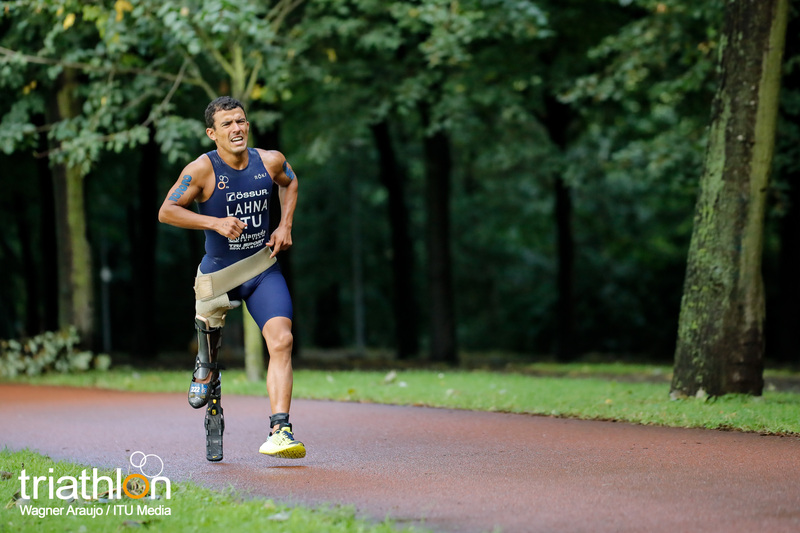 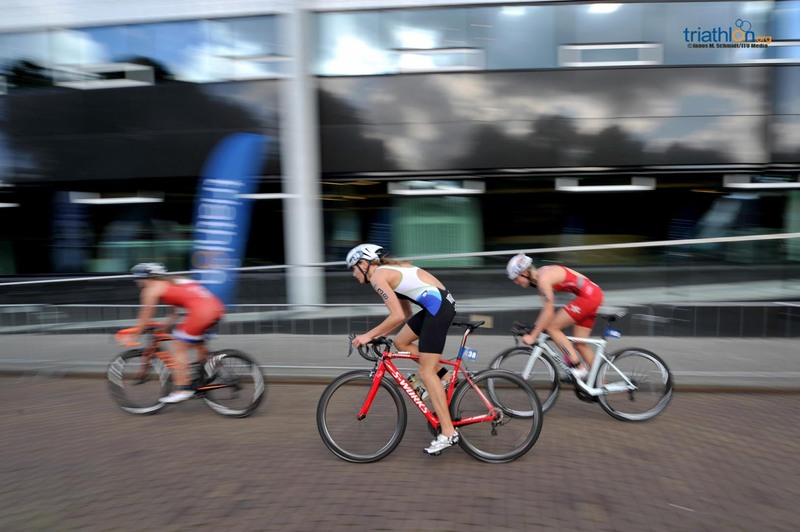 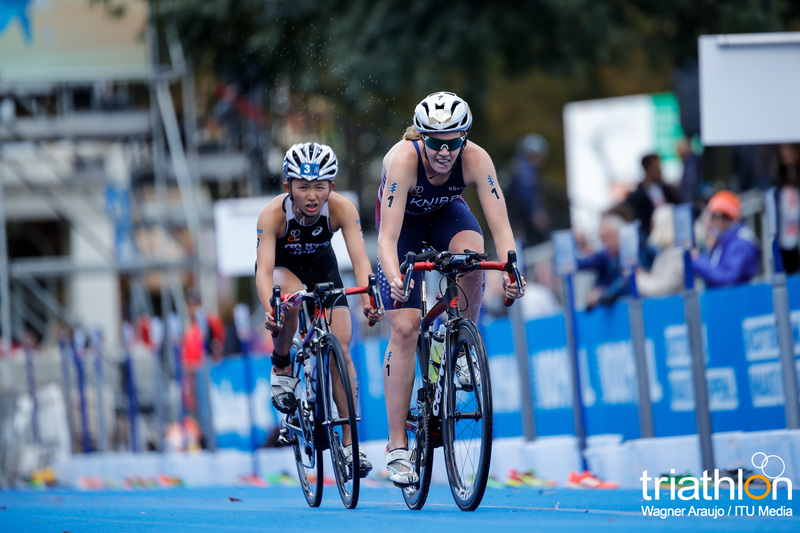 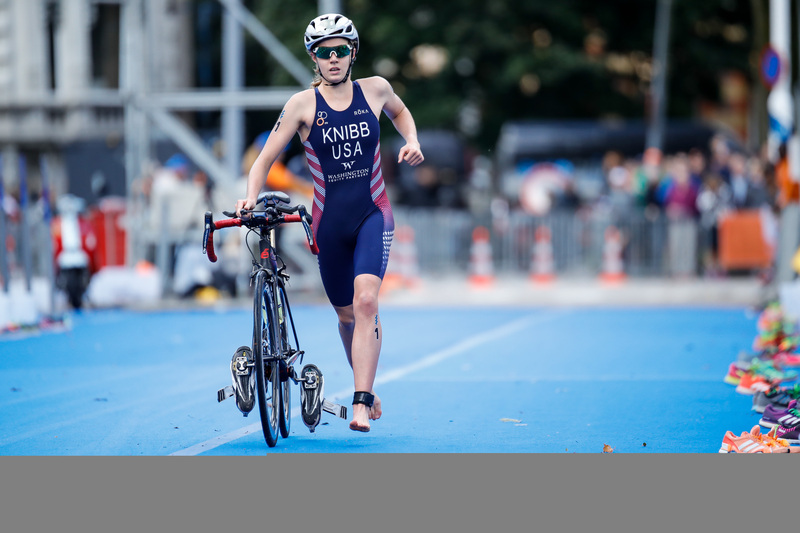 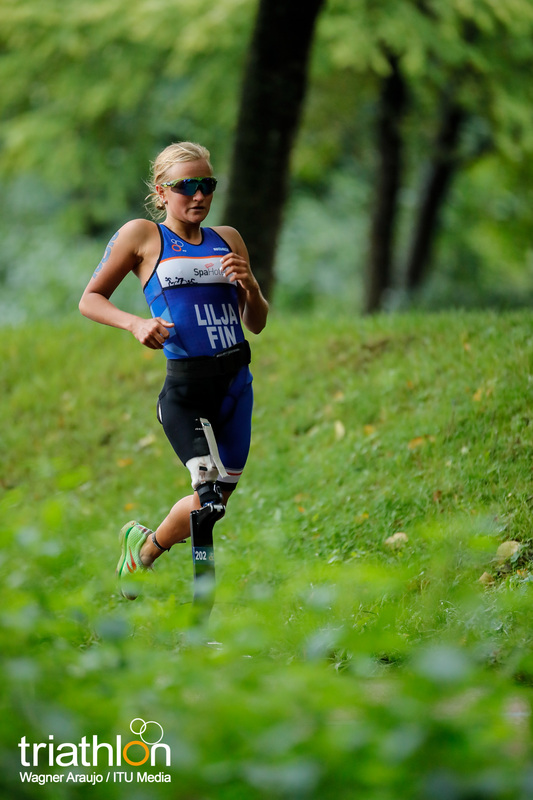 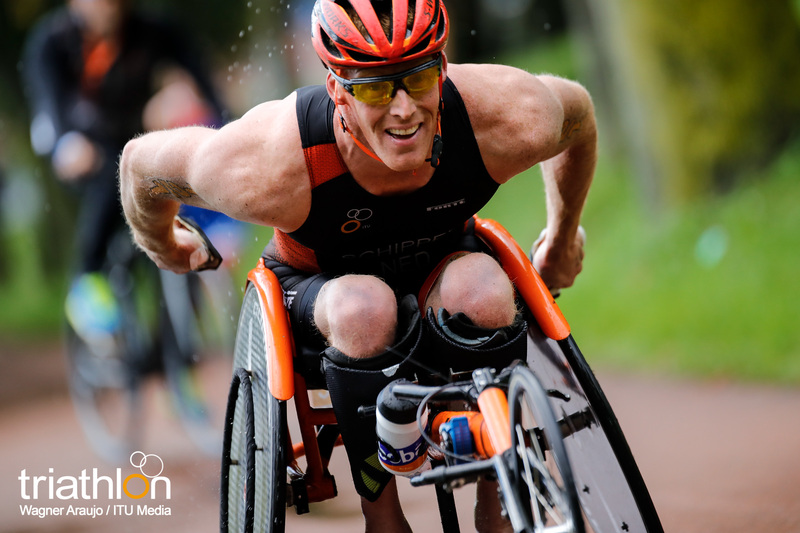 Paratriathlon, Junior women and U23 men will kick off the grand final racing on Friday, while Saturday will see Junior men, u23 and both sets of Elite toeing the line in the quest of world honours. 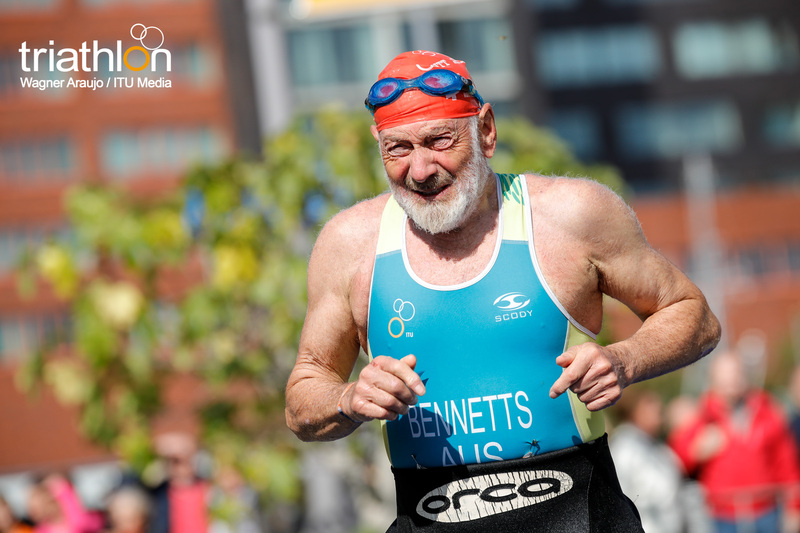 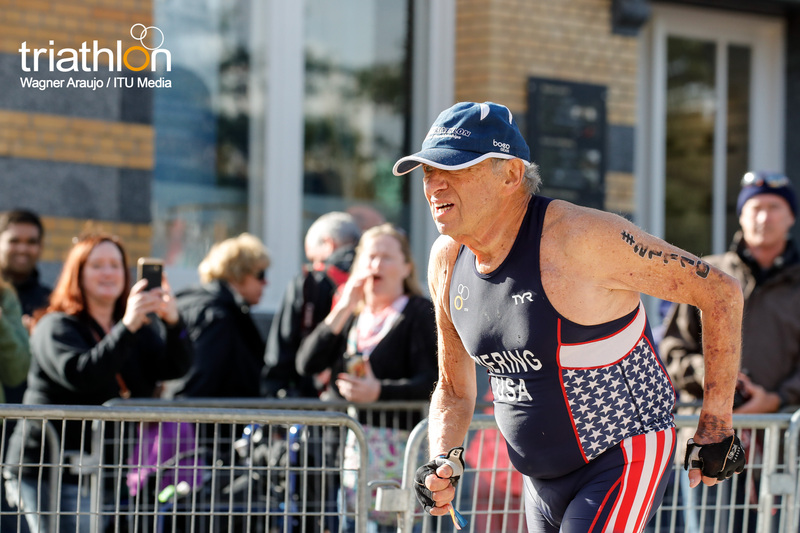 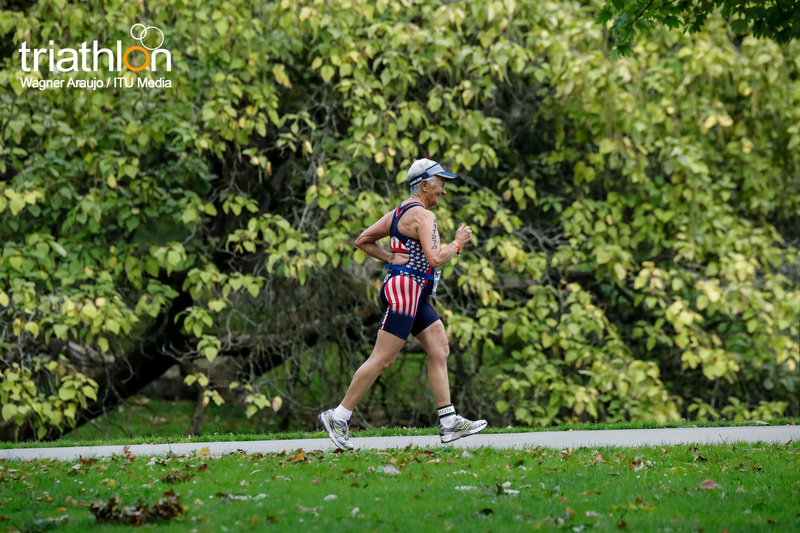 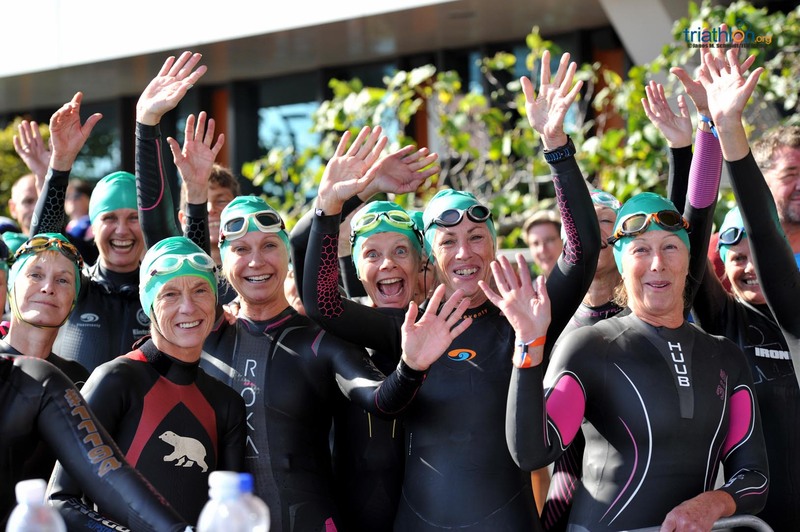 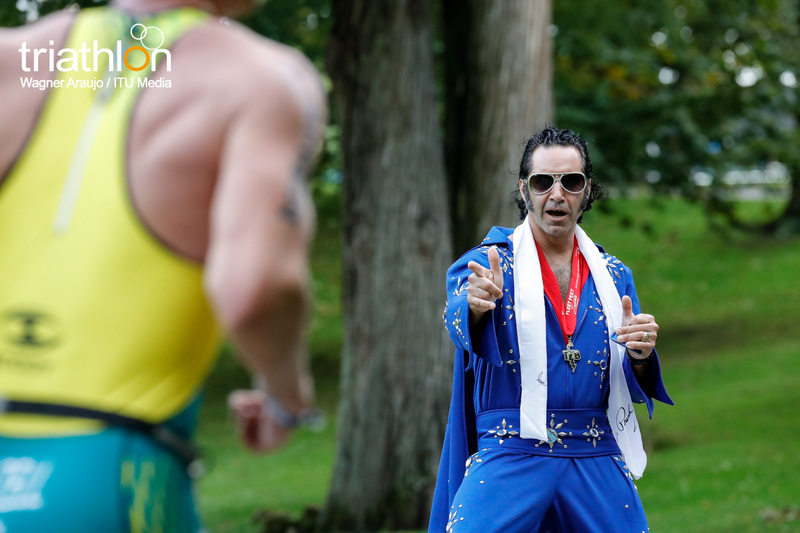 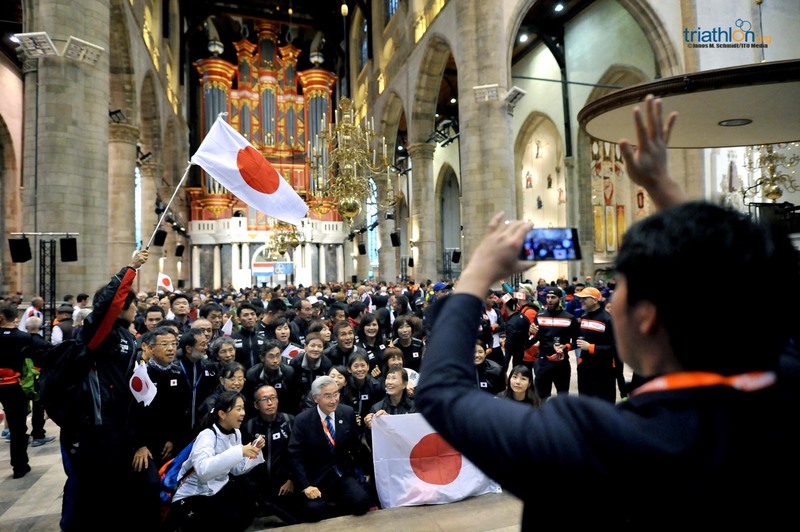 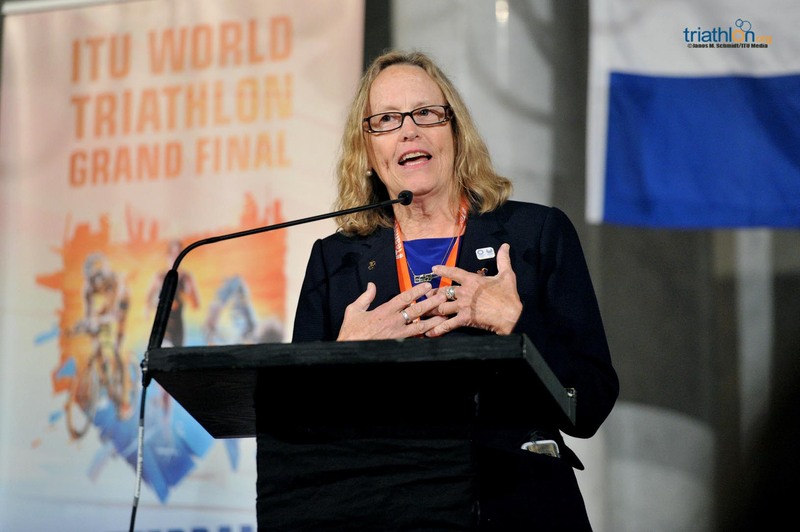 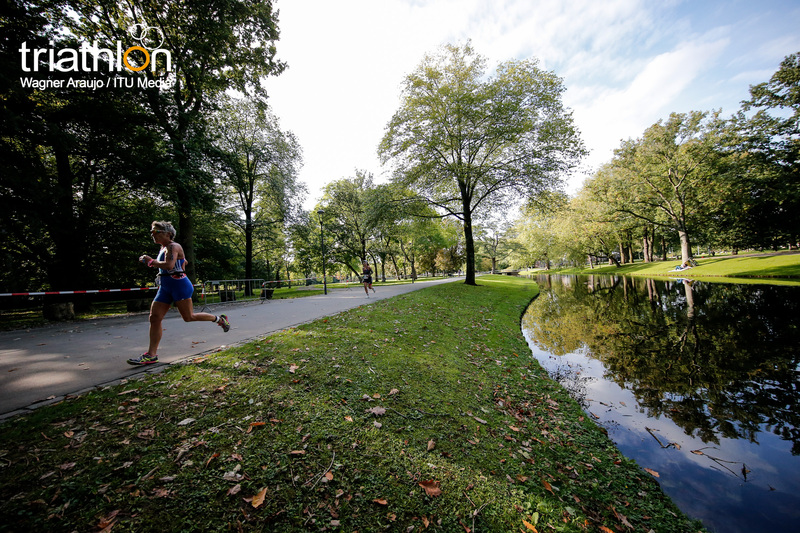 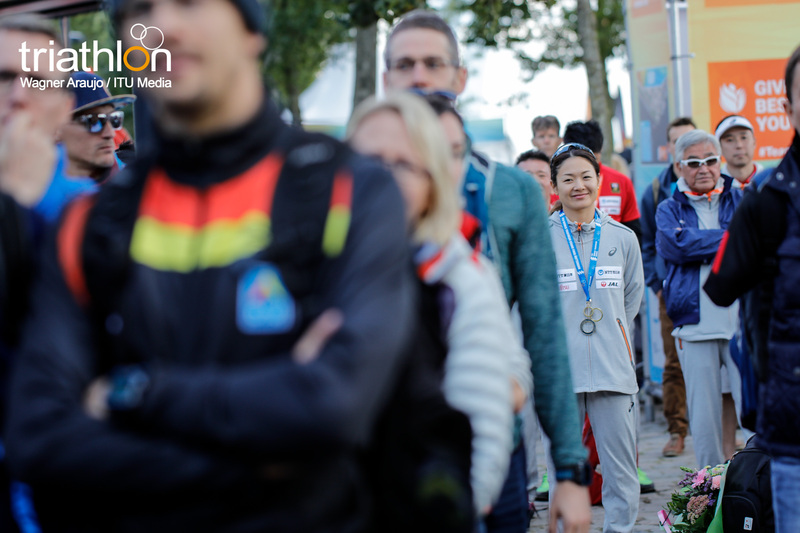 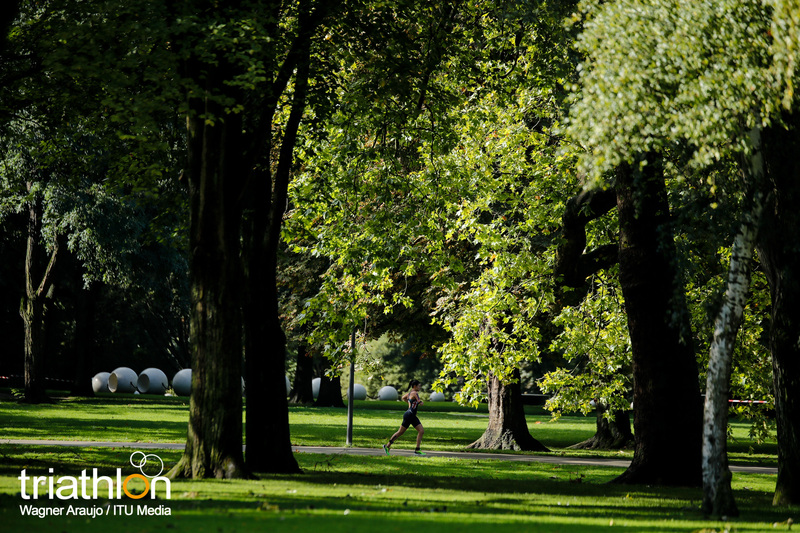 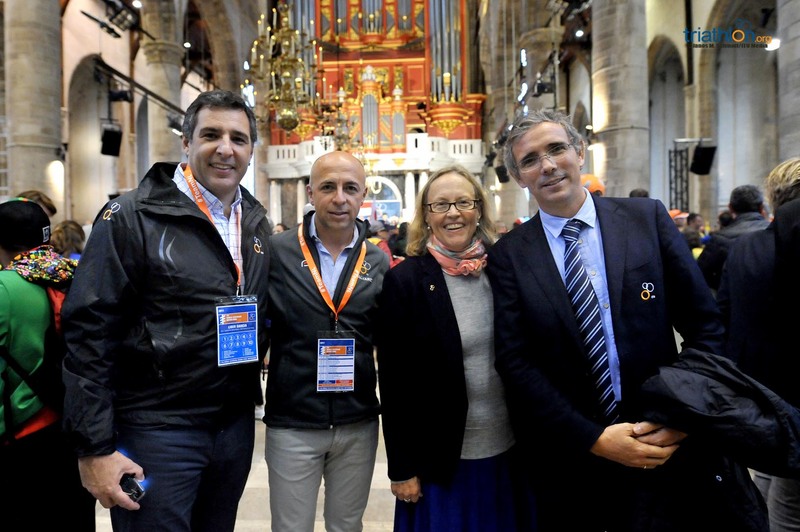 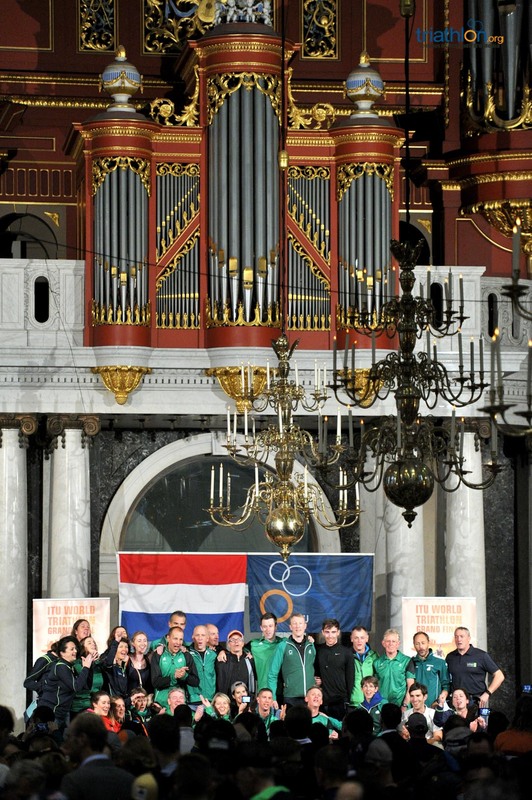 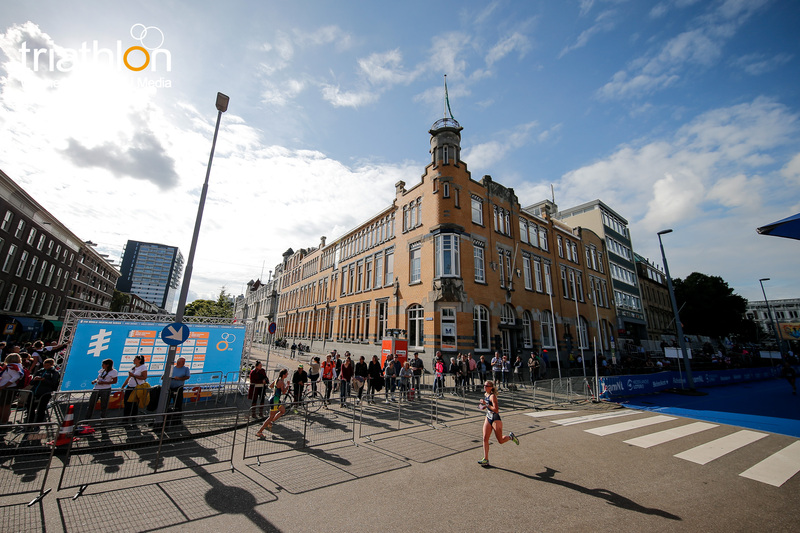 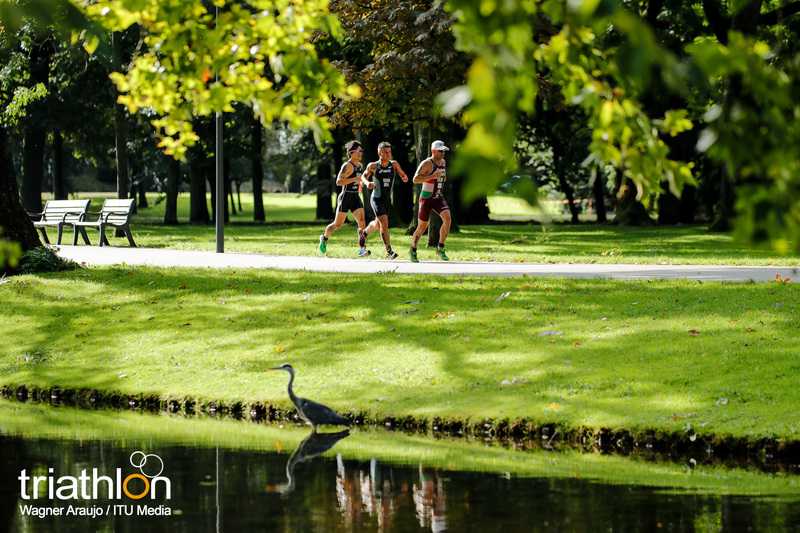 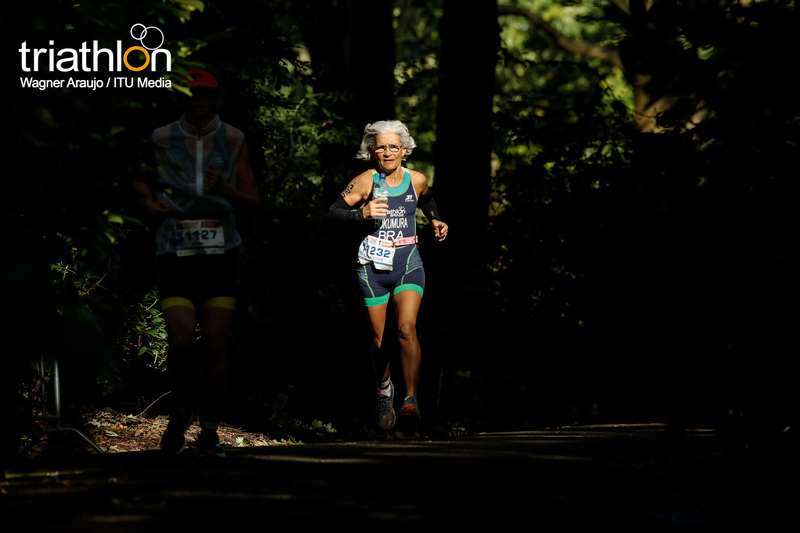 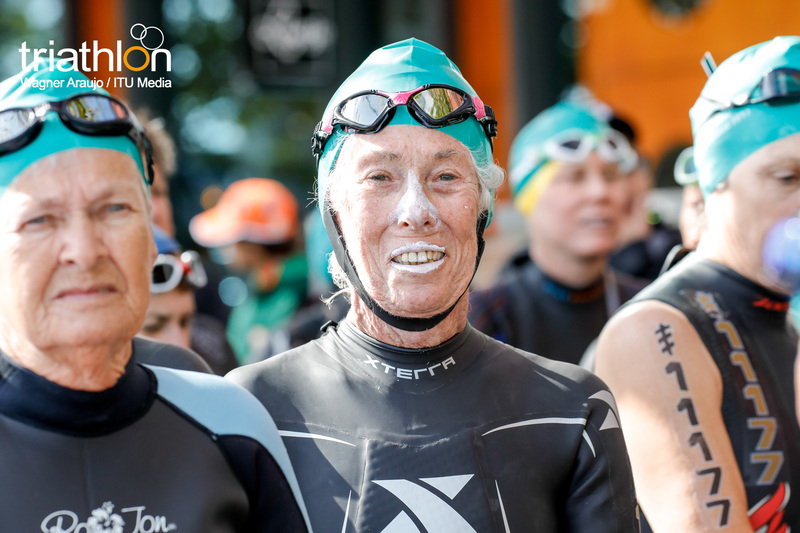 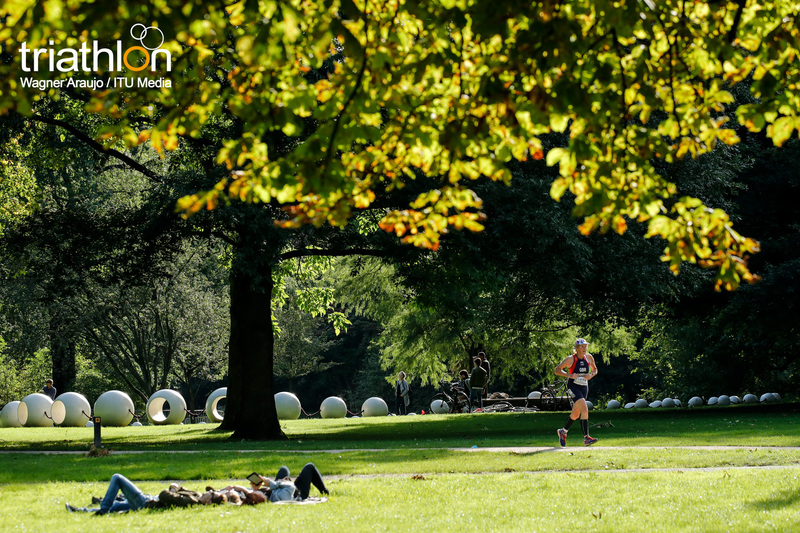 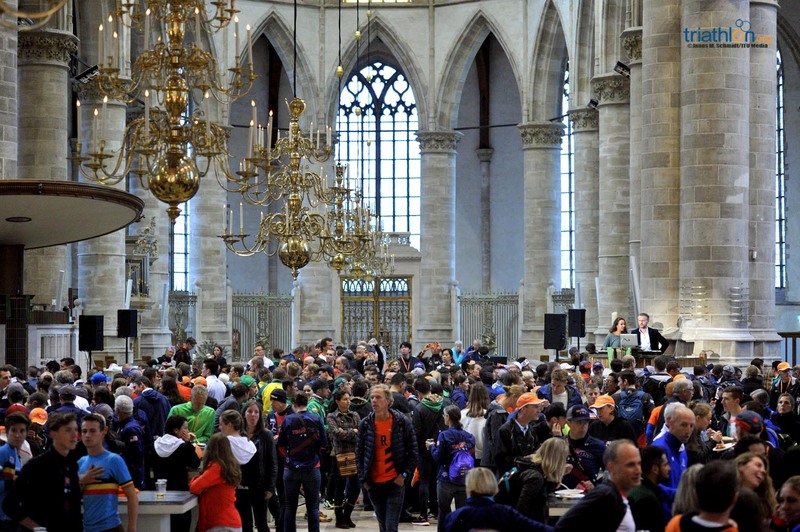 Sunday will then be left to the timeless age group athletes, who marvel from 78 nations to compete in the standard and sprint distance courses. 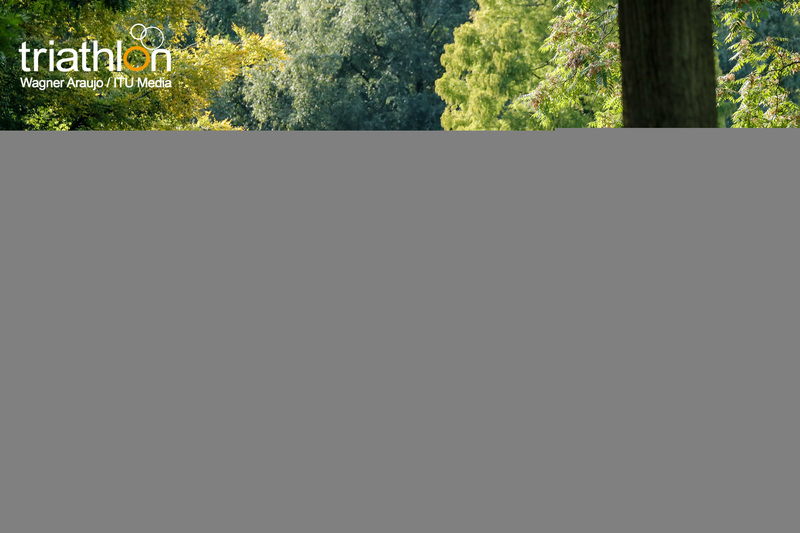 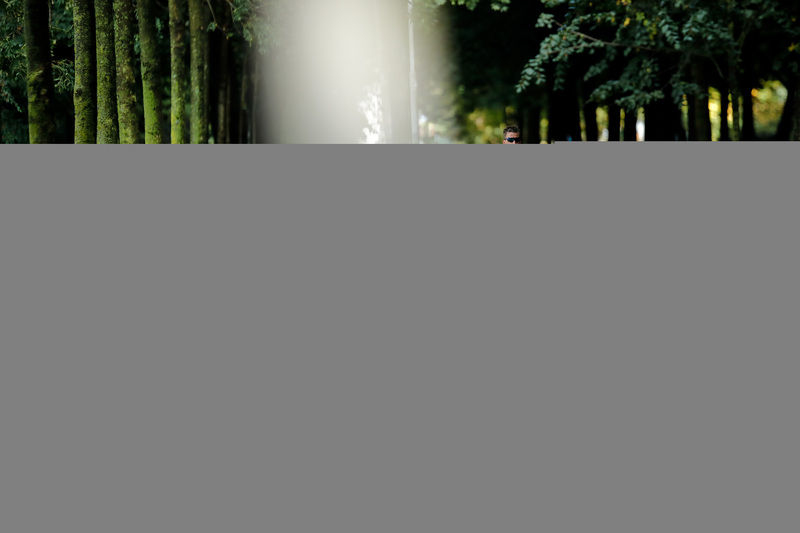 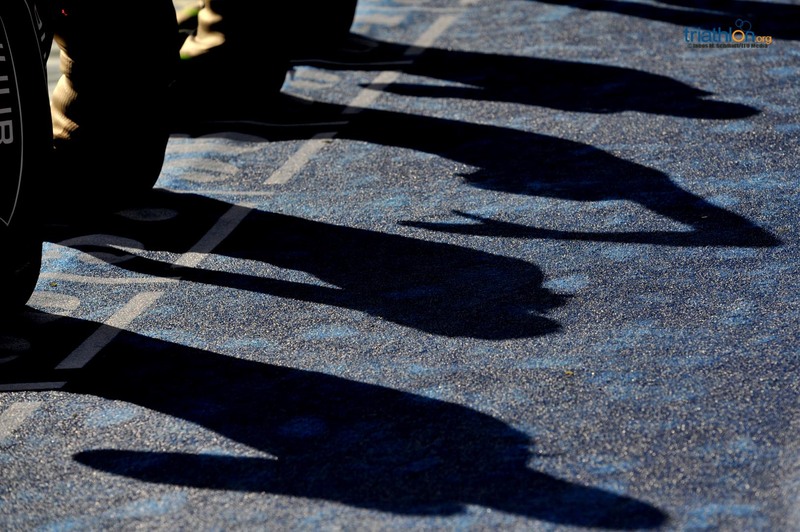 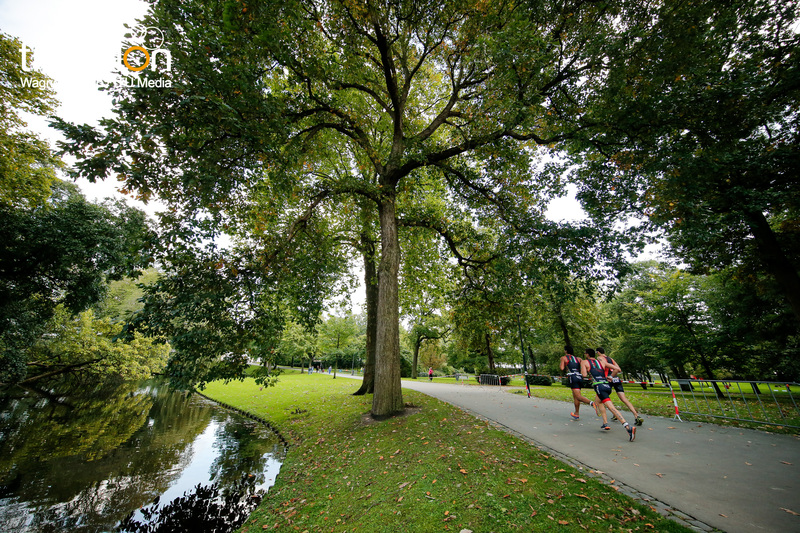 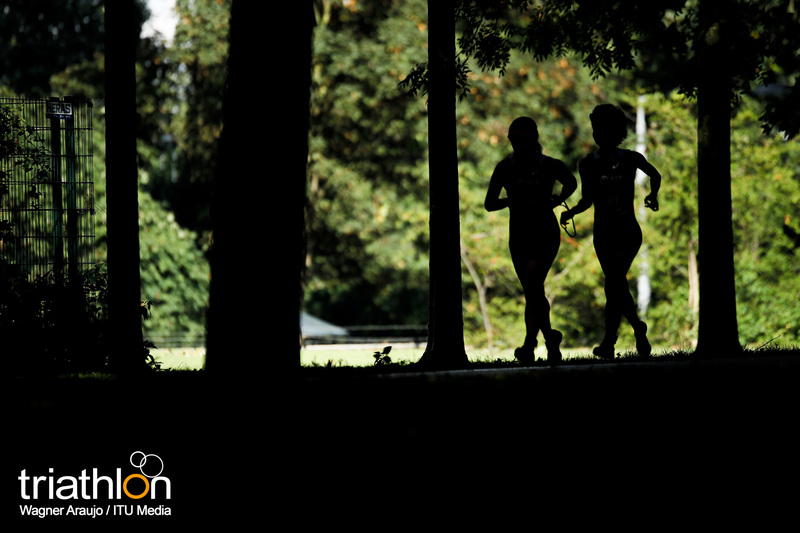 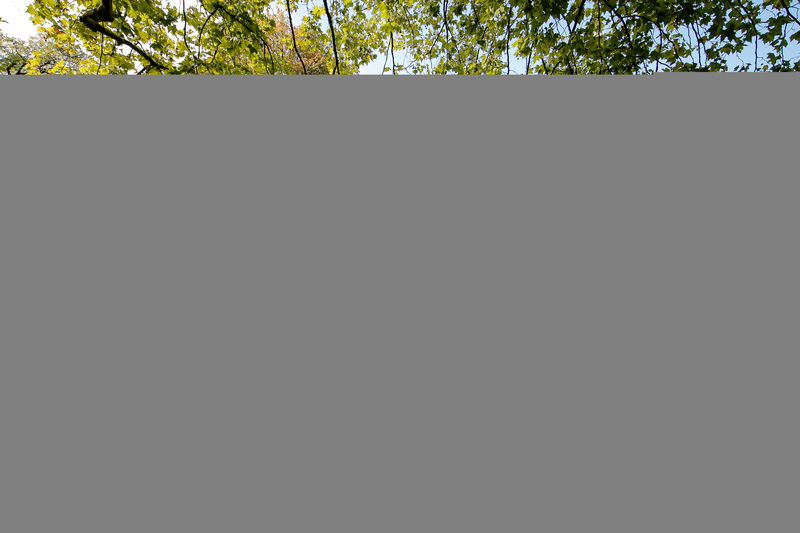 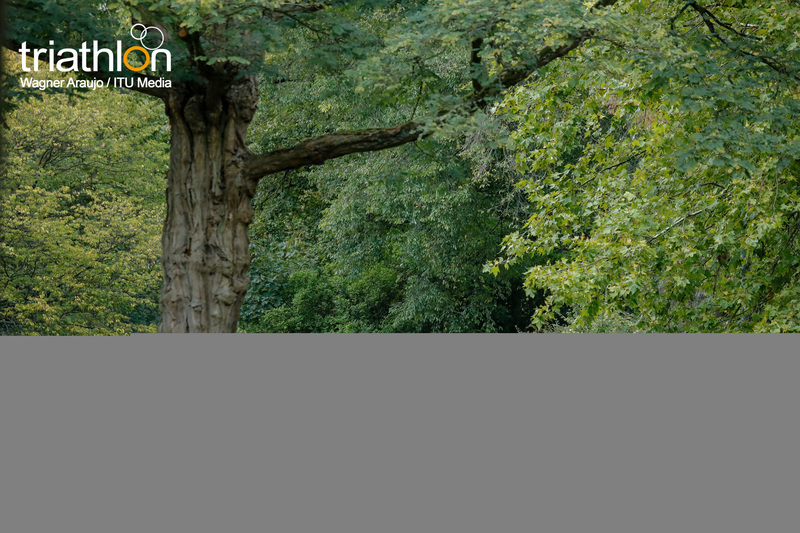 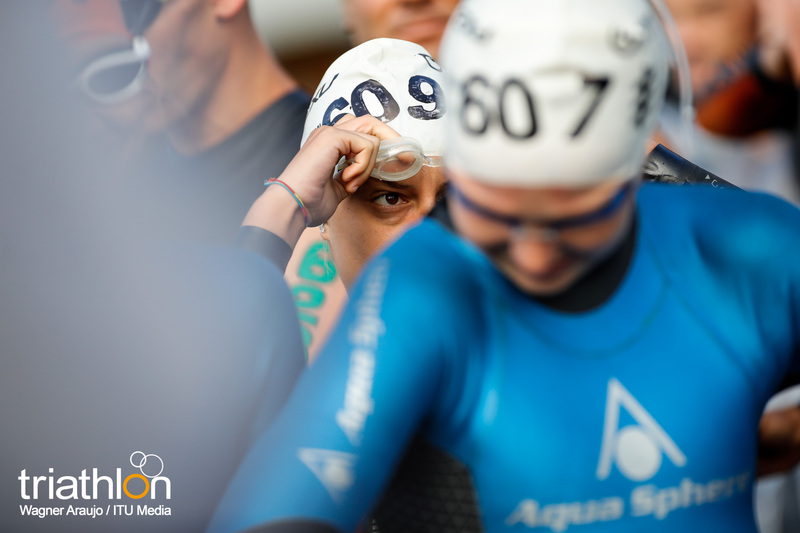 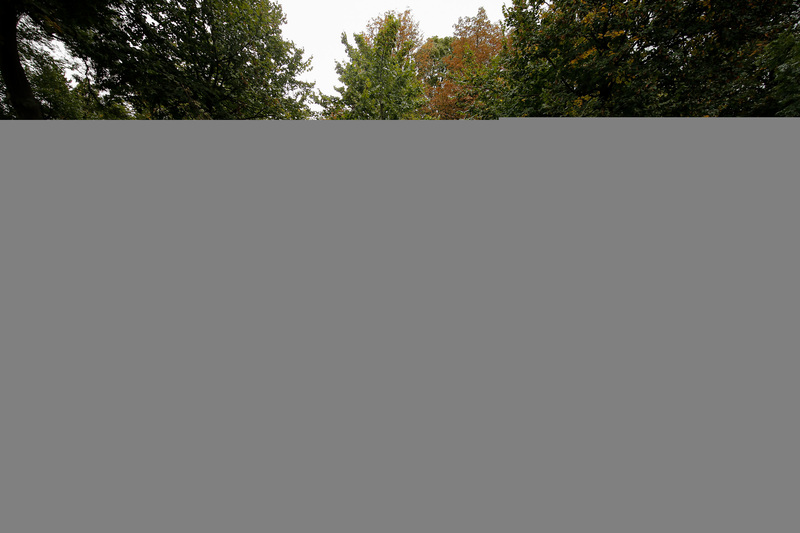 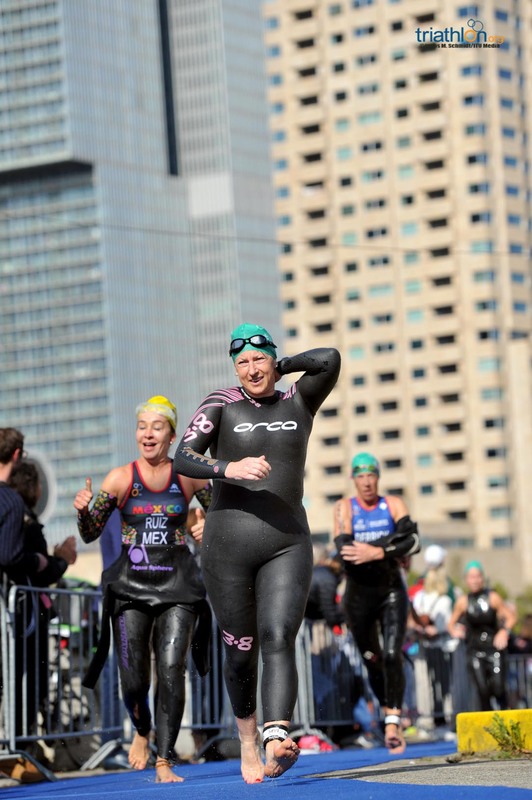 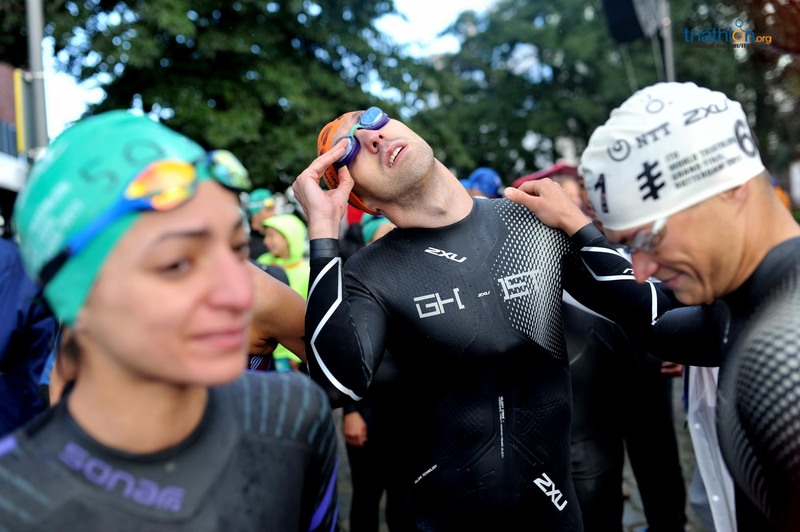 On how do you see yourself before the race? 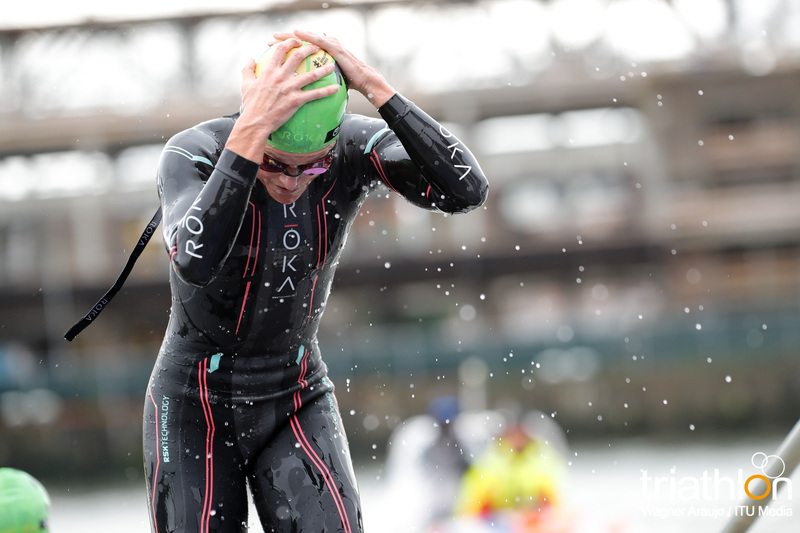 “I hope my form is still there. 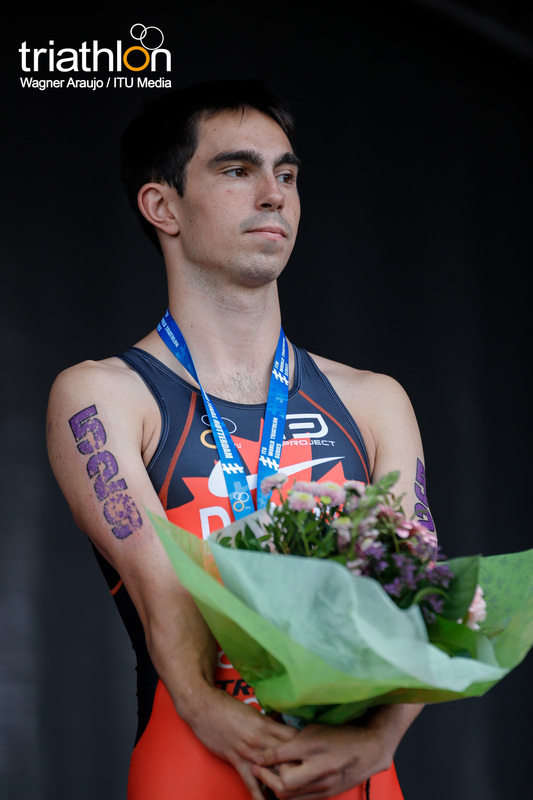 I feel really good. 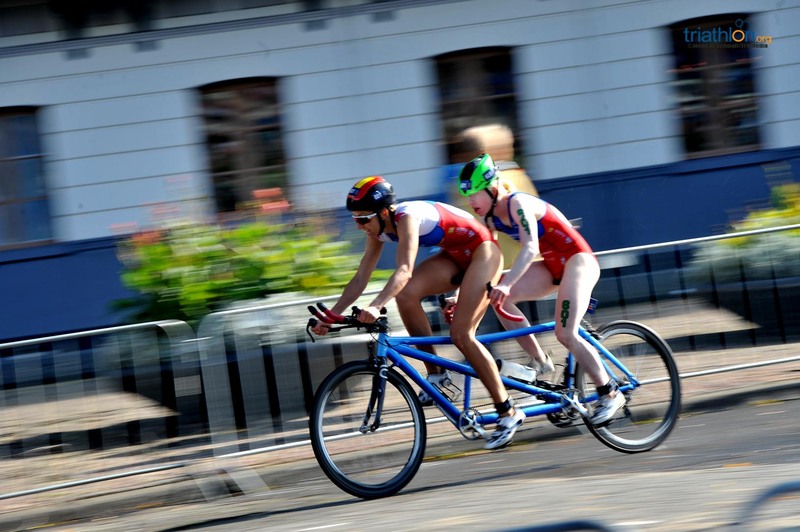 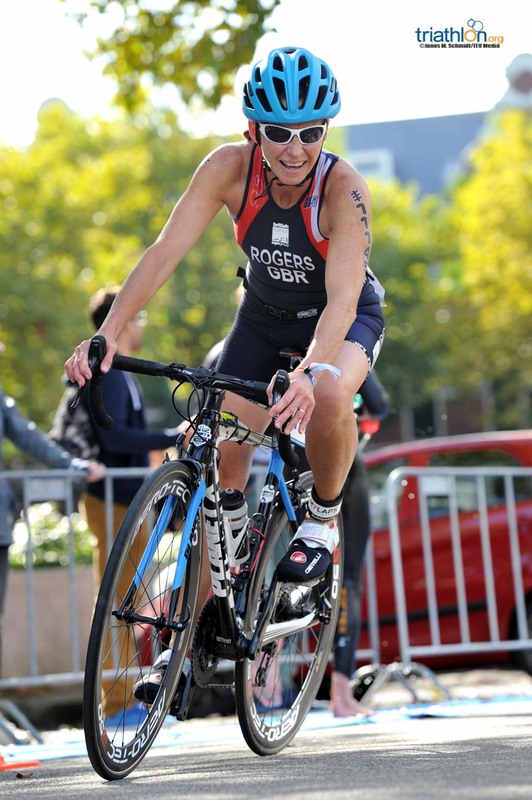 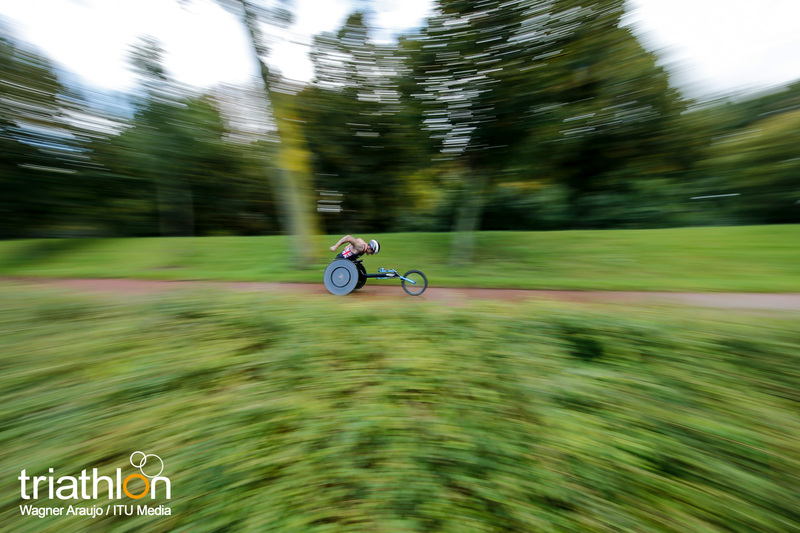 I raced two weeks ago in South Africa in the Para Cycling World Championships, so I’m confident”. 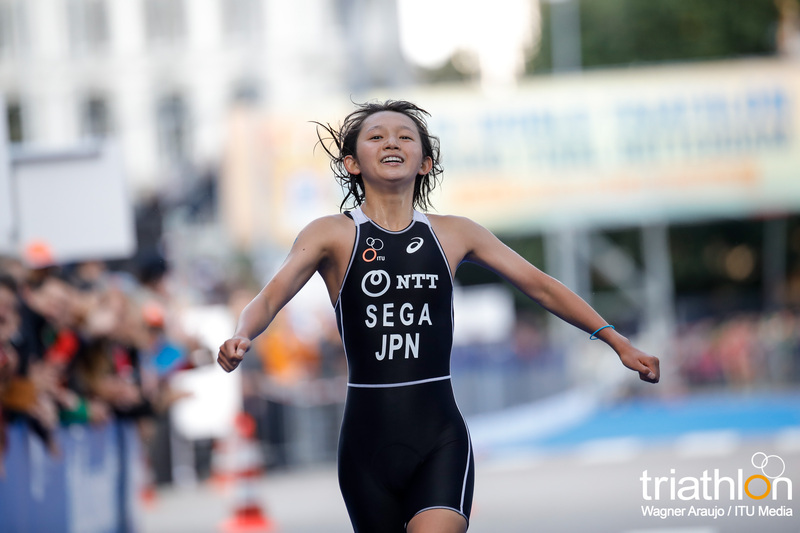 “I feel great. 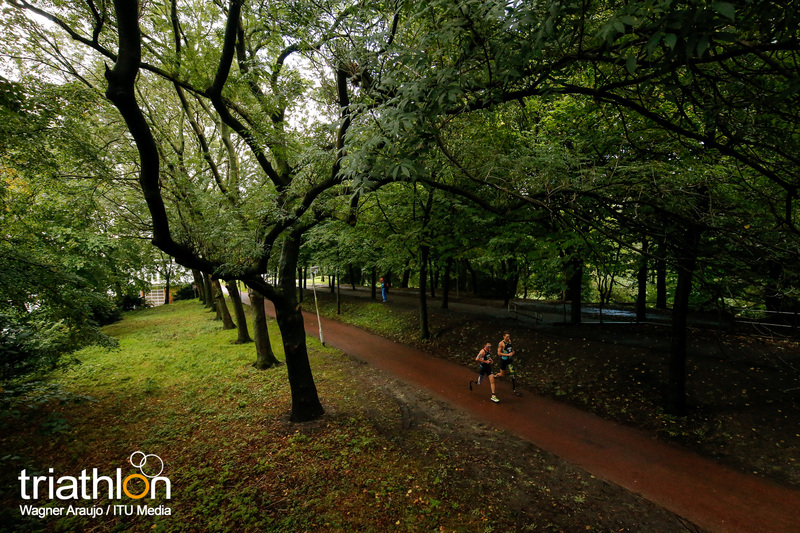 Hopefully the weather is gonna be a bit better so we will have plenty of people on the course. 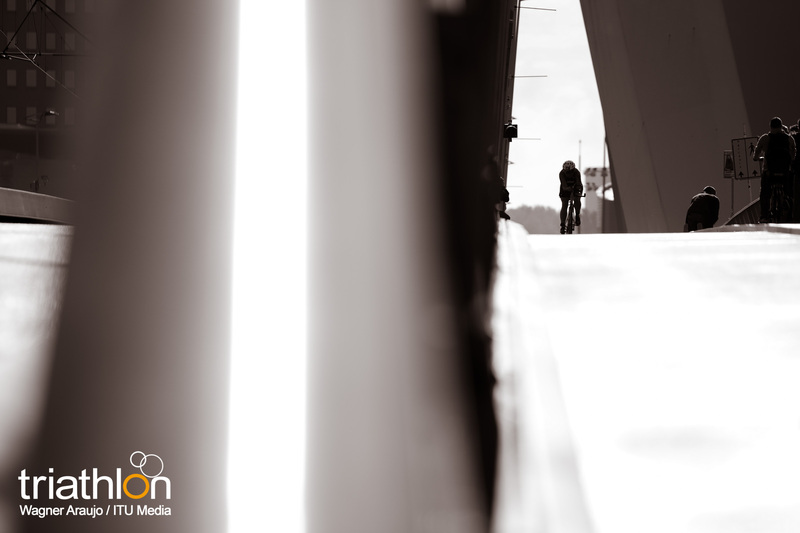 It’s gonna be very special? 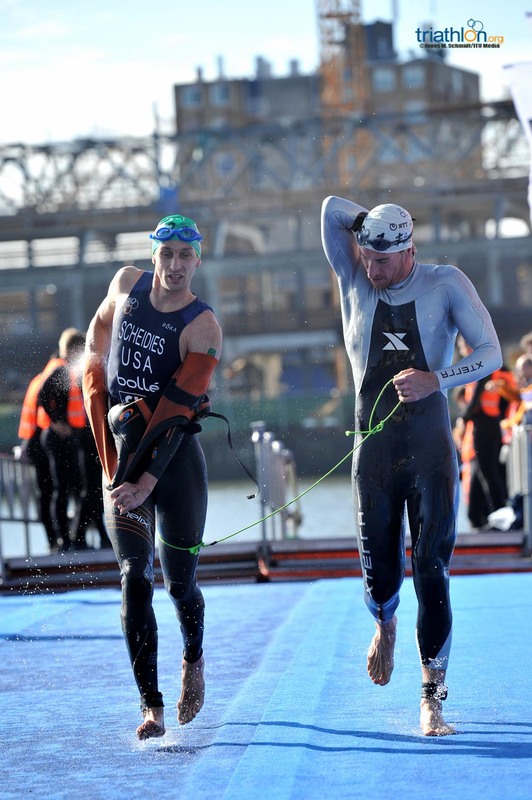 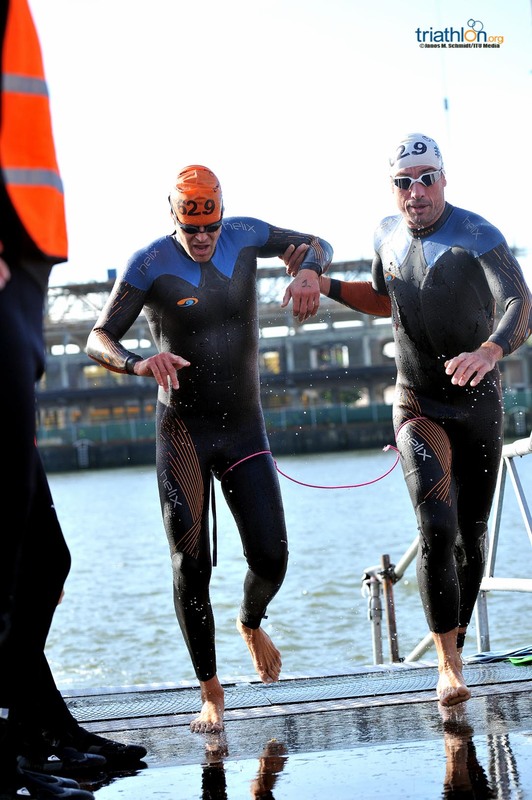 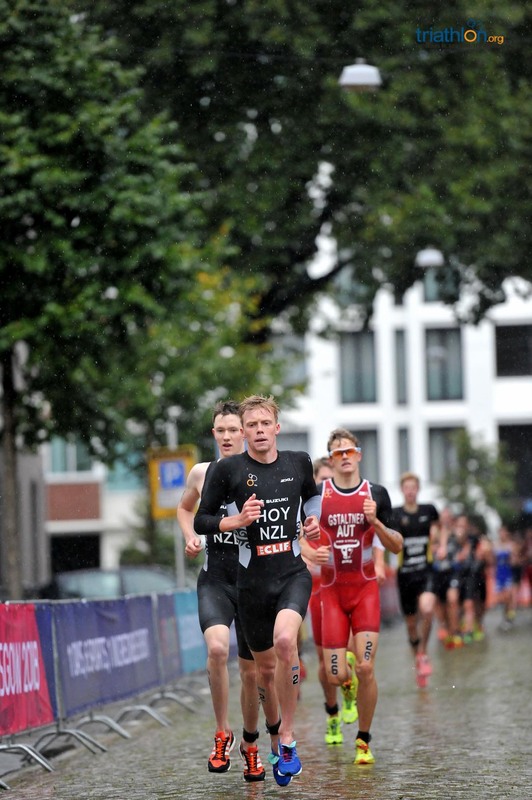 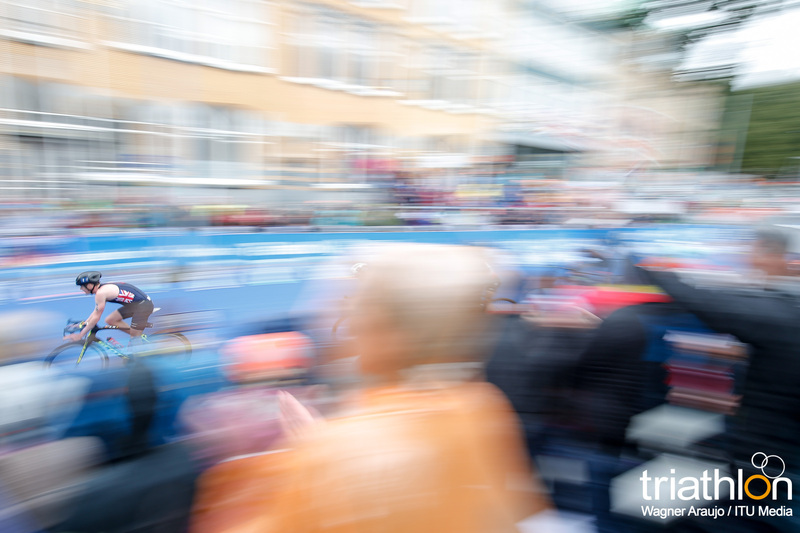 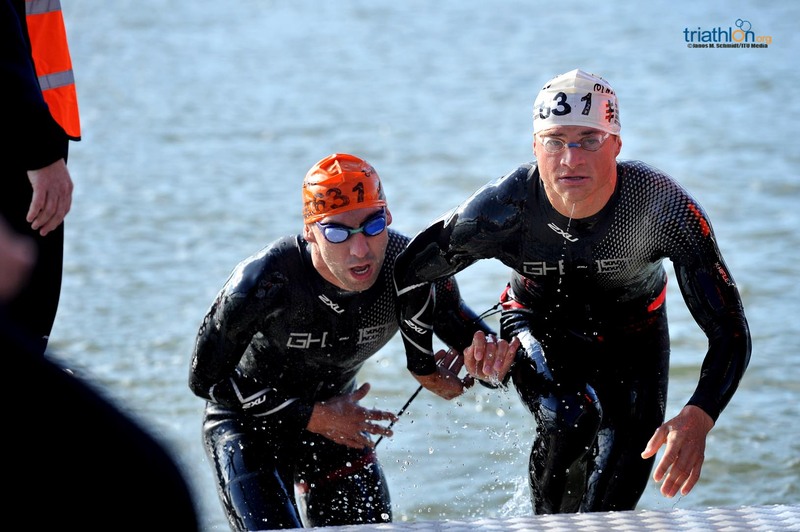 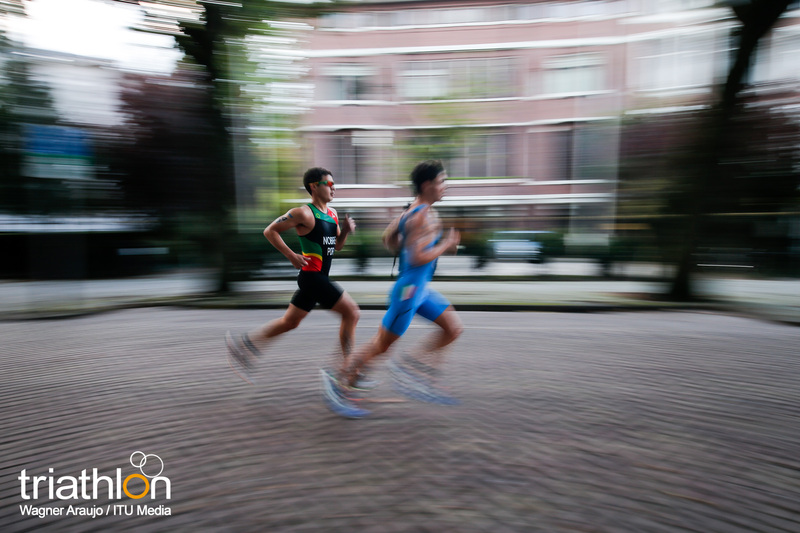 “I will focuss on my own race, but at the end this guy (pointing to Geert Schiper) is also very strong. 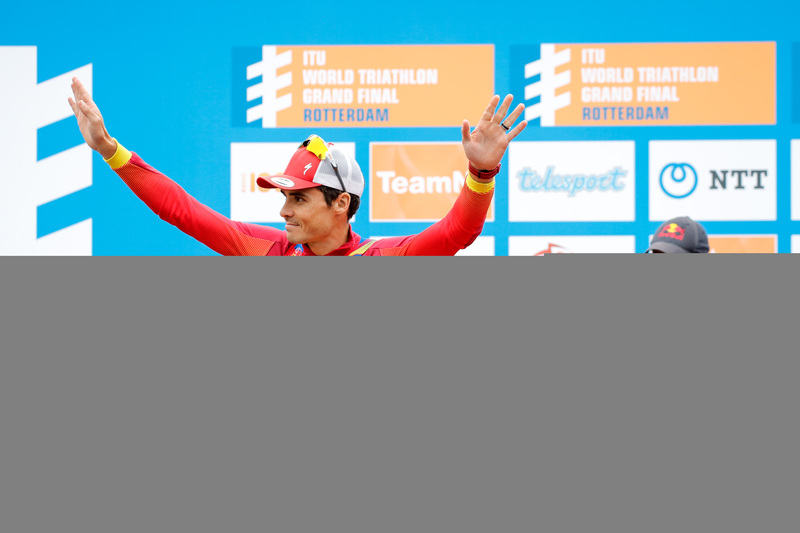 I hope that we can get the first two spots on the podium”. 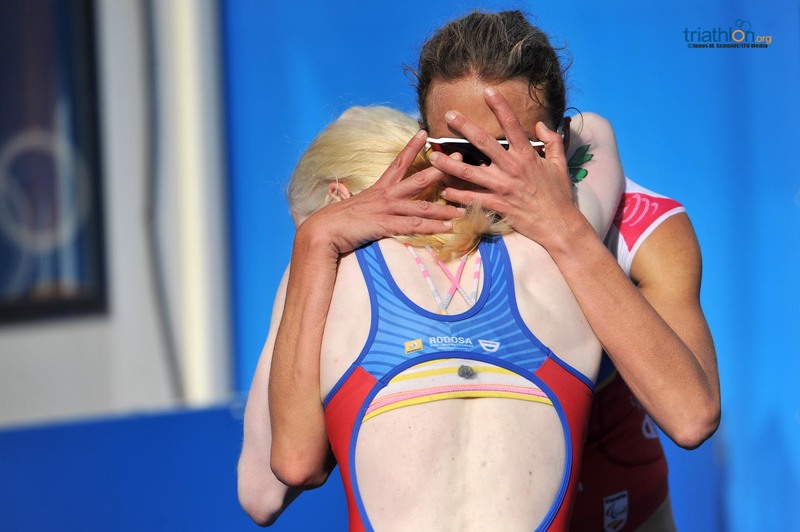 “We have a good program, and we are lucky that we compete for the same country”. 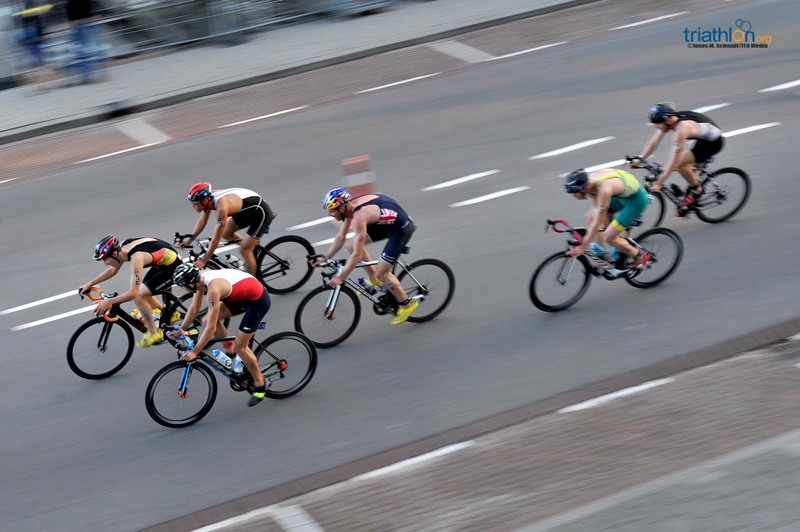 “I really hope I win the race. 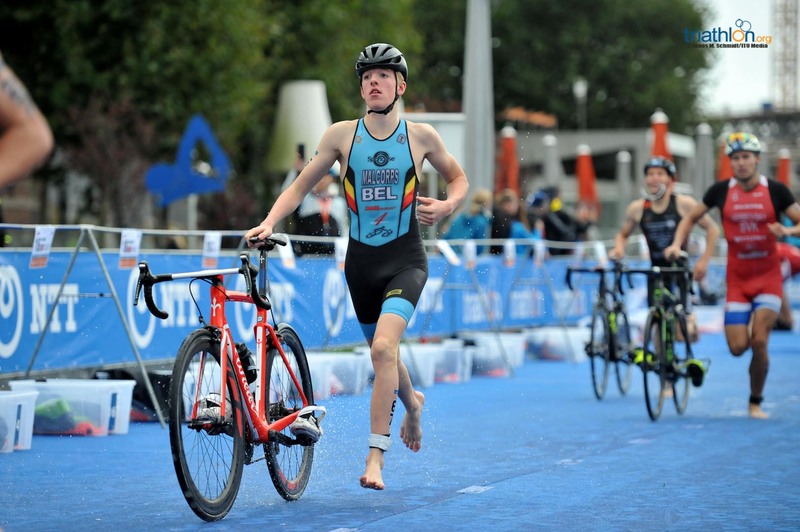 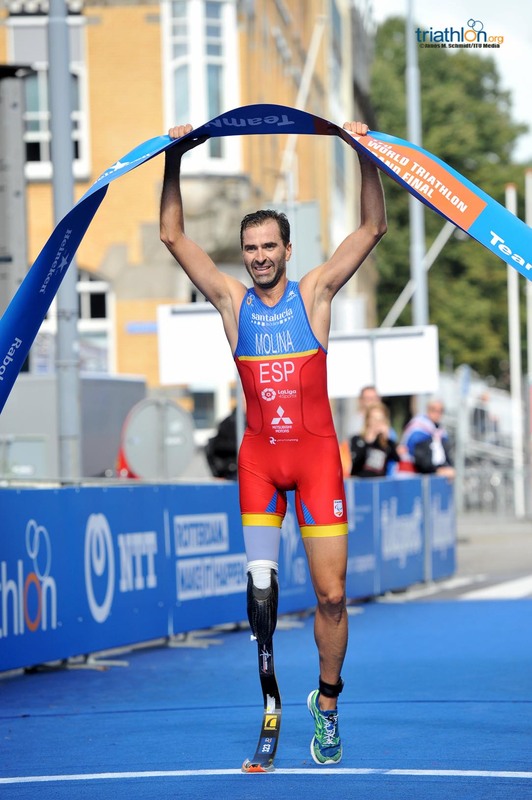 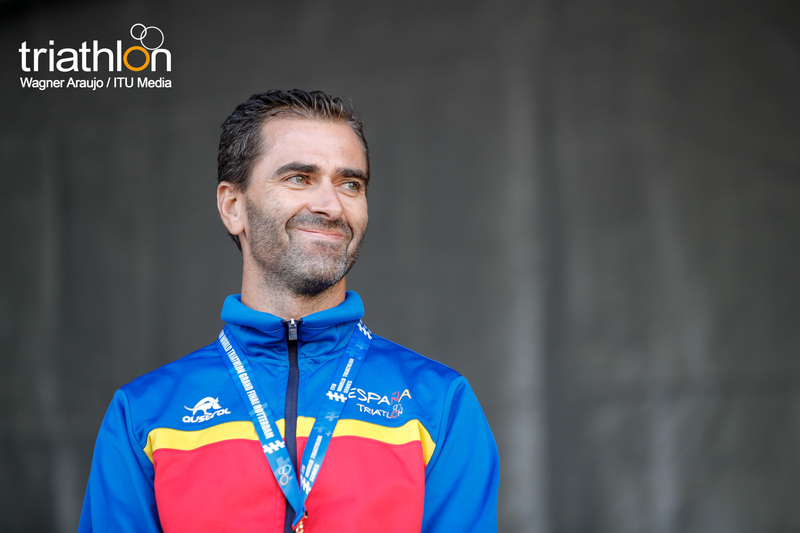 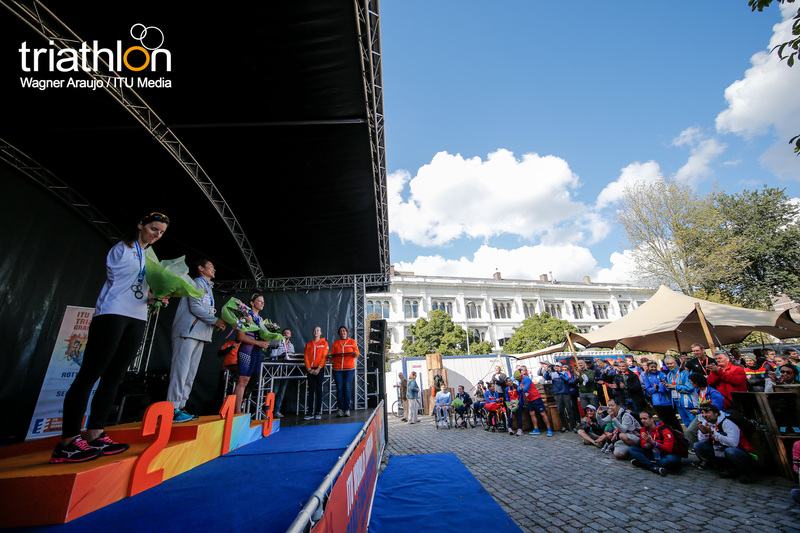 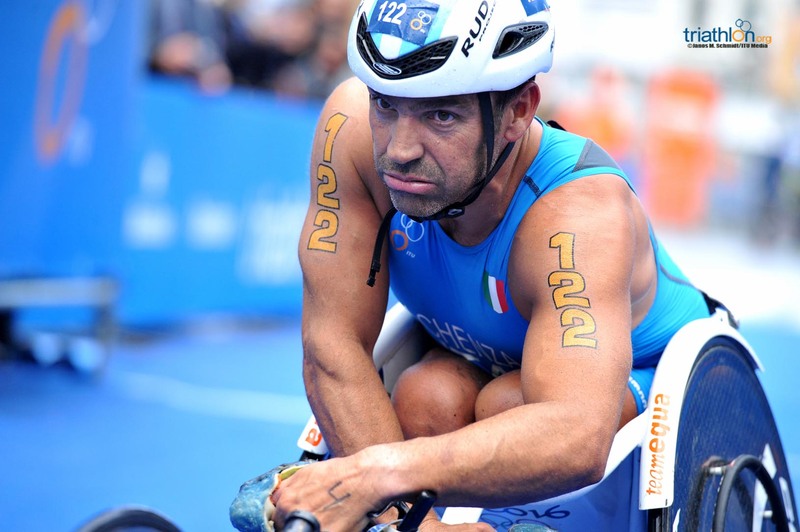 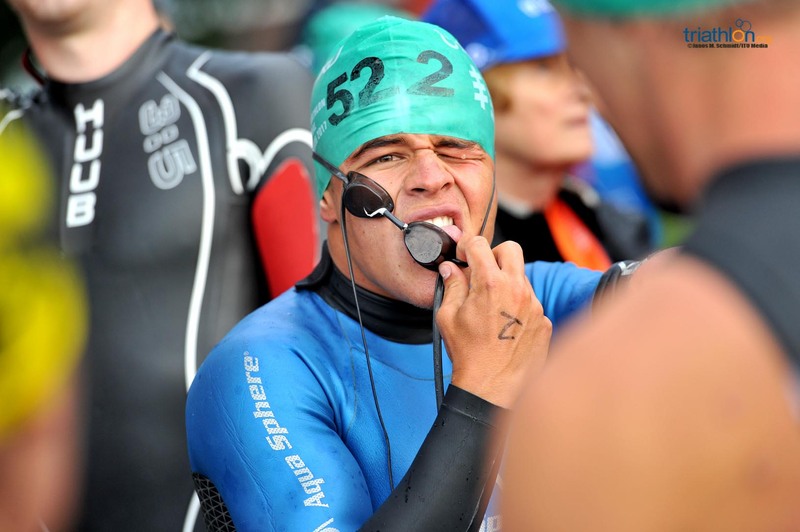 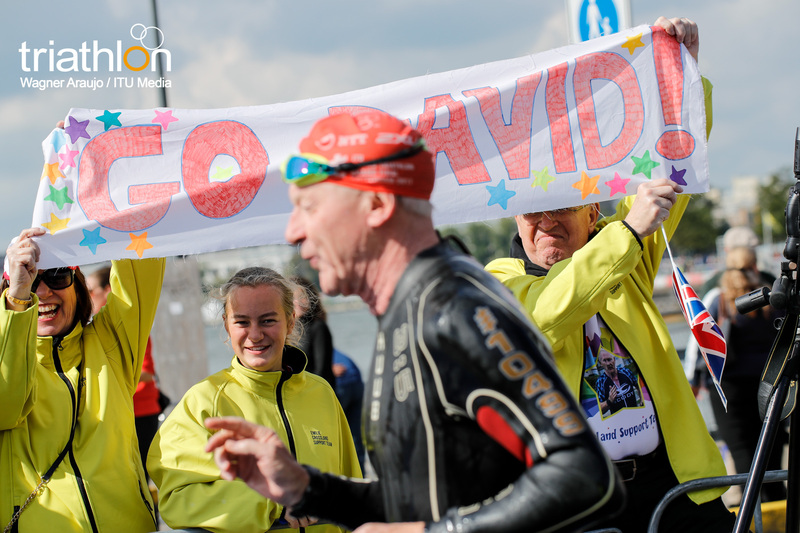 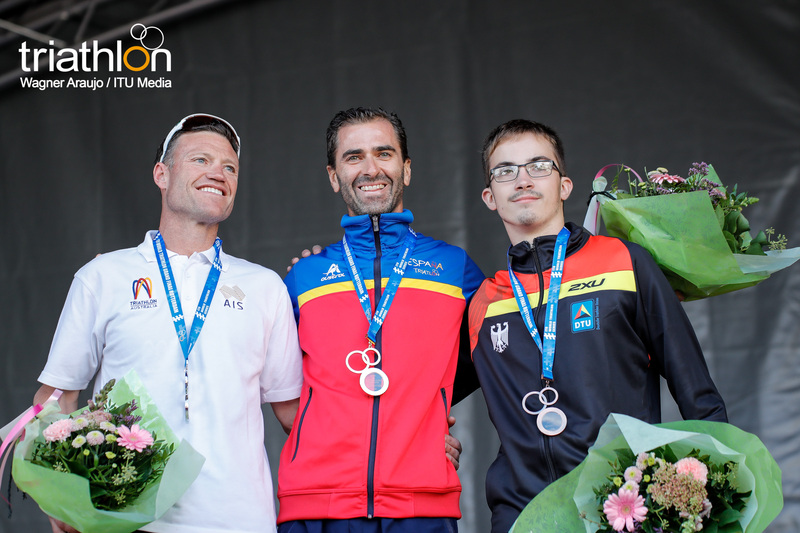 That’s my first goal, but I’m realistic and I know that Jetze can swim really fast, can bike really well –he won a World Title in para cycling a few weeks ago- and is also very fast on the run. 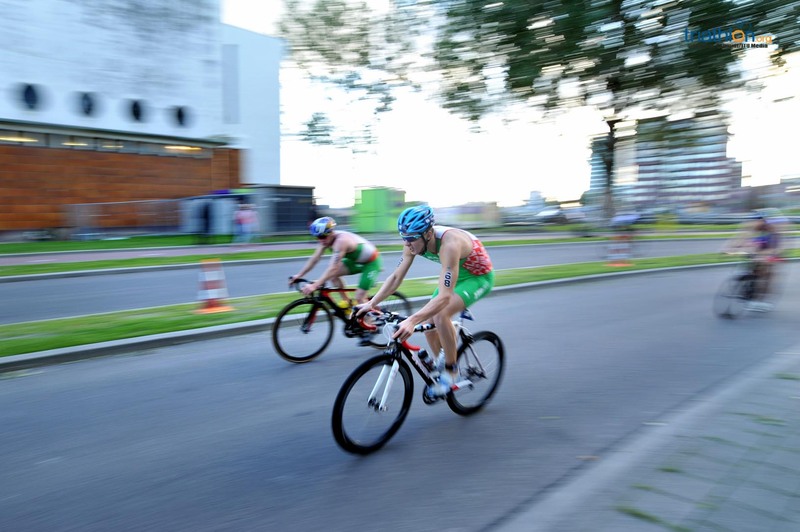 So I will go for the gold, but I can take silver”. 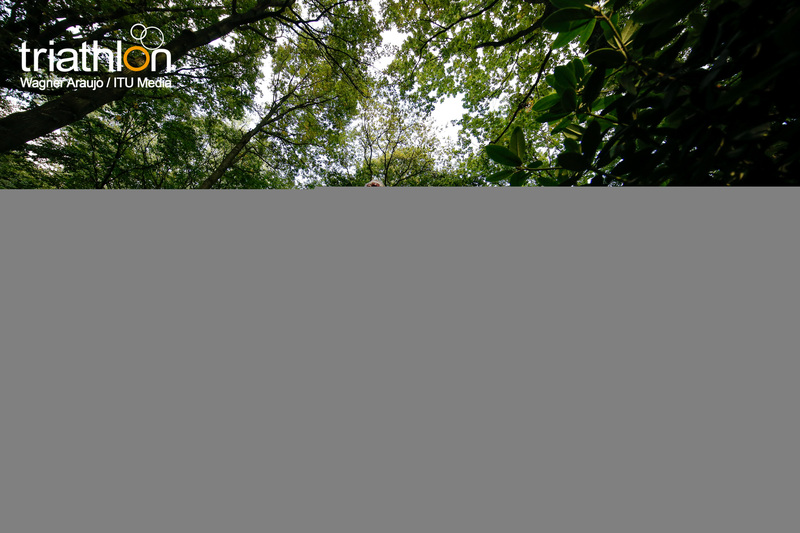 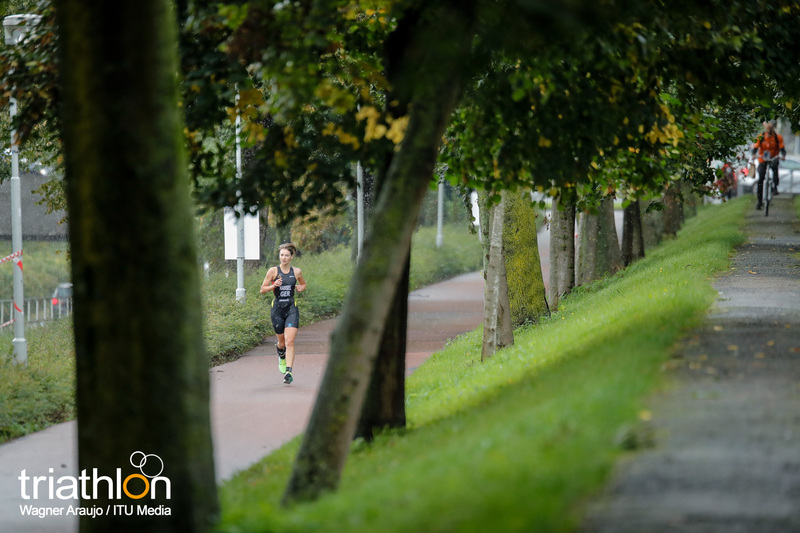 On the conditions of the course. 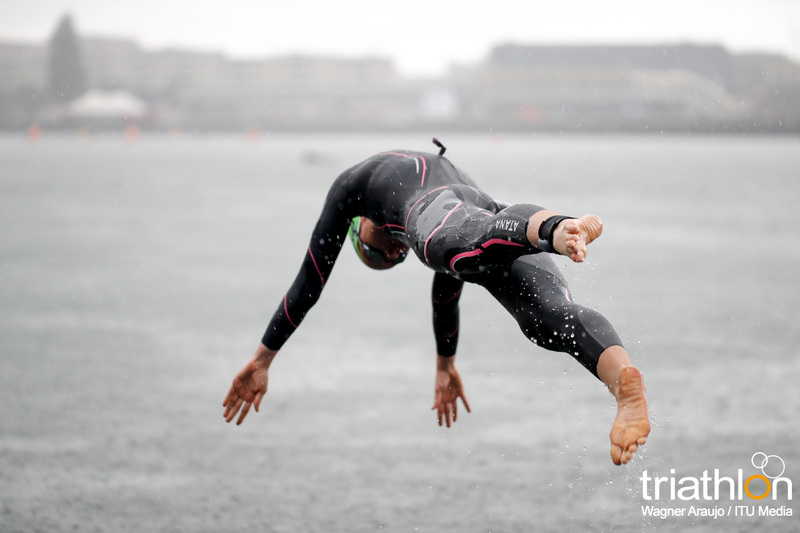 “I think those conditions suit Jetze a bit more. 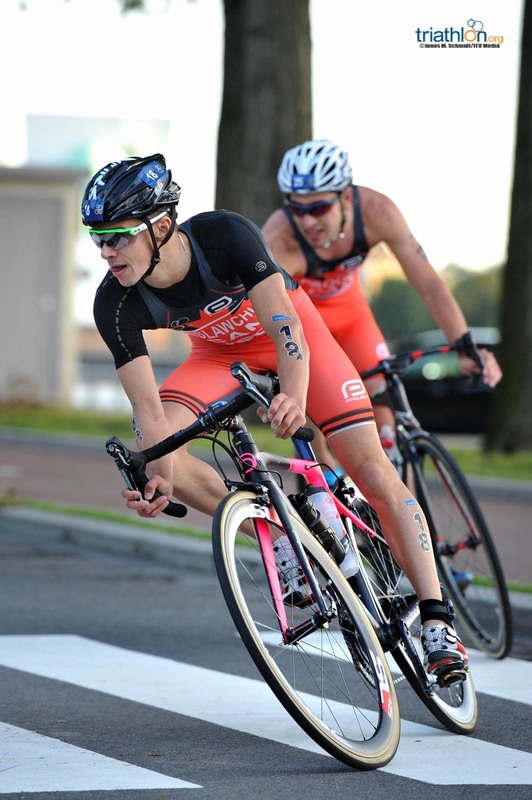 We both have very strong and light bikes but I think he is more a speed guy while I’m more consistent but not as fast”. 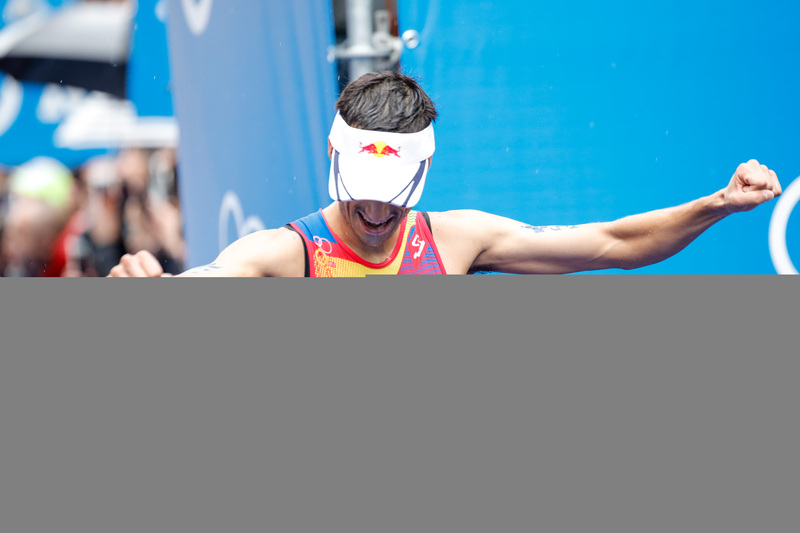 “Of course being the World Champions adds a bit of pressure, but I will try my best and see what I can do. 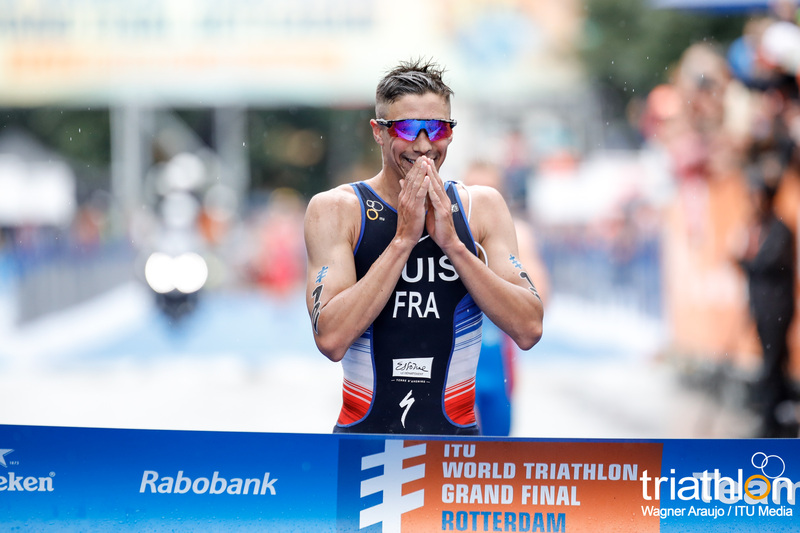 I feel good, I trained well… we will see”. 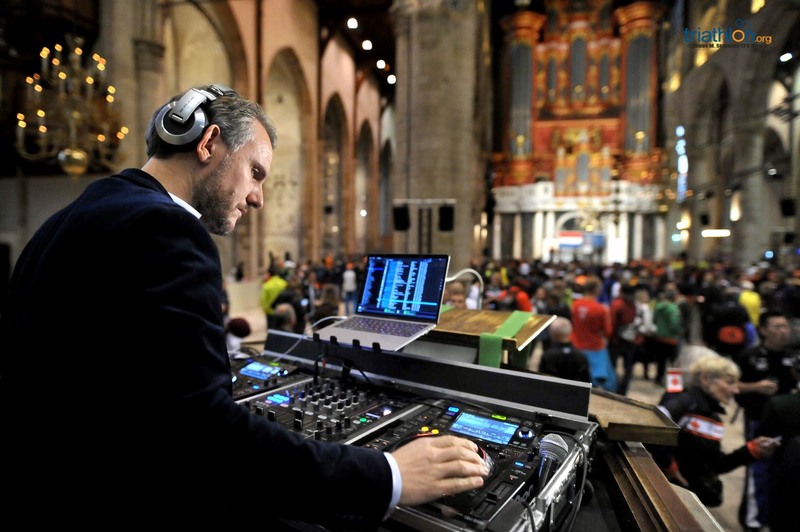 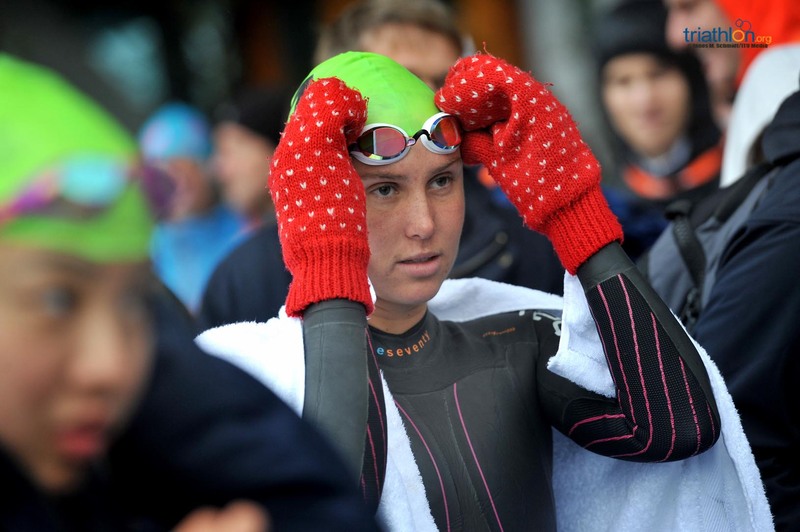 “Yes, definitely the pressure motivates me. 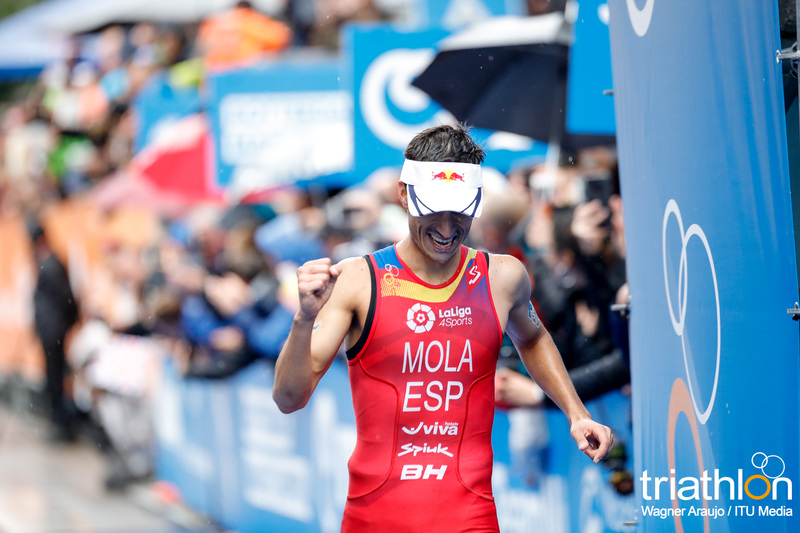 I know that everybody is gonna be watching me, but I really like that ”. 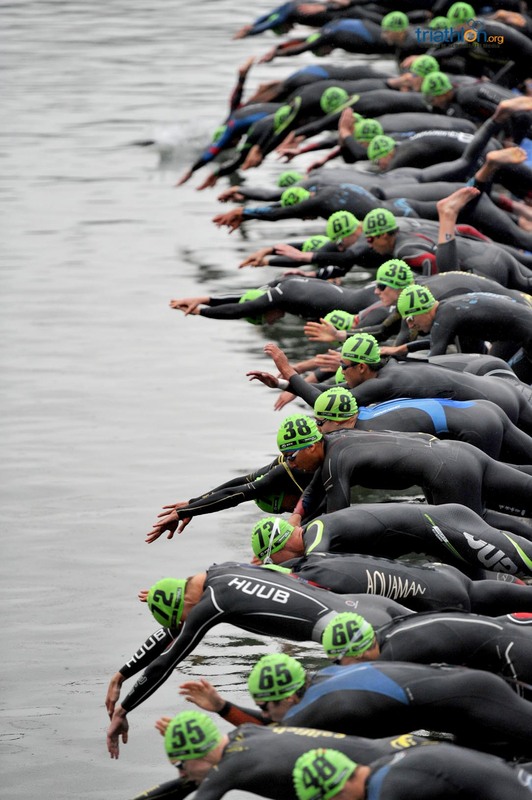 “There’s a lot of possibilities for the race. 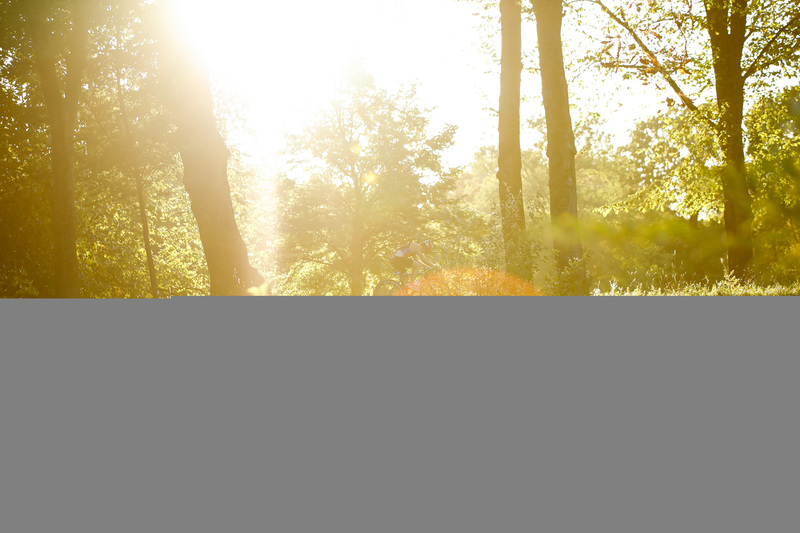 Some of those are good for me, some good for others. 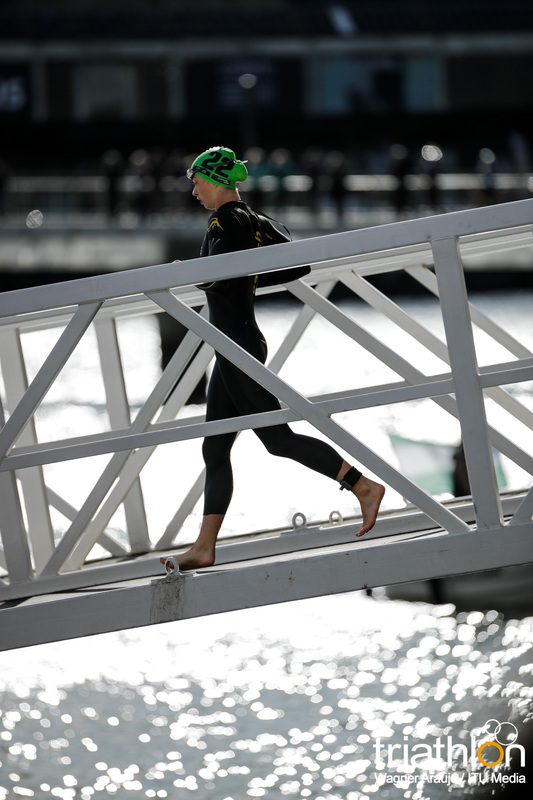 But I trained well, did everything I could and I feel pretty confident. 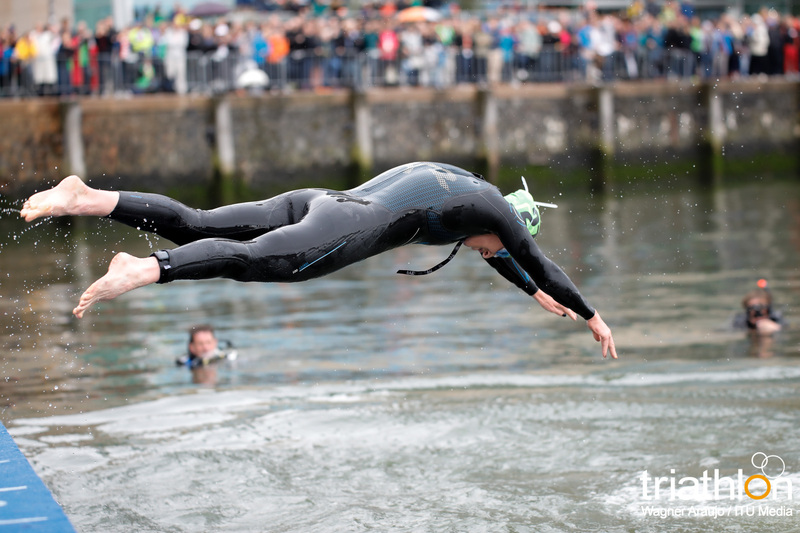 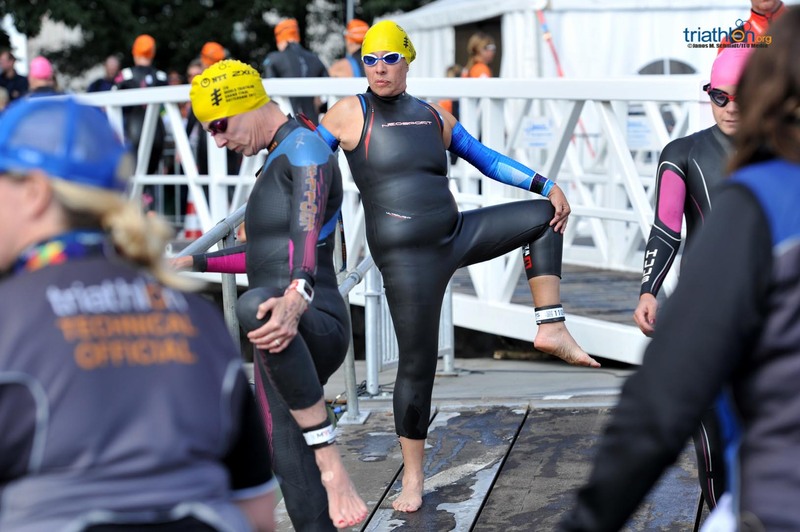 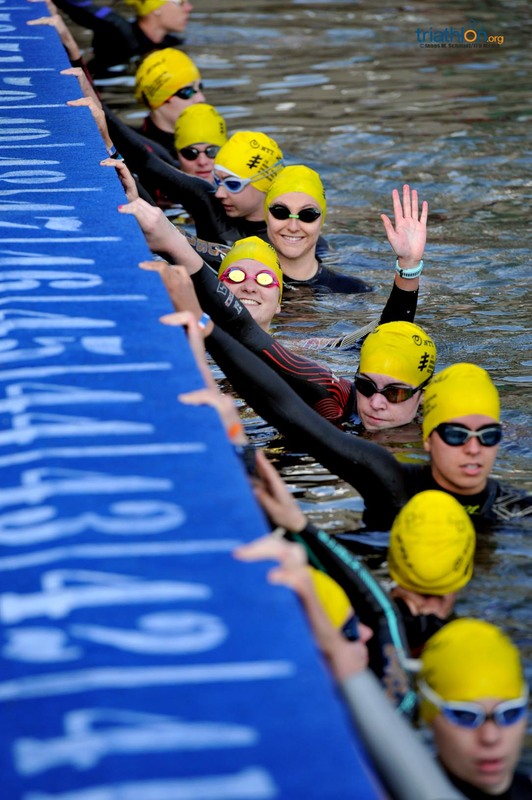 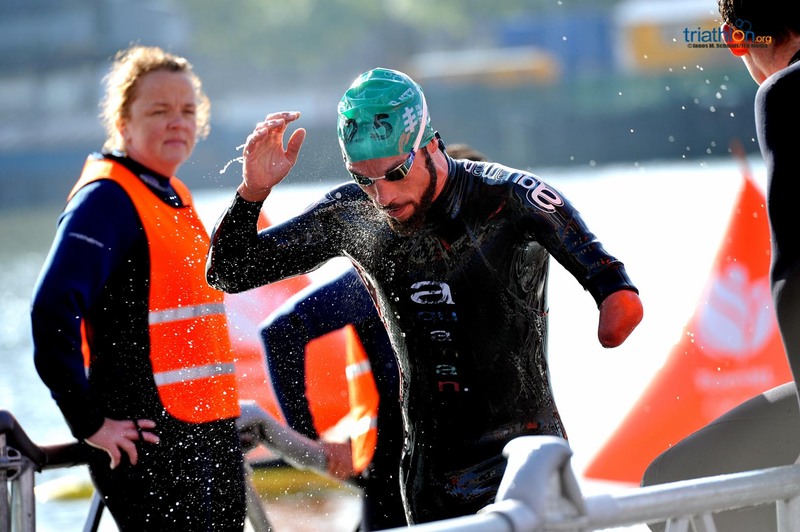 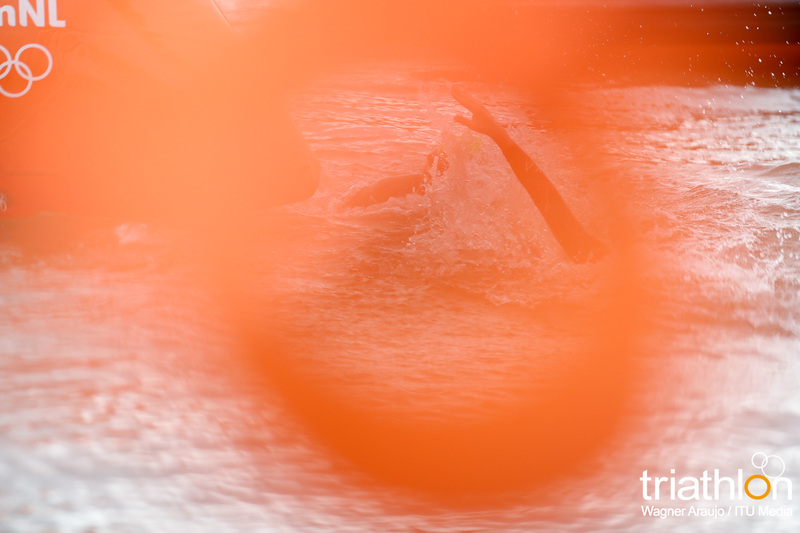 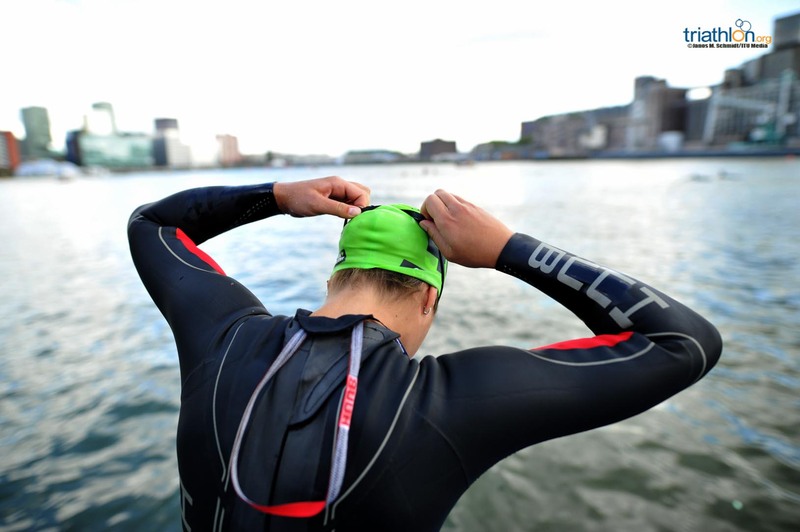 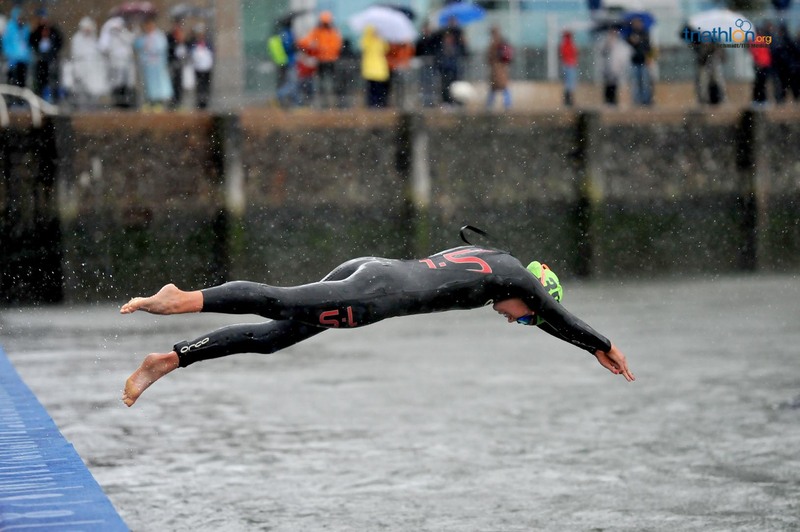 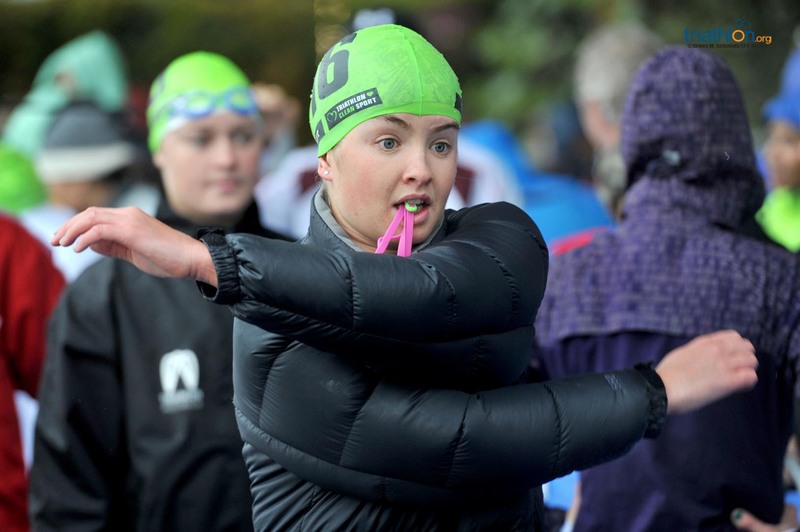 “It doesn’t really matter what the others will do, but my swim is important. 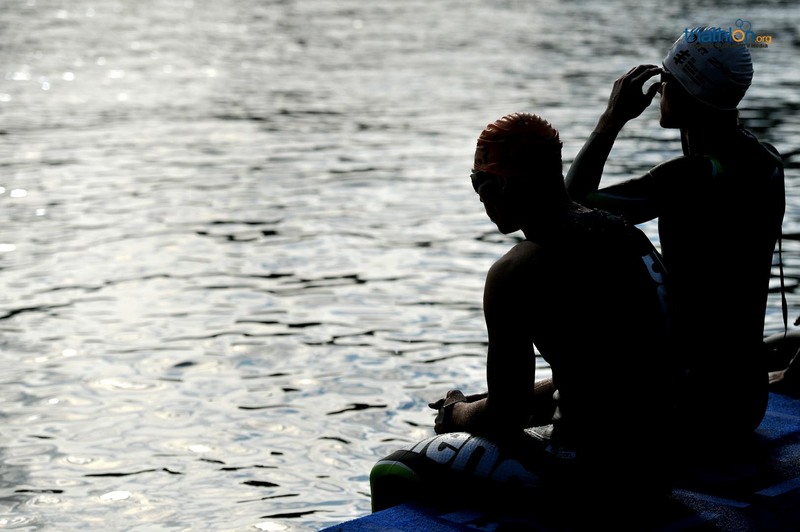 If I swim well, I think it can be a good race, a good result for me”. 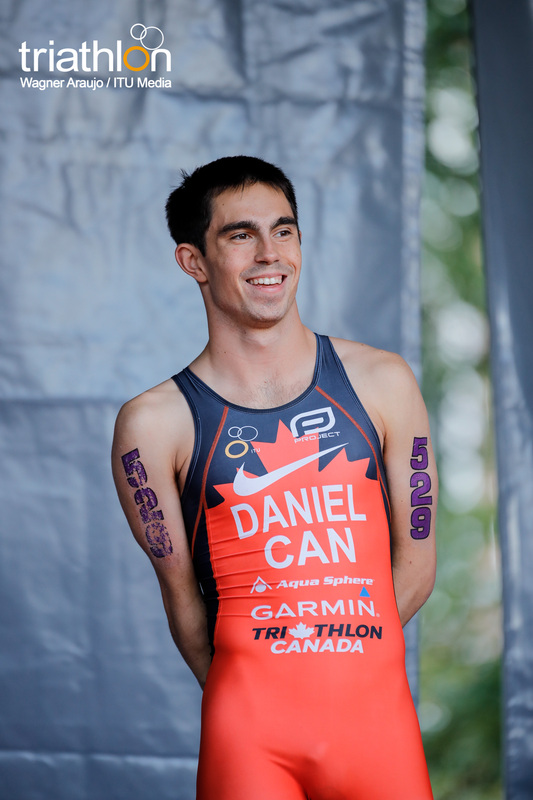 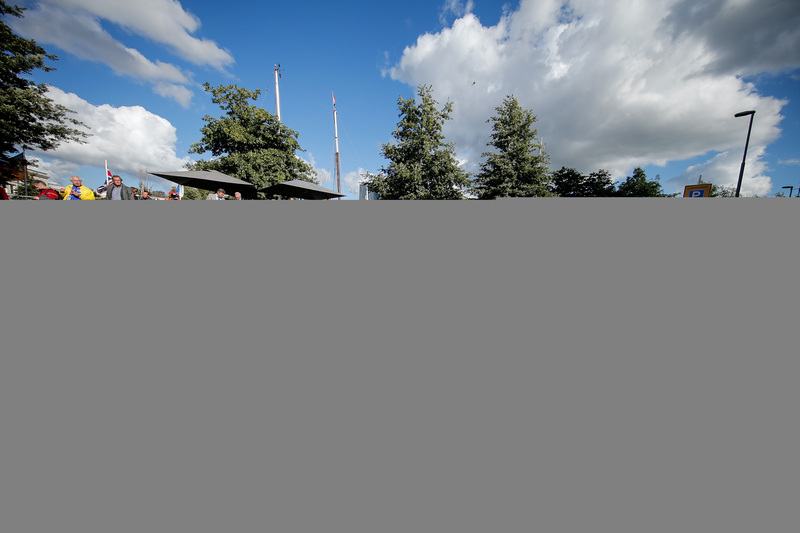 “I’ve never raced here, it’s going to be my first time. 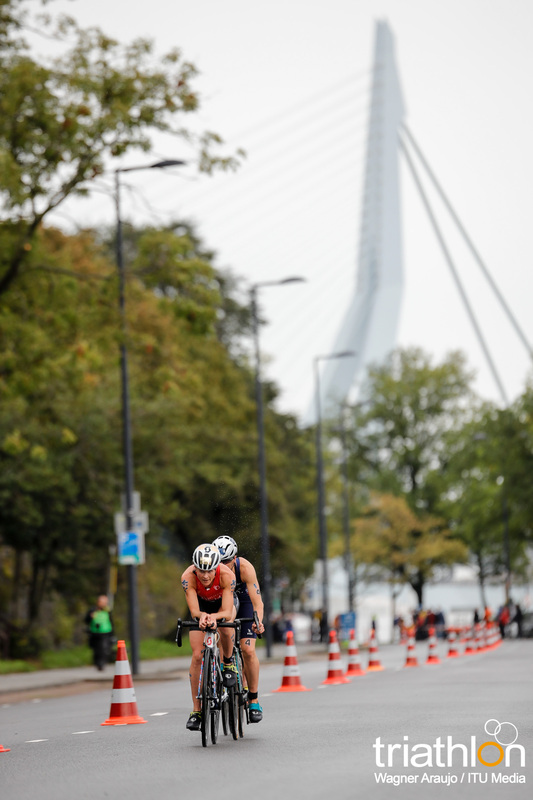 I’ve never raced so close to home, and there’s so many people telling me that they are going to come and watch the race… I like it. 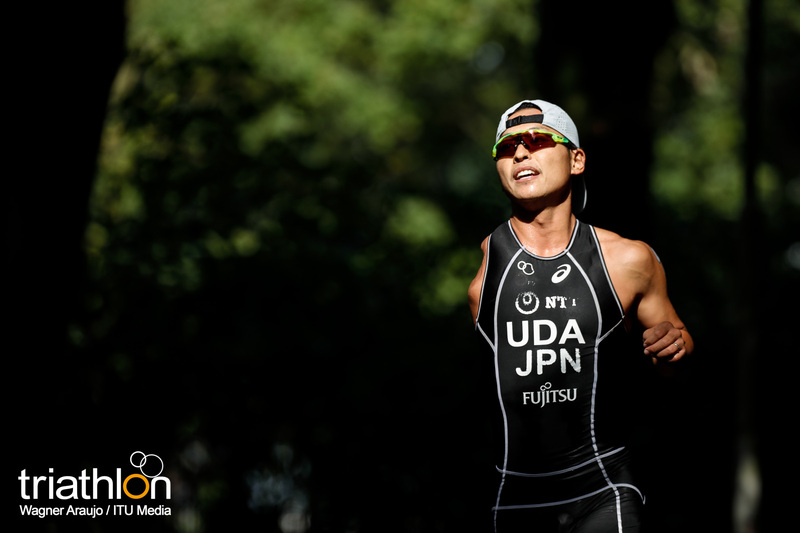 Racing home adds a bit of pressure, but it’s another race and I just want to do my best”. 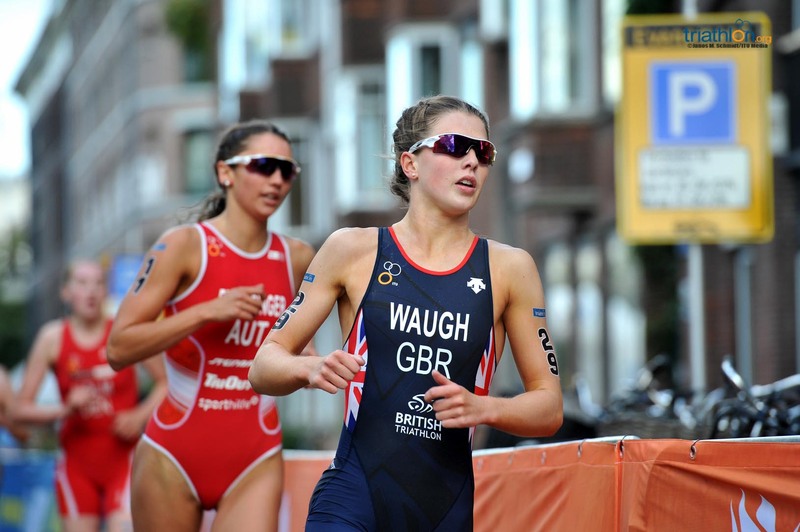 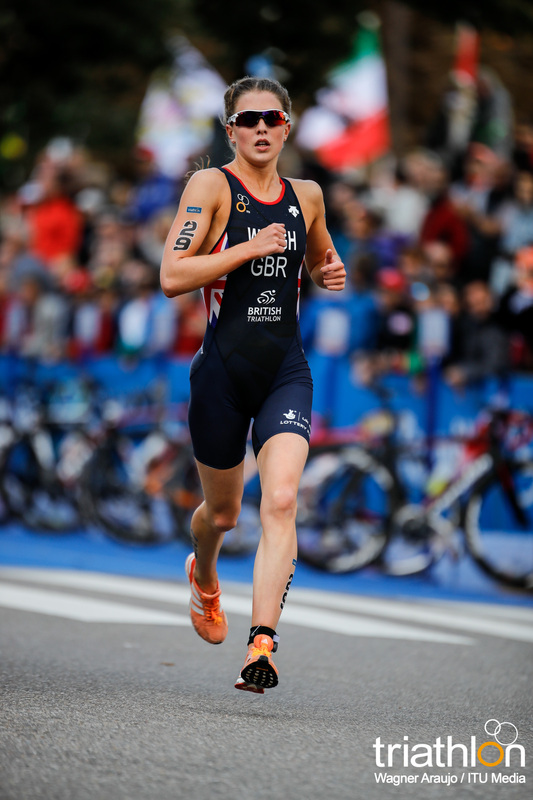 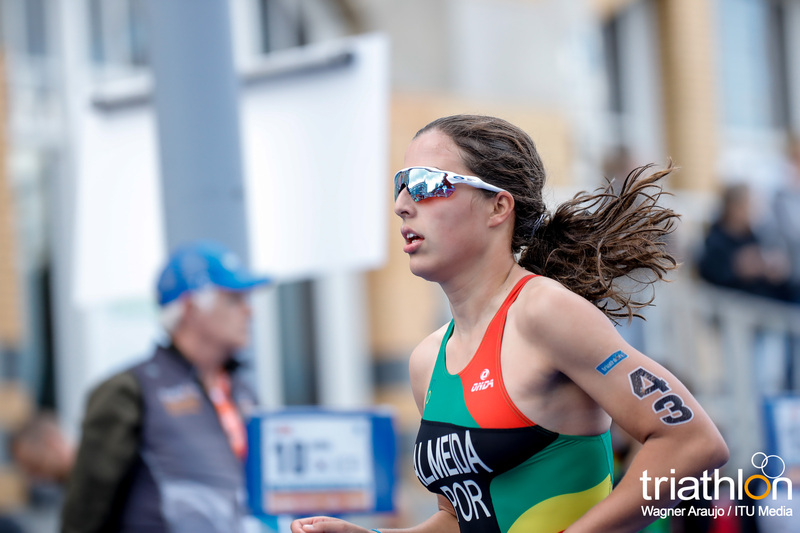 “I hope to have one of my best results, I aim for a podium. 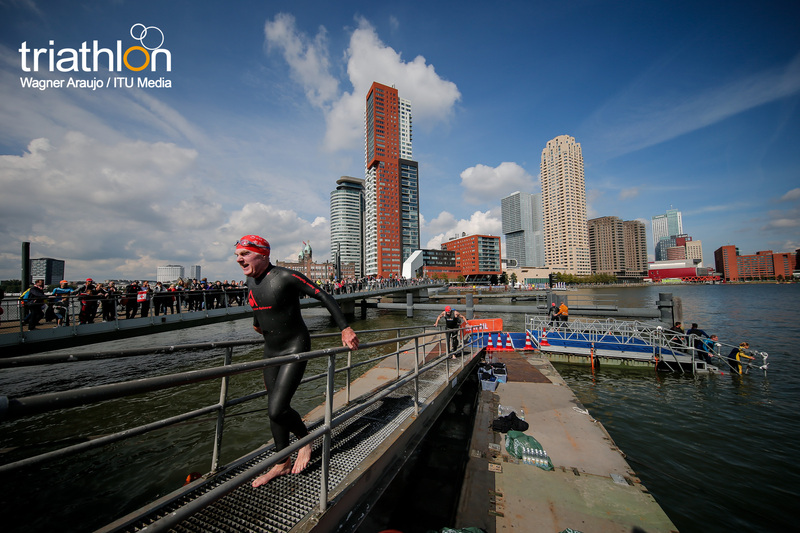 Everyone is complaining about the weather, but to be honest, I really don’t care, I just don’t like the cold, even though I’m from the Netherlands”. 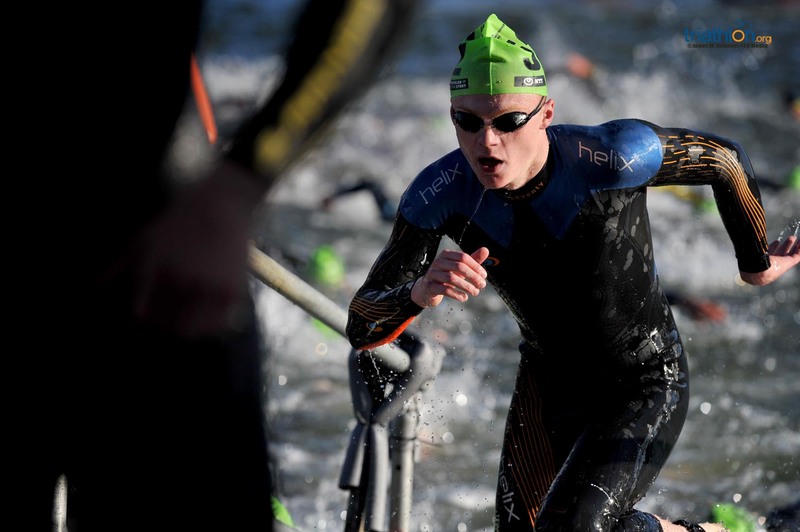 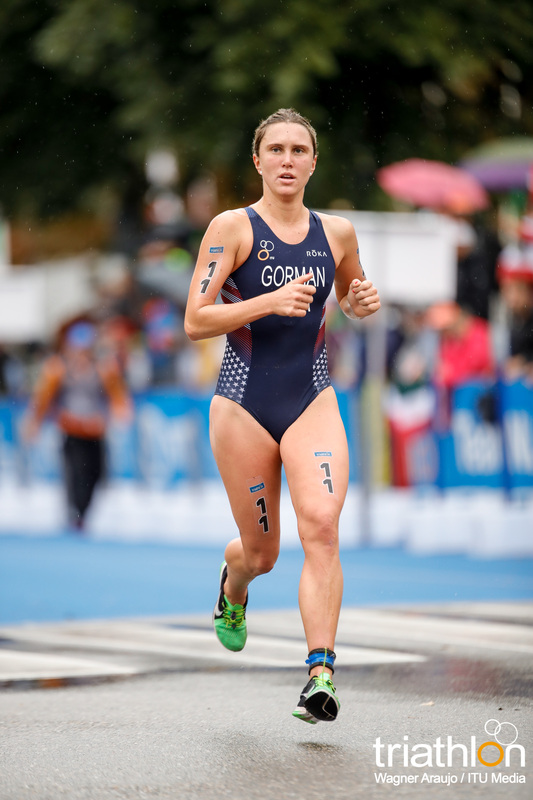 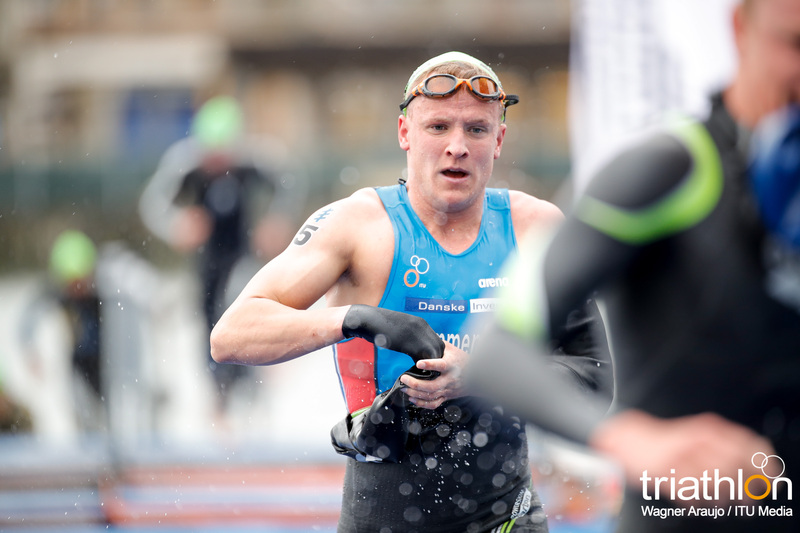 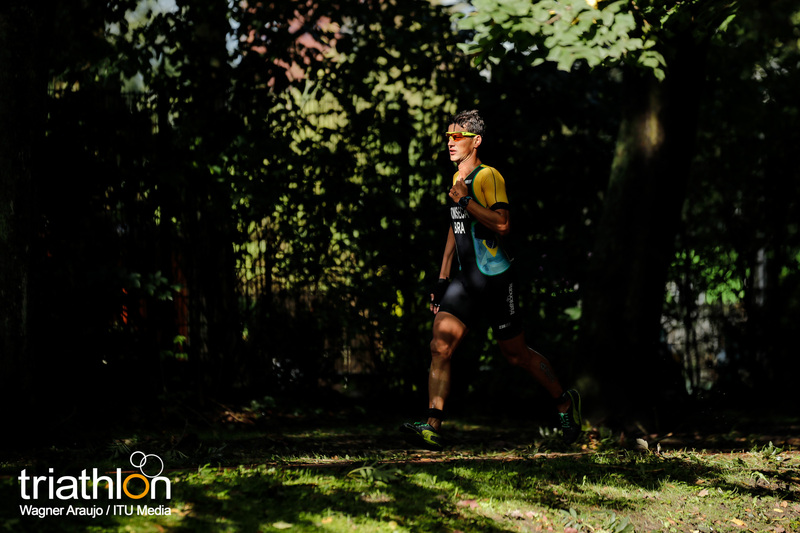 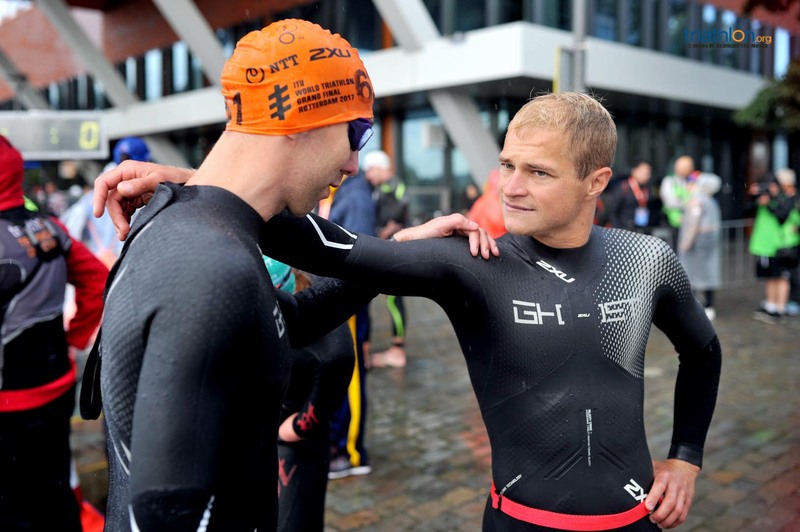 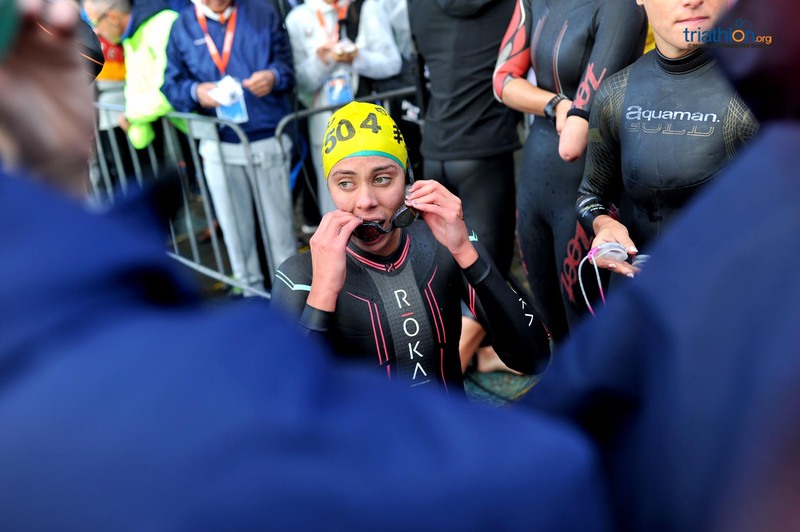 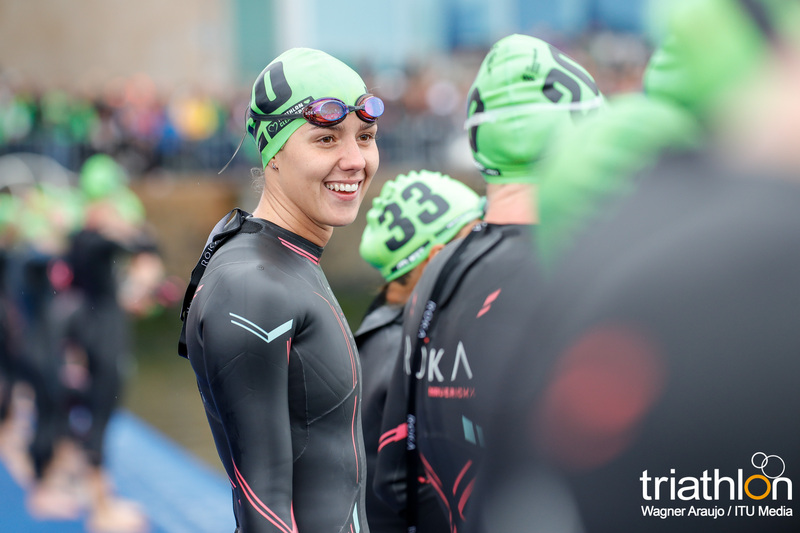 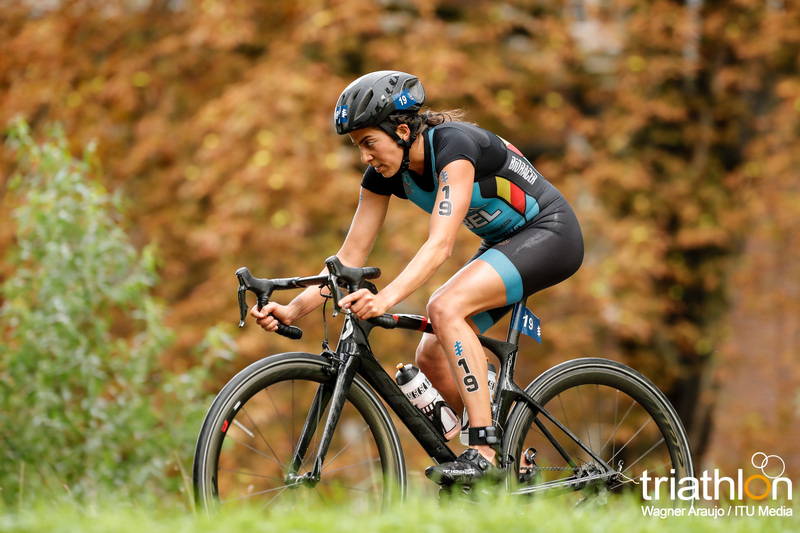 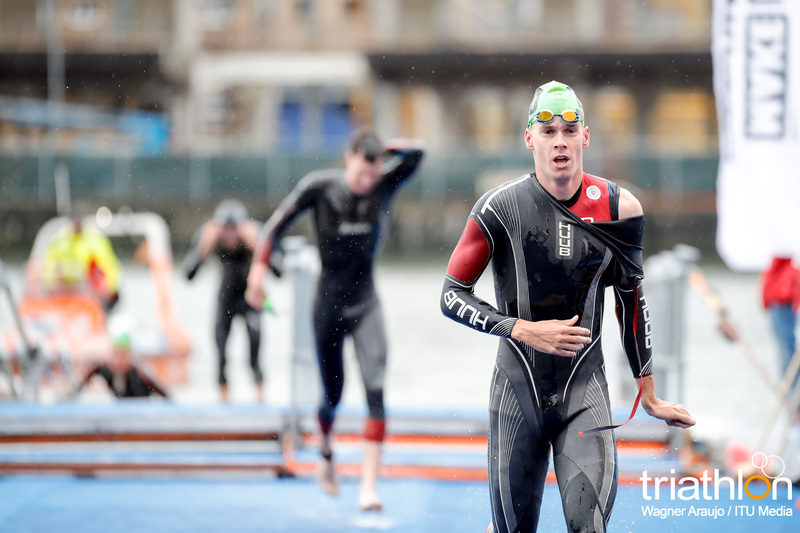 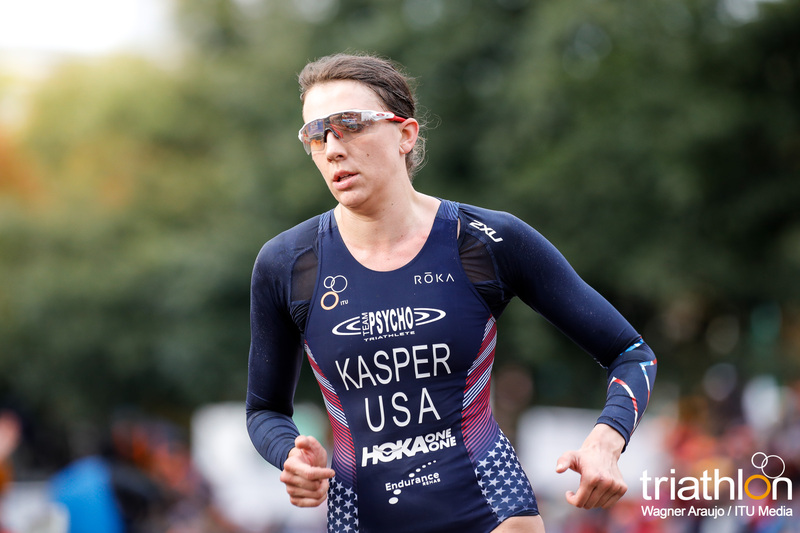 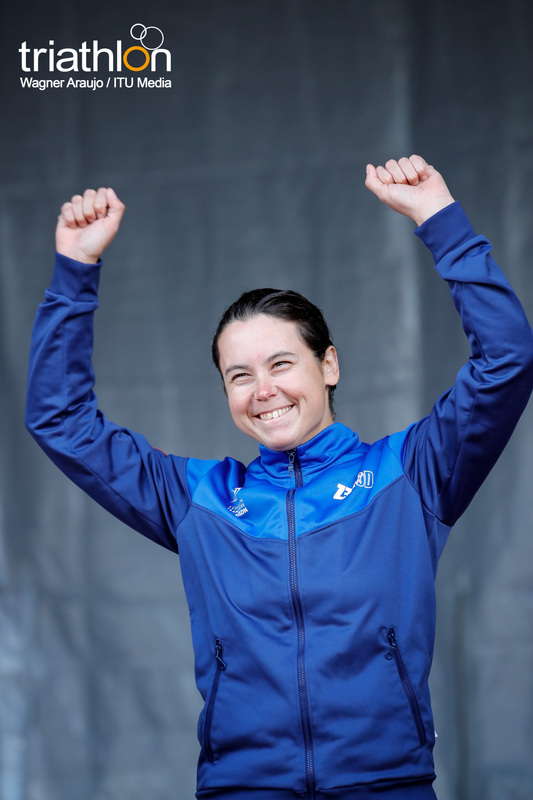 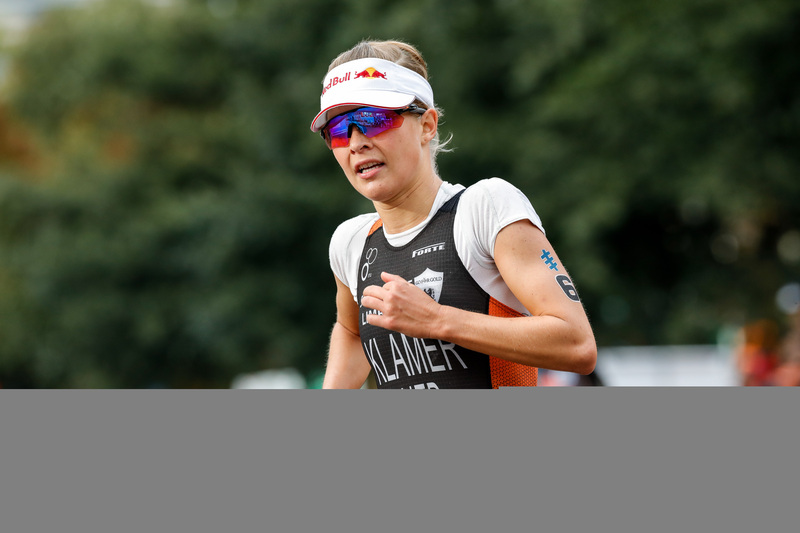 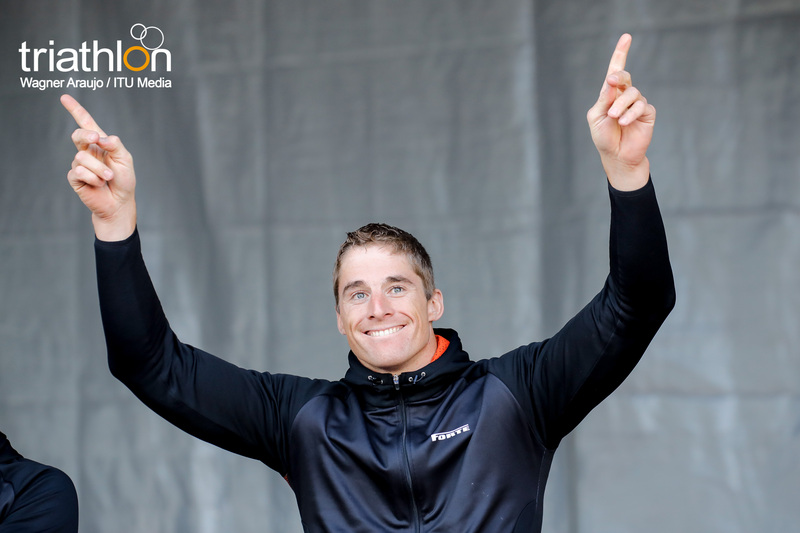 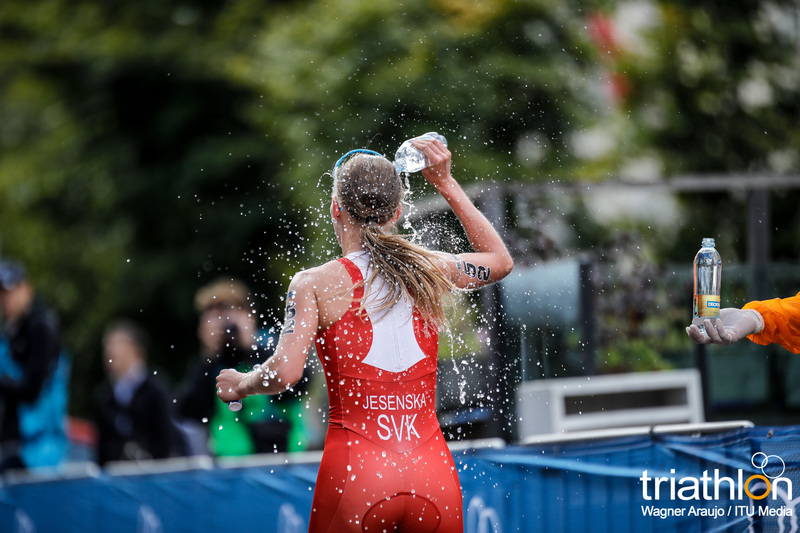 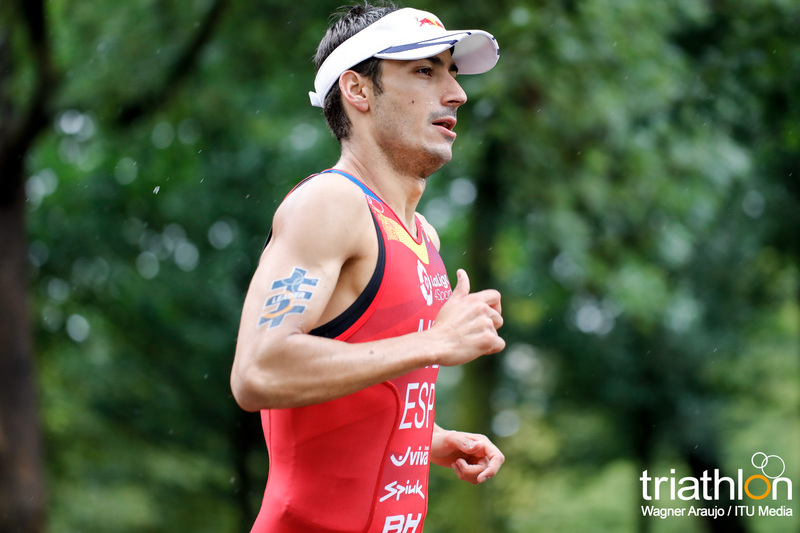 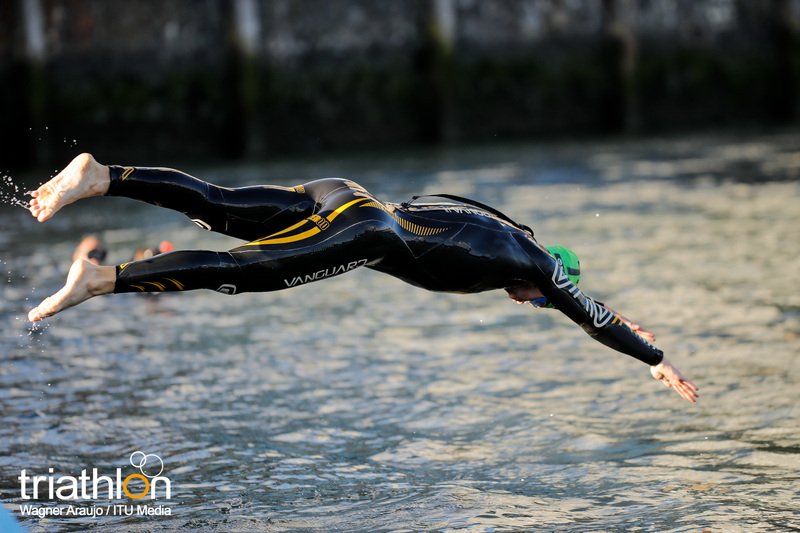 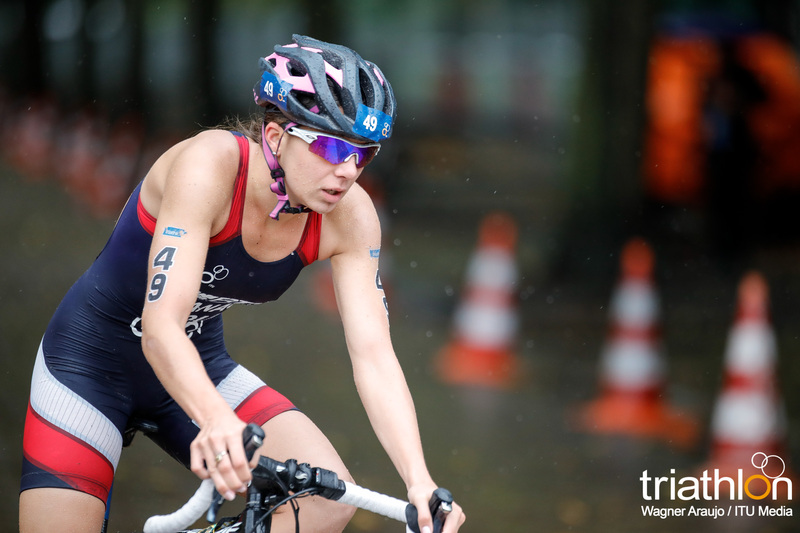 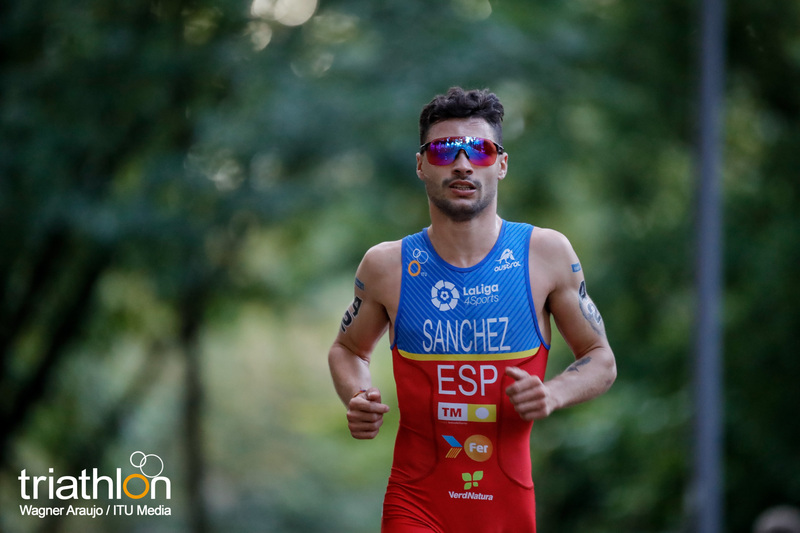 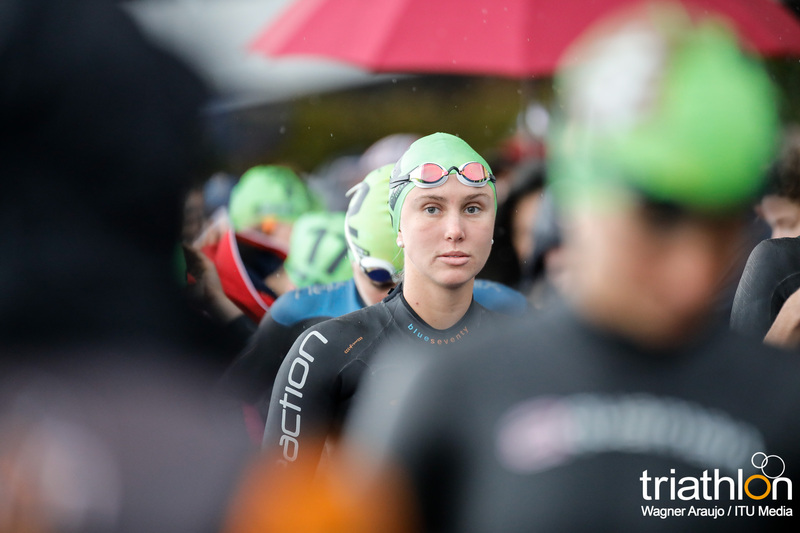 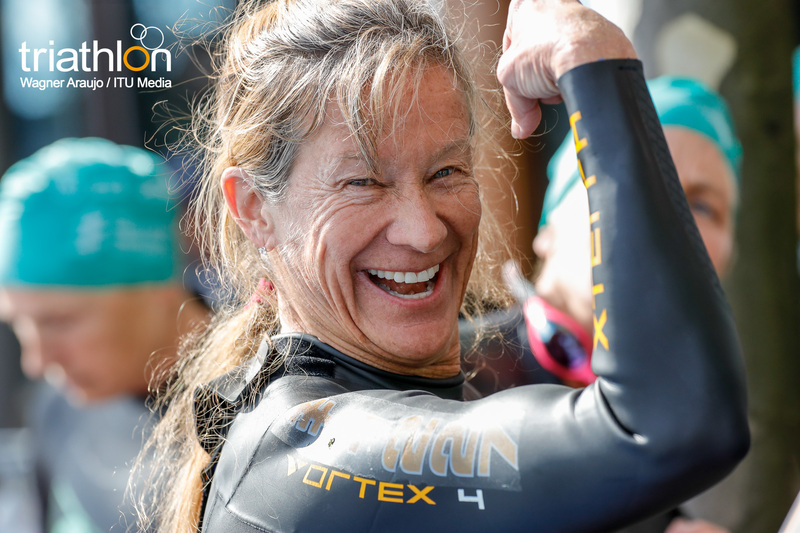 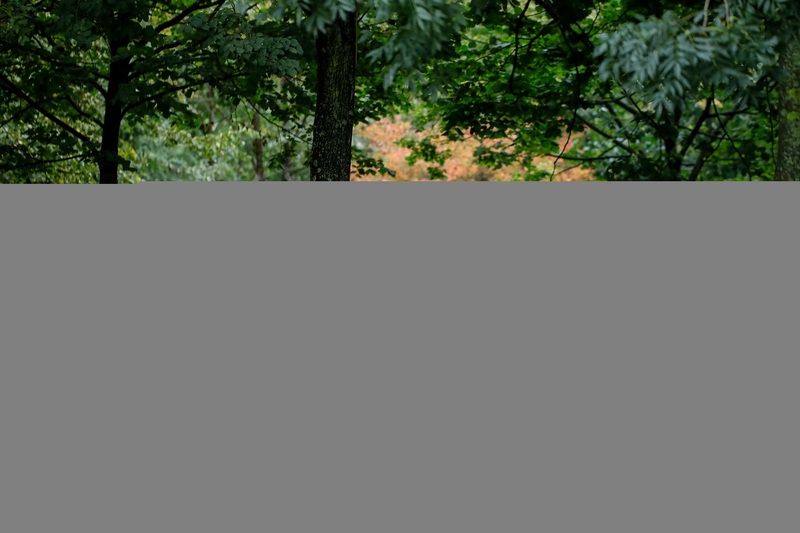 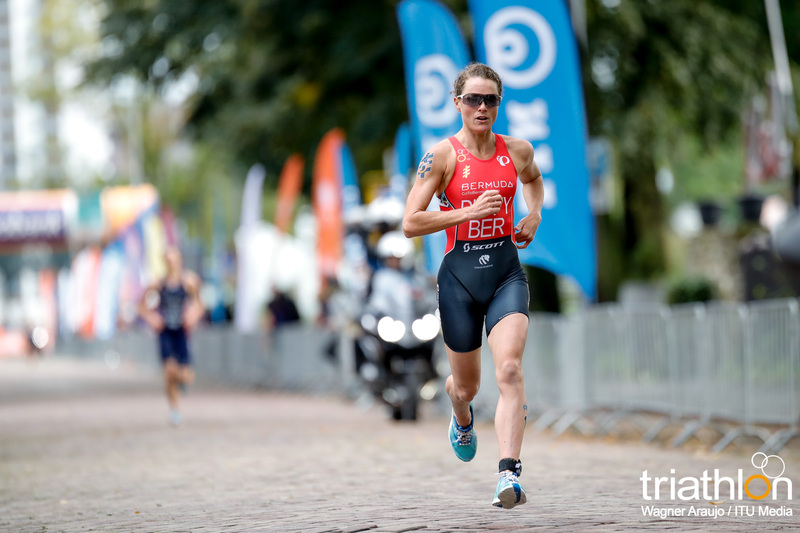 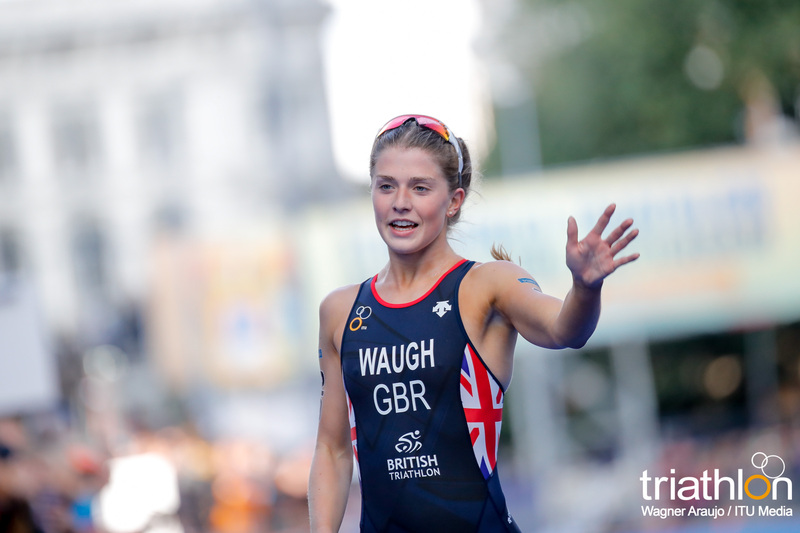 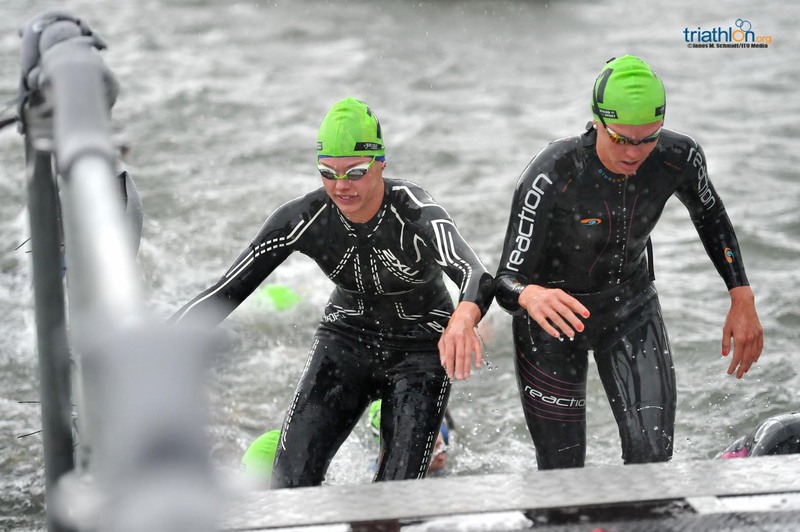 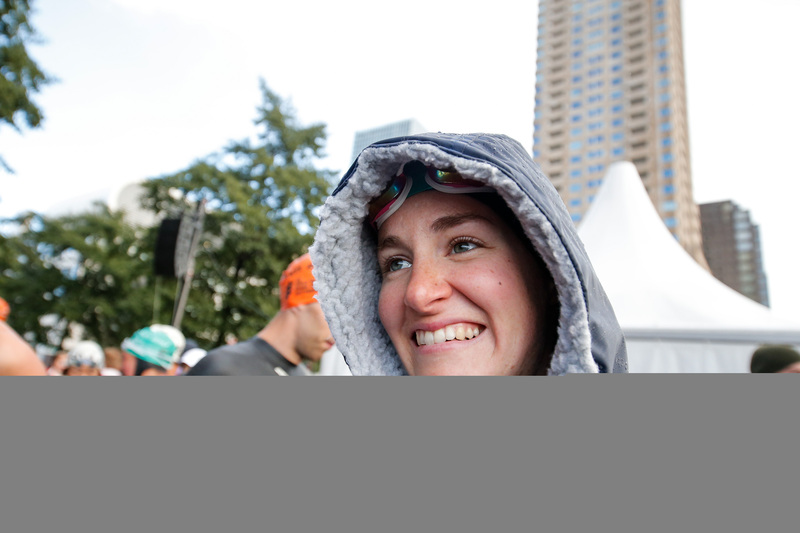 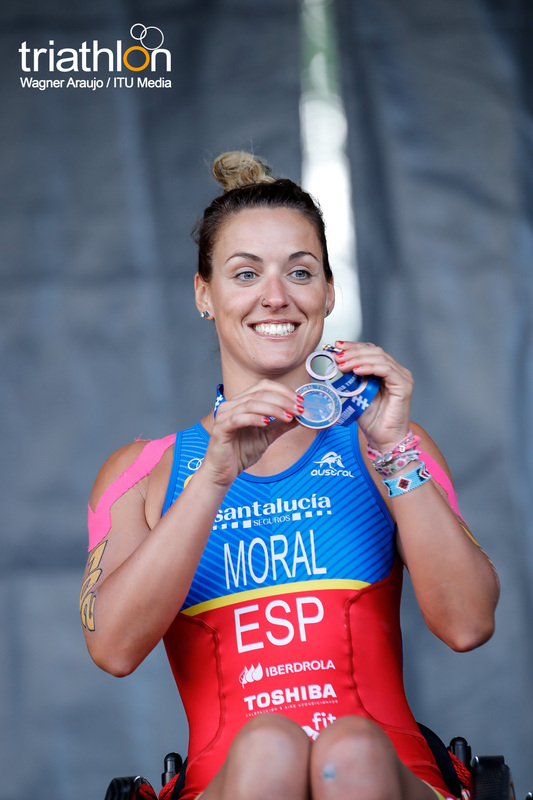 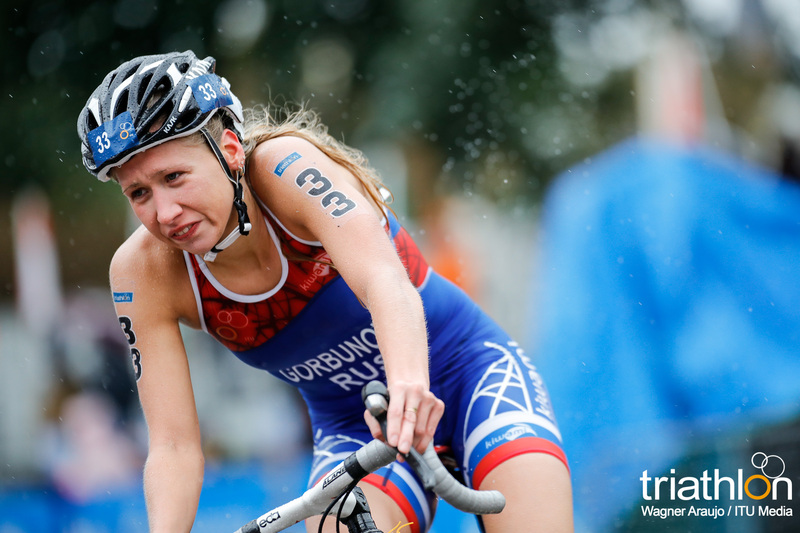 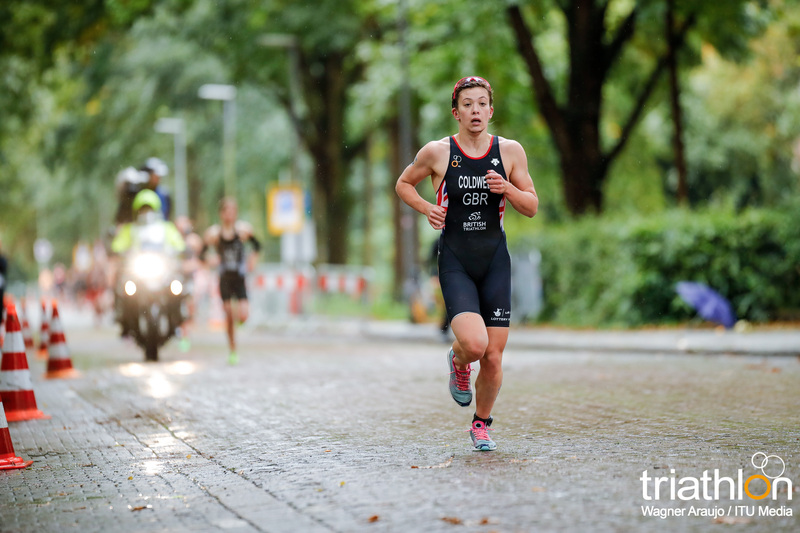 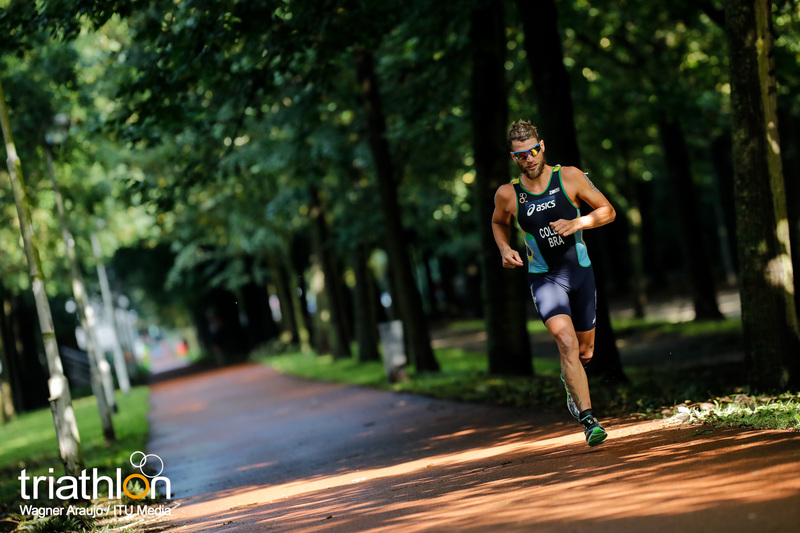 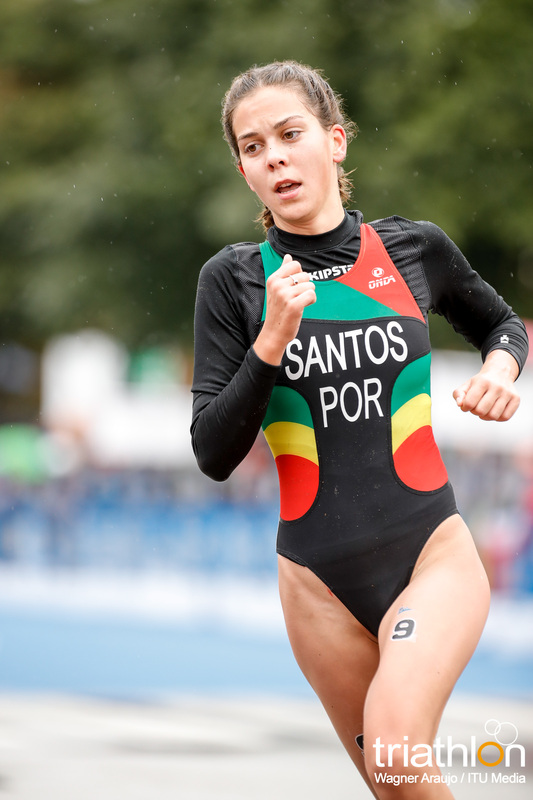 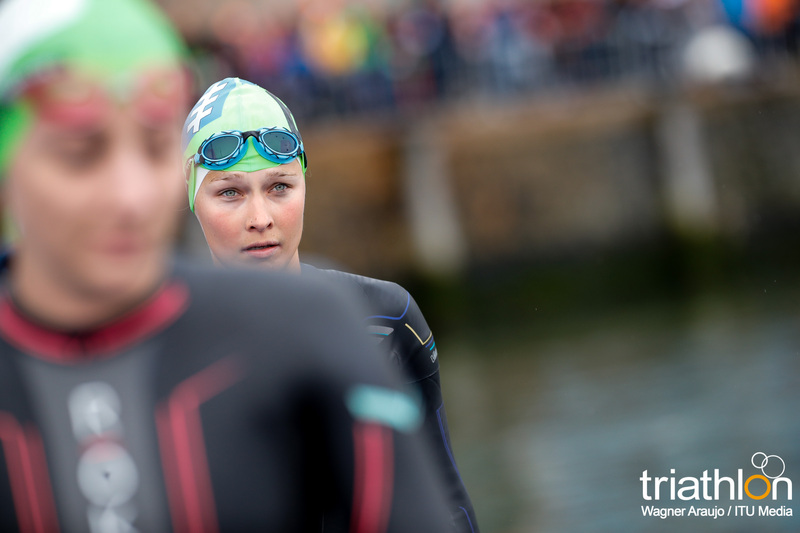 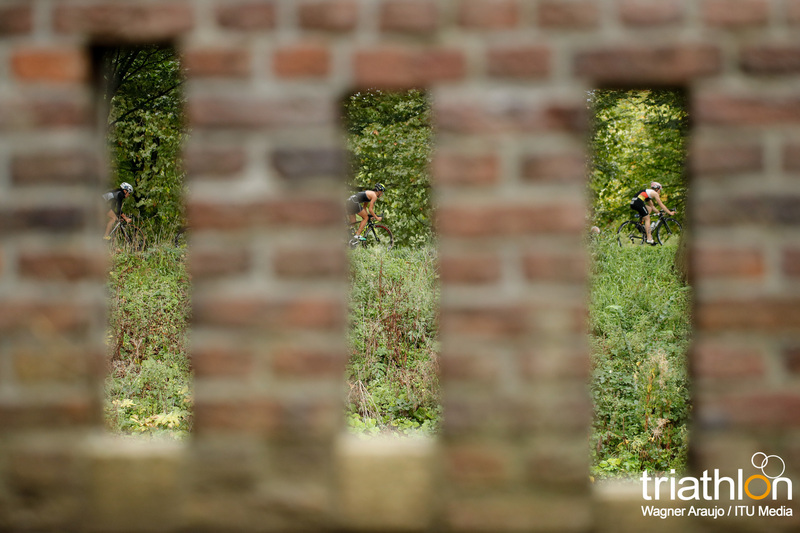 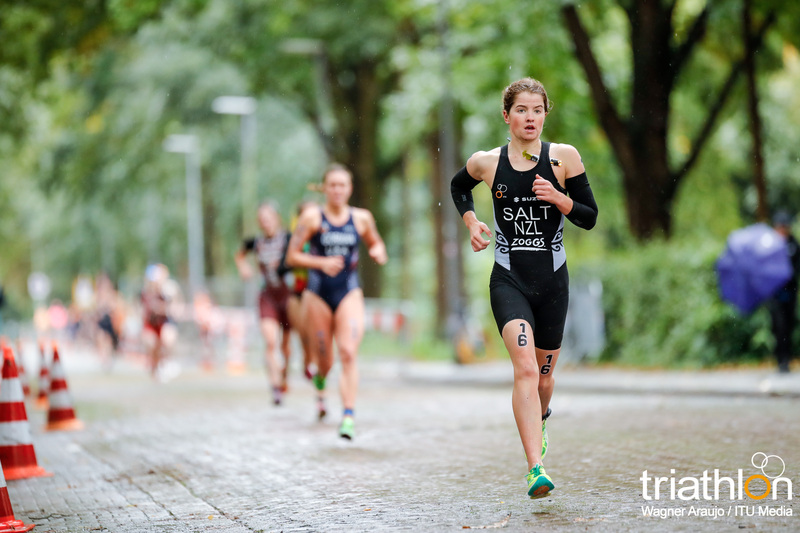 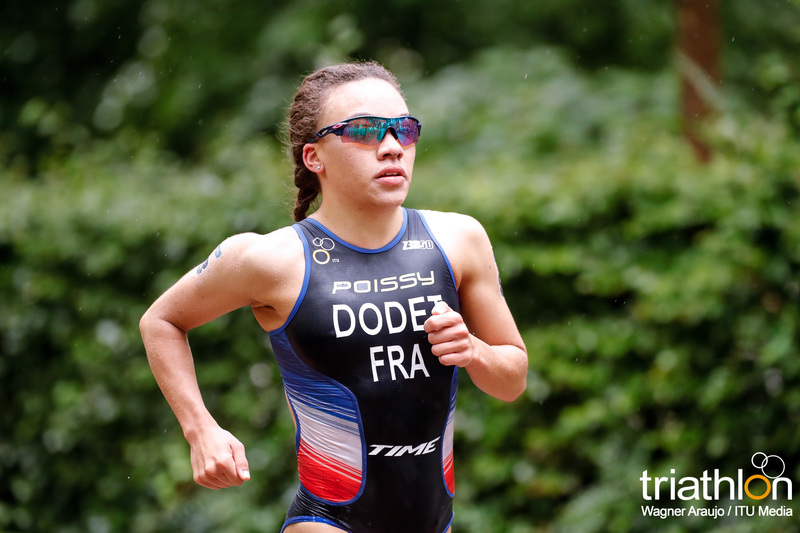 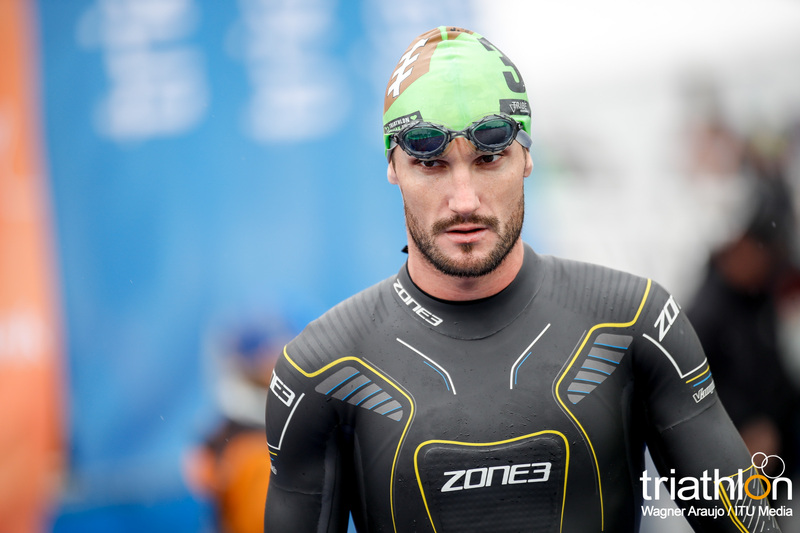 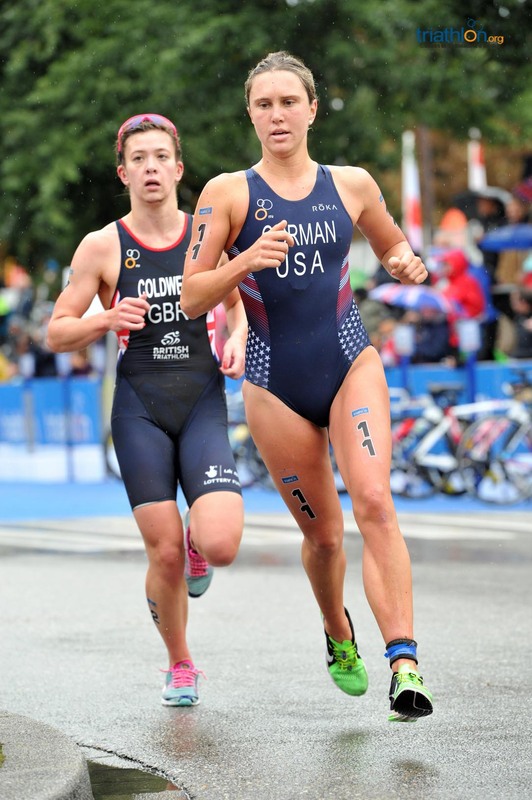 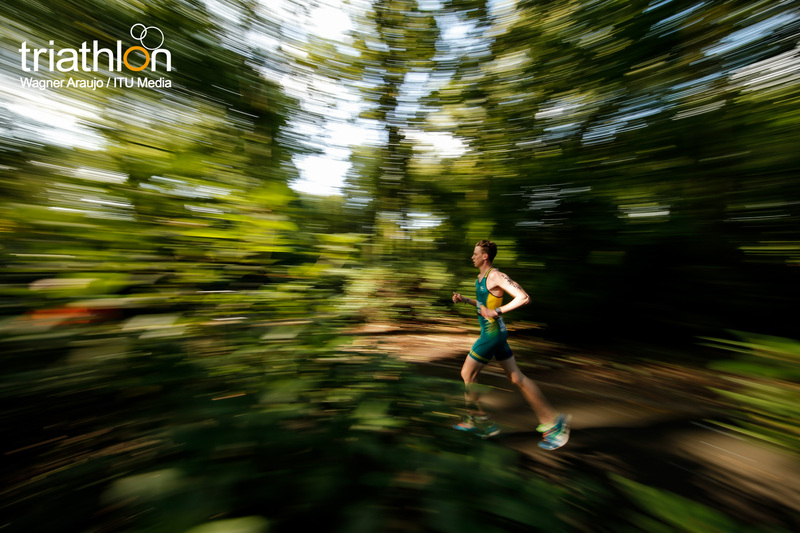 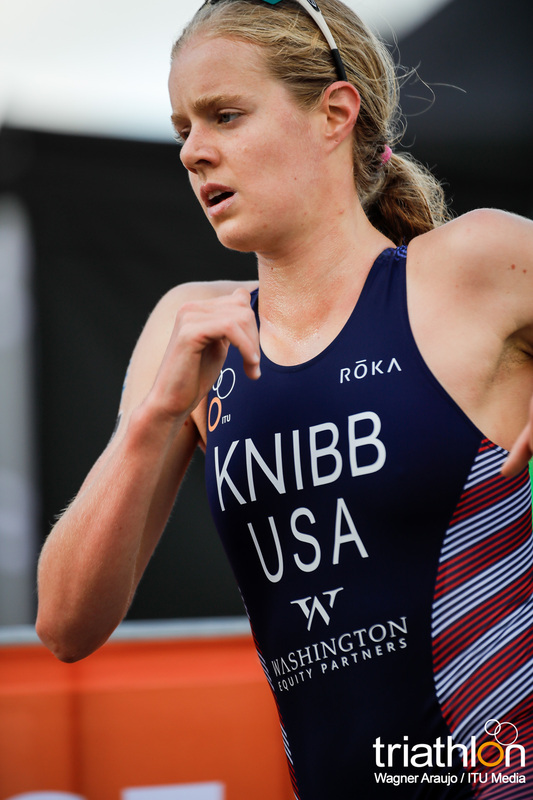 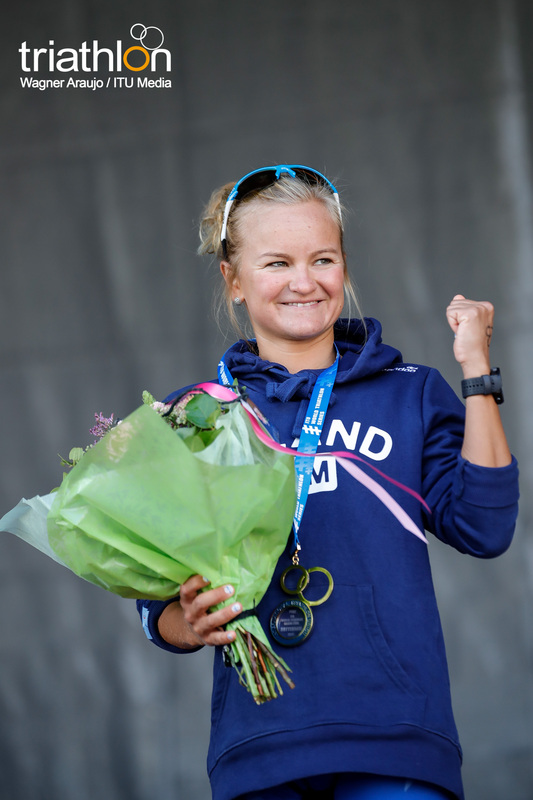 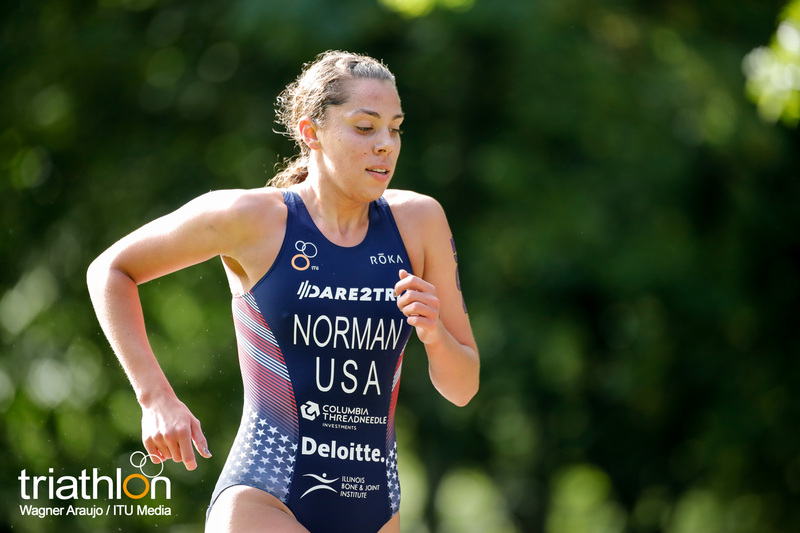 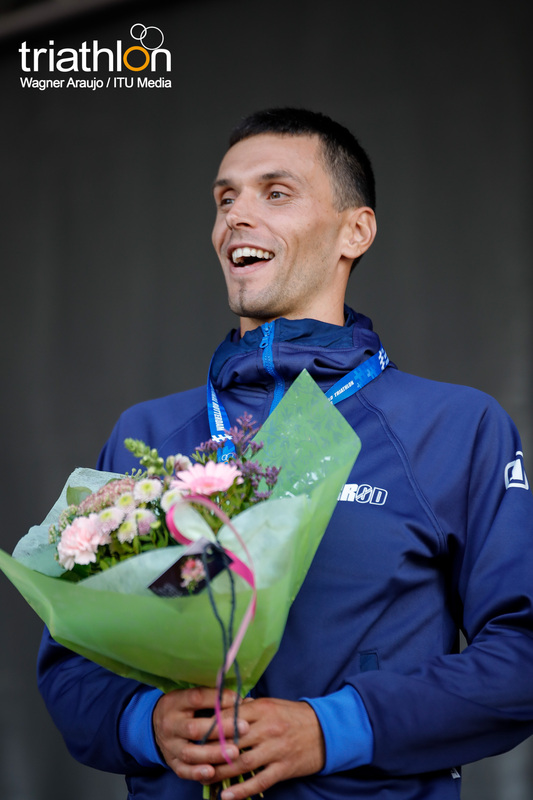 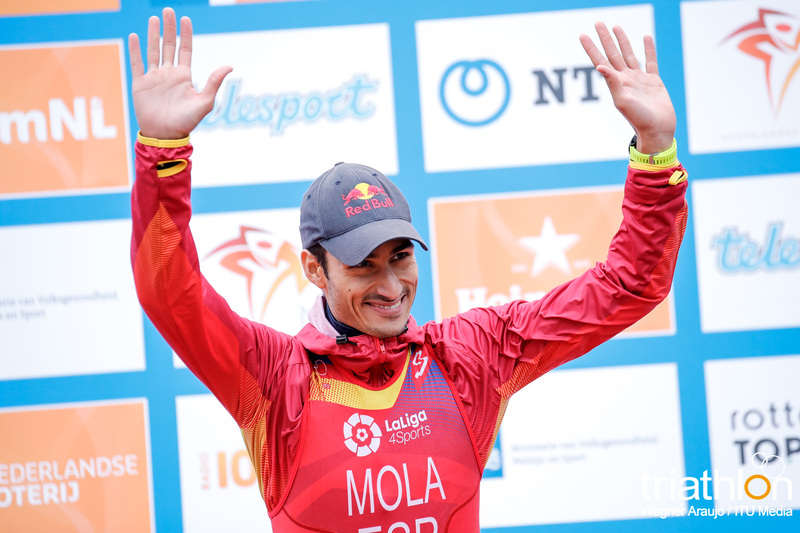 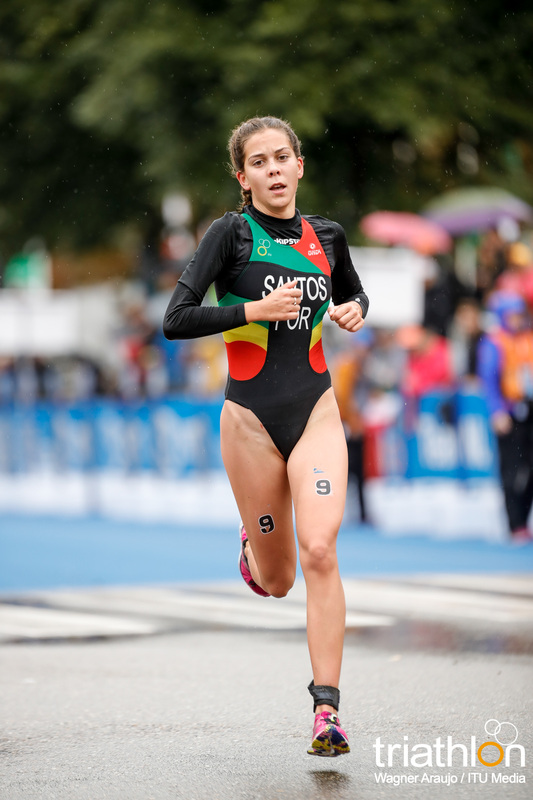 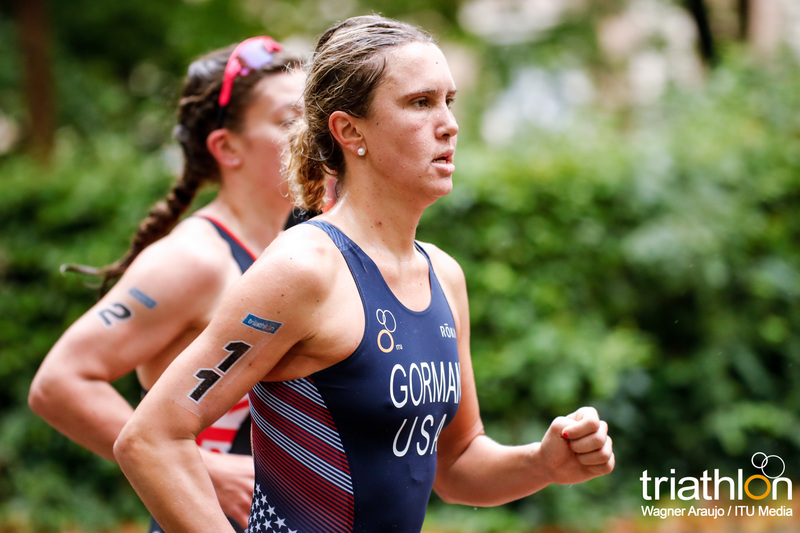 “This year I just wanted to take things easily, I did cross triathlon, a half distance race, BundesLiga,… and I didn’t expected to be sixth on the season by now. 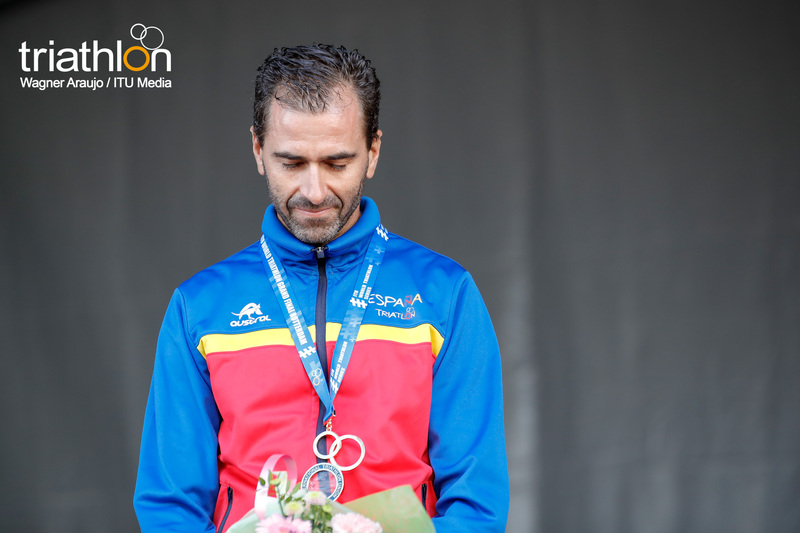 I am really happy for that”. 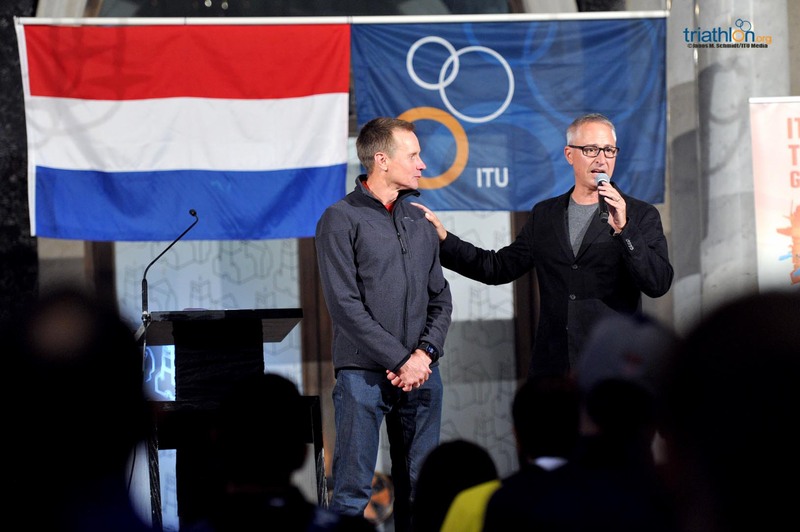 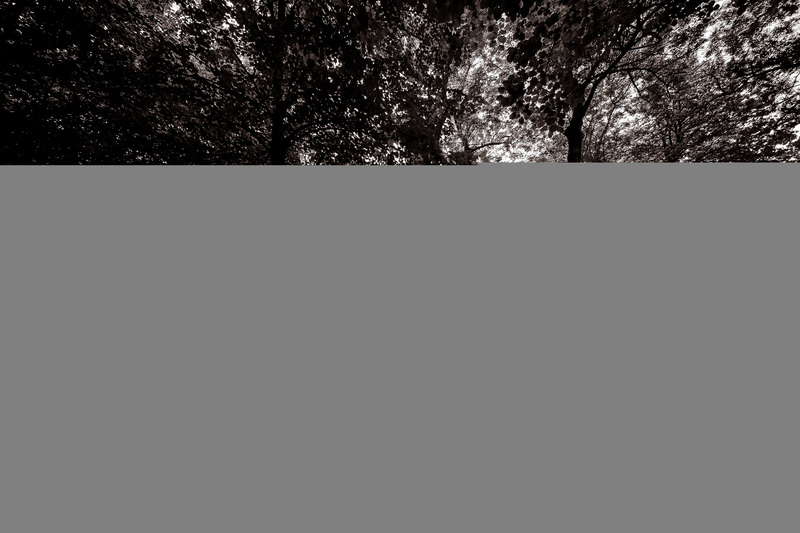 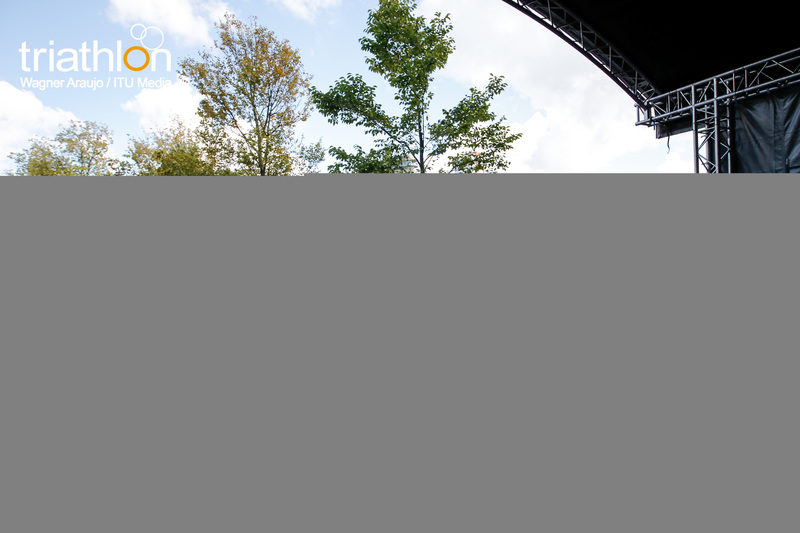 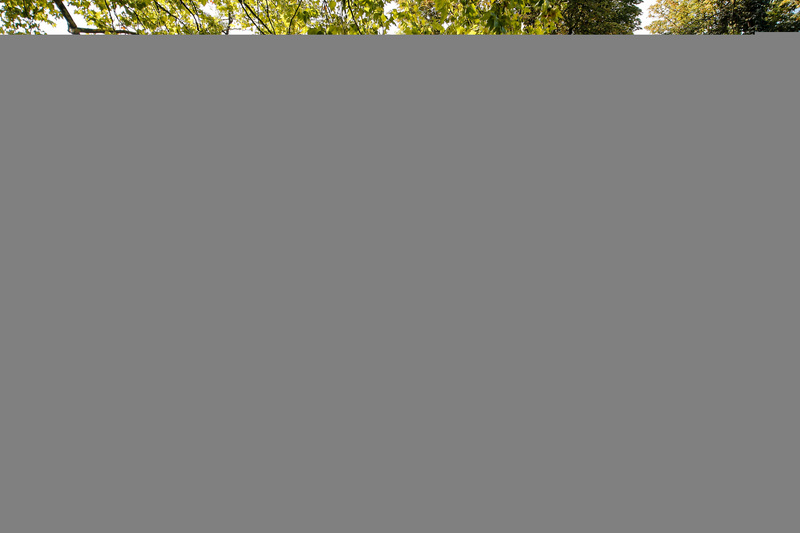 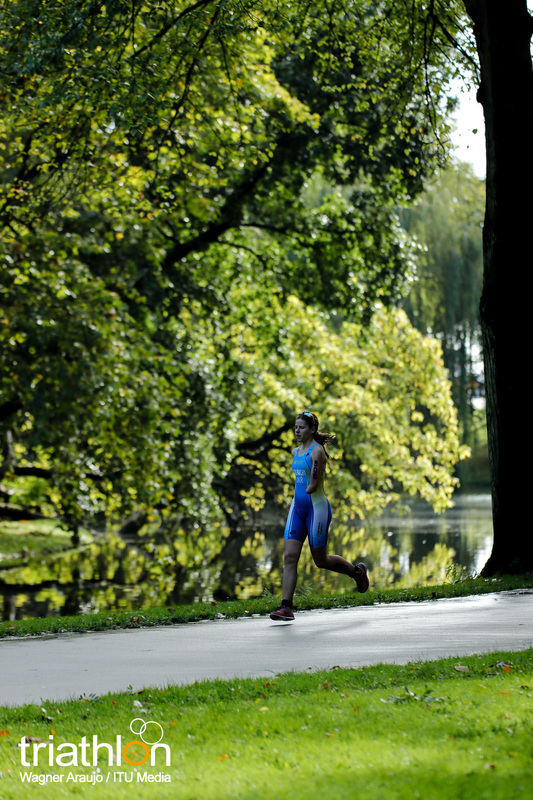 “After Stockholm I went back where I train, in Boulder, Colorado. 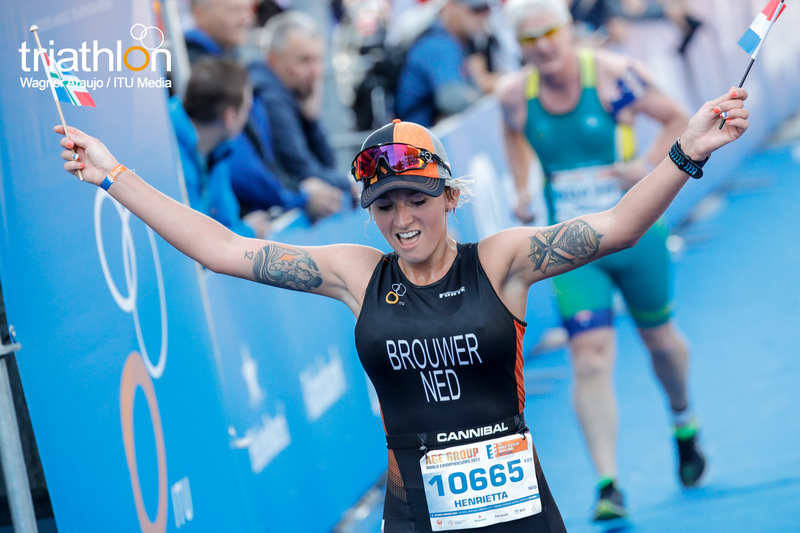 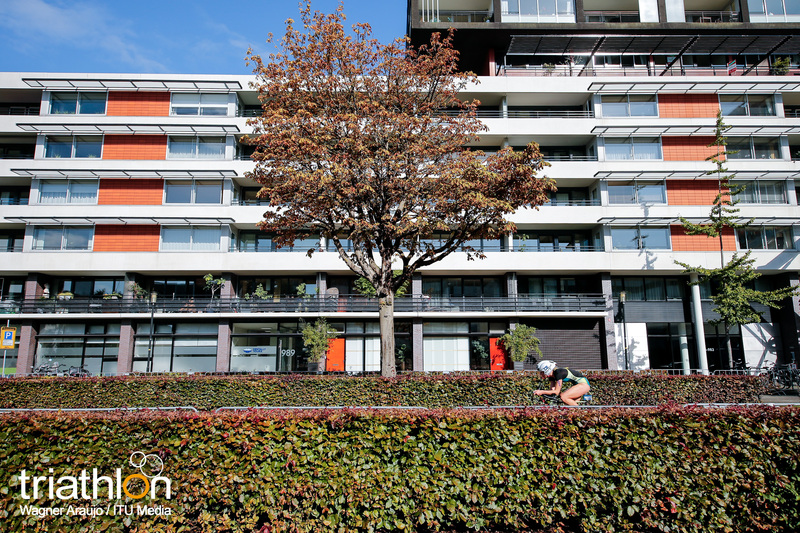 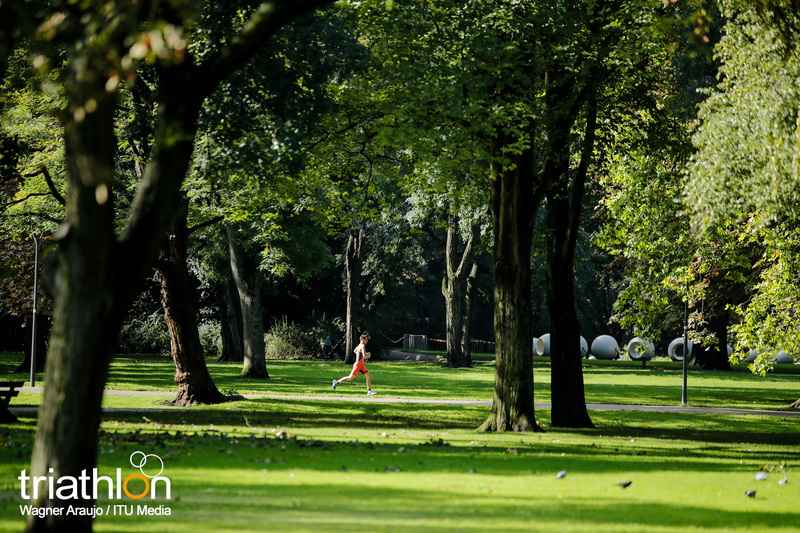 I am a kind a creature of habits, I like to go back to my training routines, see my physiotherapists, sit on my couch, sleep on my bed, see my friends… It gives me balance, and I don’t have very much balance in my life. 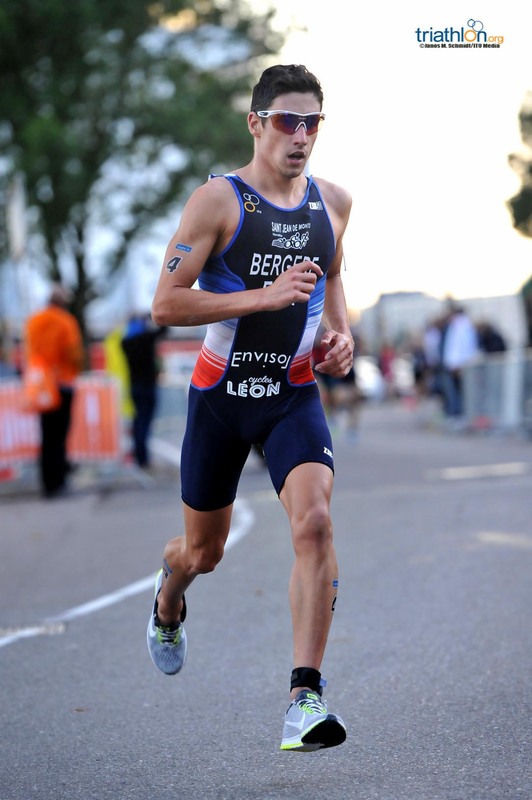 Staying out of Europe is a bit of a escape for me”. 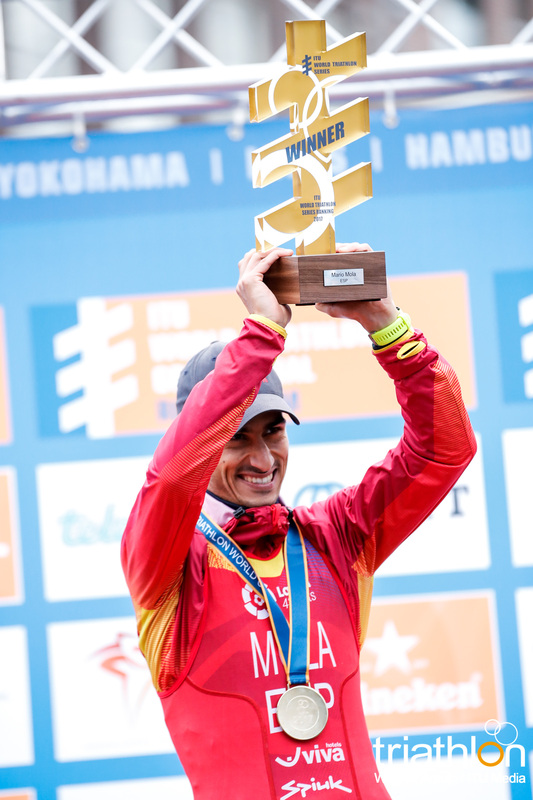 “This year is turned out really well, I never thought that I would come to the final on the lead and having won five races. 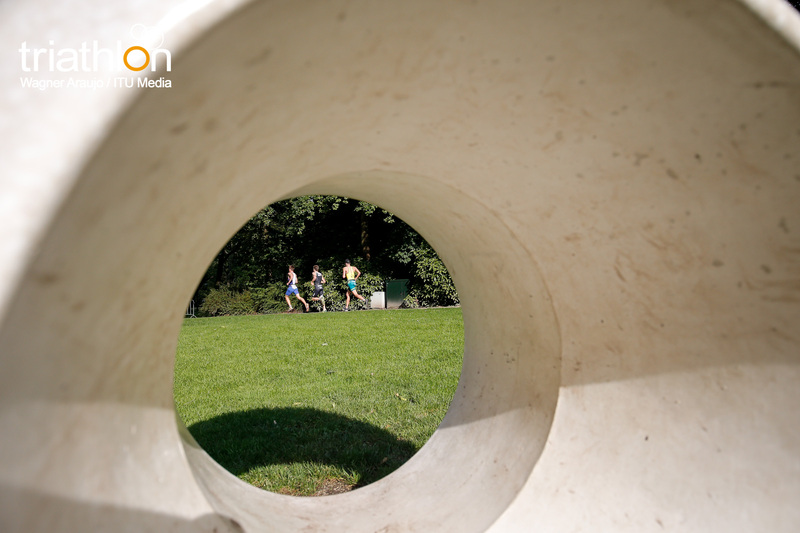 It’s a great place to be. 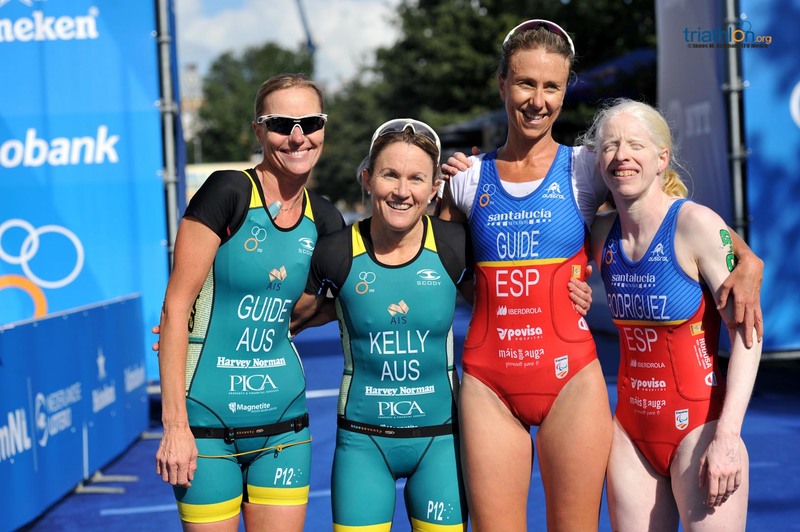 I’ll have a bit more of exposure, but I have to think that it is just another race. 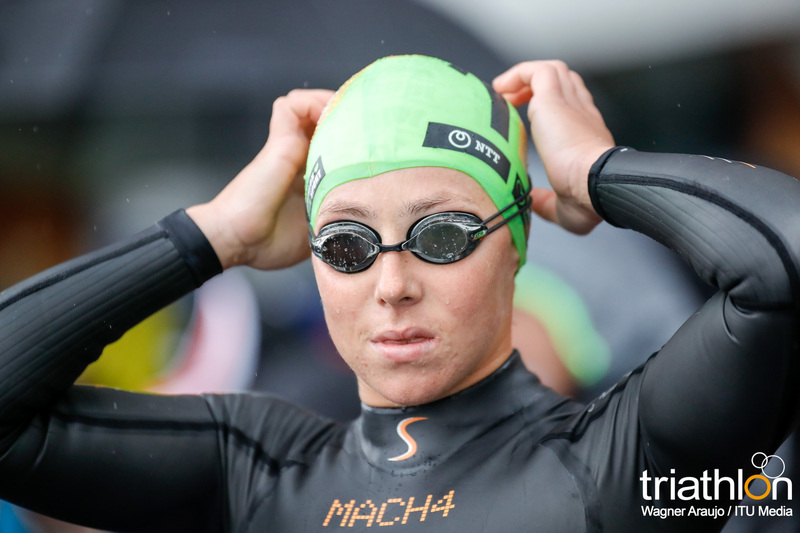 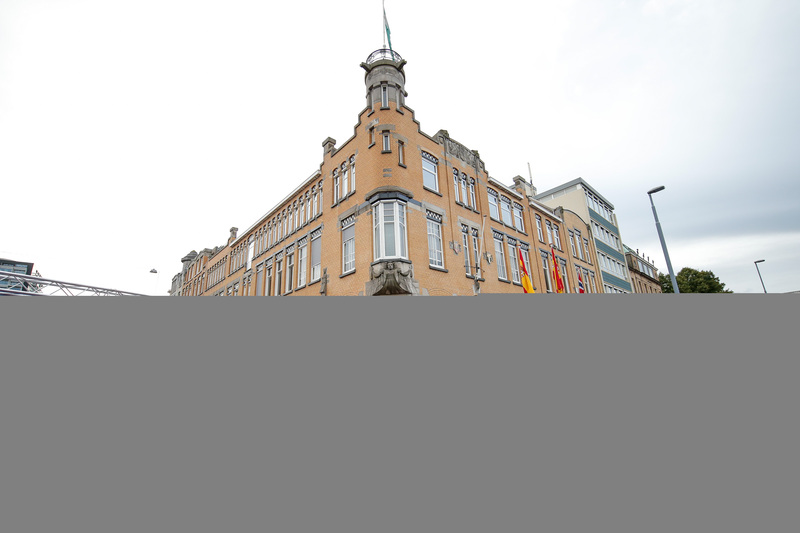 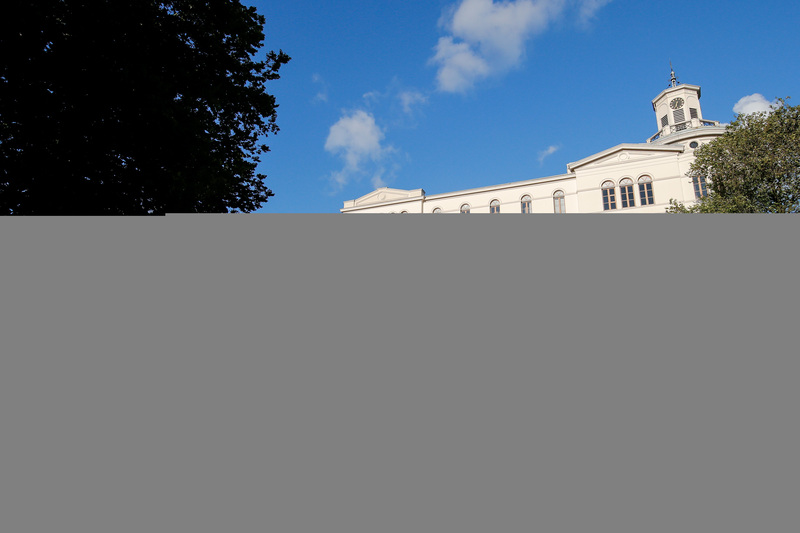 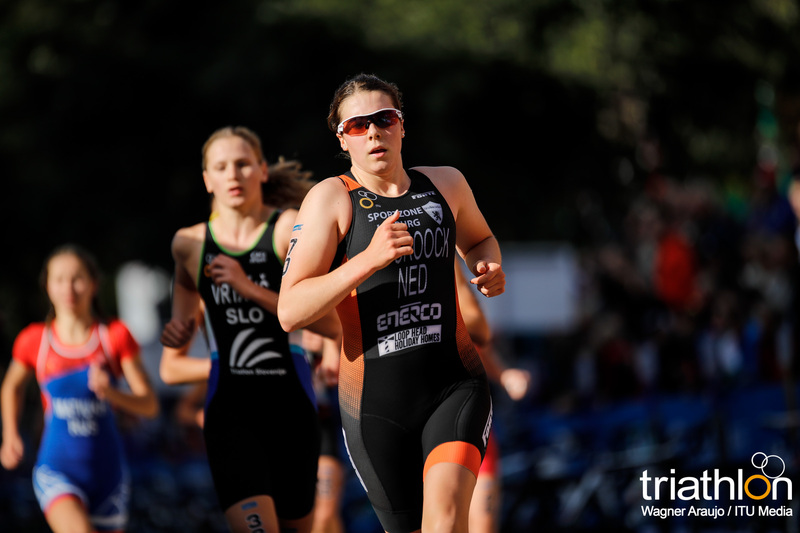 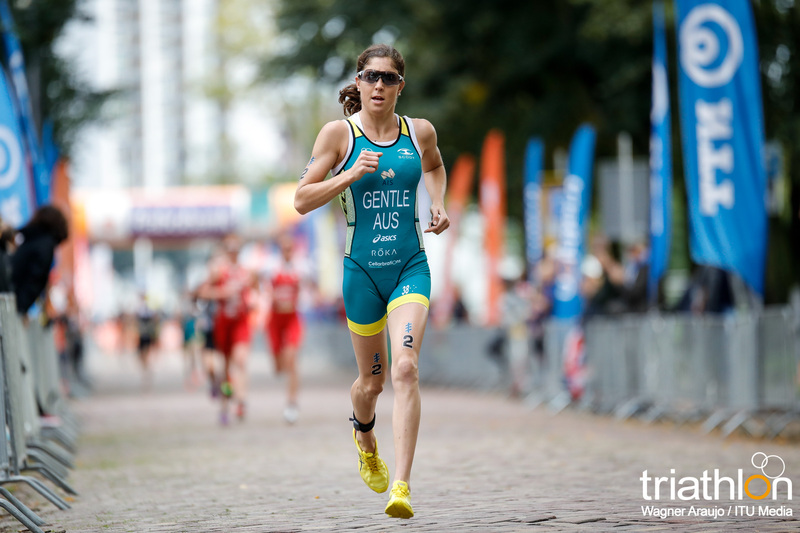 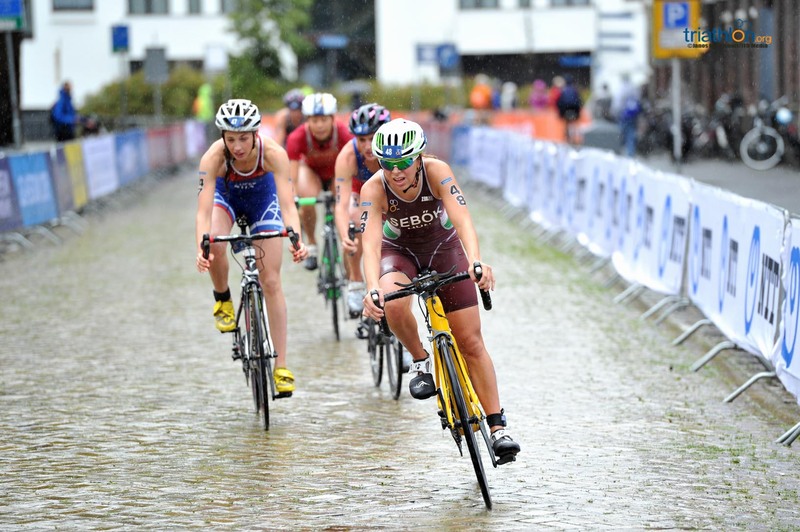 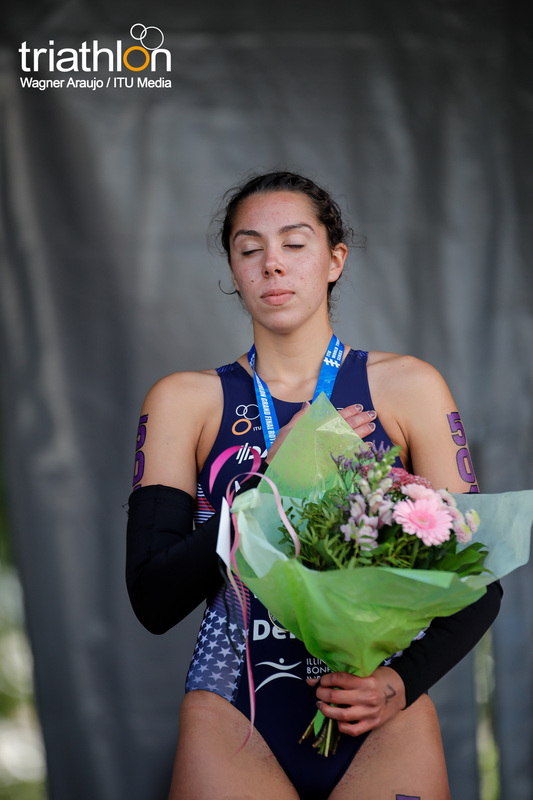 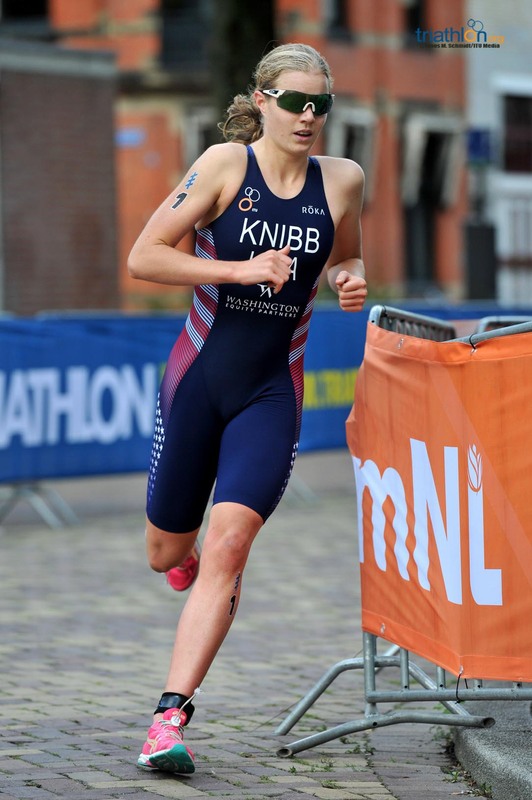 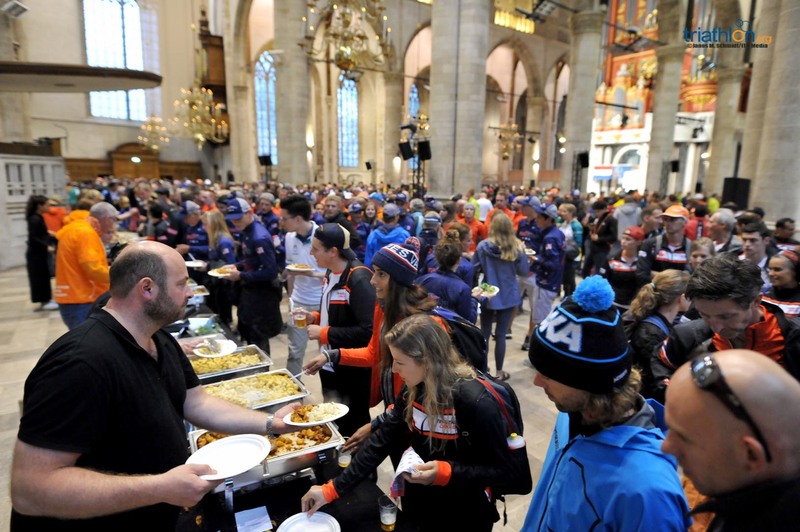 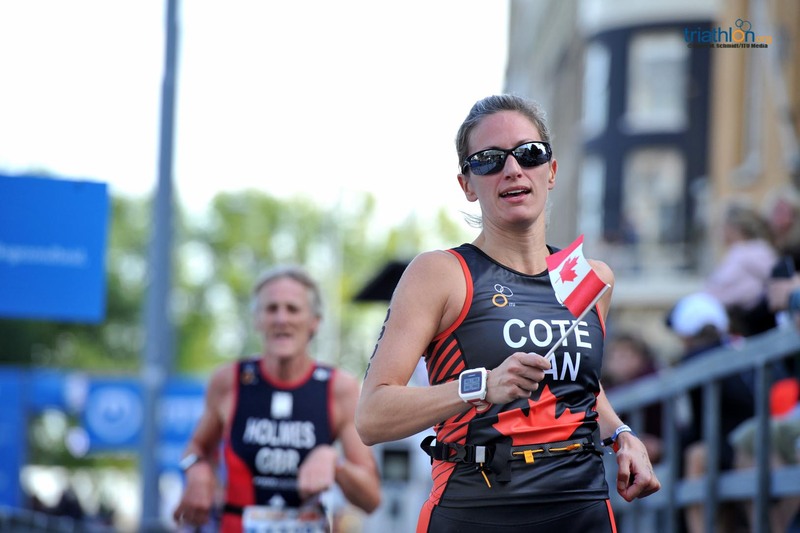 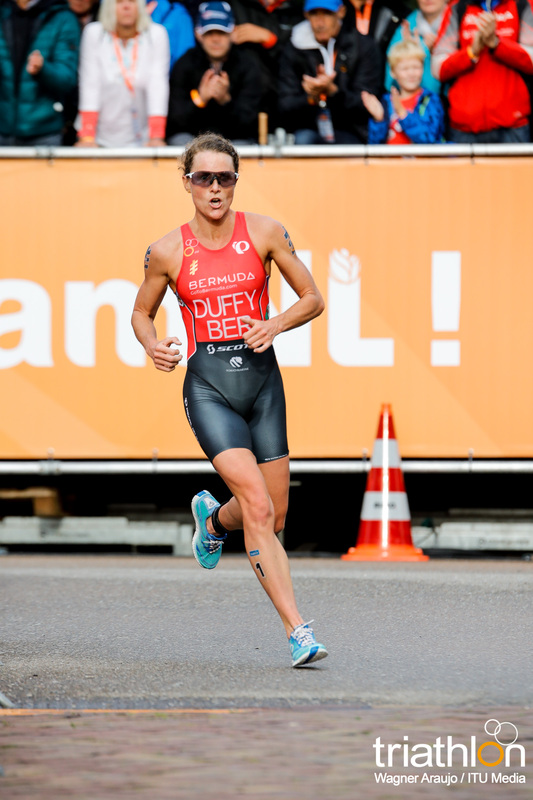 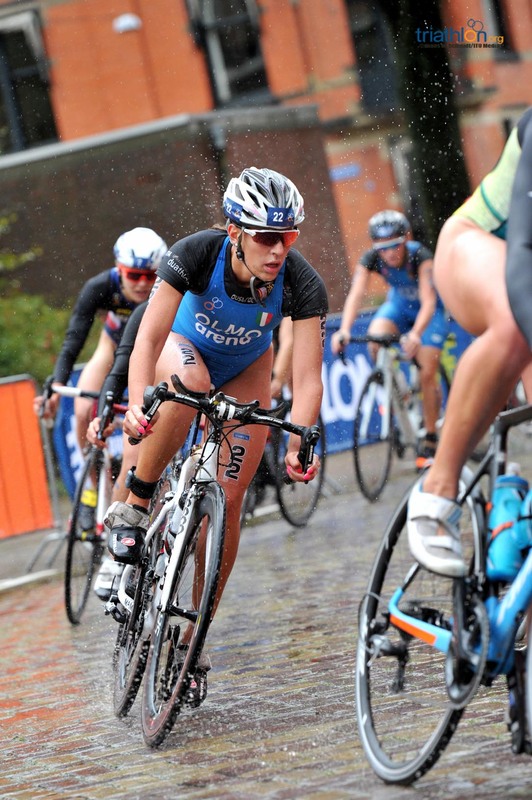 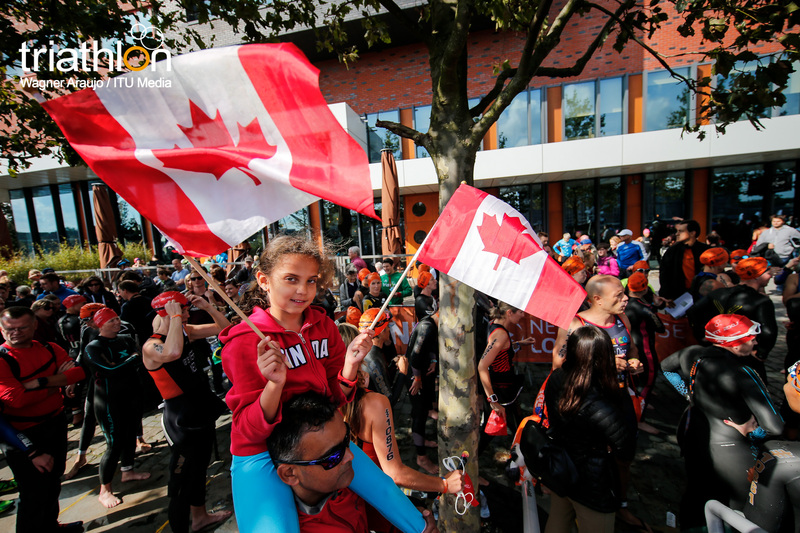 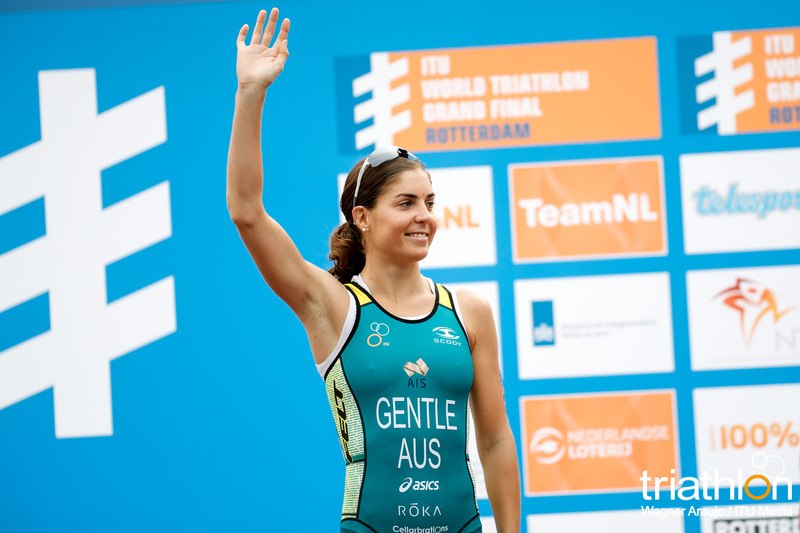 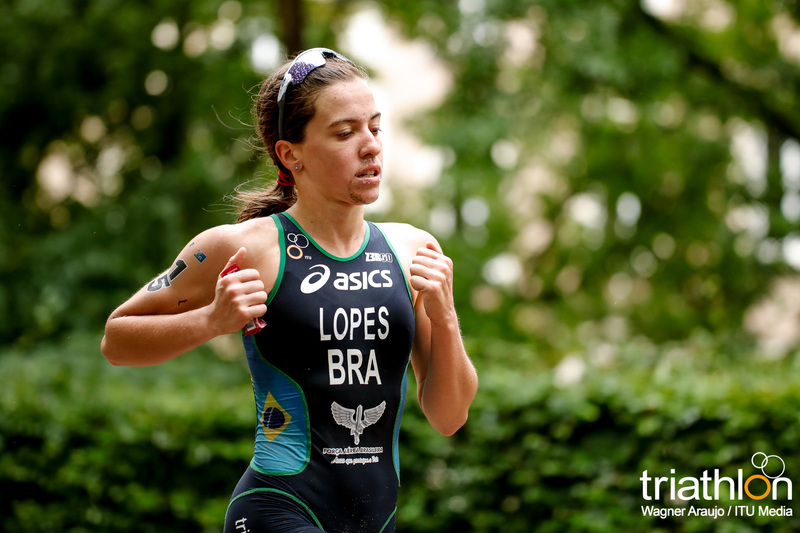 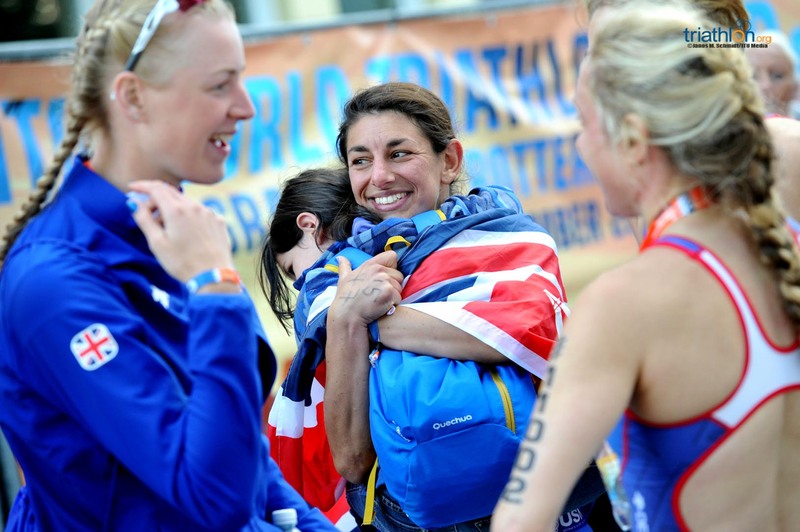 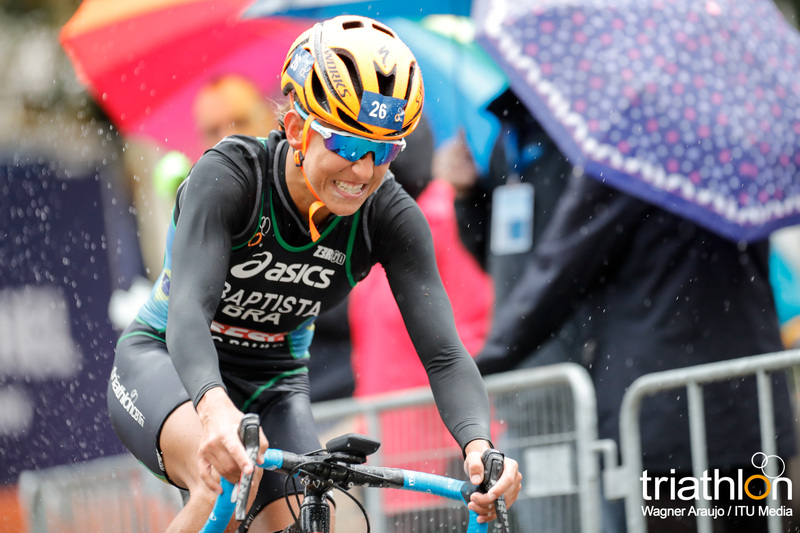 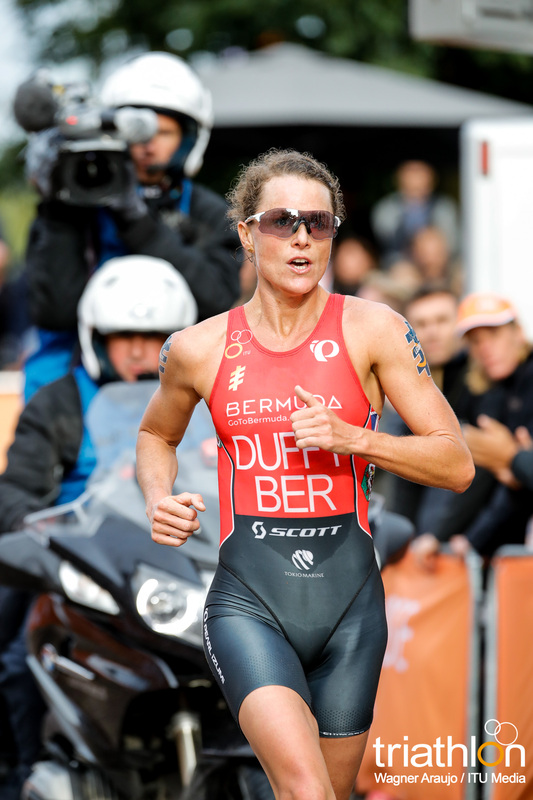 It will help that Nicola Spirig is back racing here, so some eyes will also be on her”.